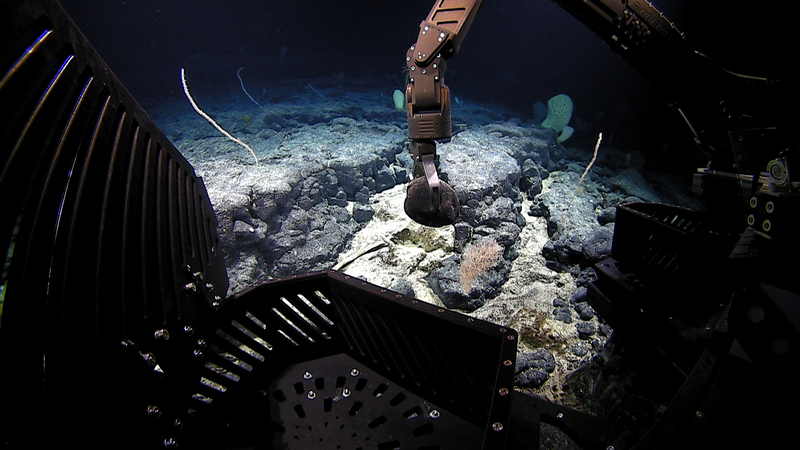 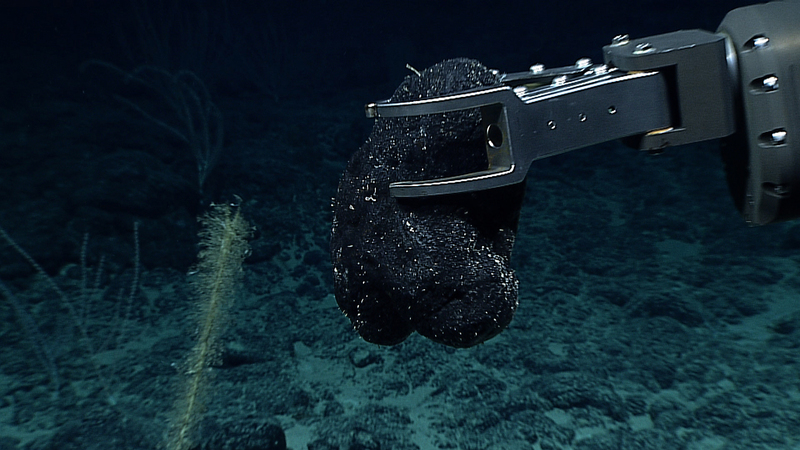 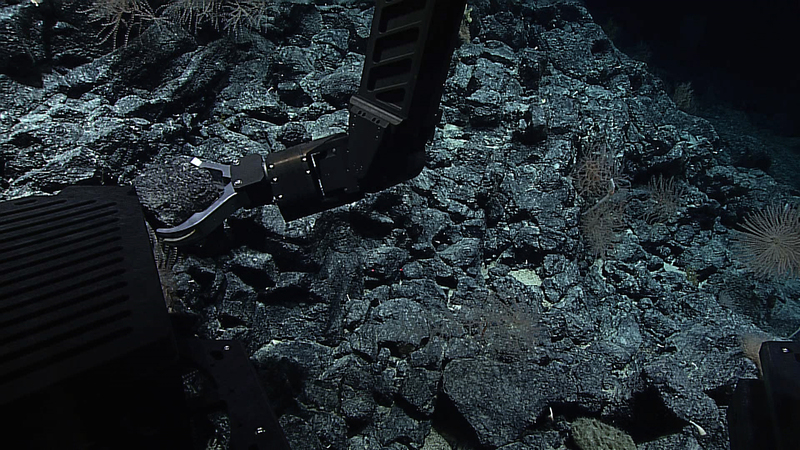 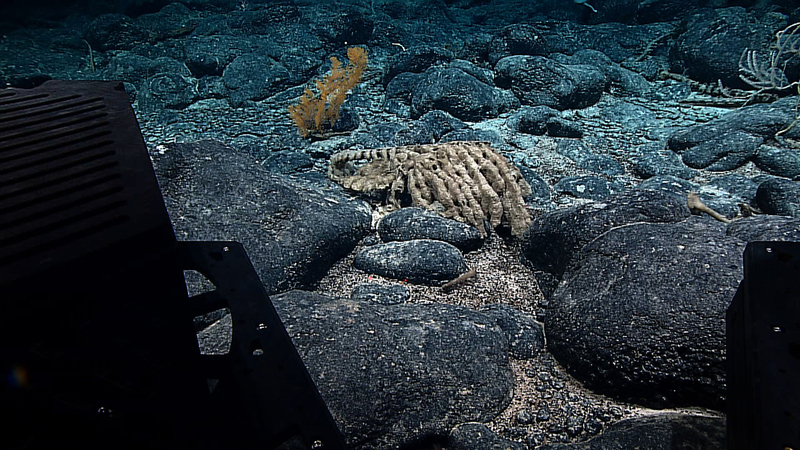 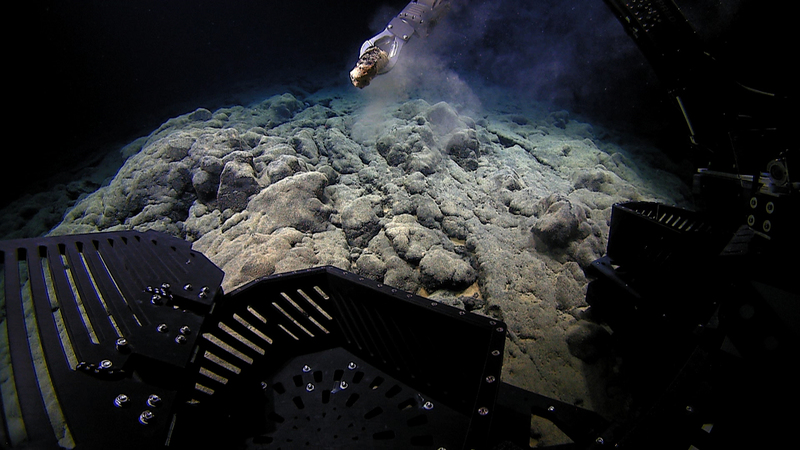 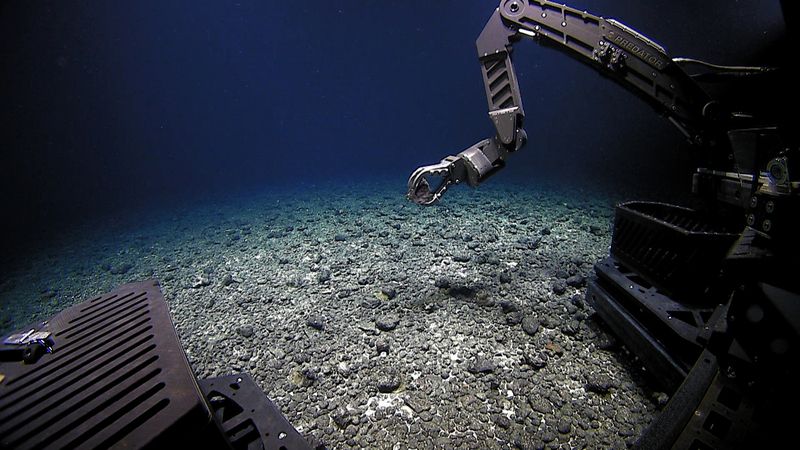 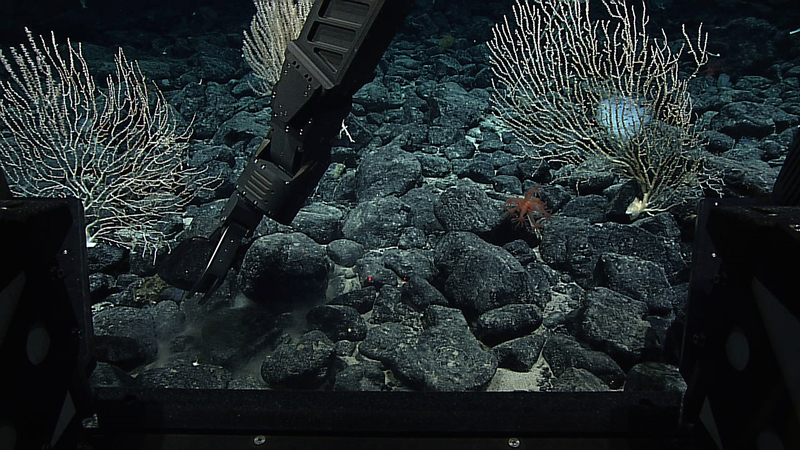 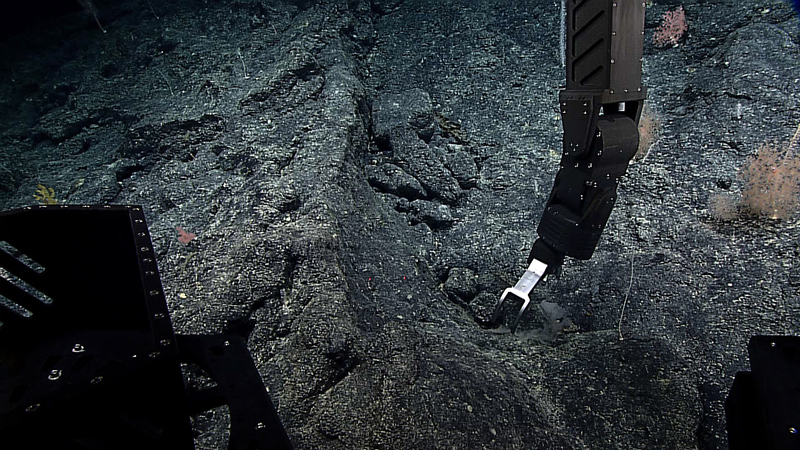 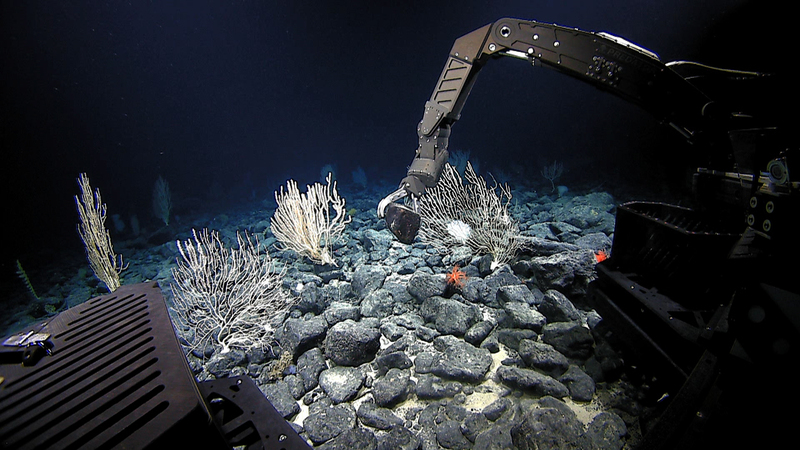 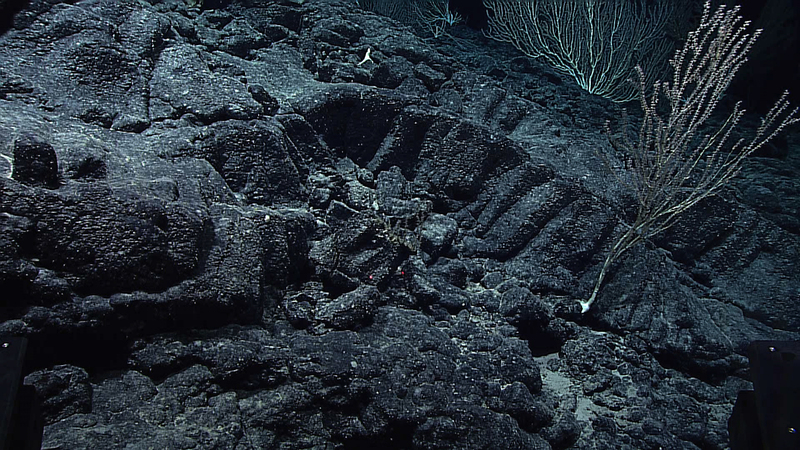 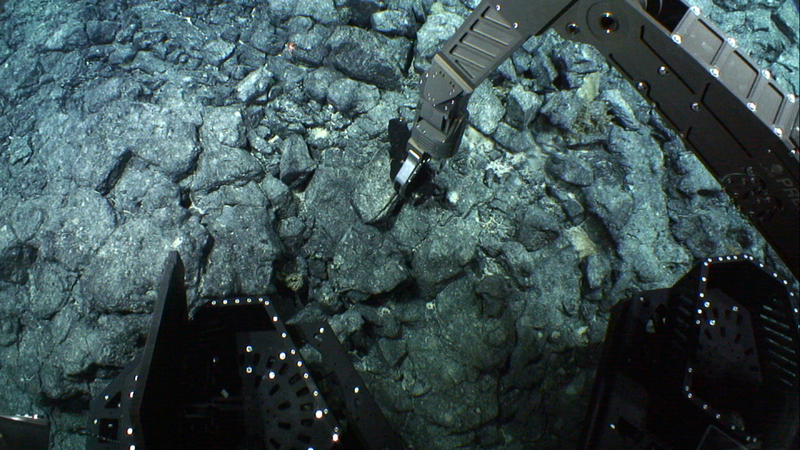 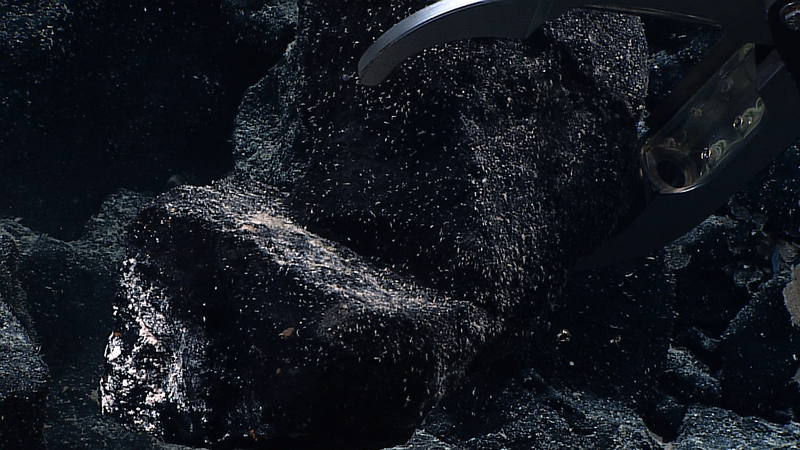 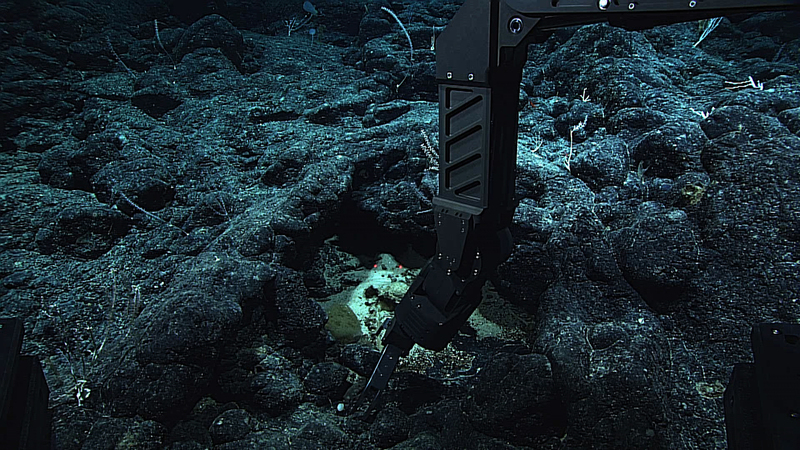 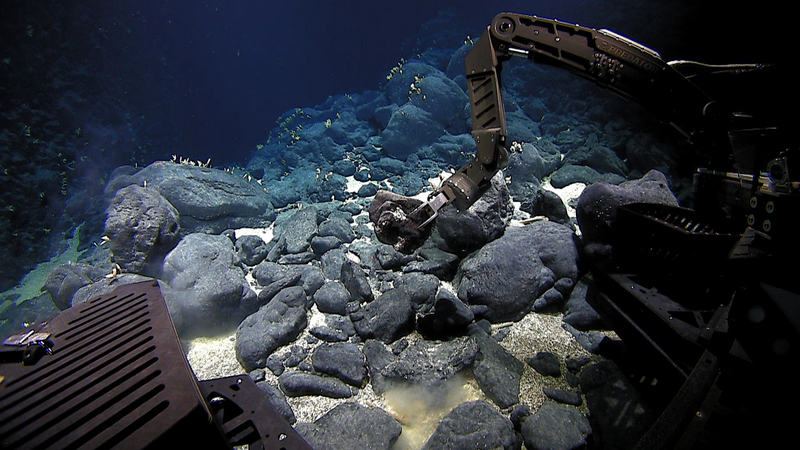 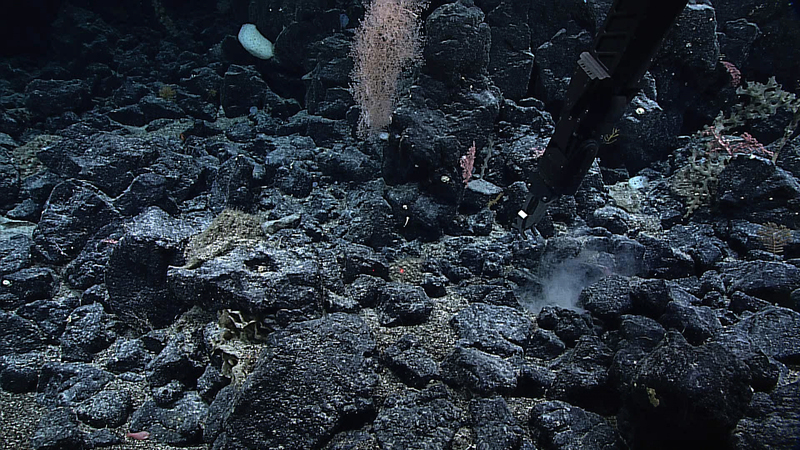 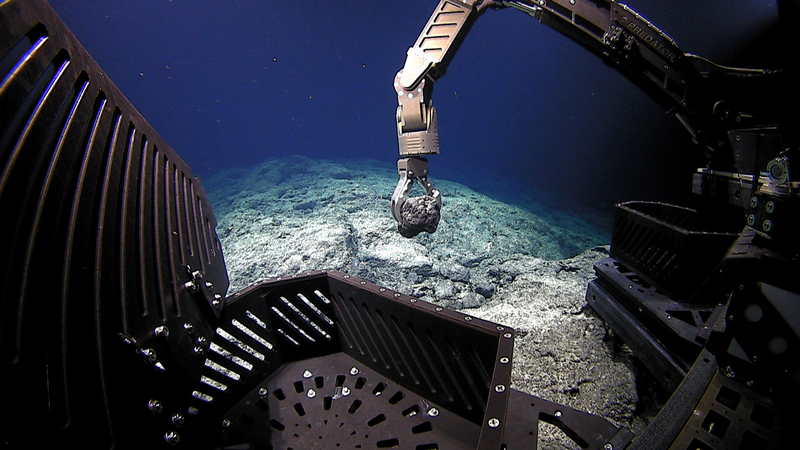 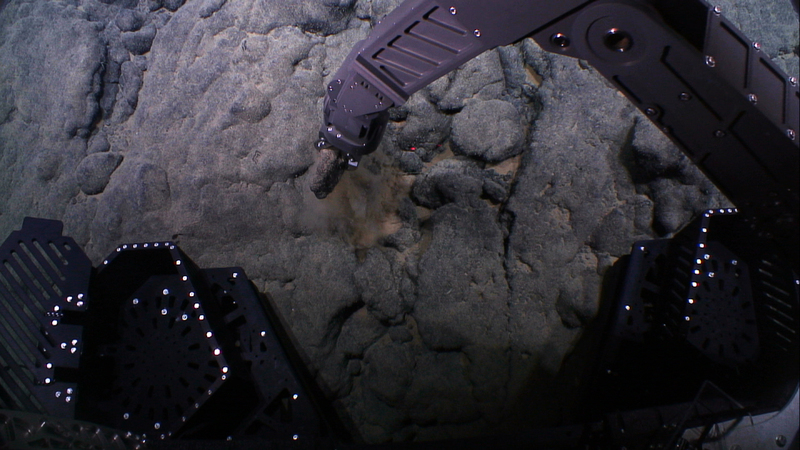 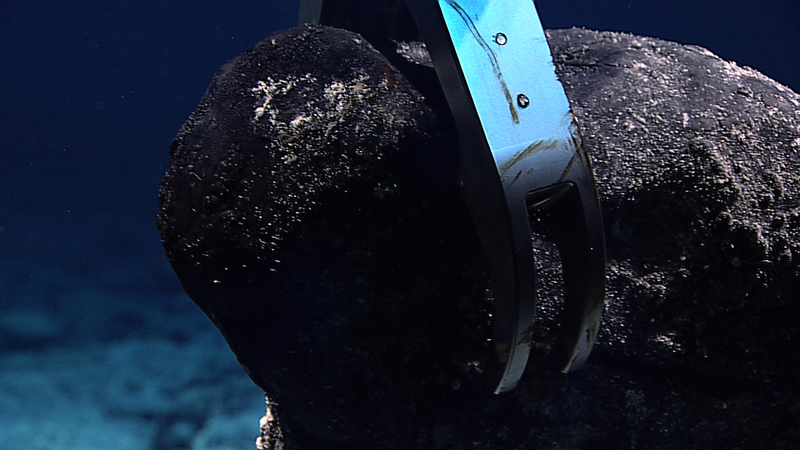 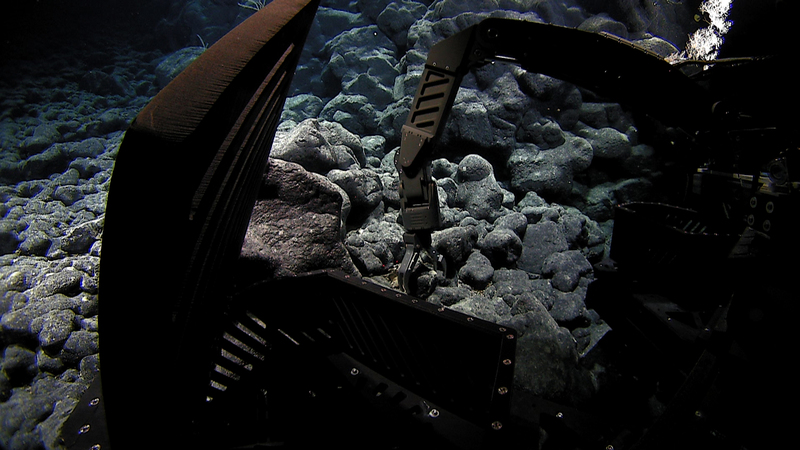 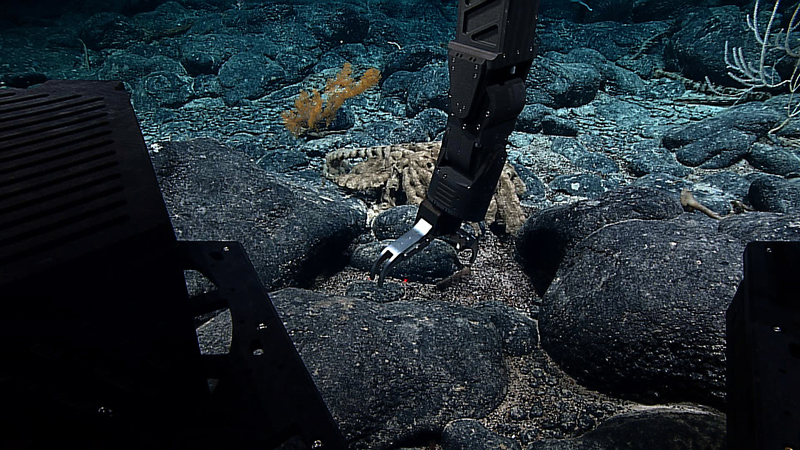 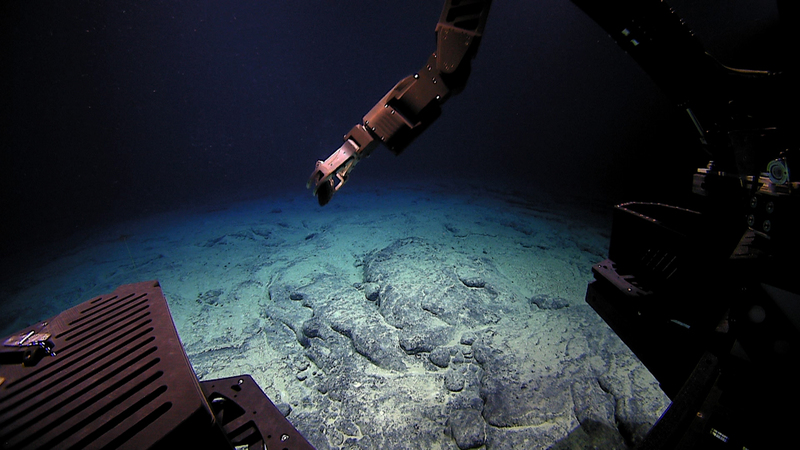 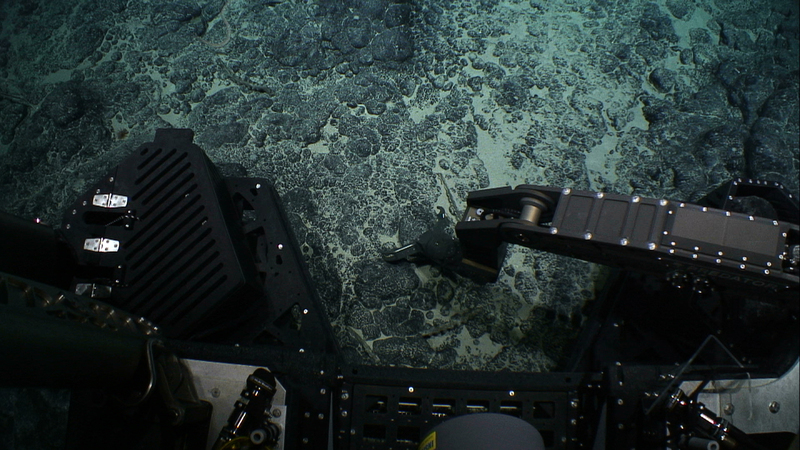 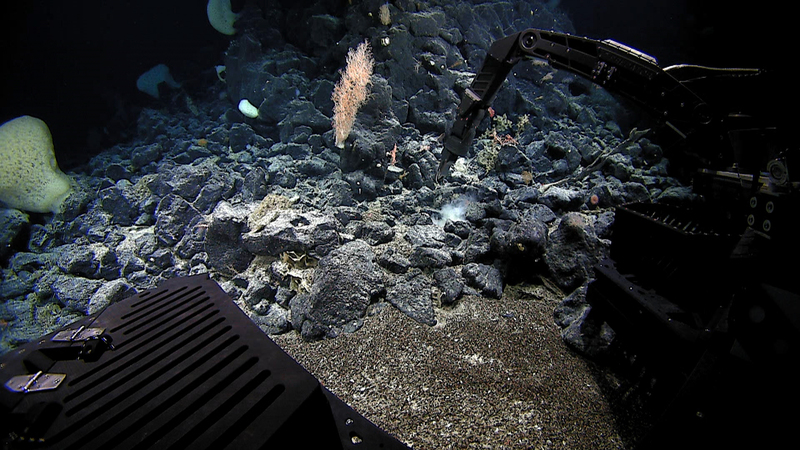 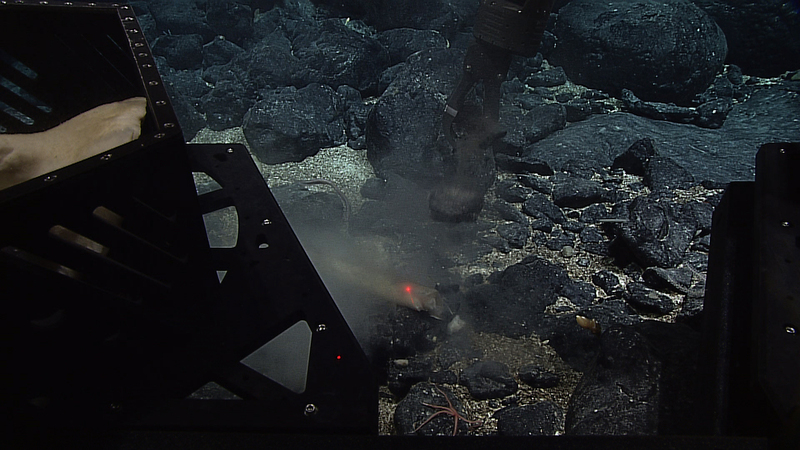 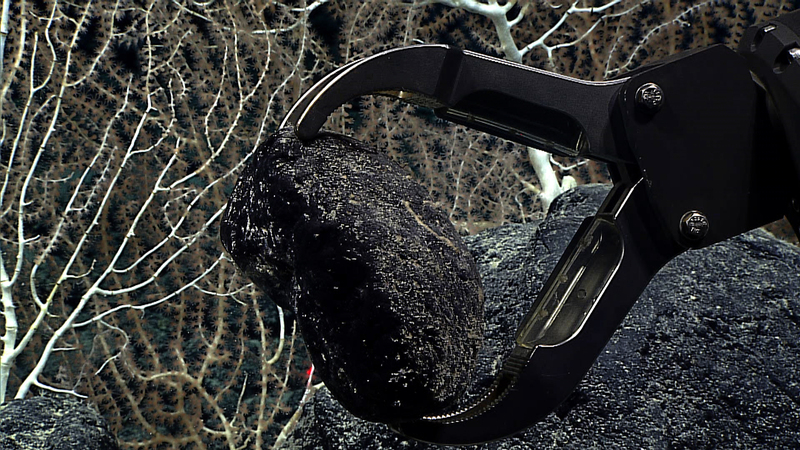 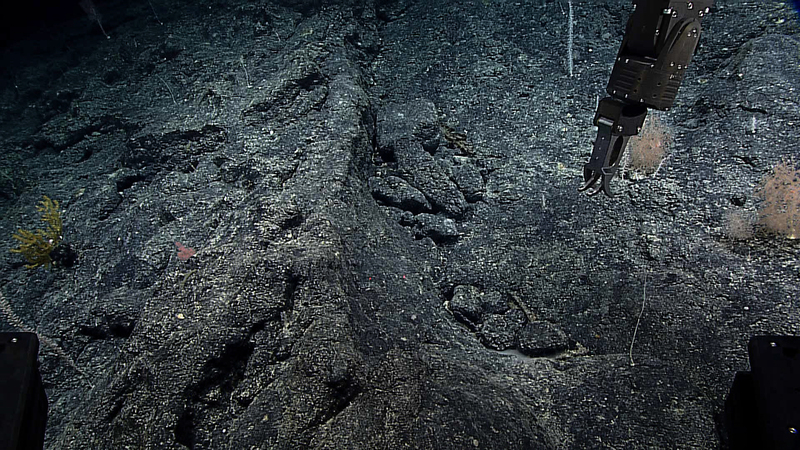 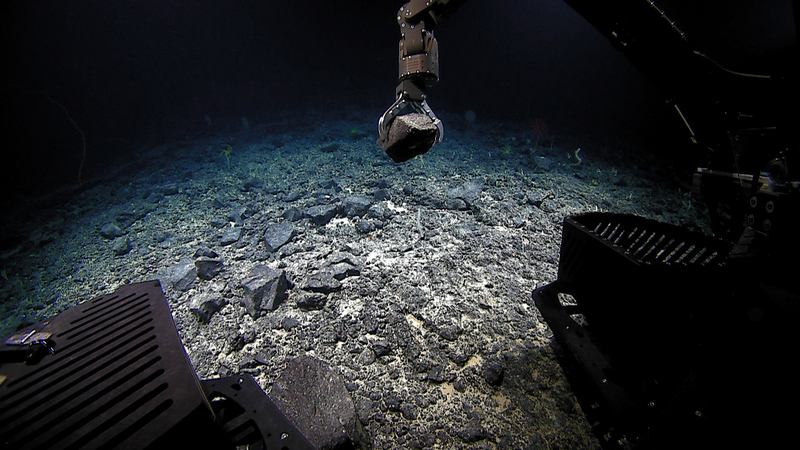 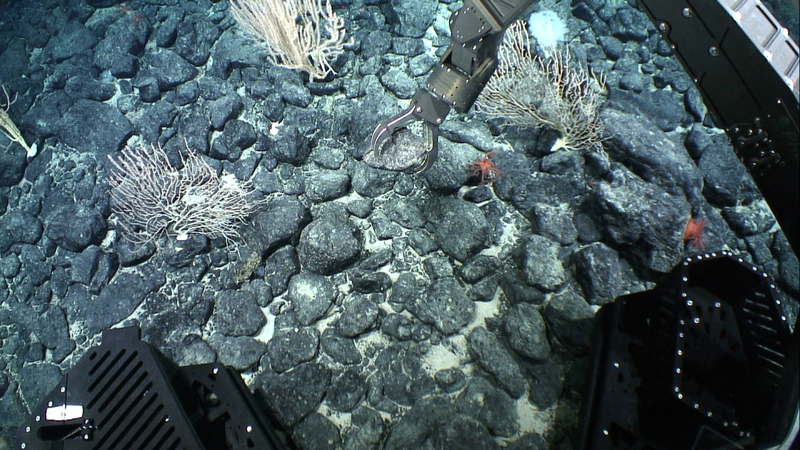 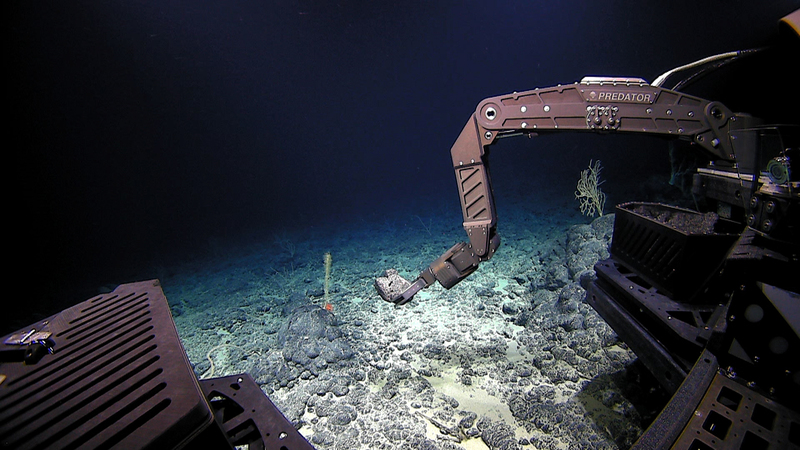 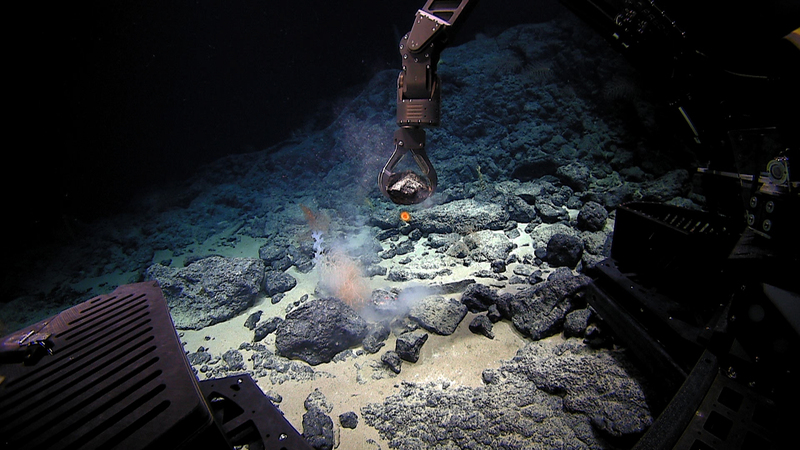 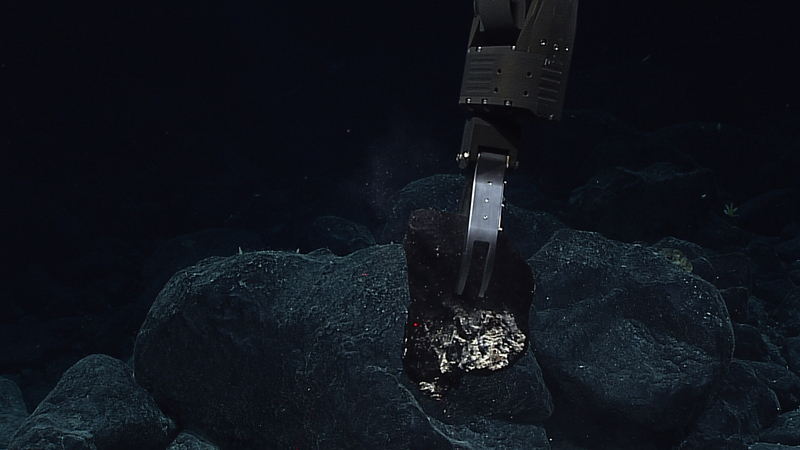 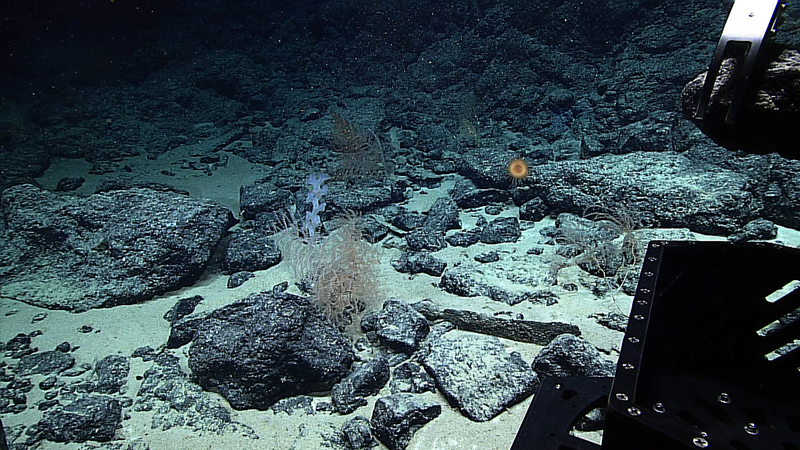 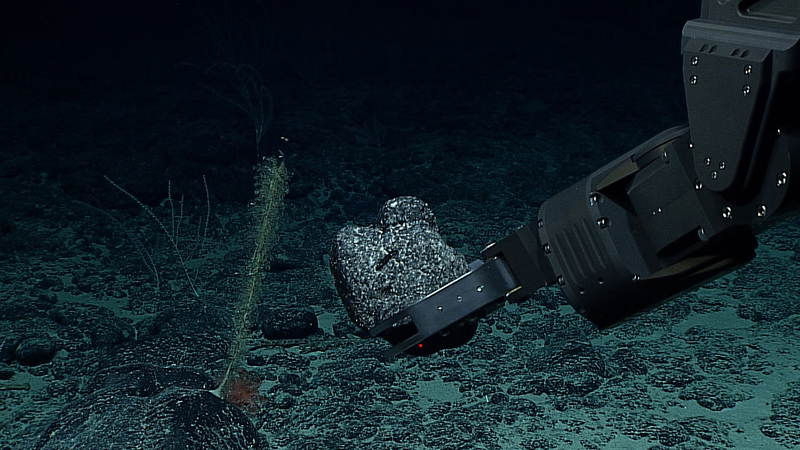 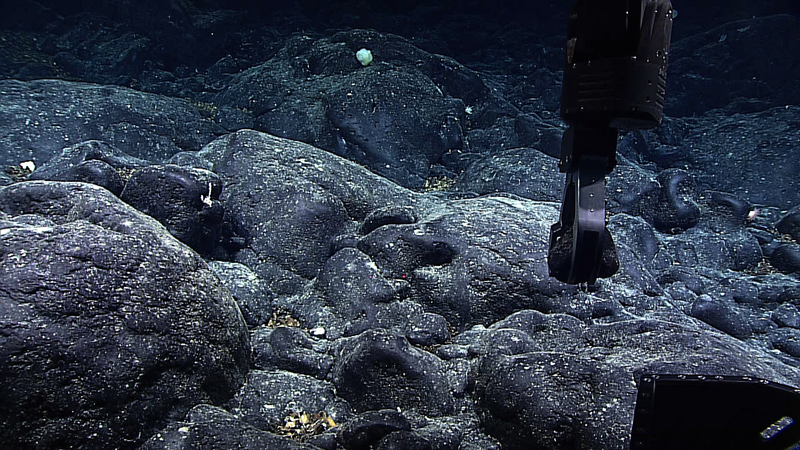 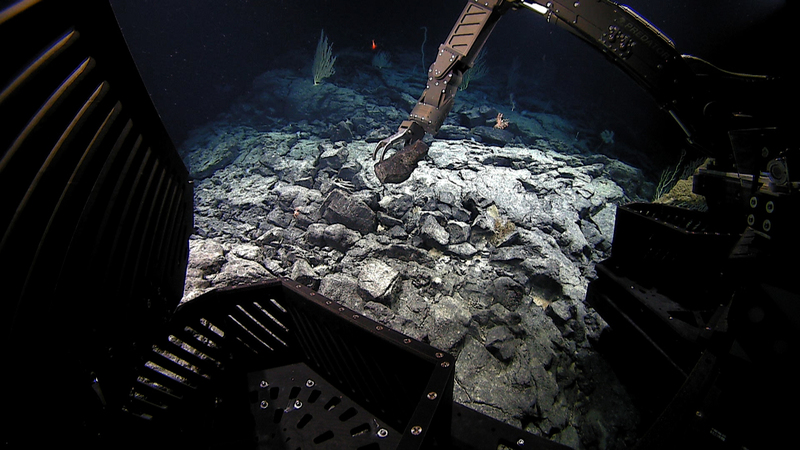 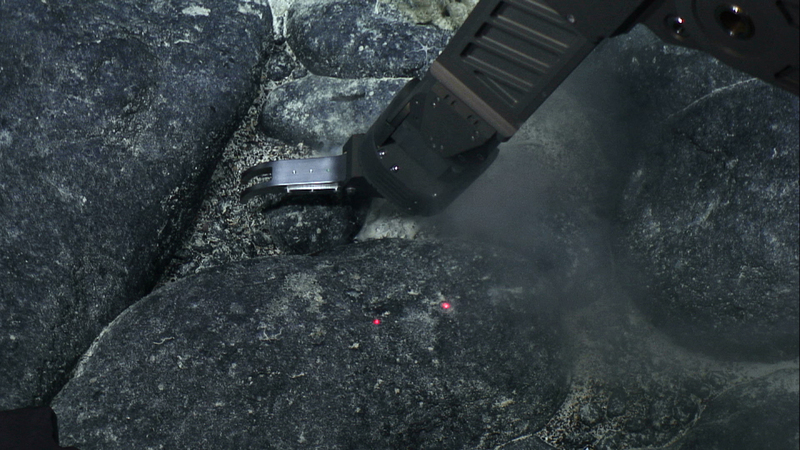 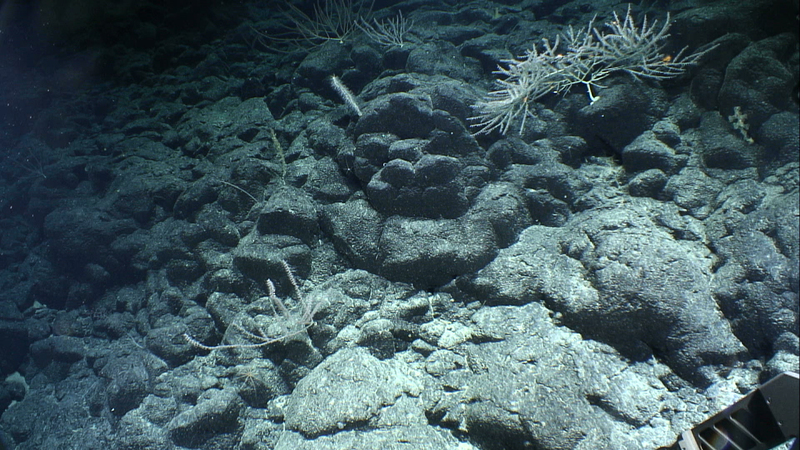 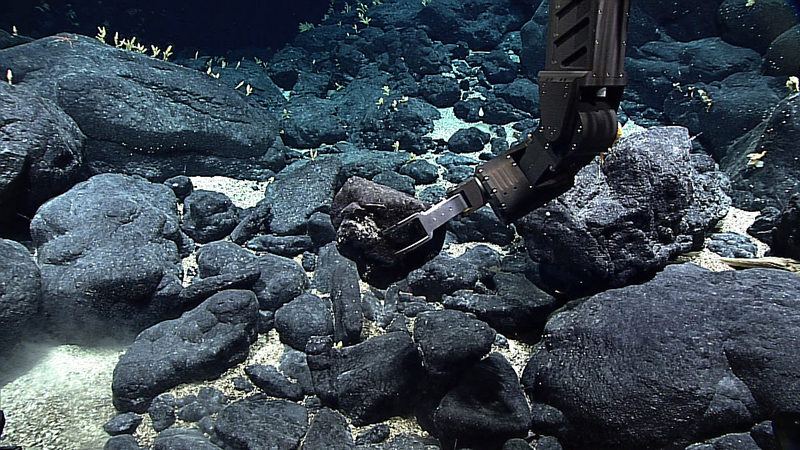 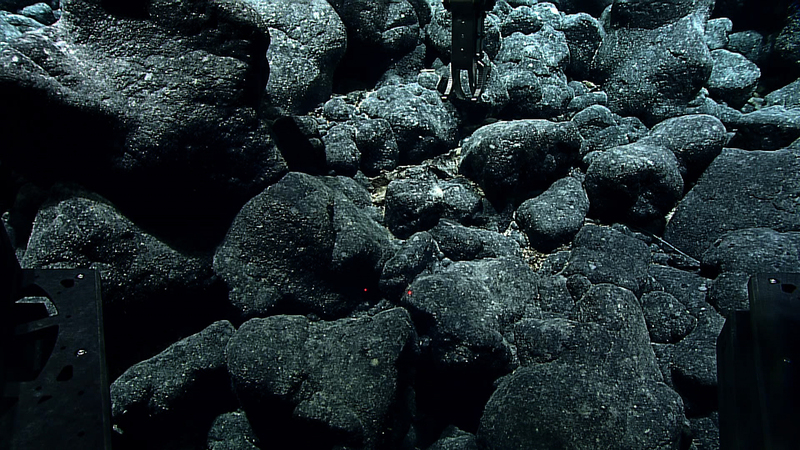 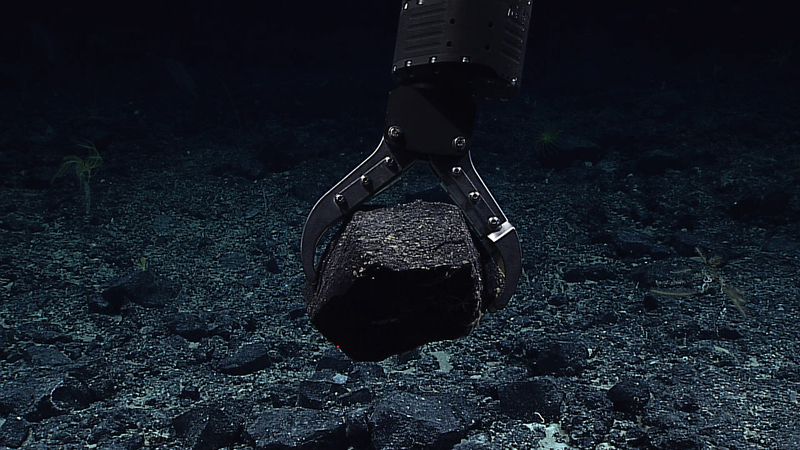 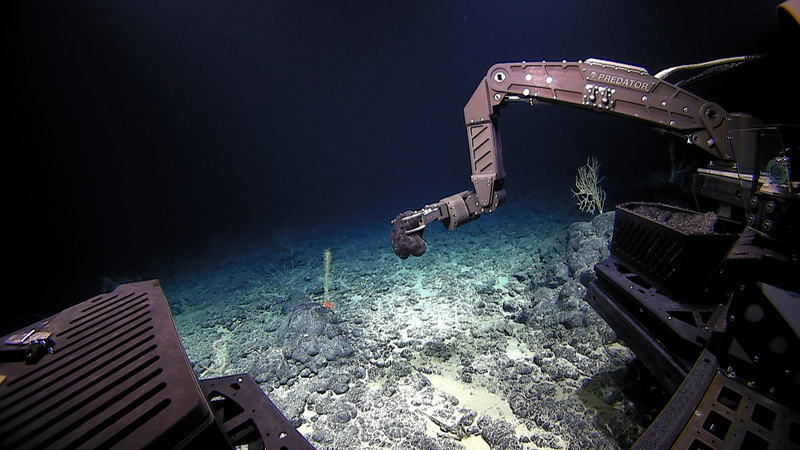 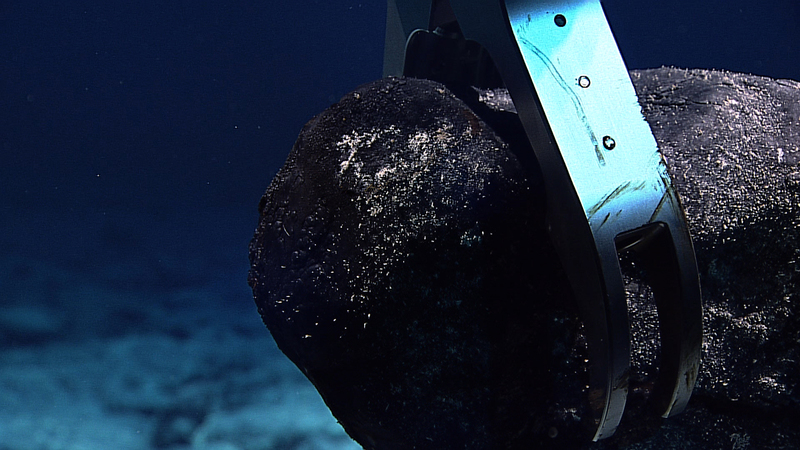 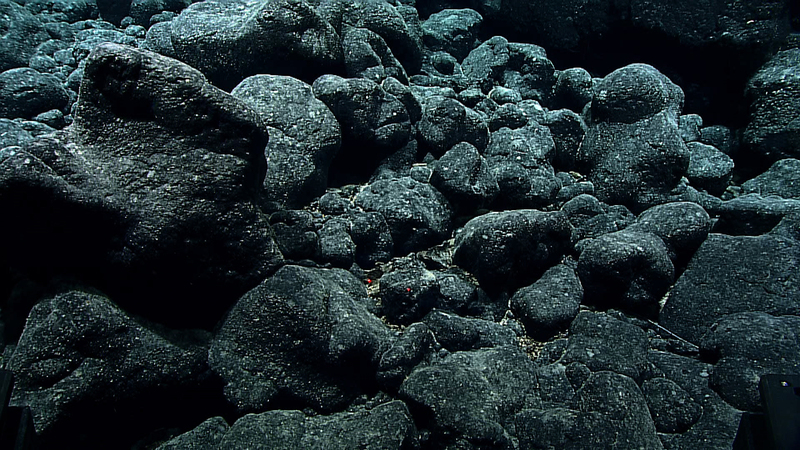 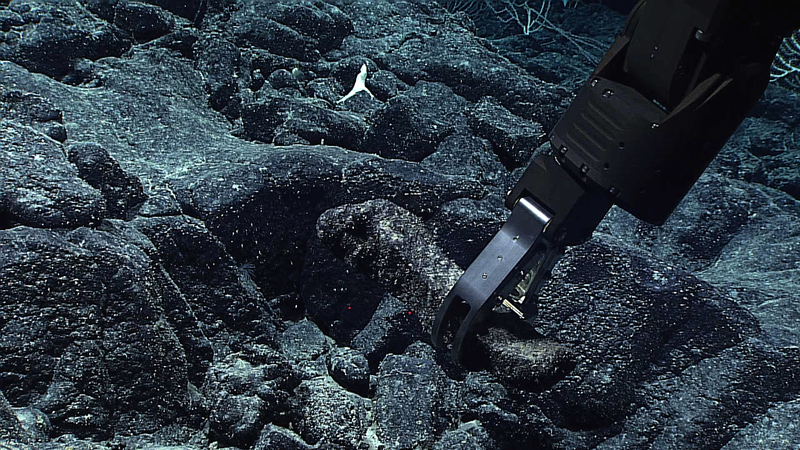 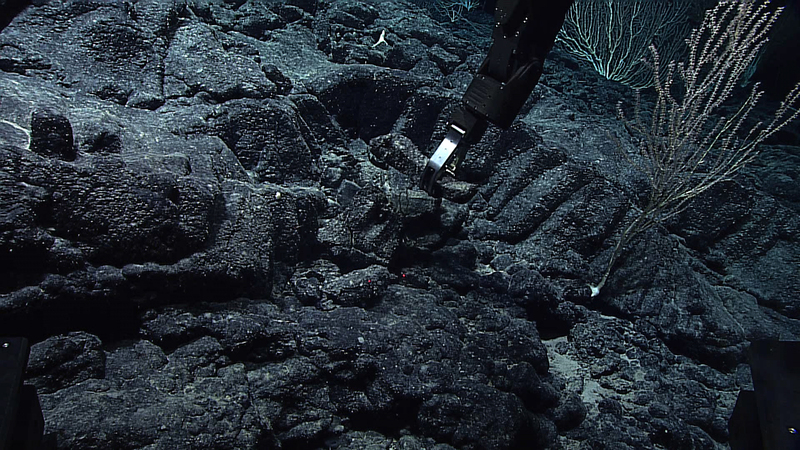 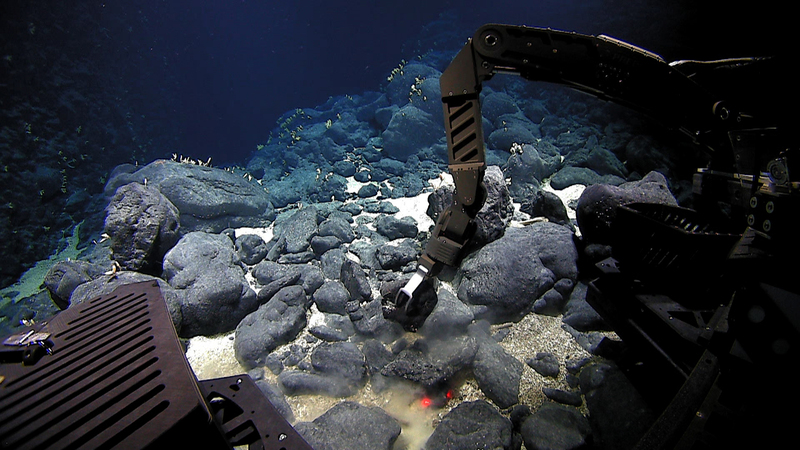 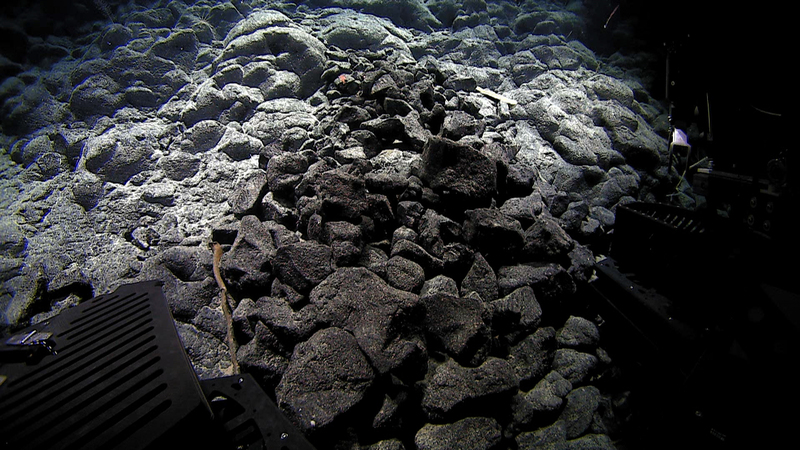 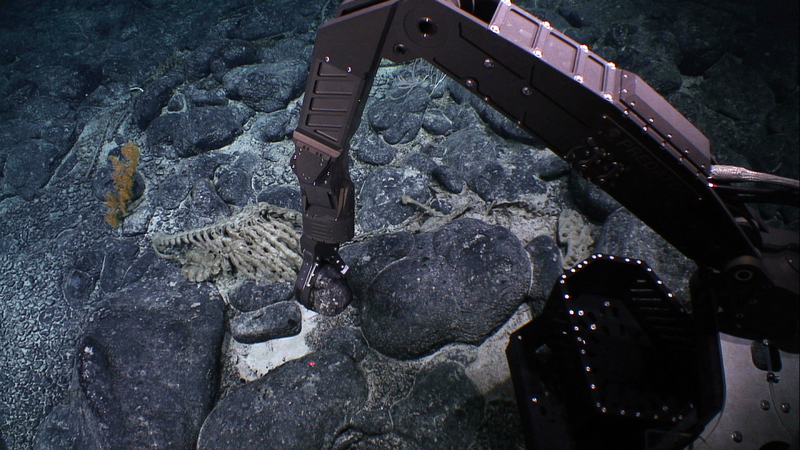 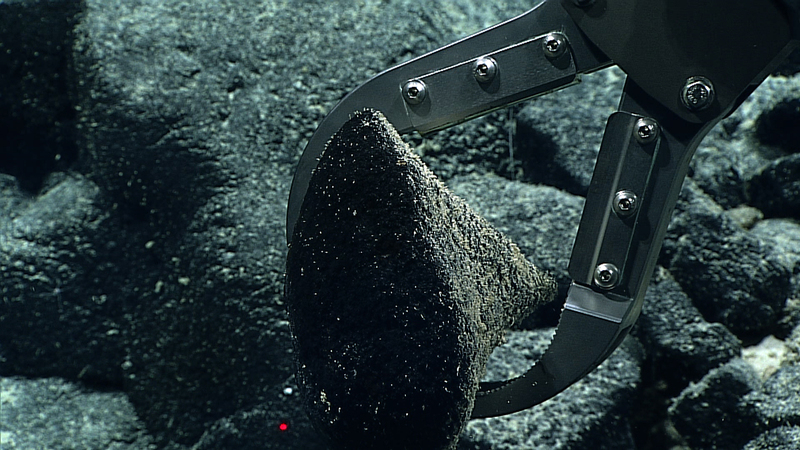 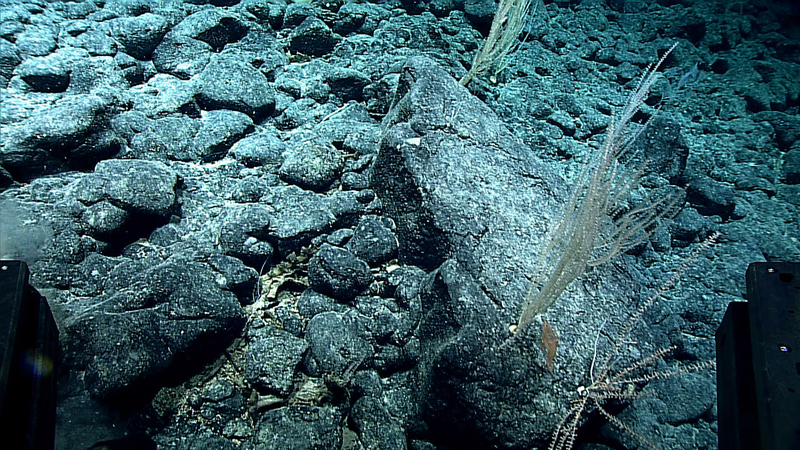 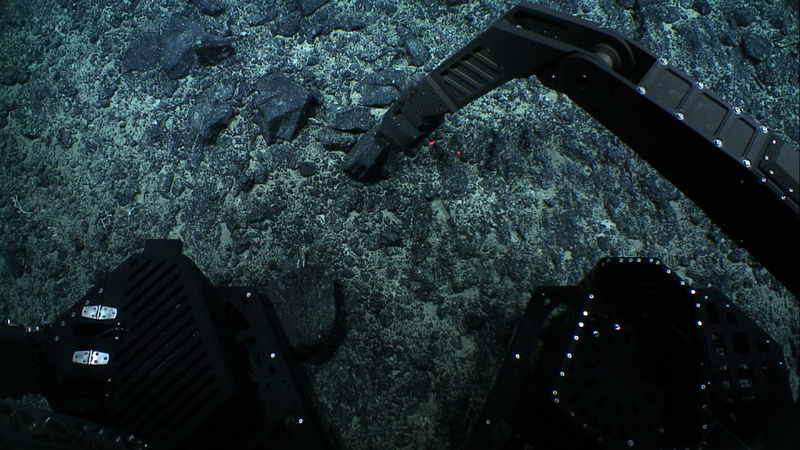 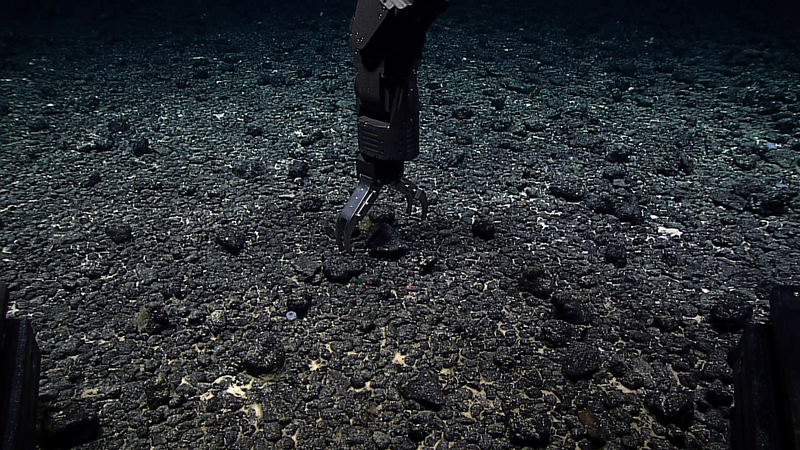 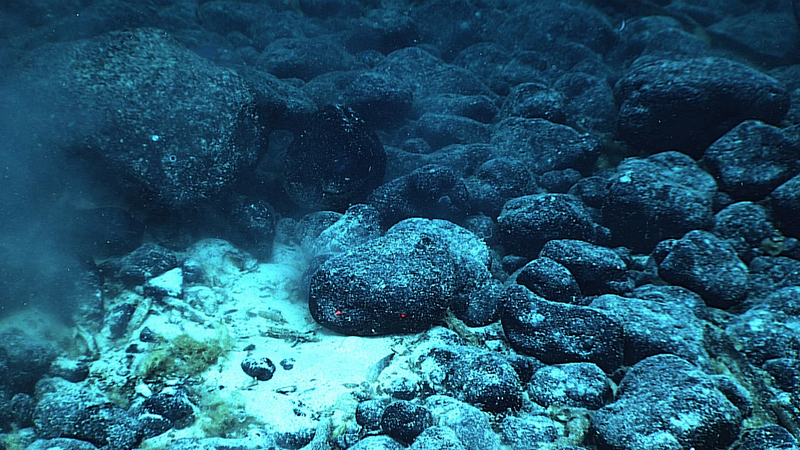 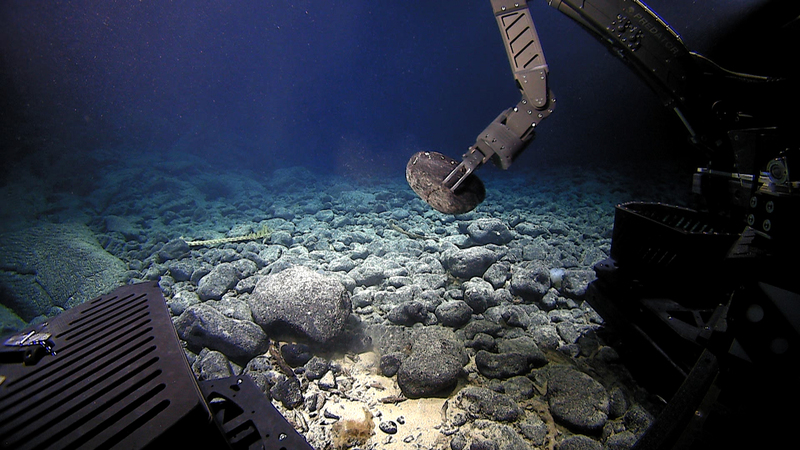 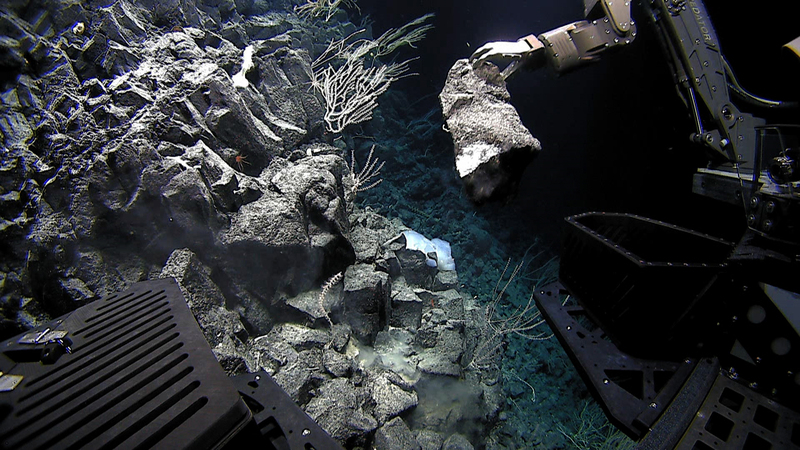 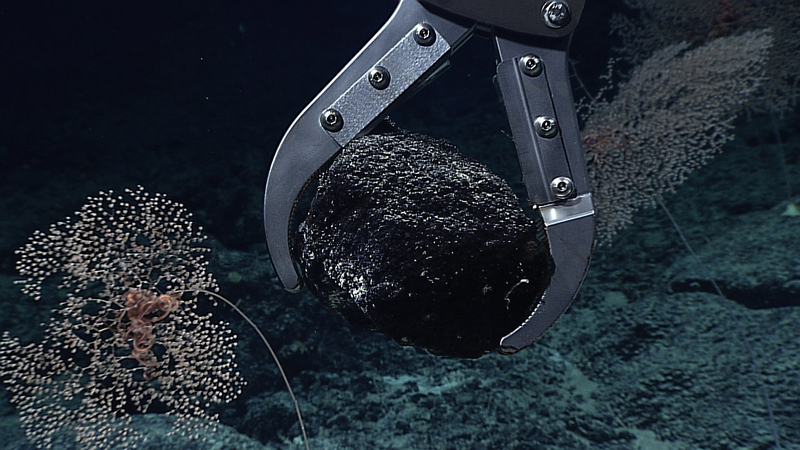 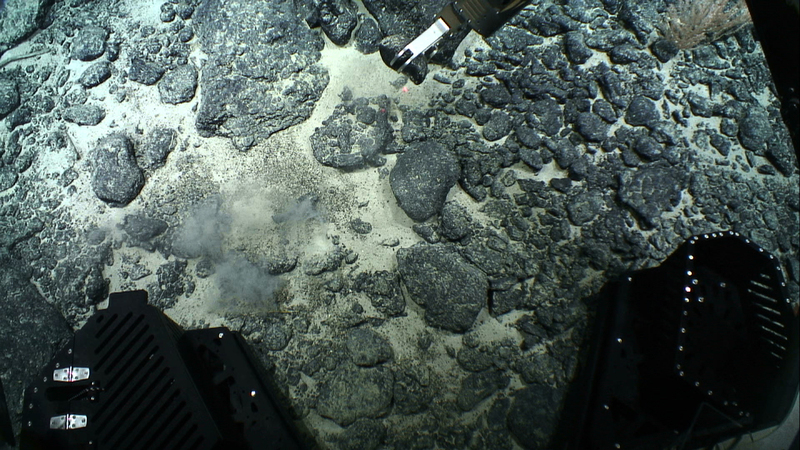 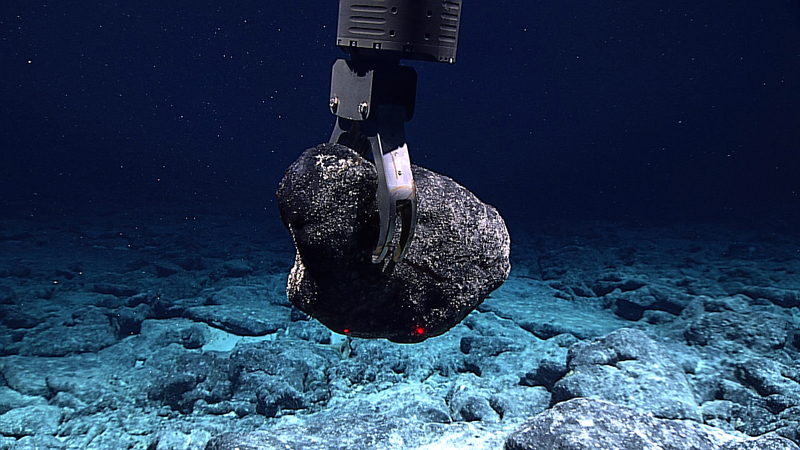 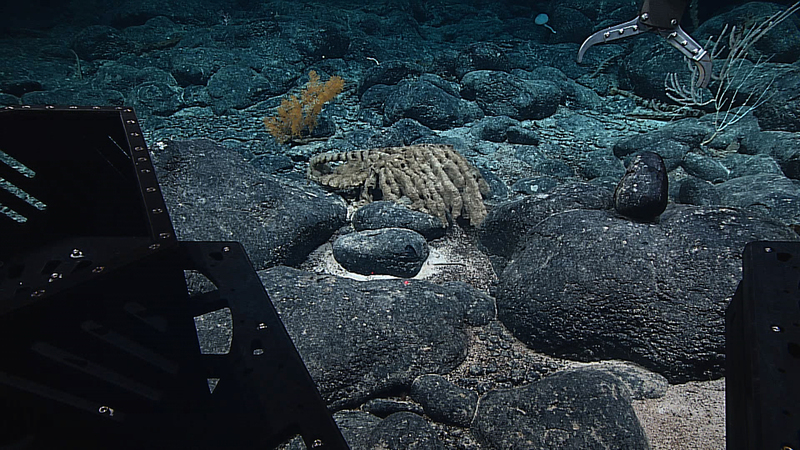 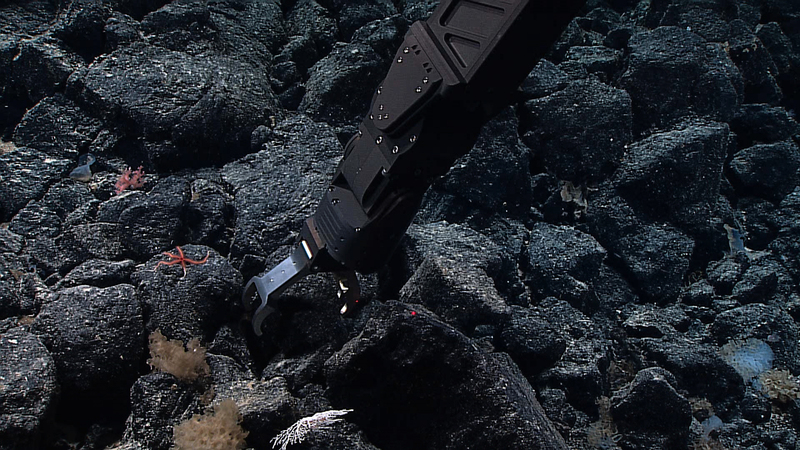 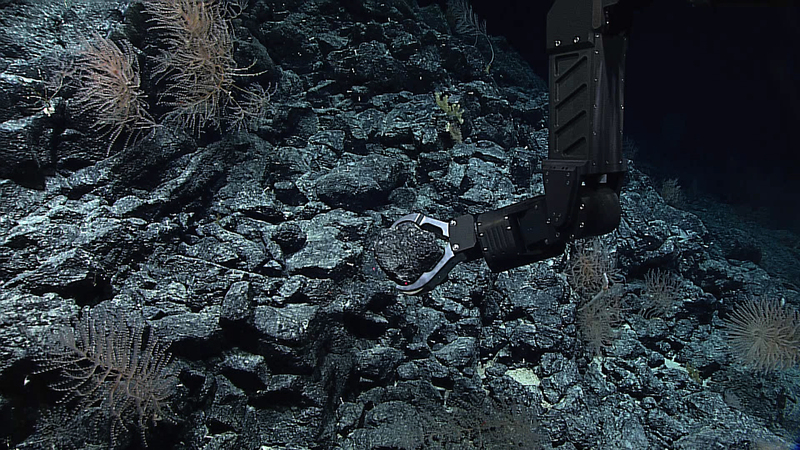 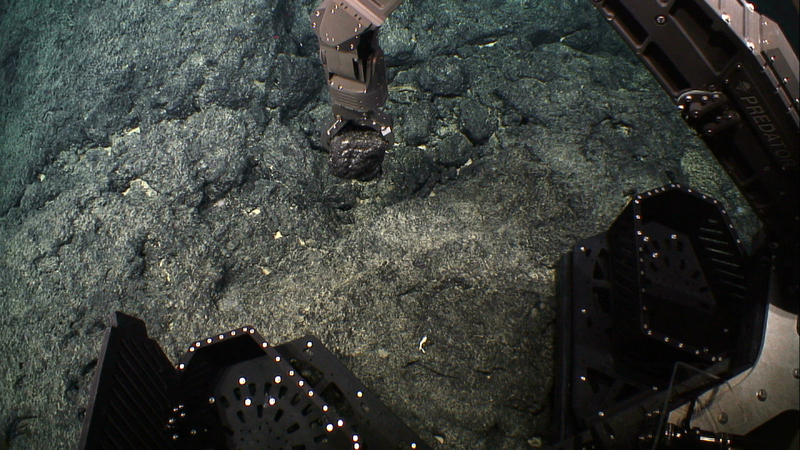 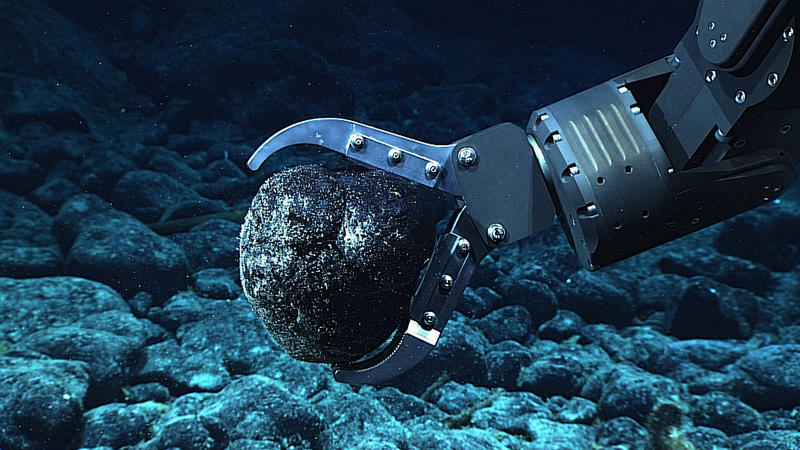 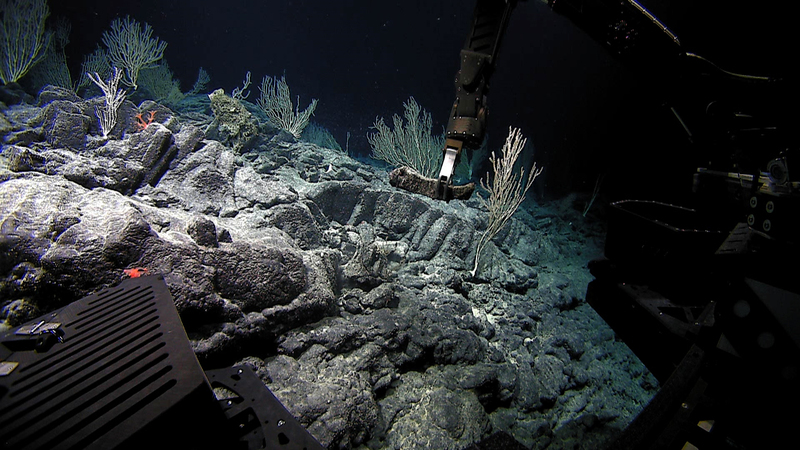 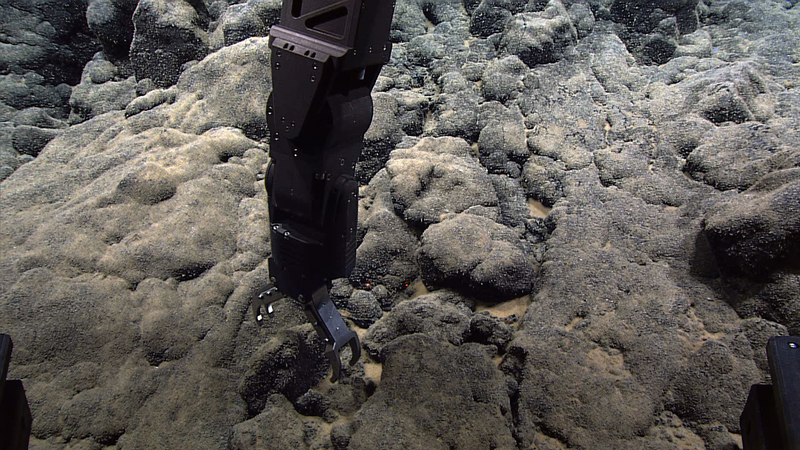 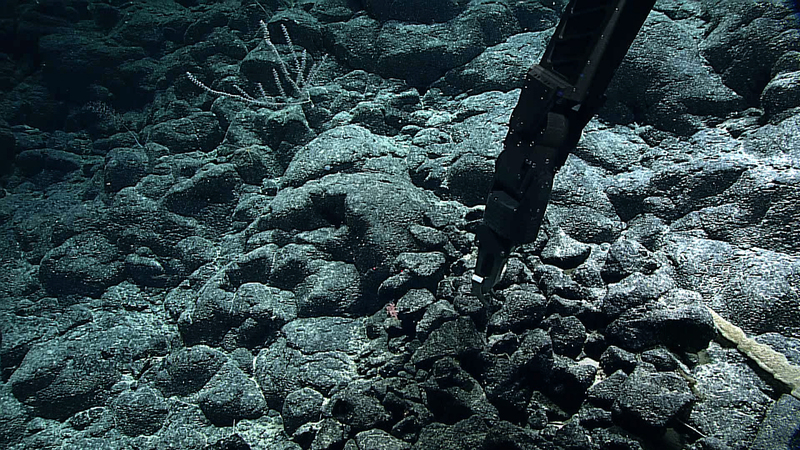 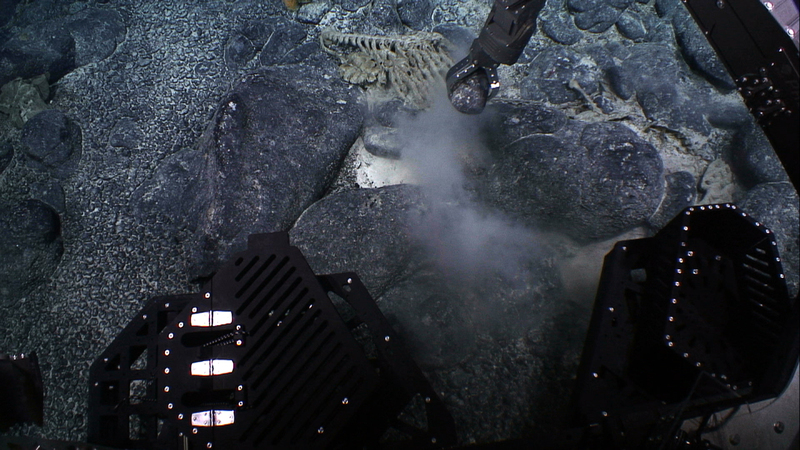 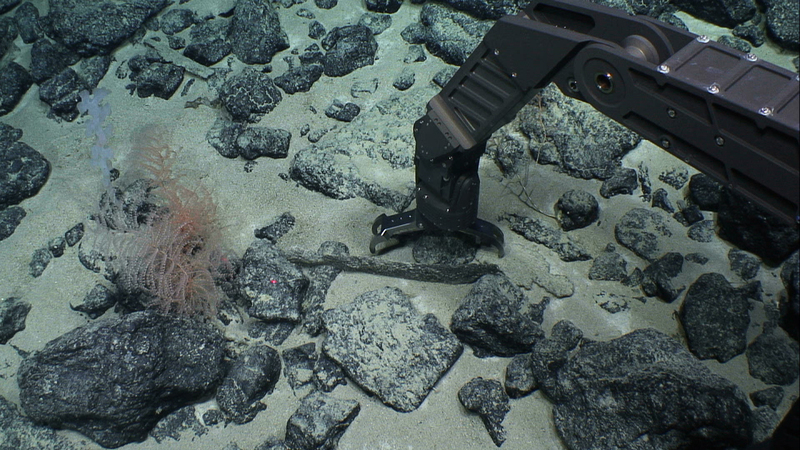 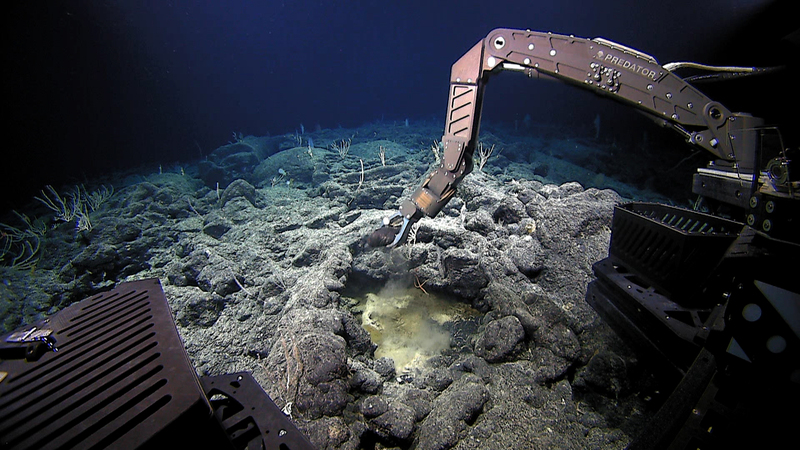 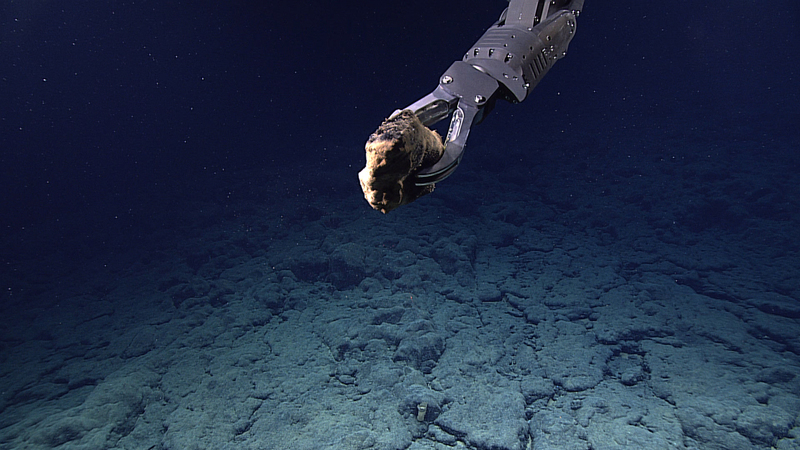 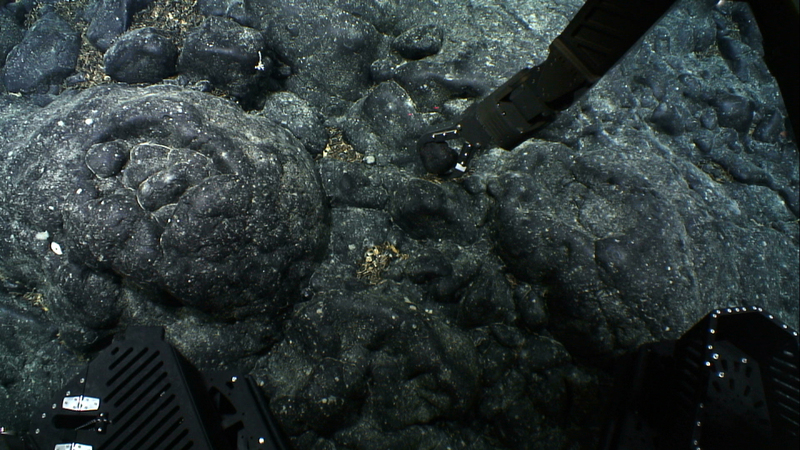 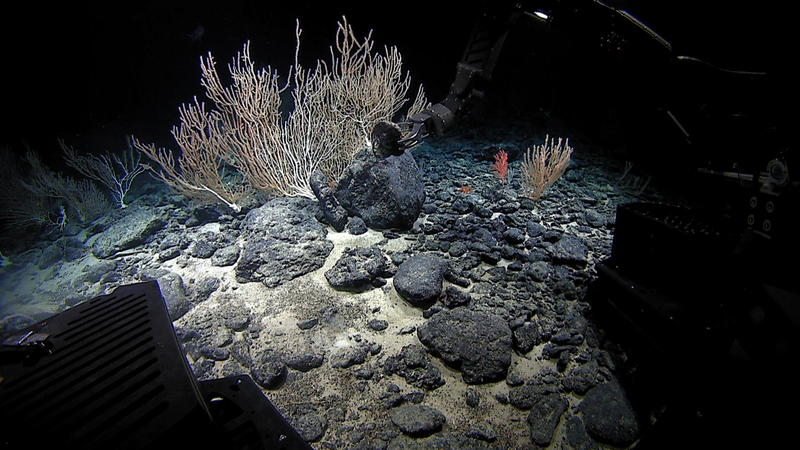 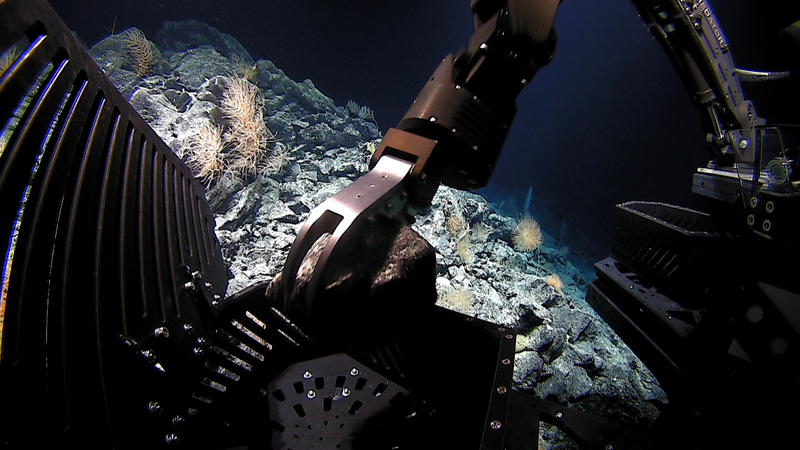 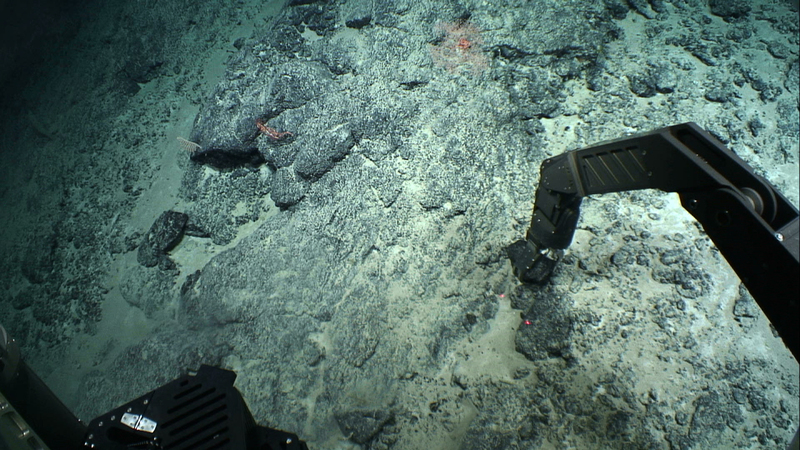 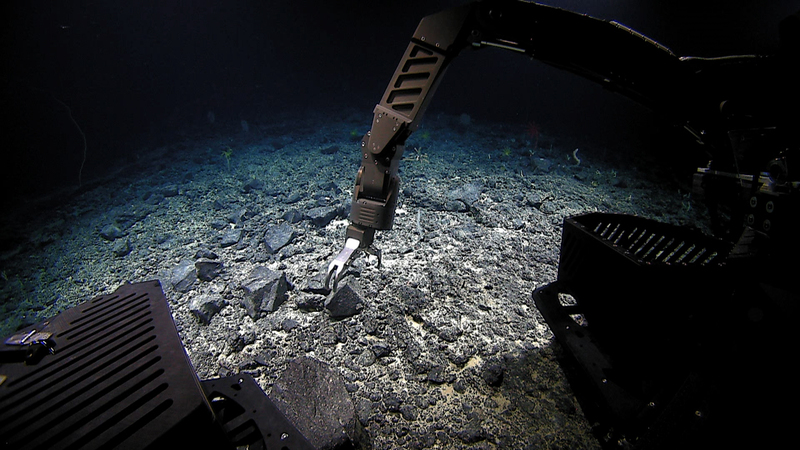 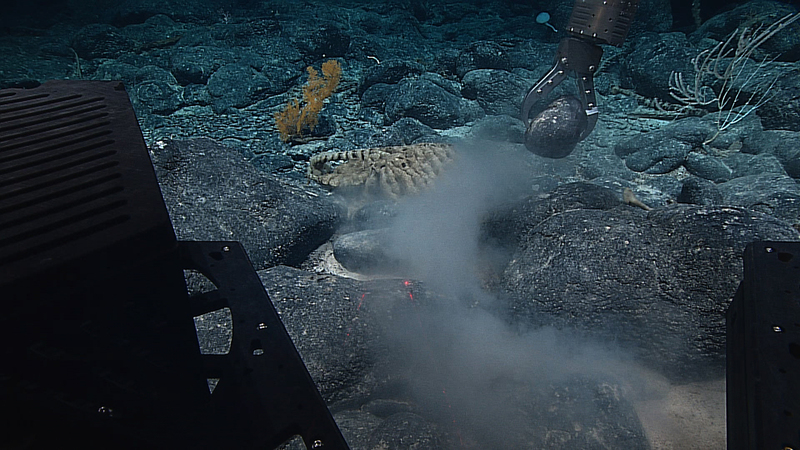 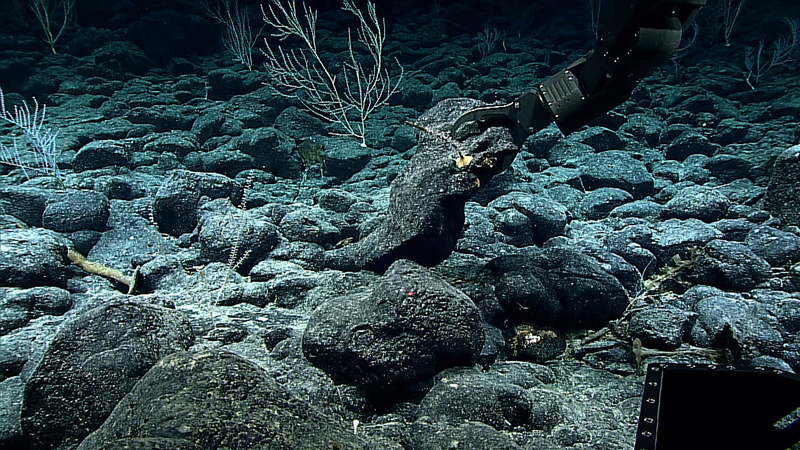 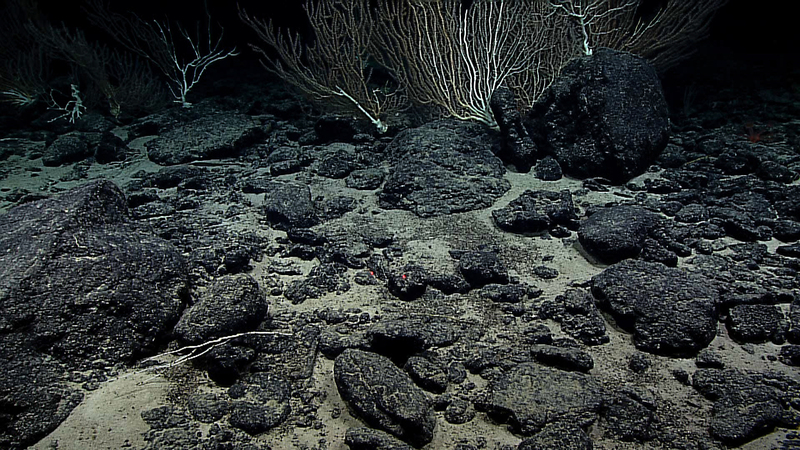 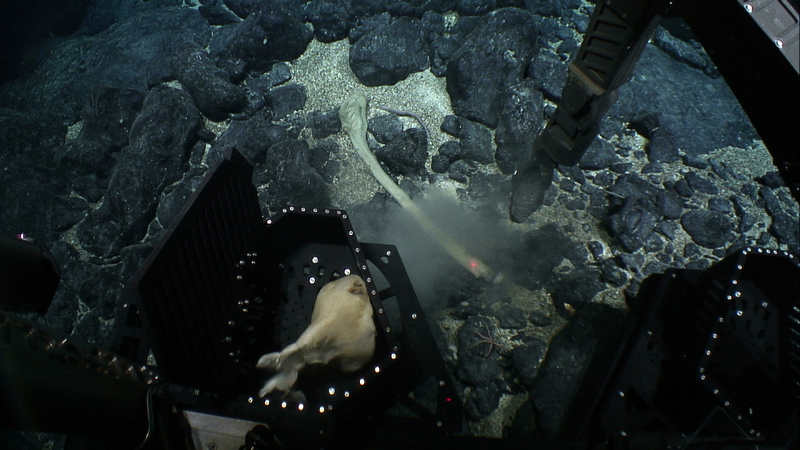 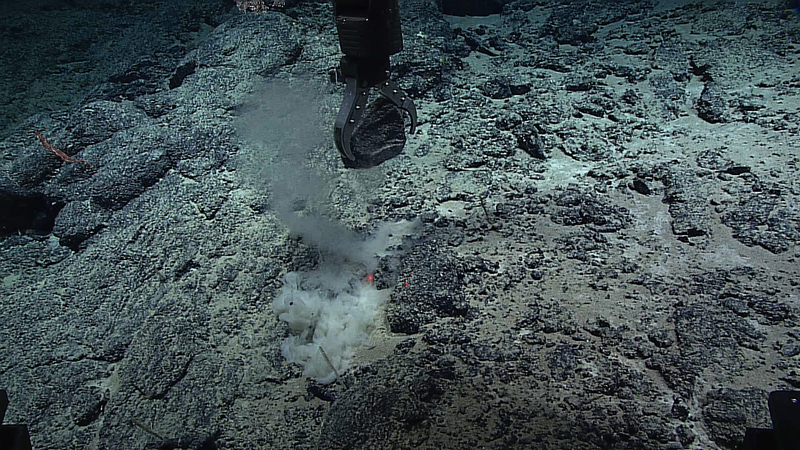 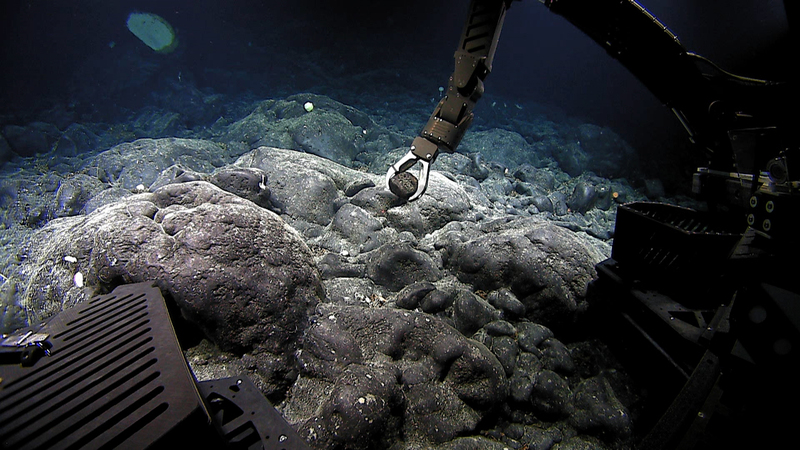 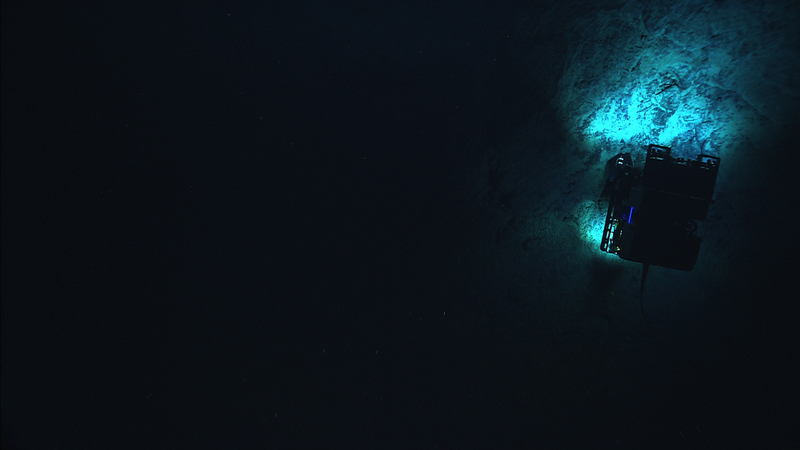 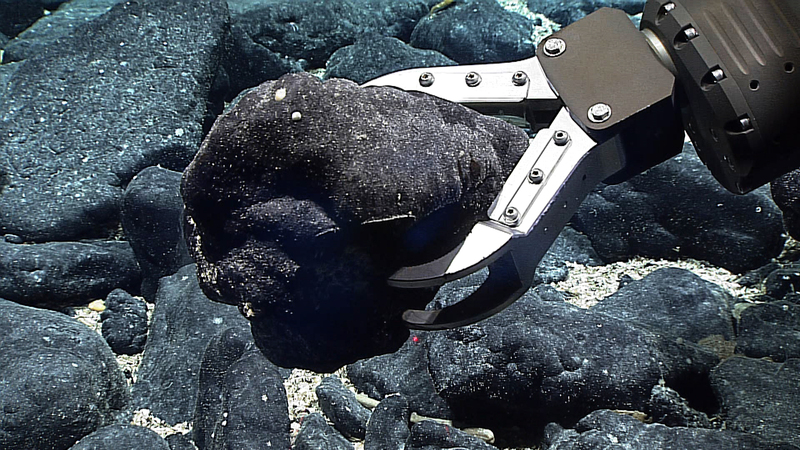 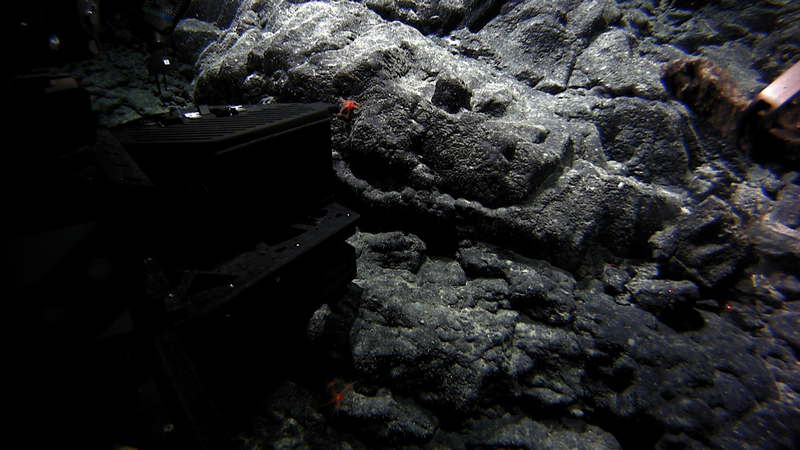 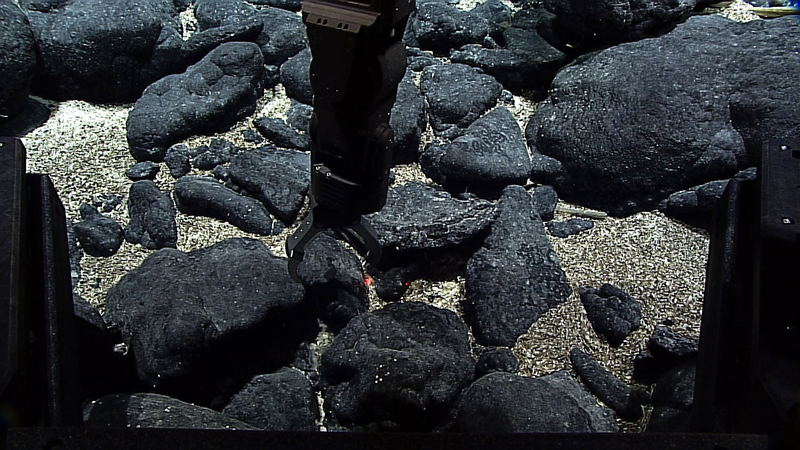 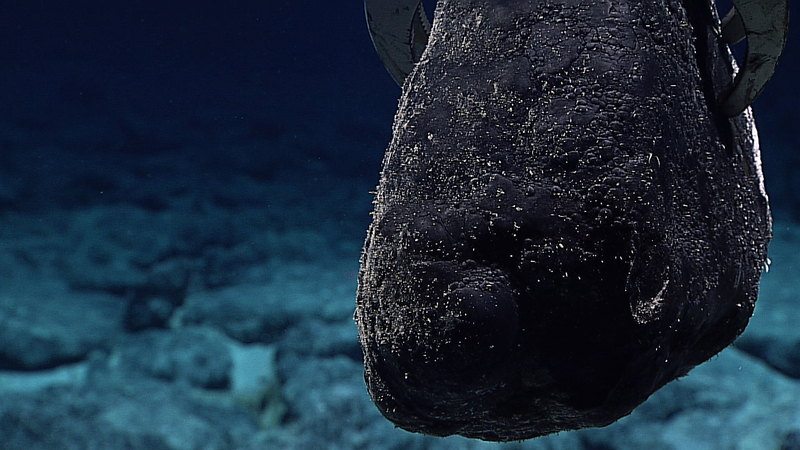 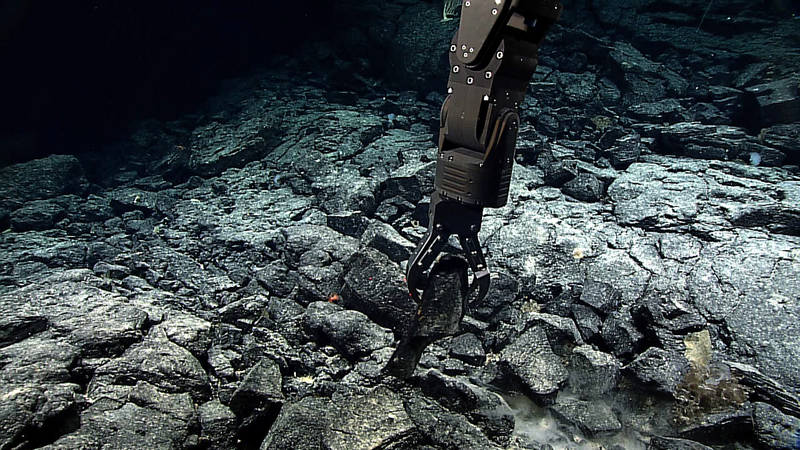 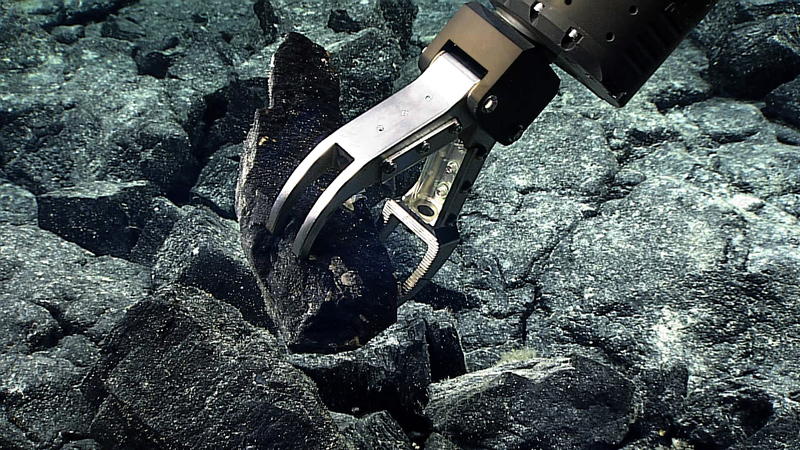 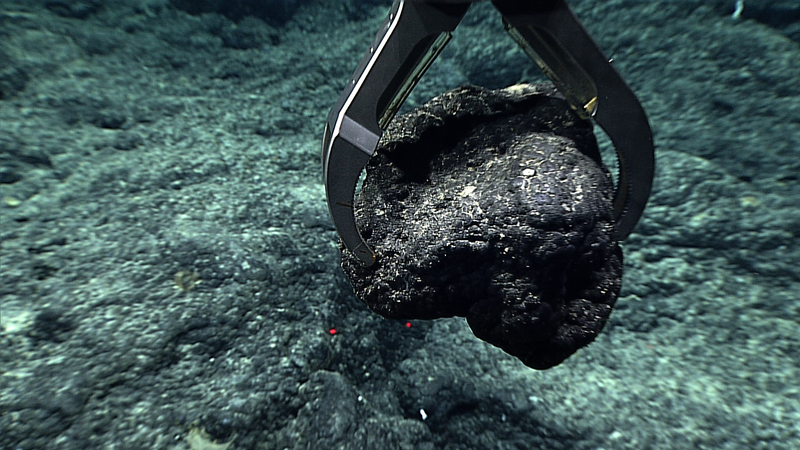 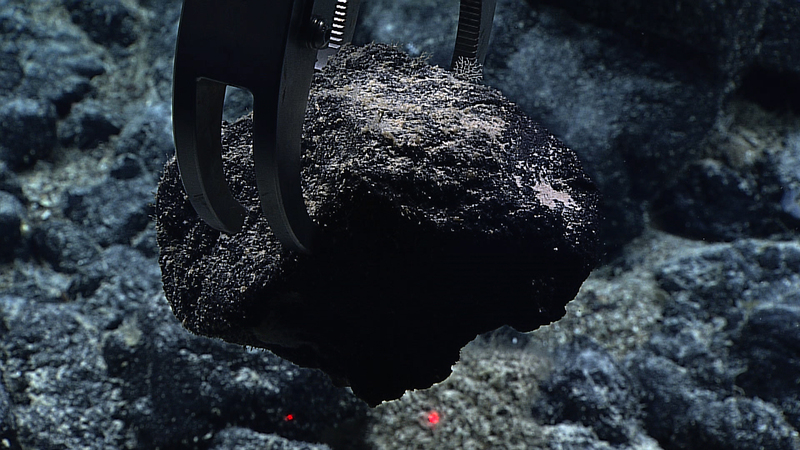 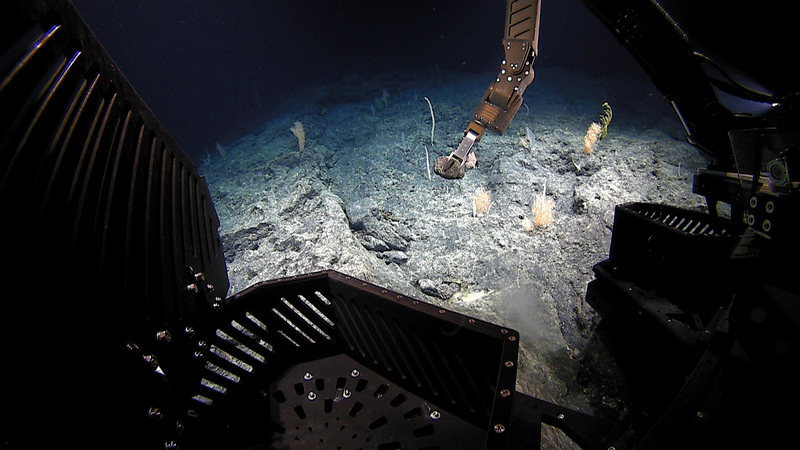 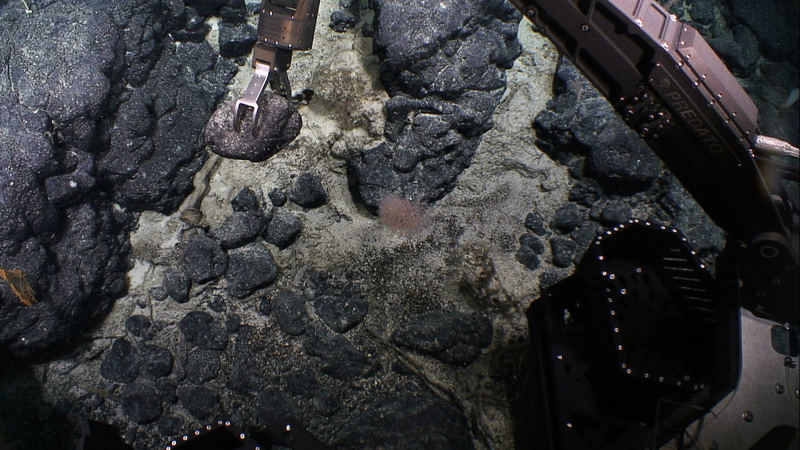 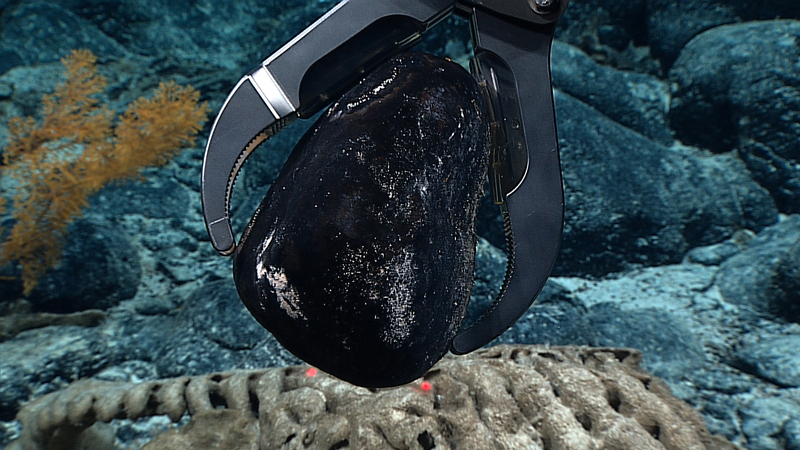 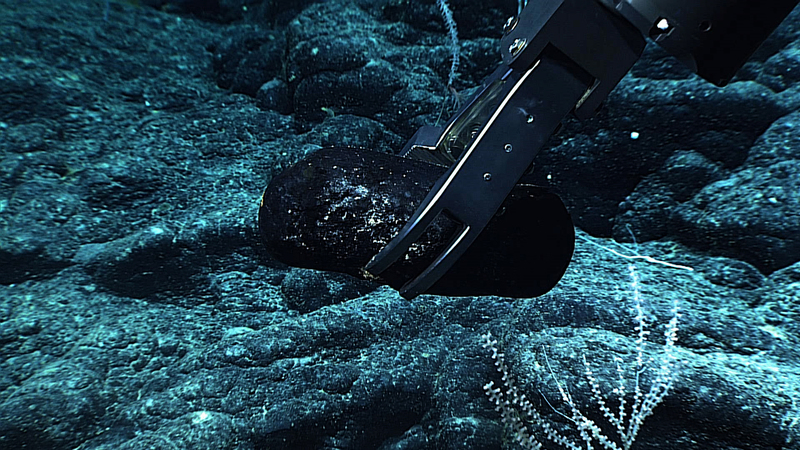 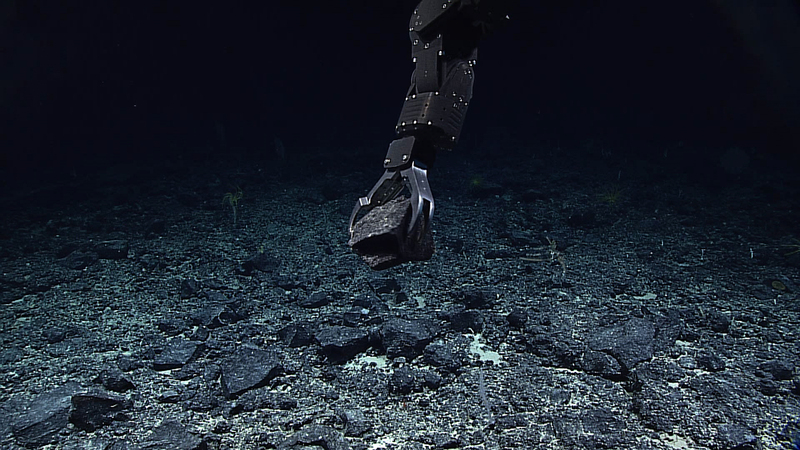 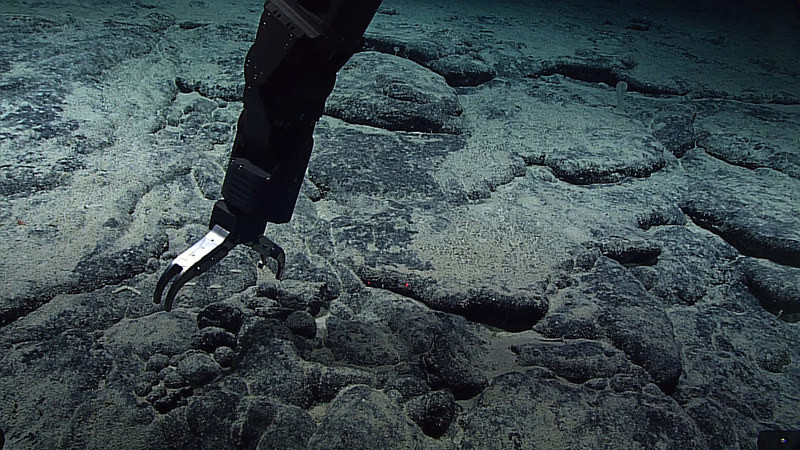 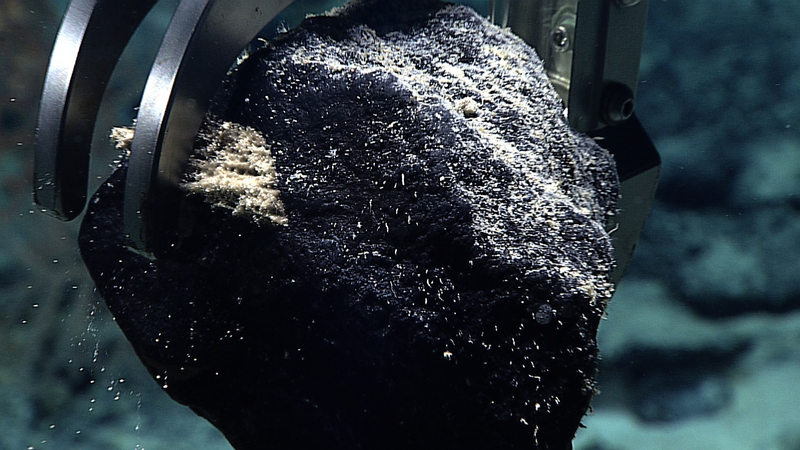 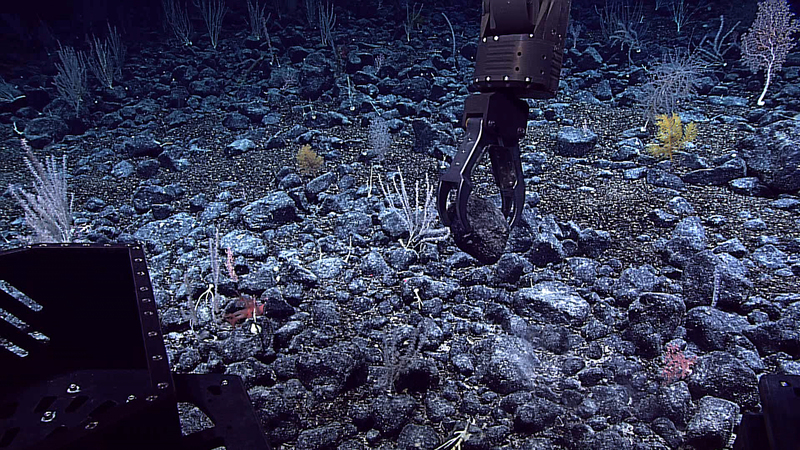 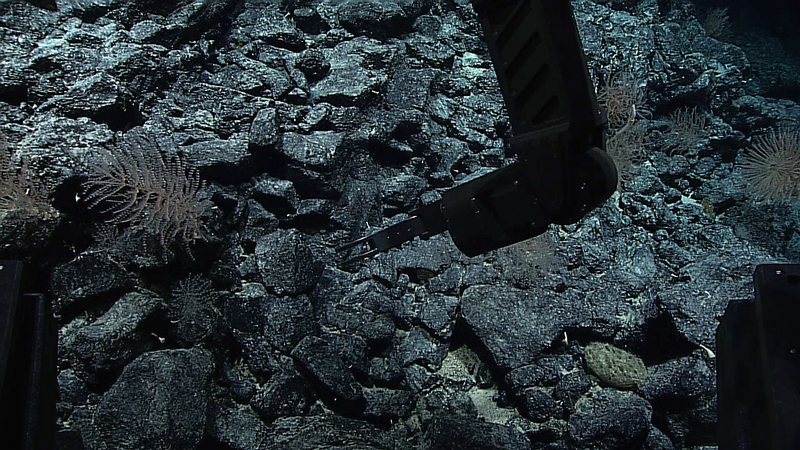 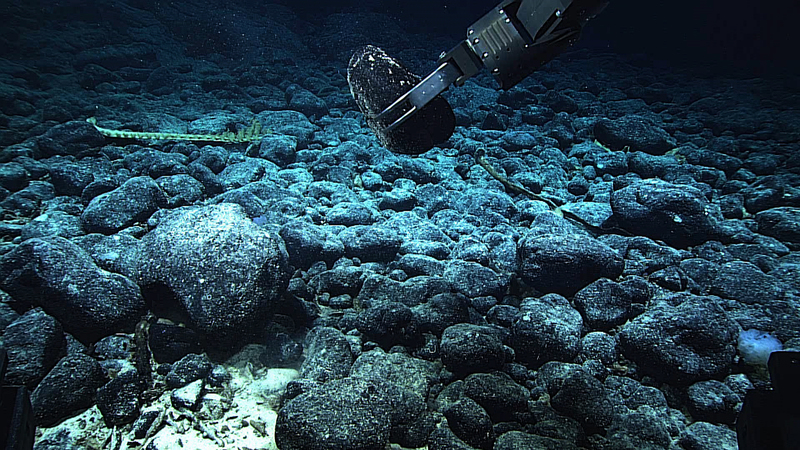 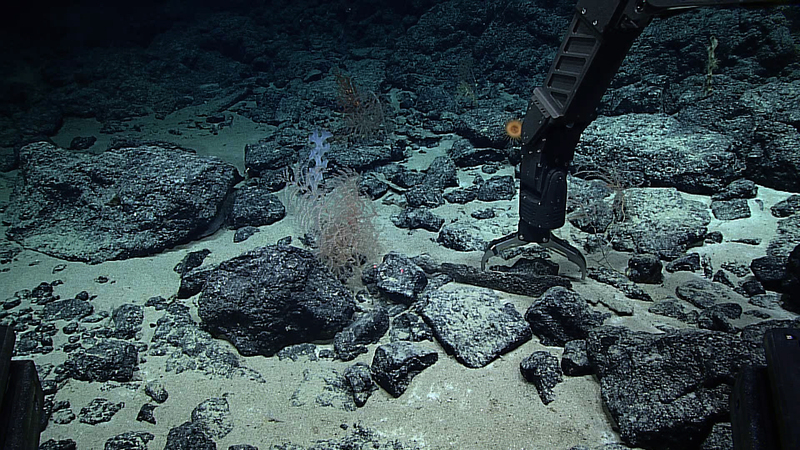 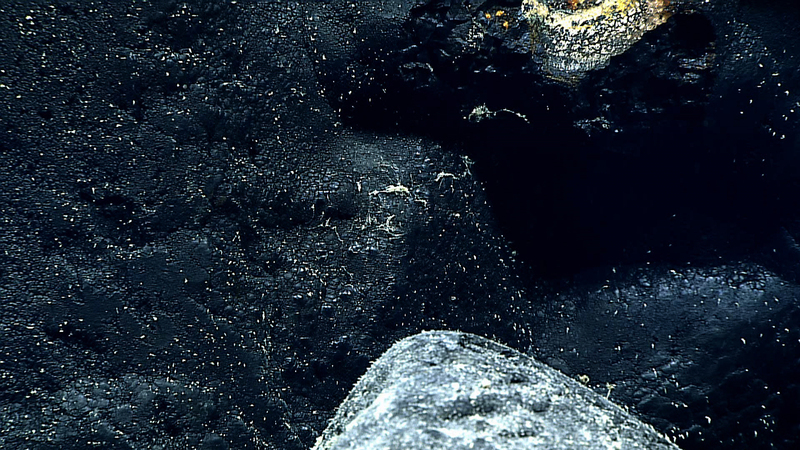 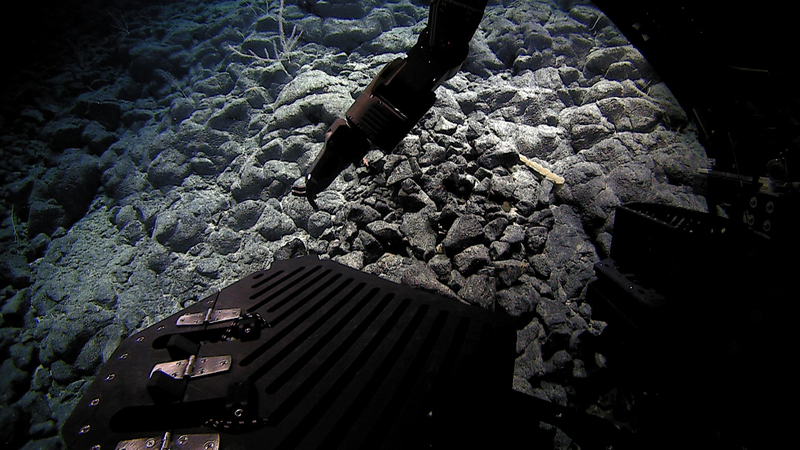 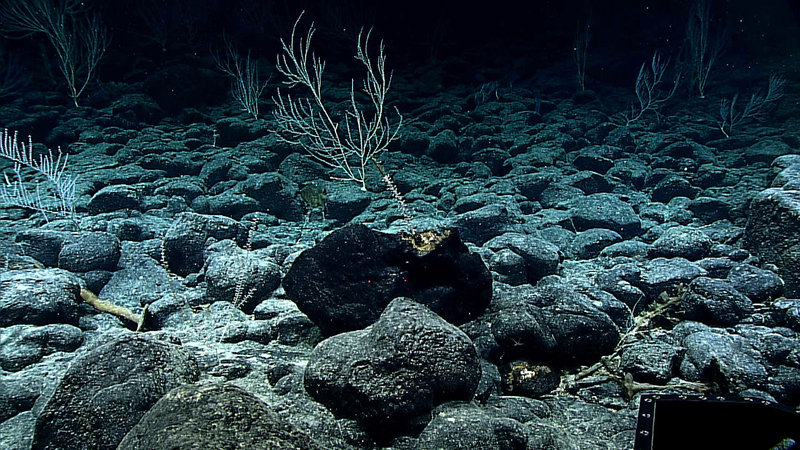 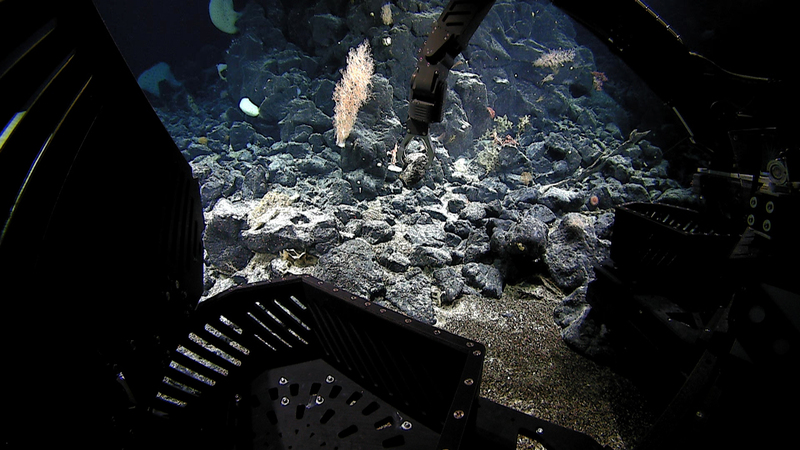 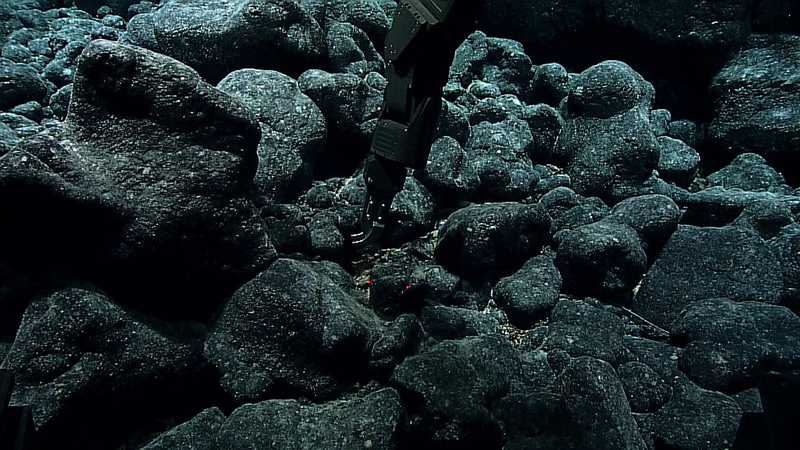 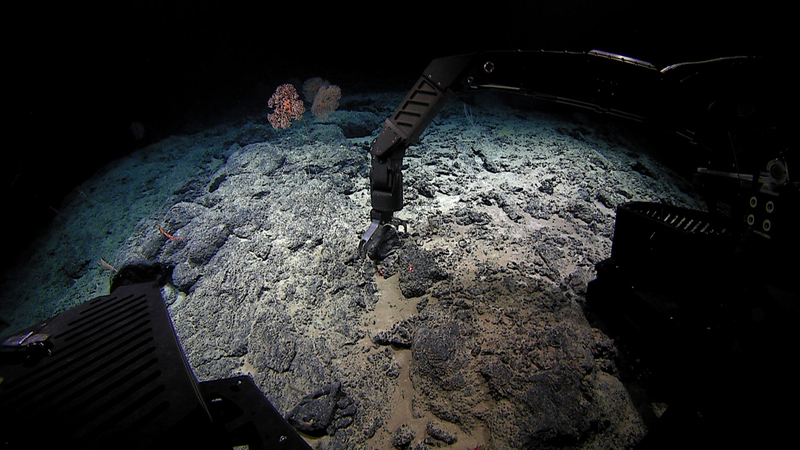 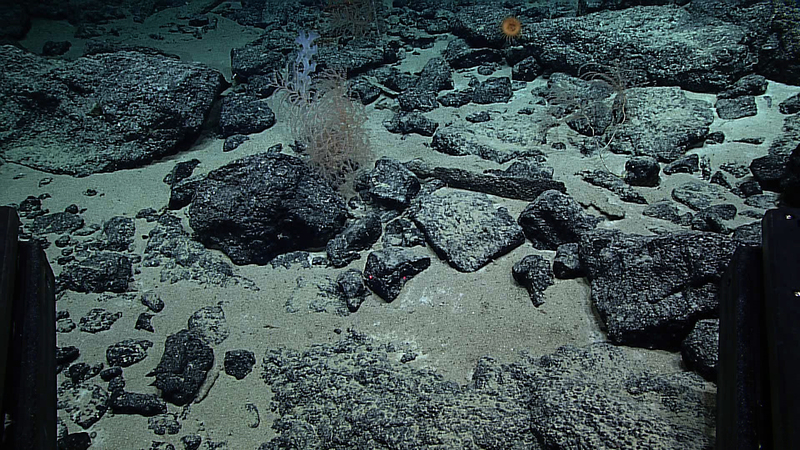 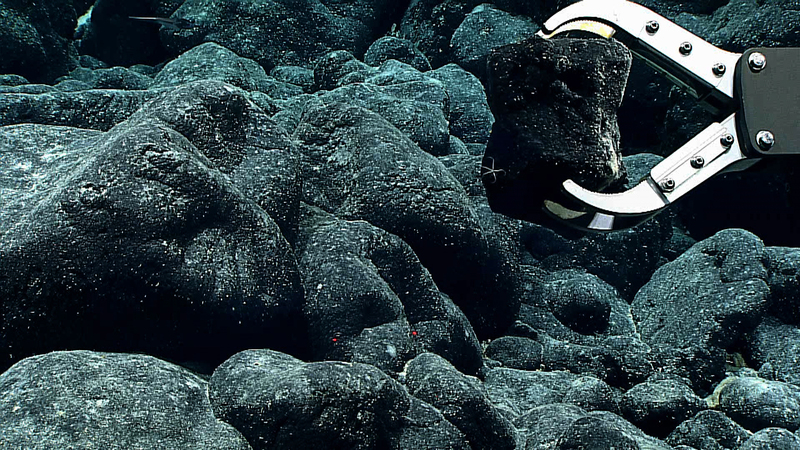 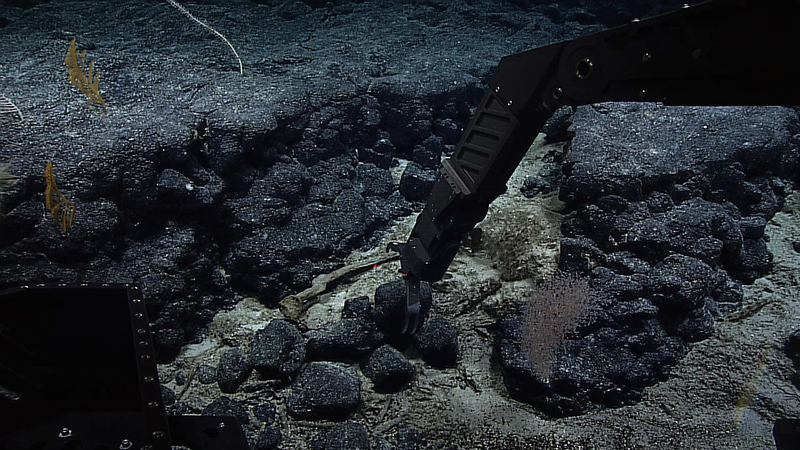 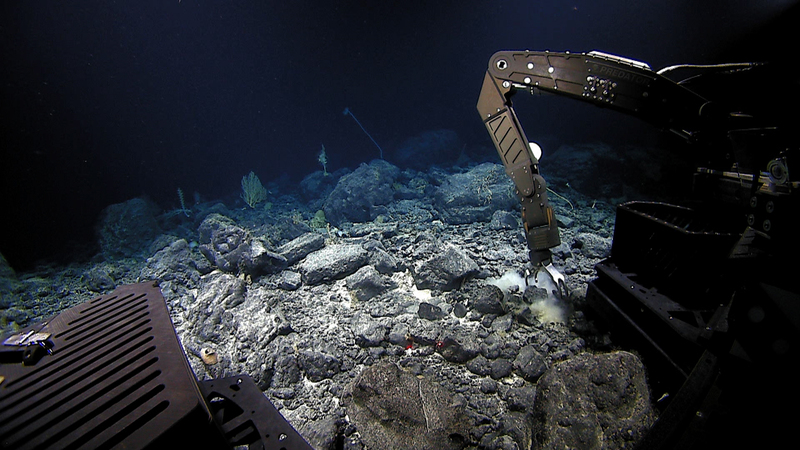 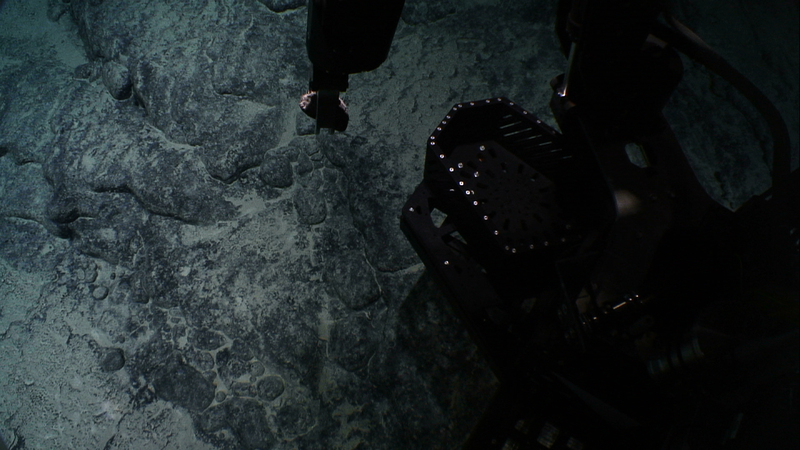 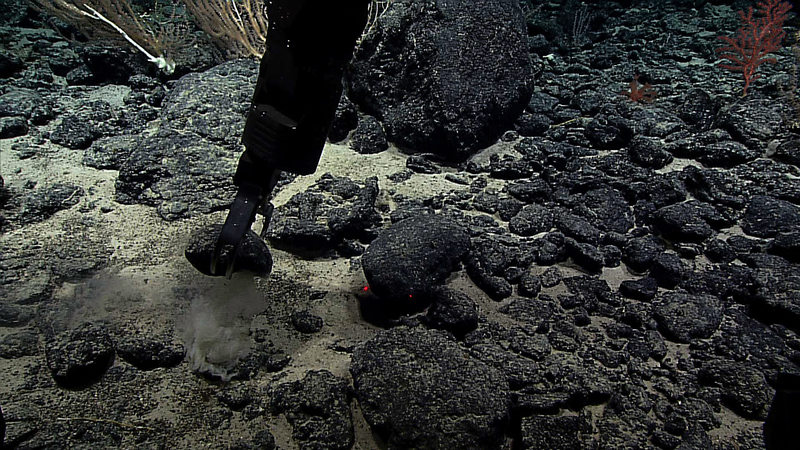 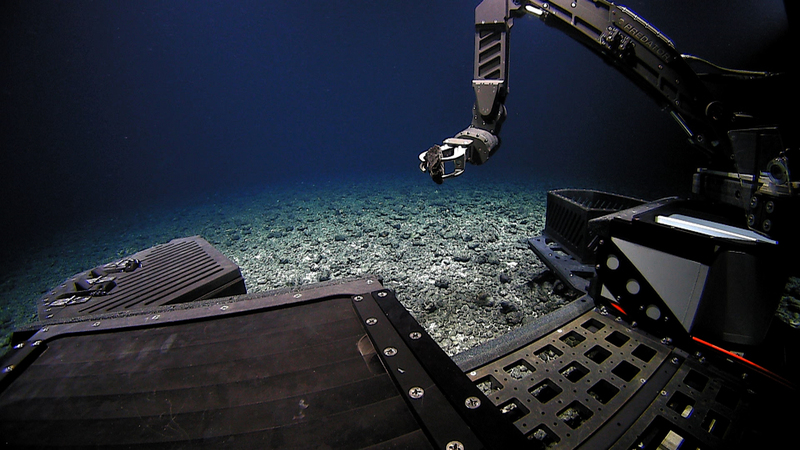 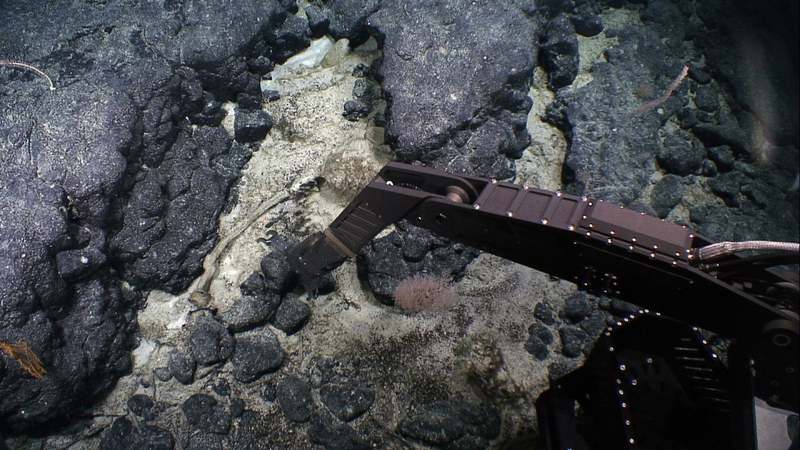 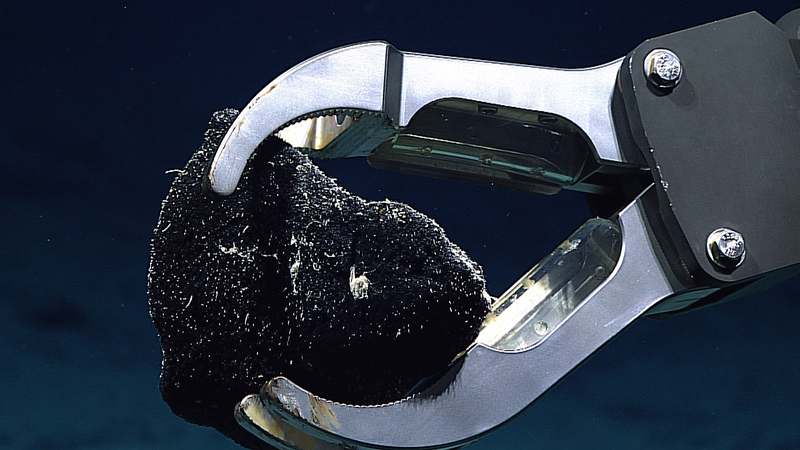 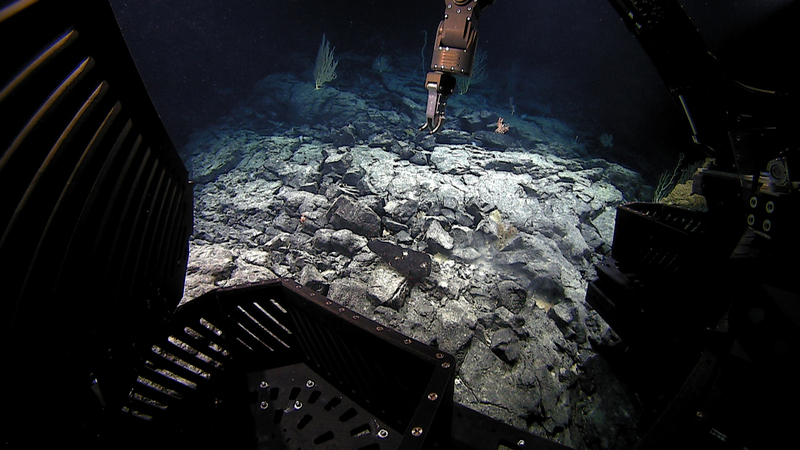 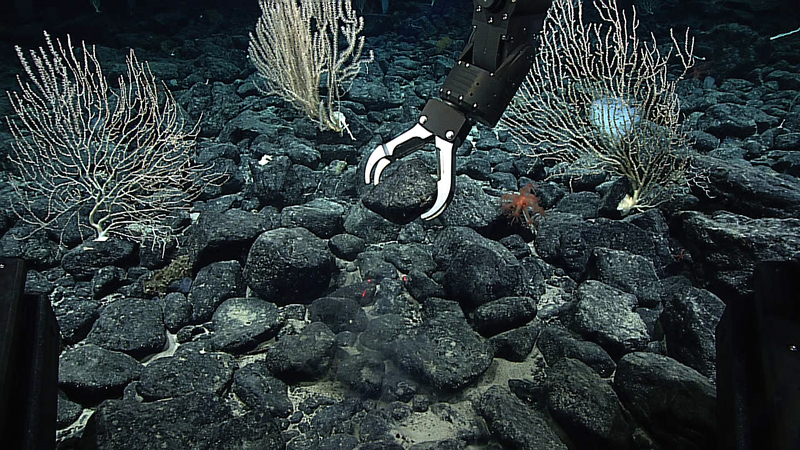 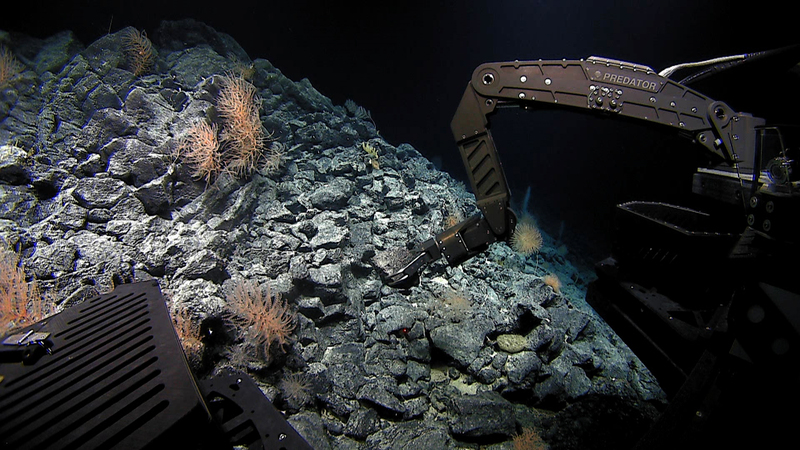 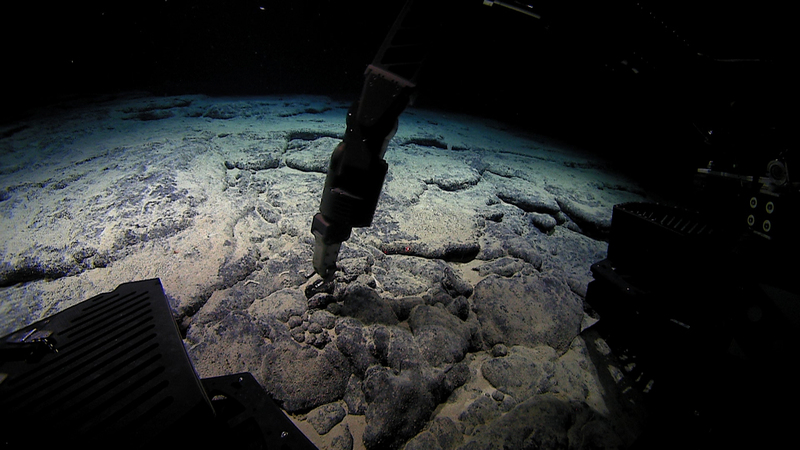 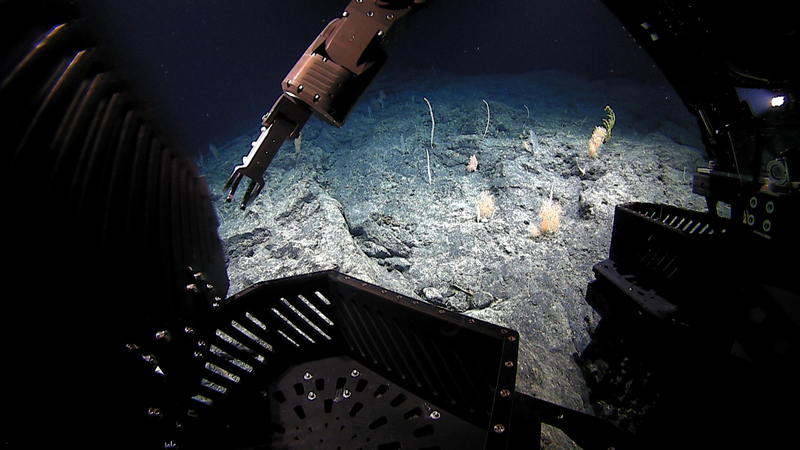 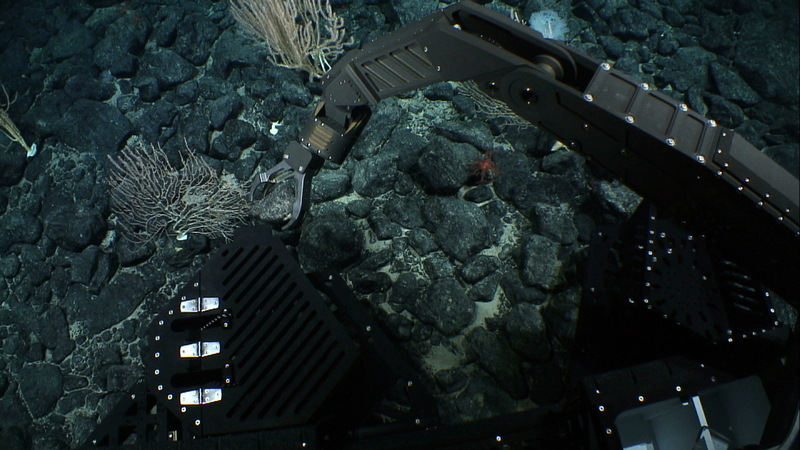 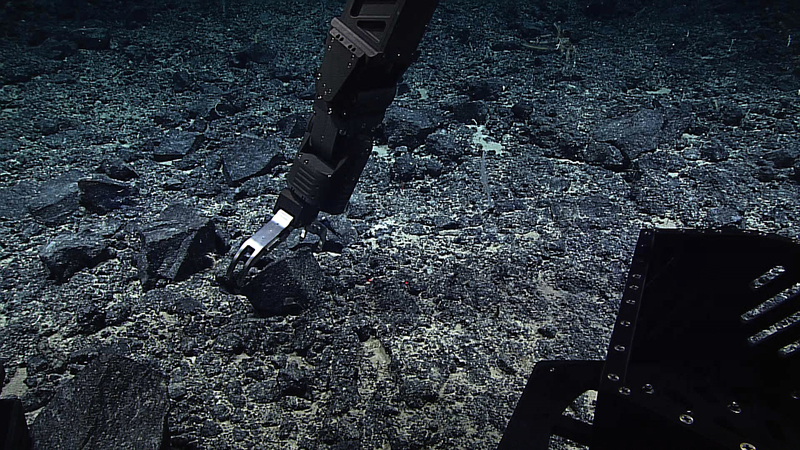 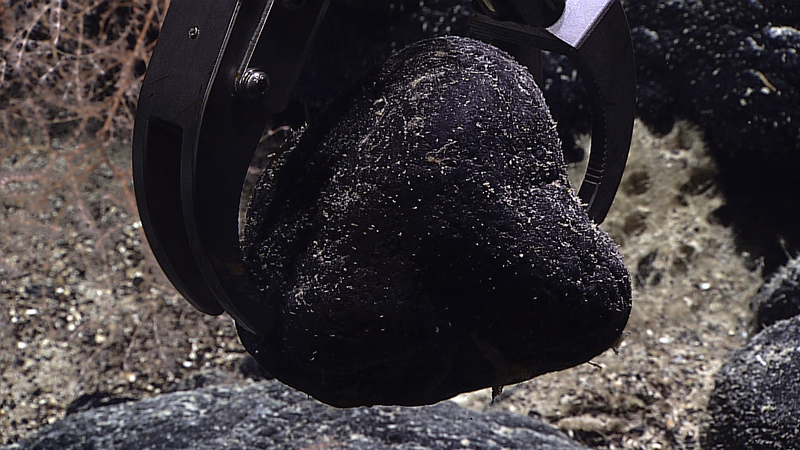 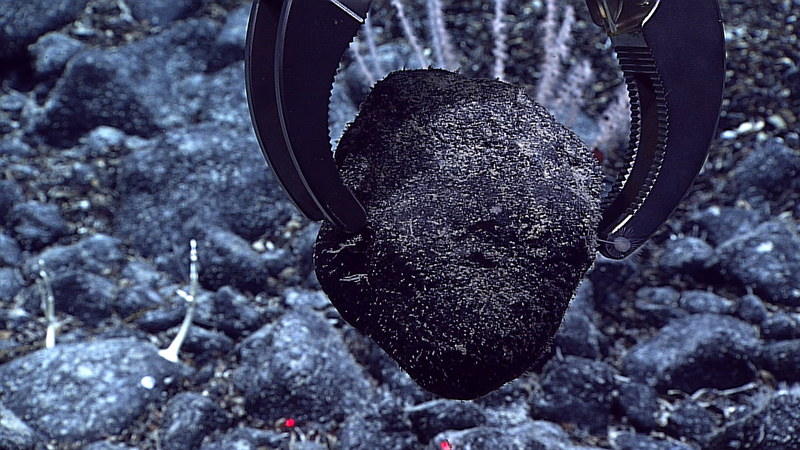 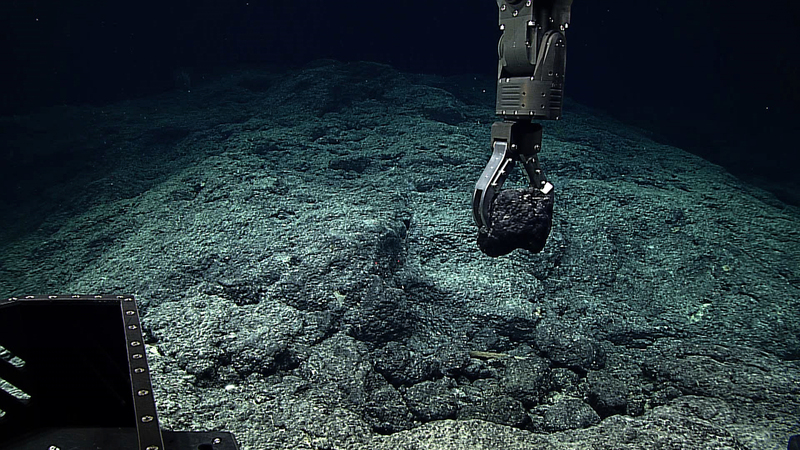 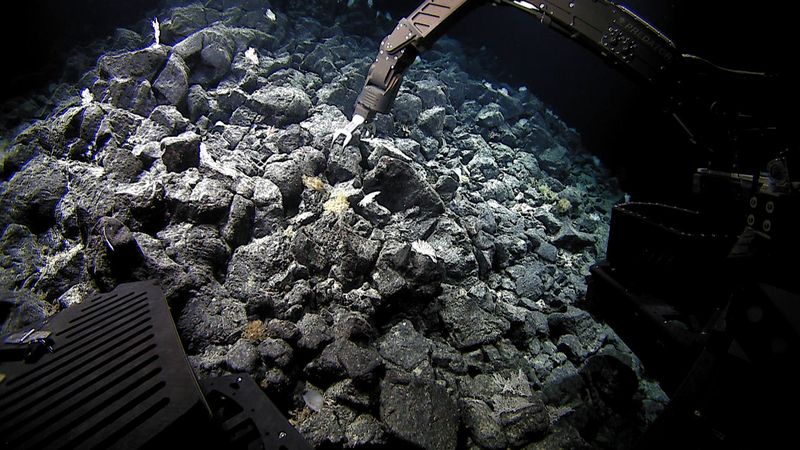 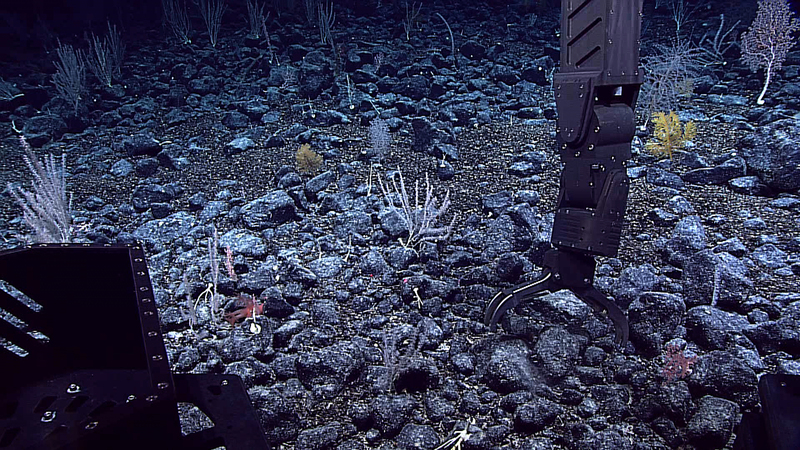 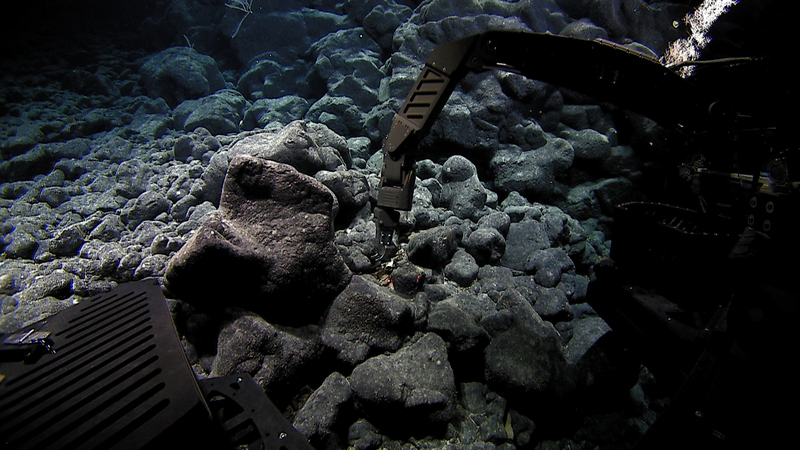 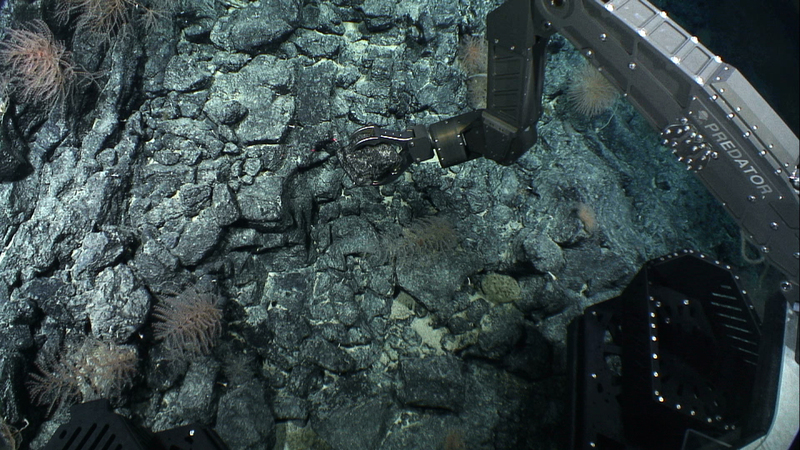 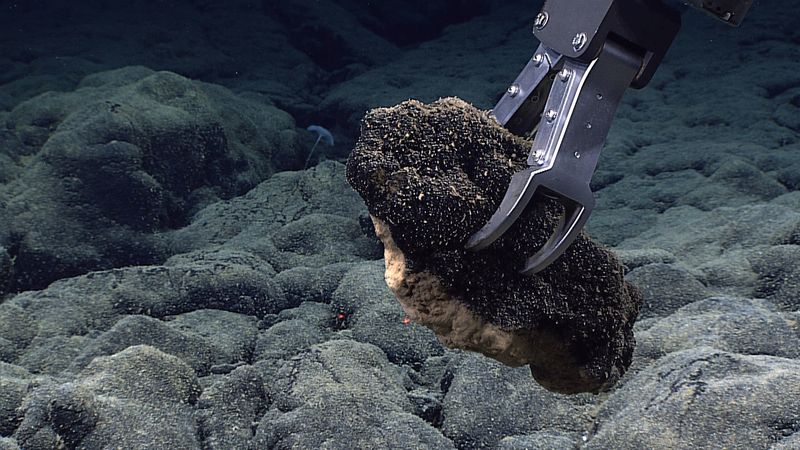 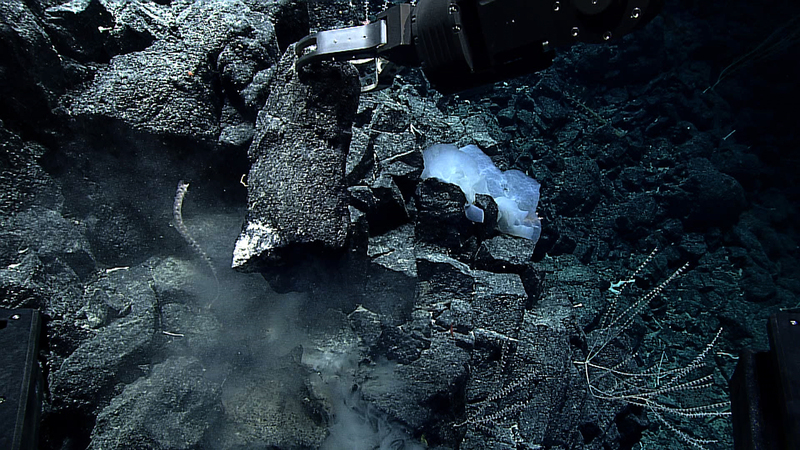 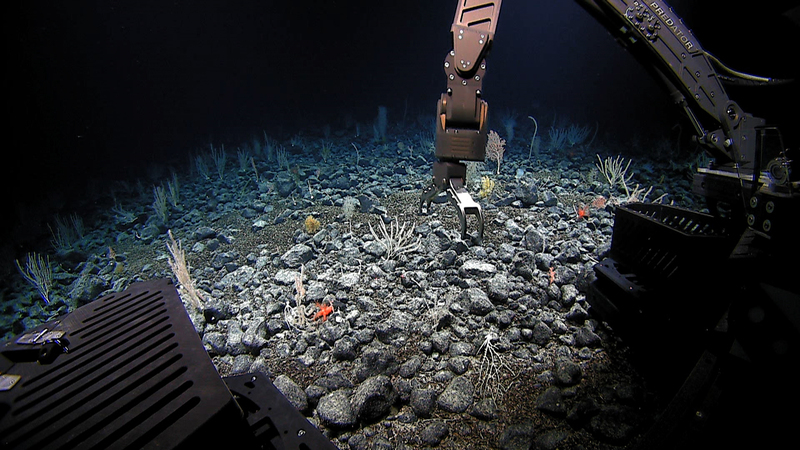 NOAA expedition EX1504 Leg 2 sampled seamounts in the deep waters of the Papahānaumokuākea Marine National Monument of the Pacific using the submersible Deep Discoverer. 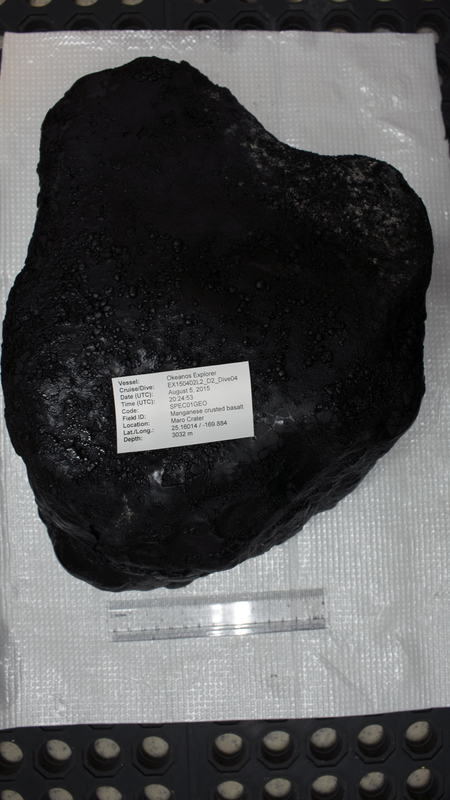 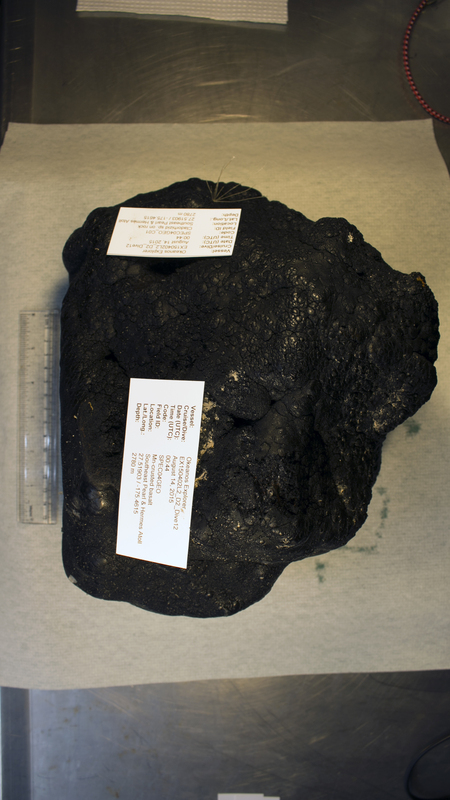 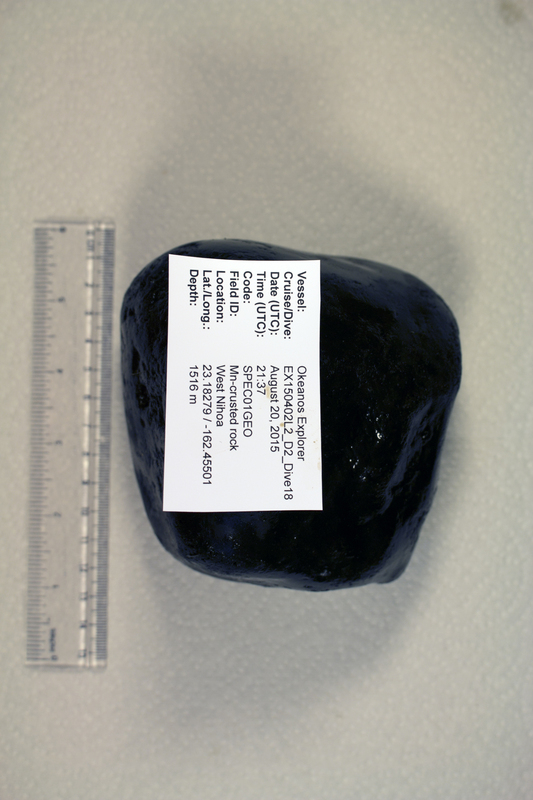 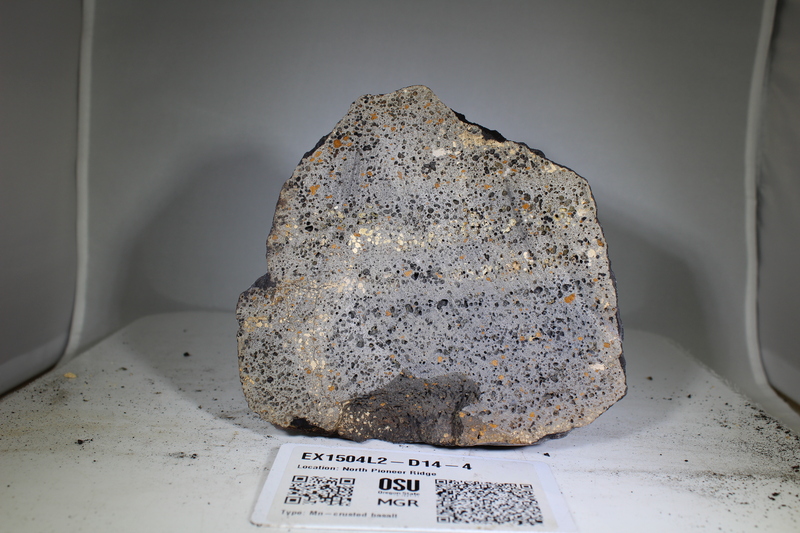 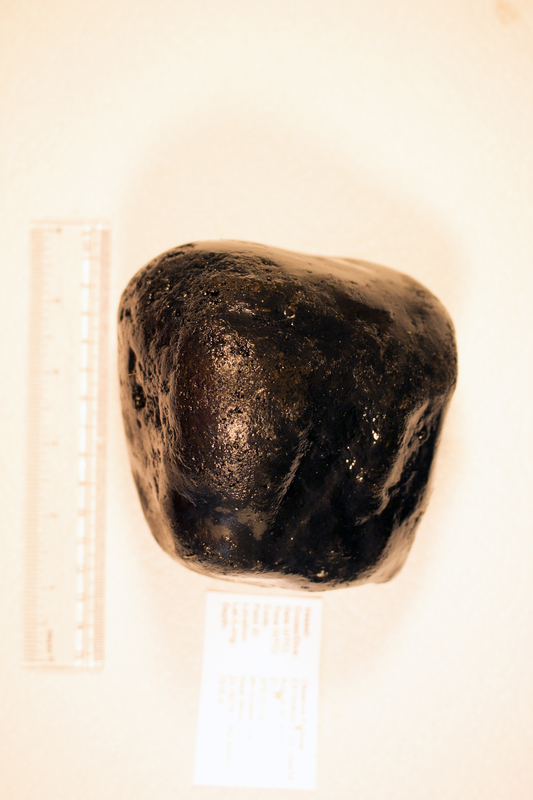 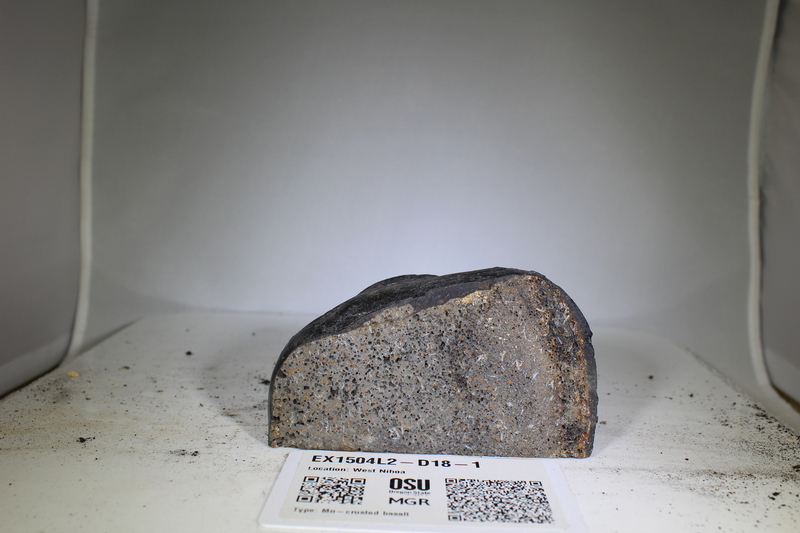 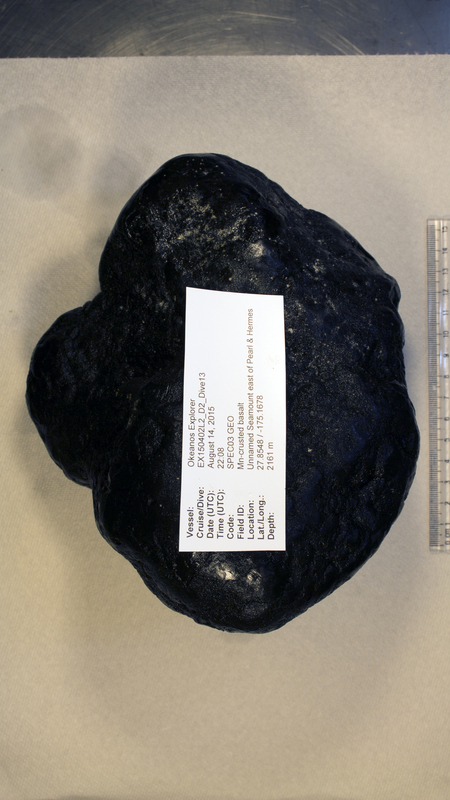 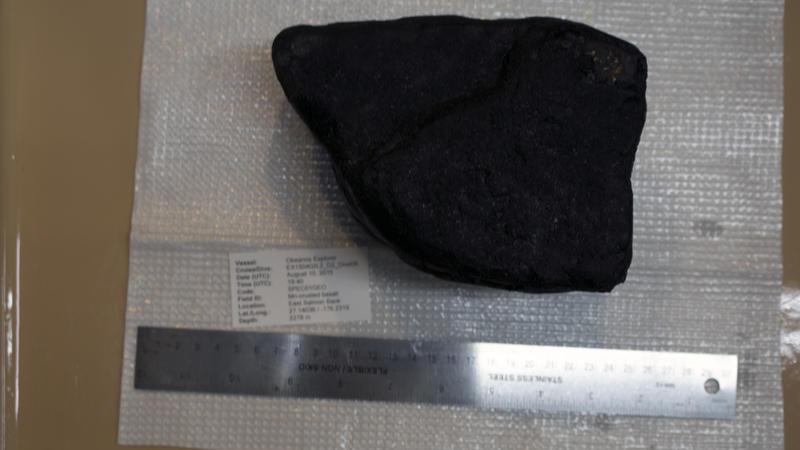 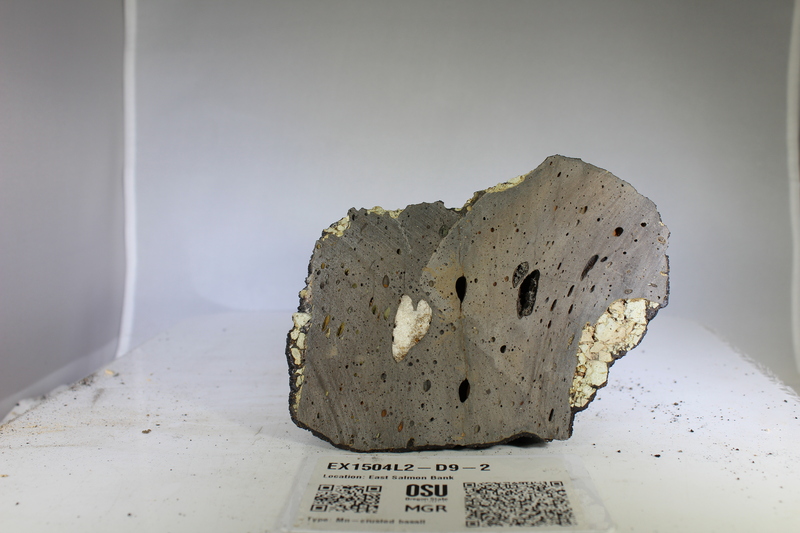 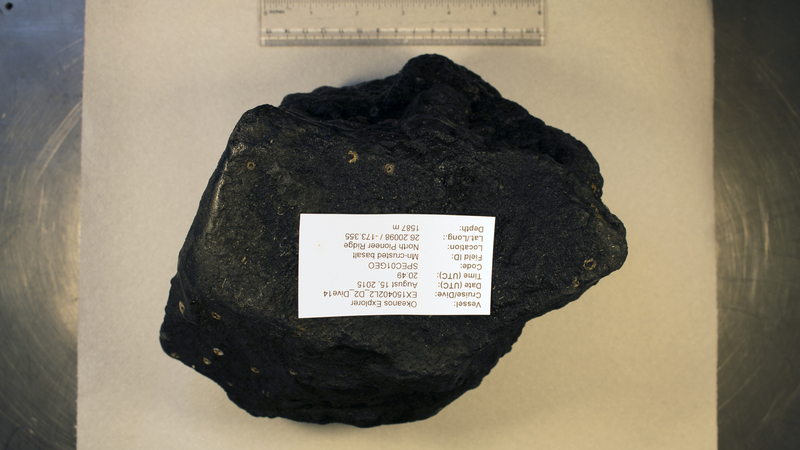 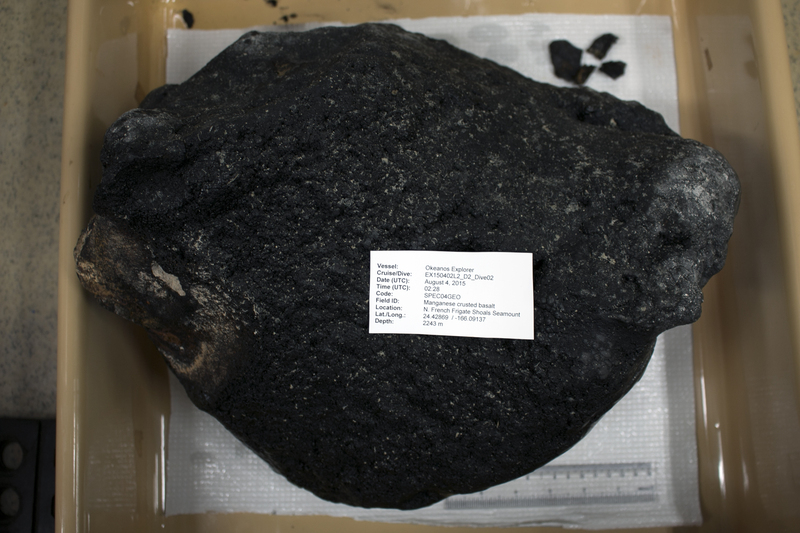 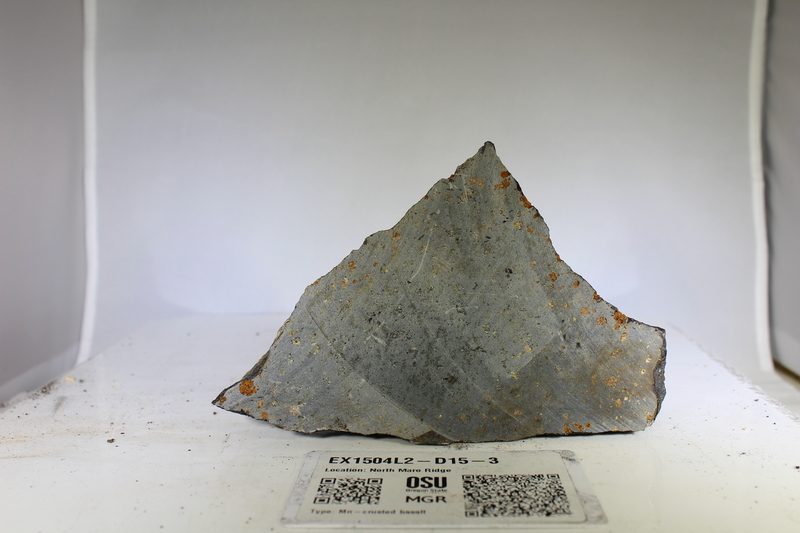 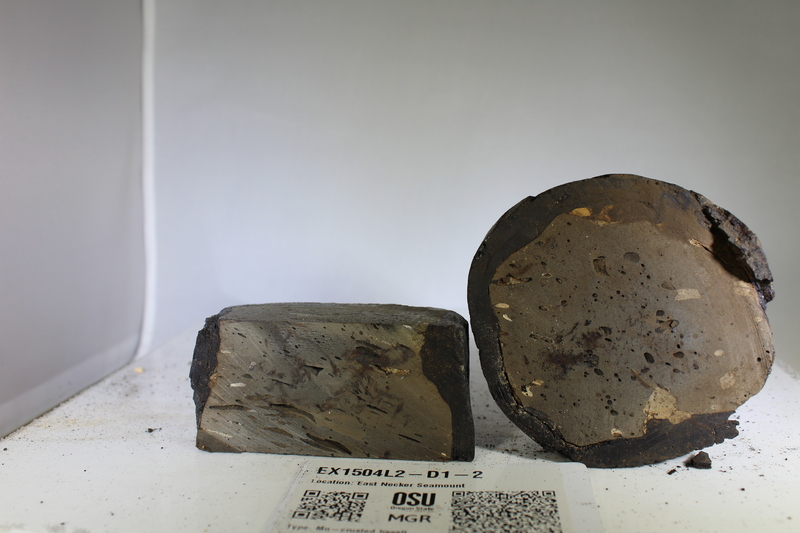 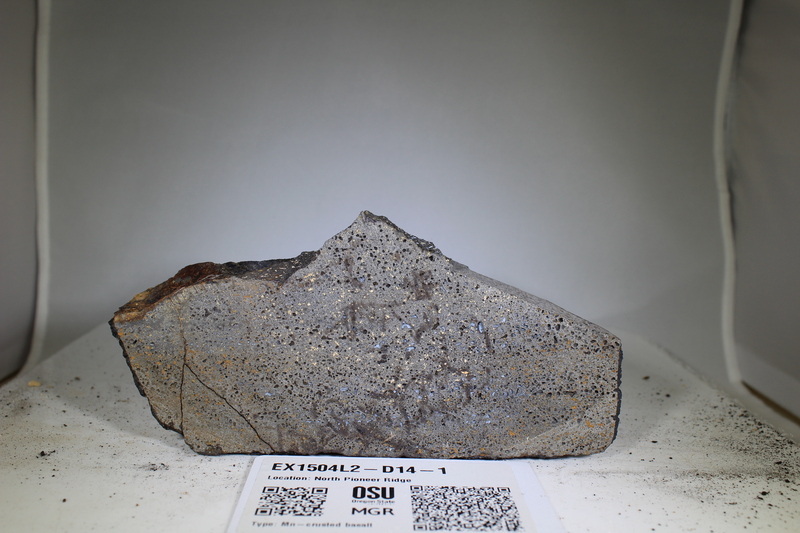 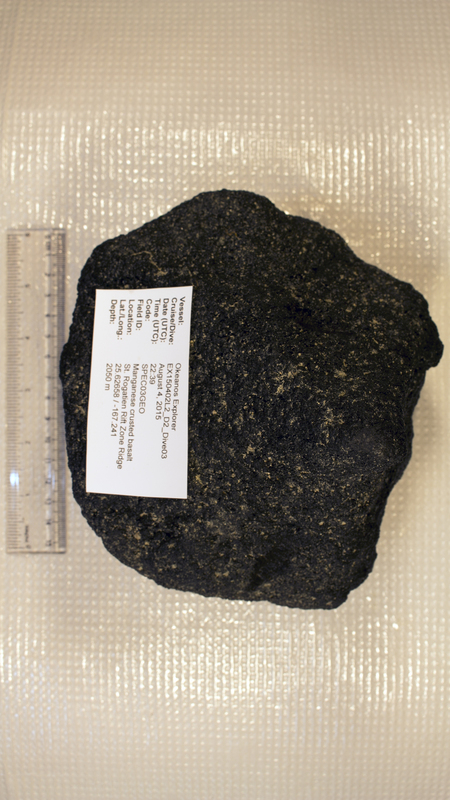 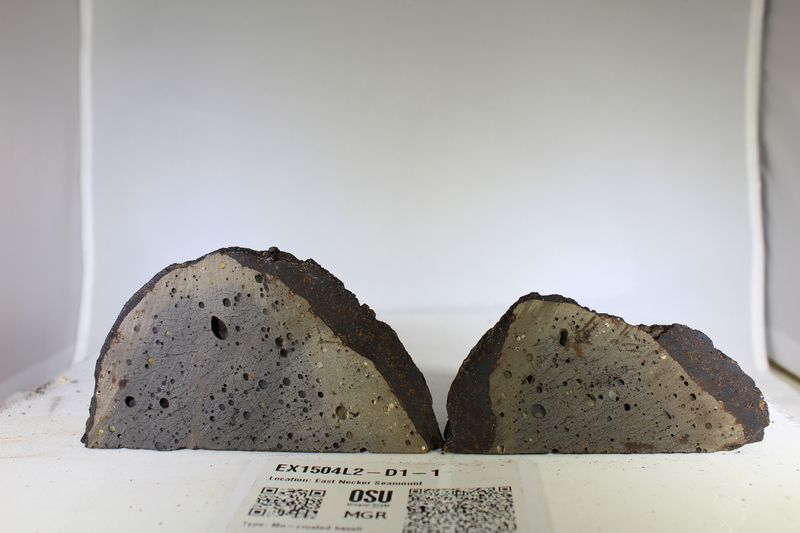 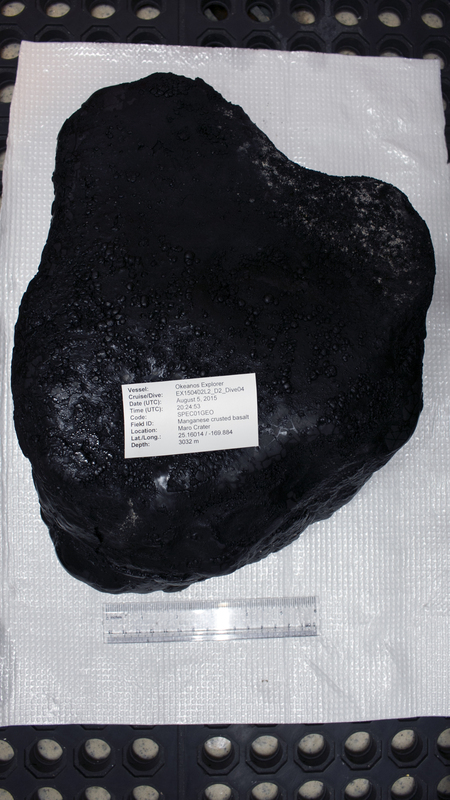 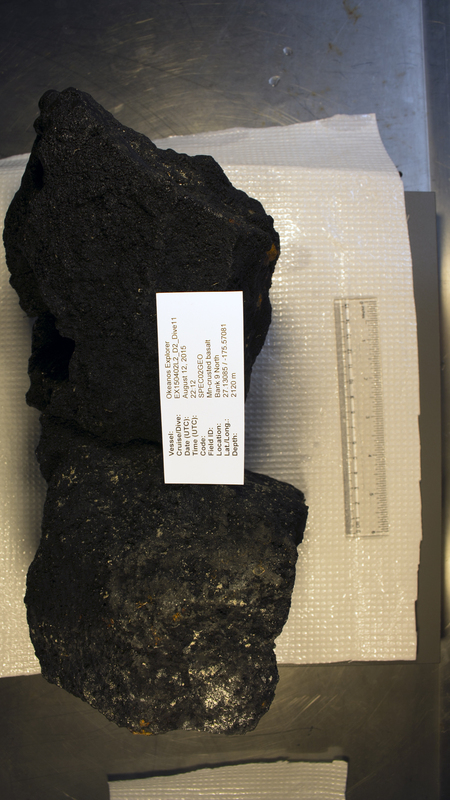 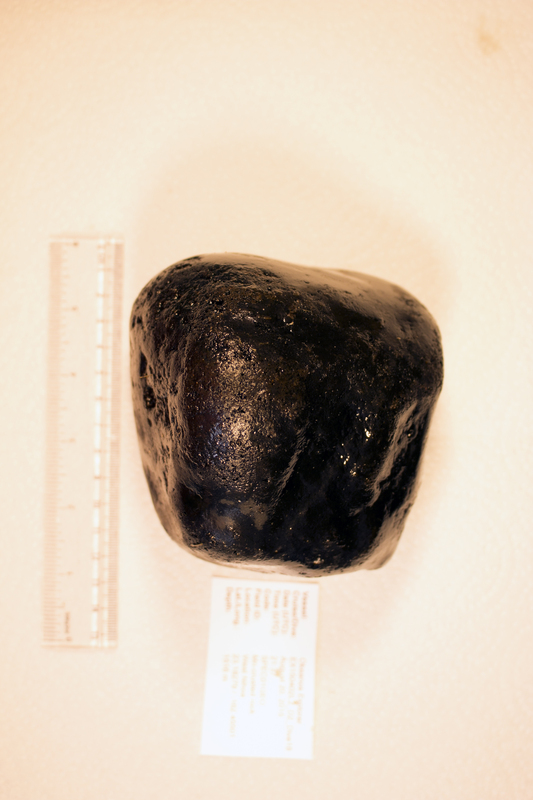 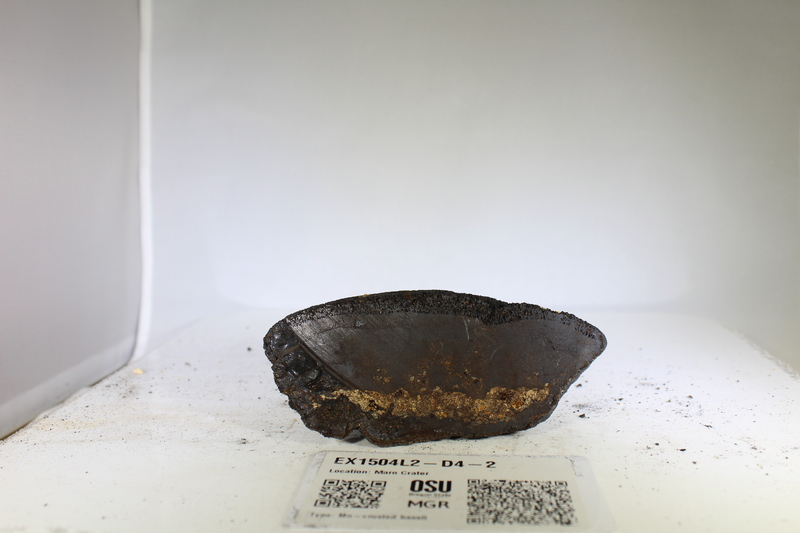 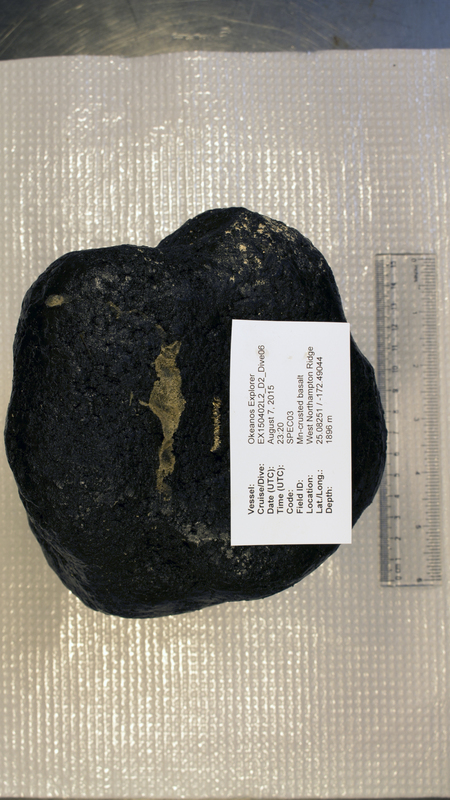 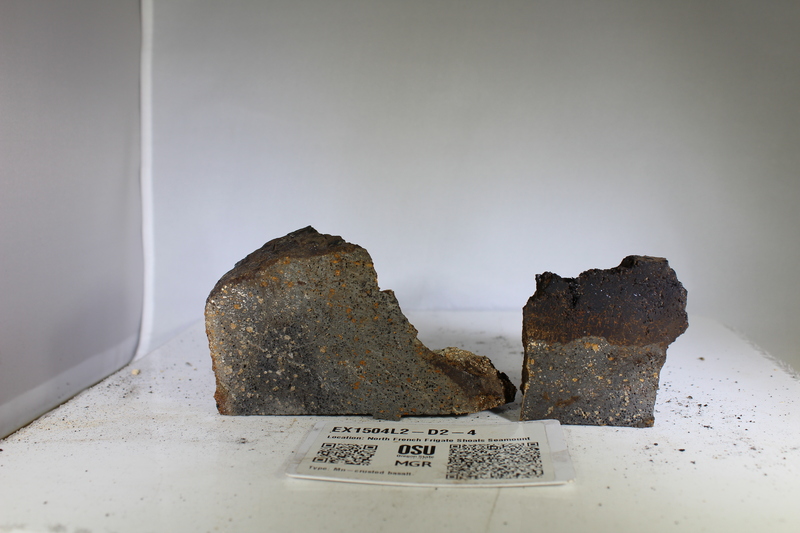 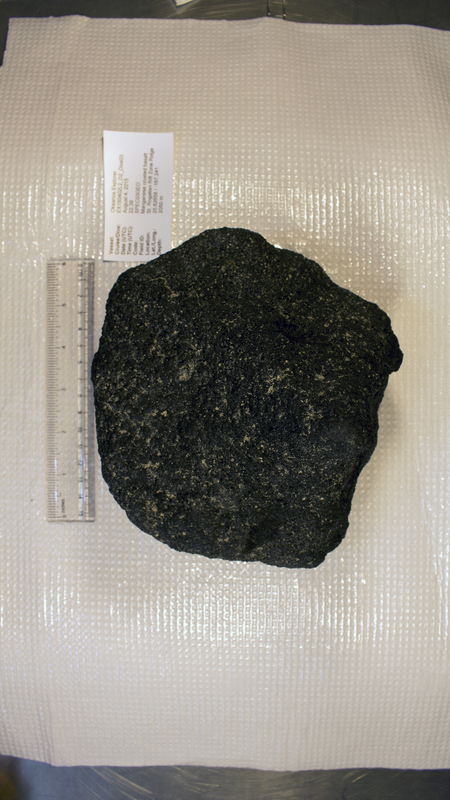 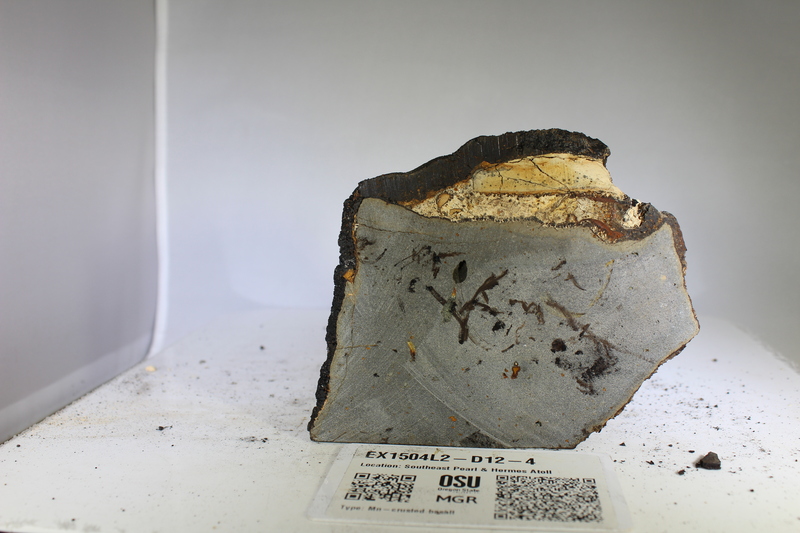 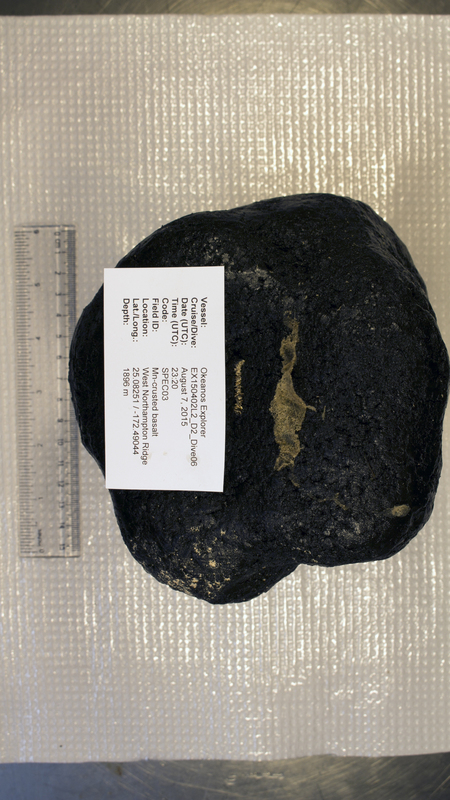 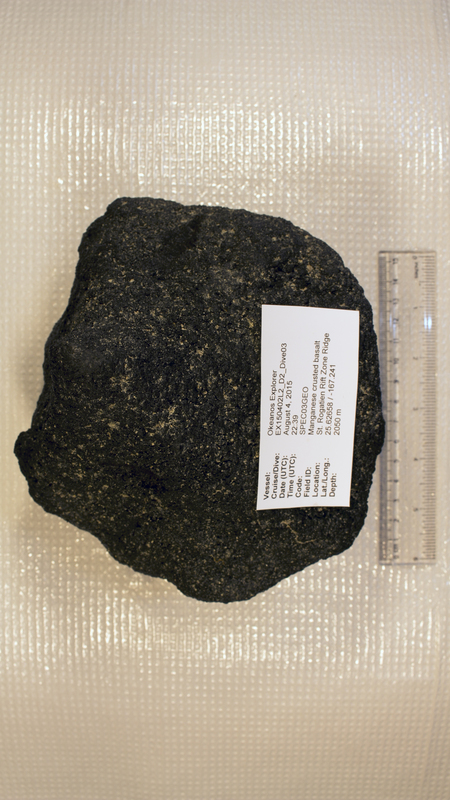 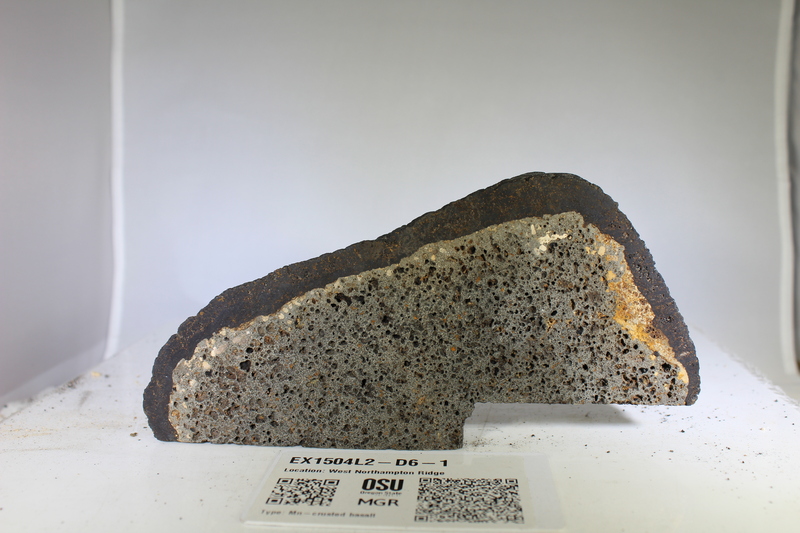 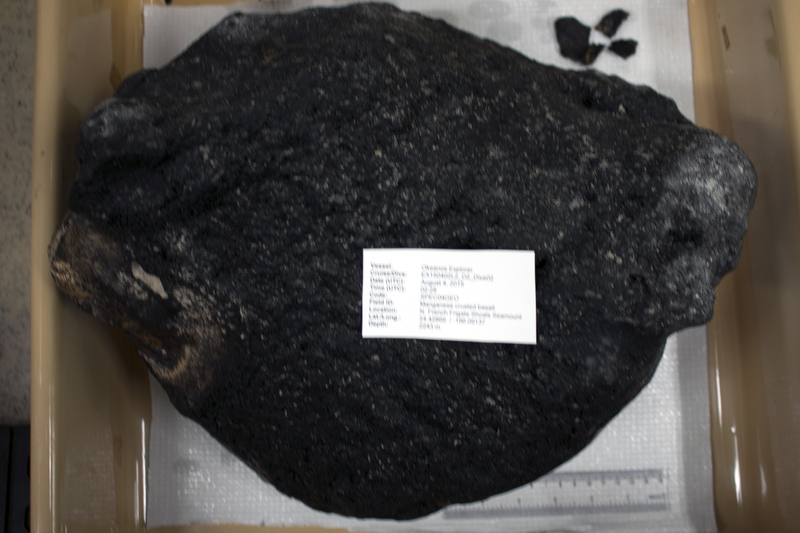 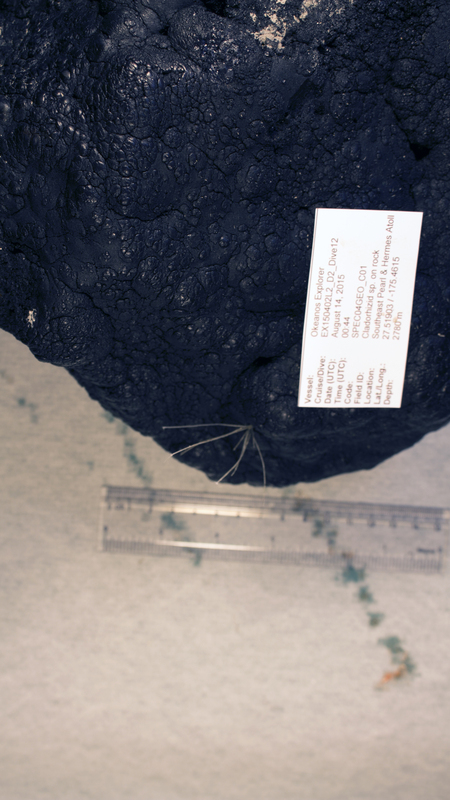 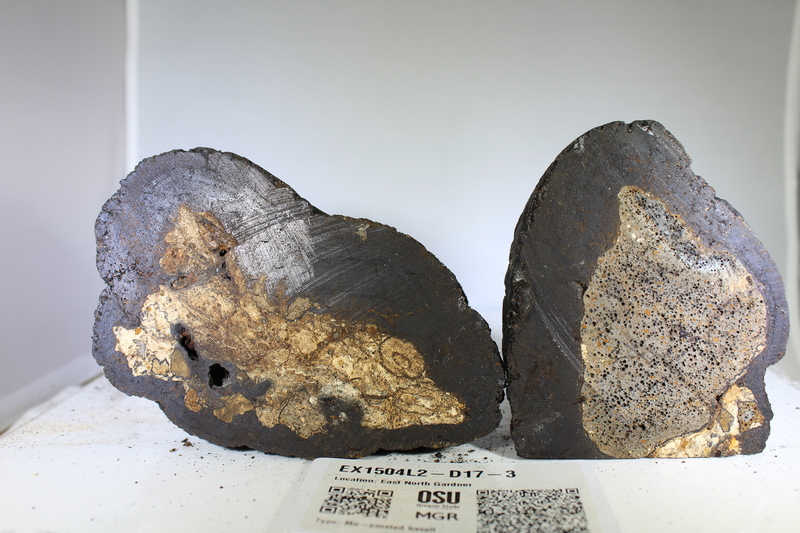 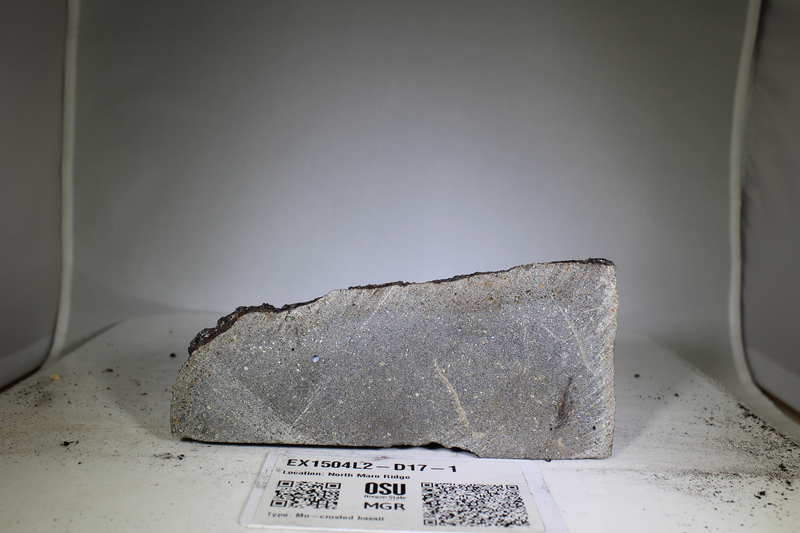 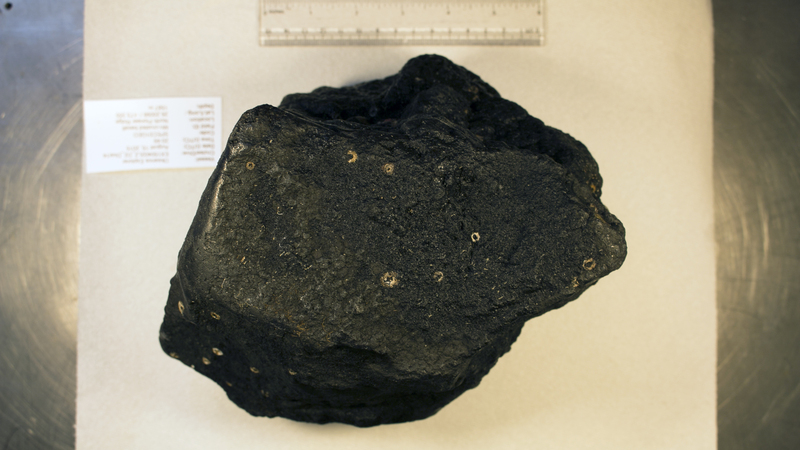 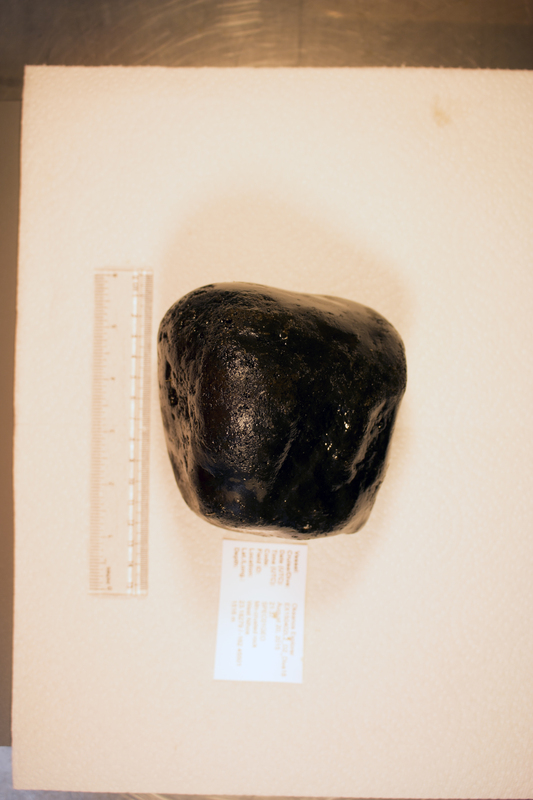 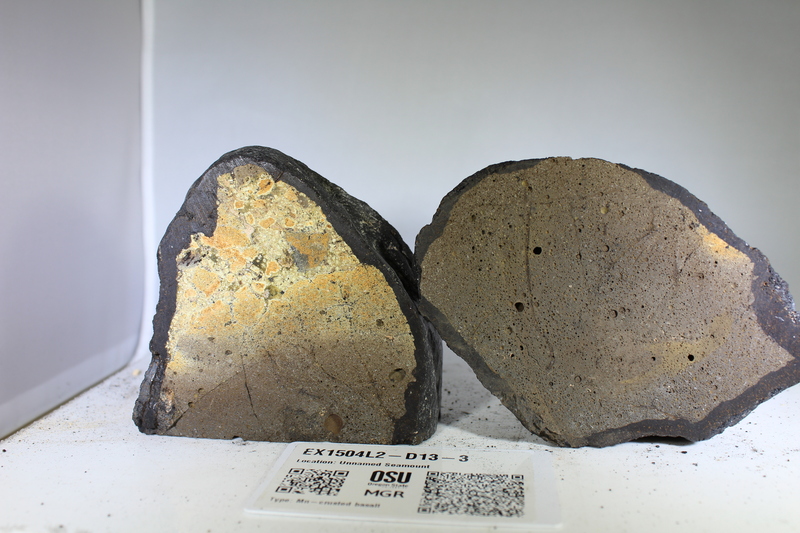 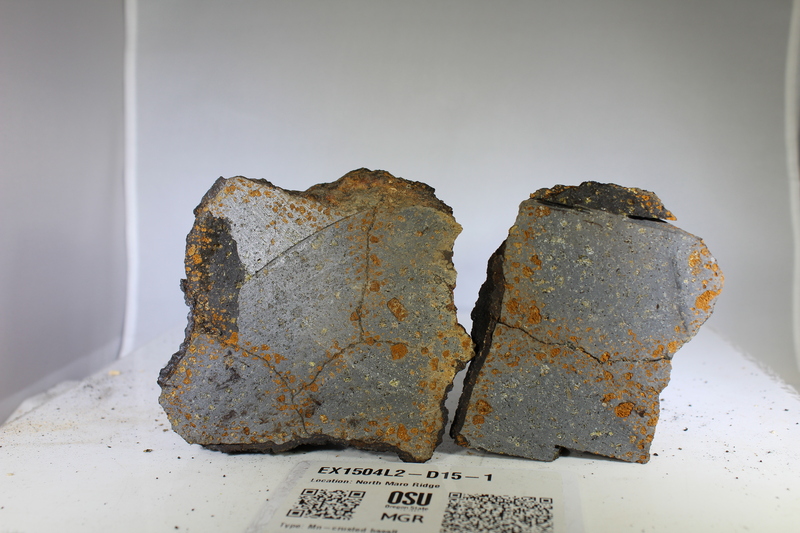 OSU marine repository archives the rock samples collected during the expedition. 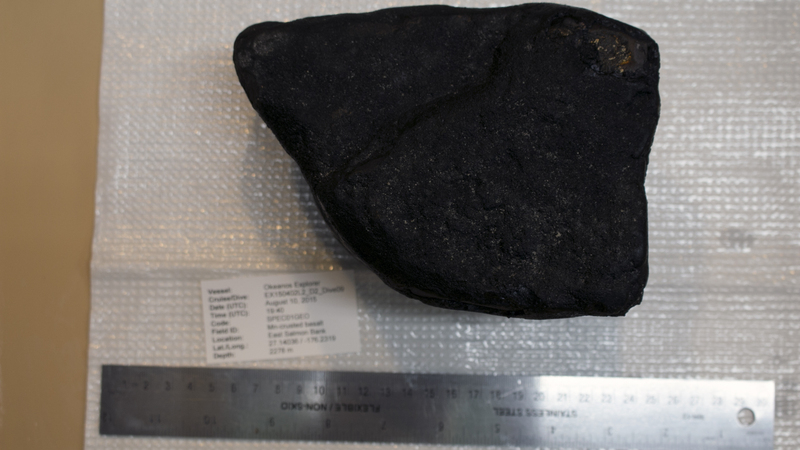 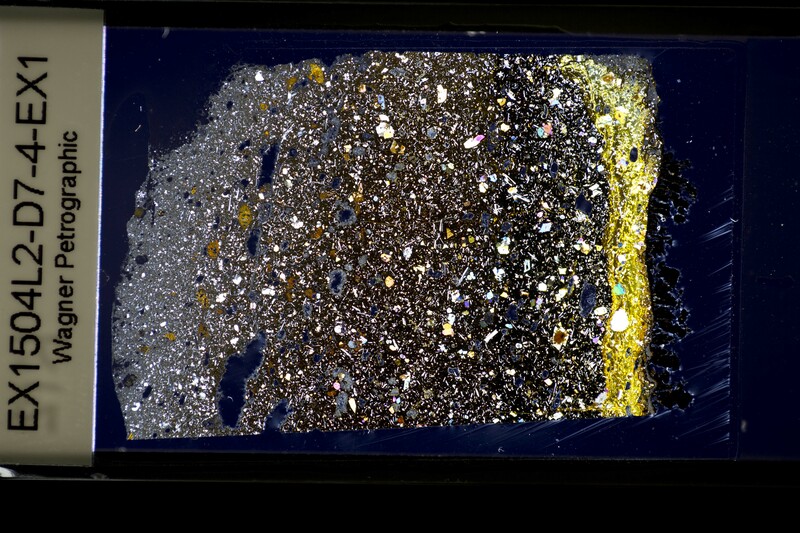 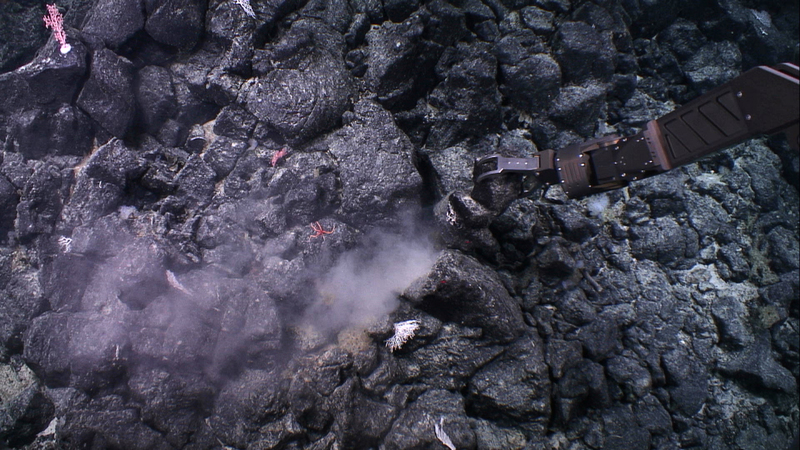 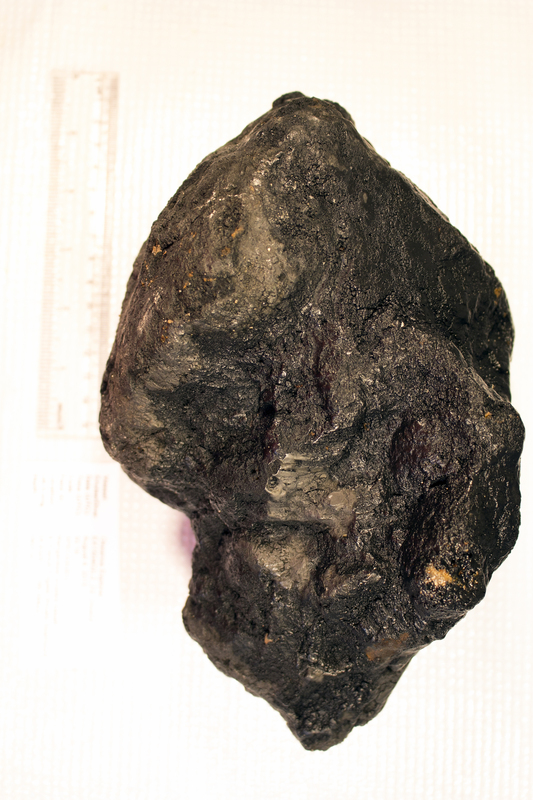 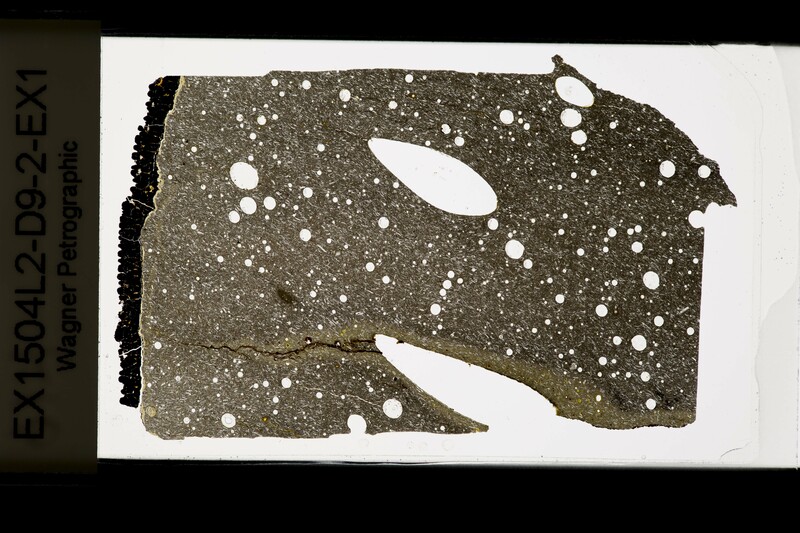 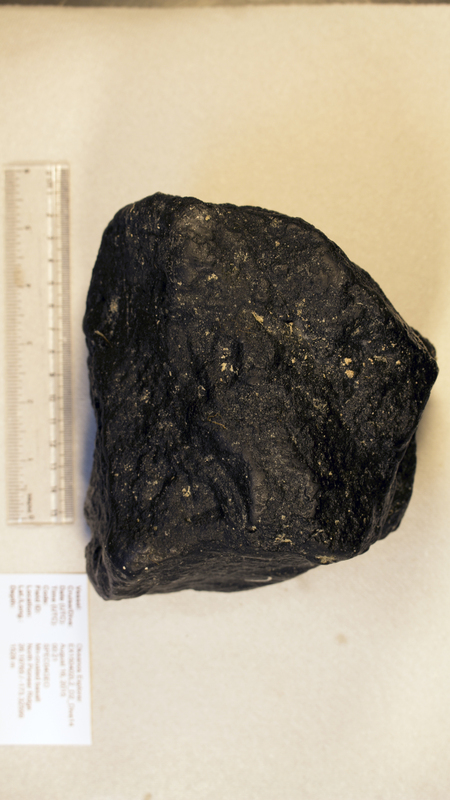 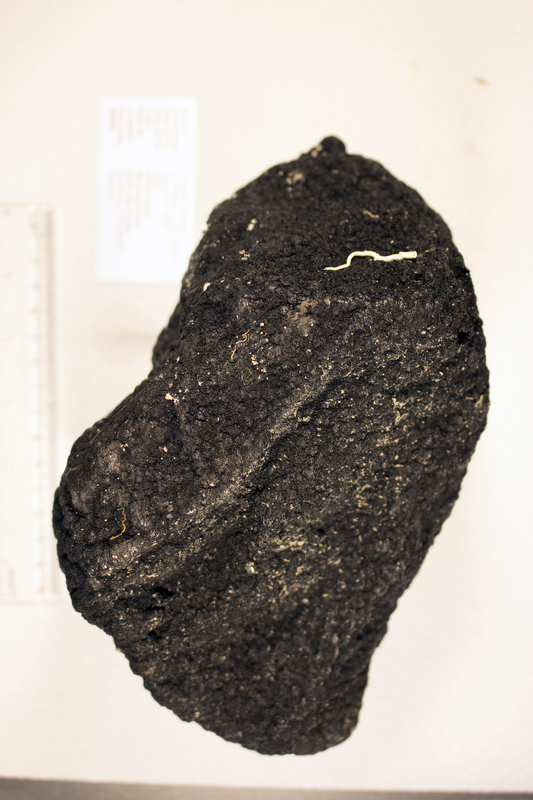 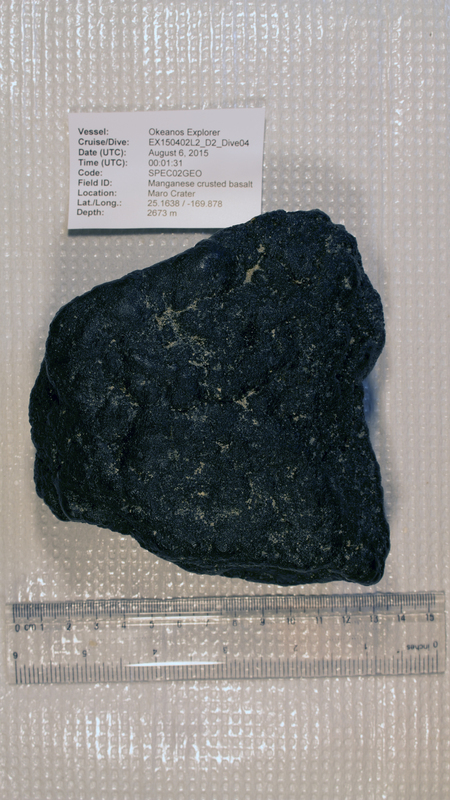 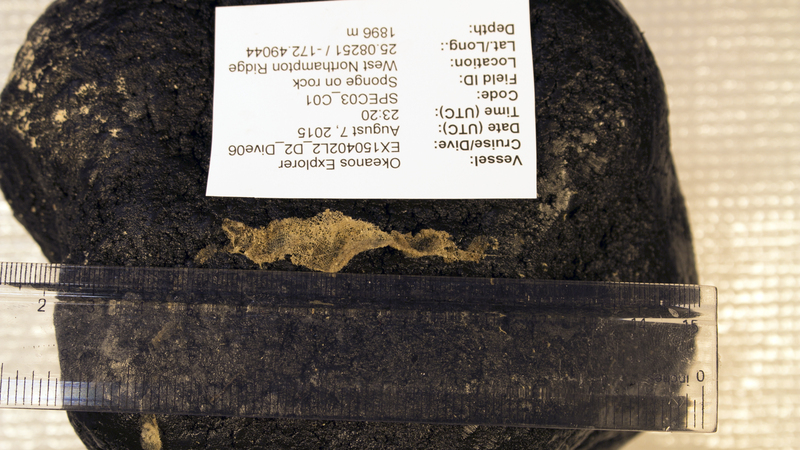 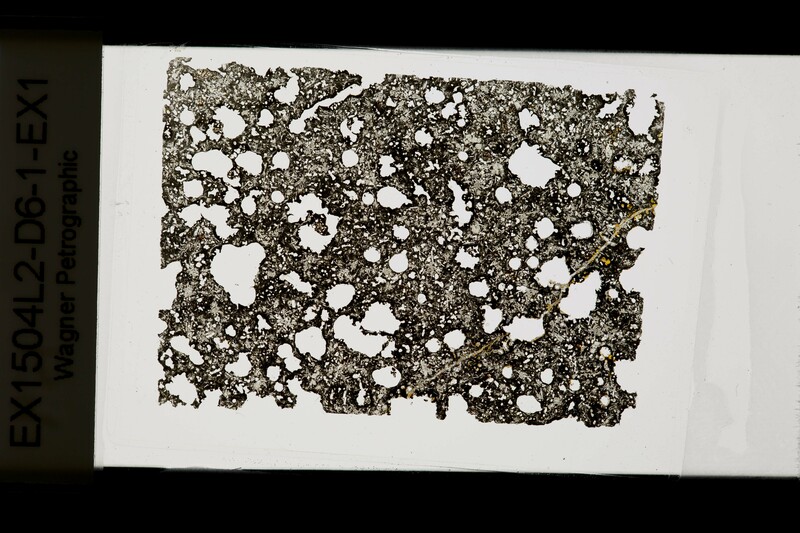 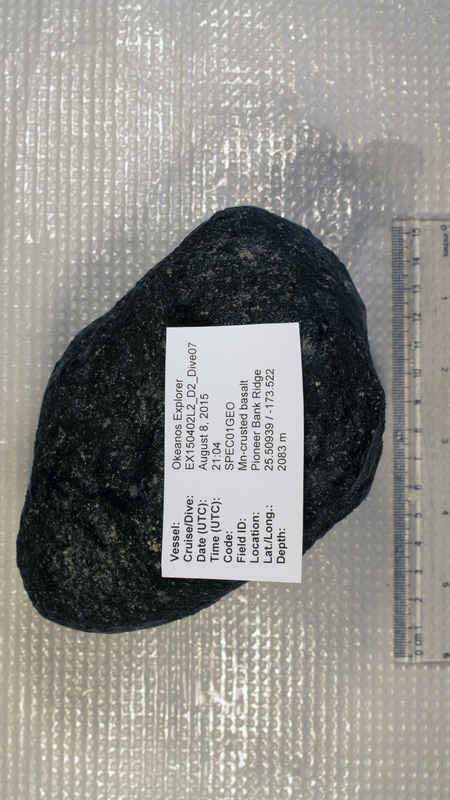 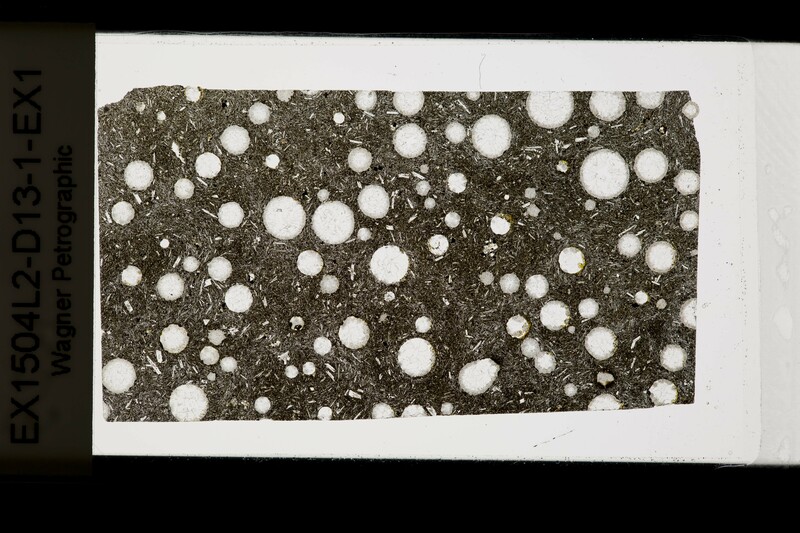 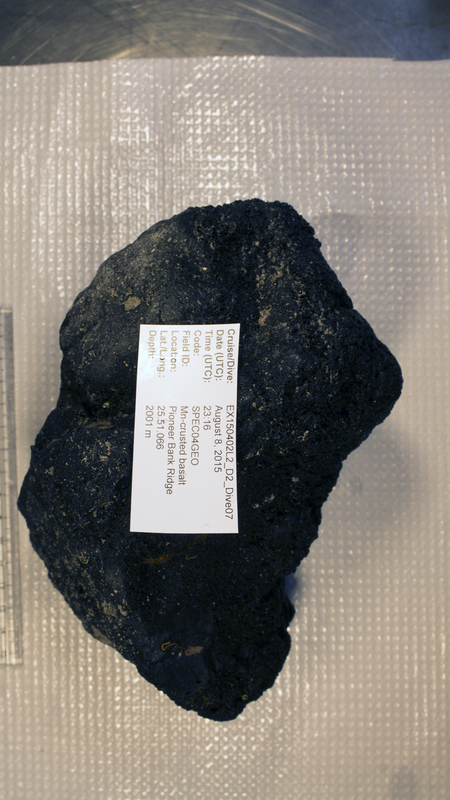 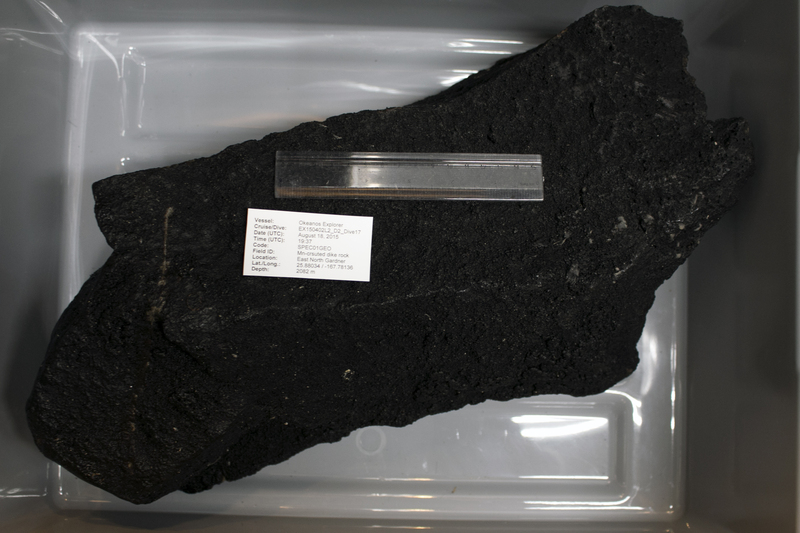 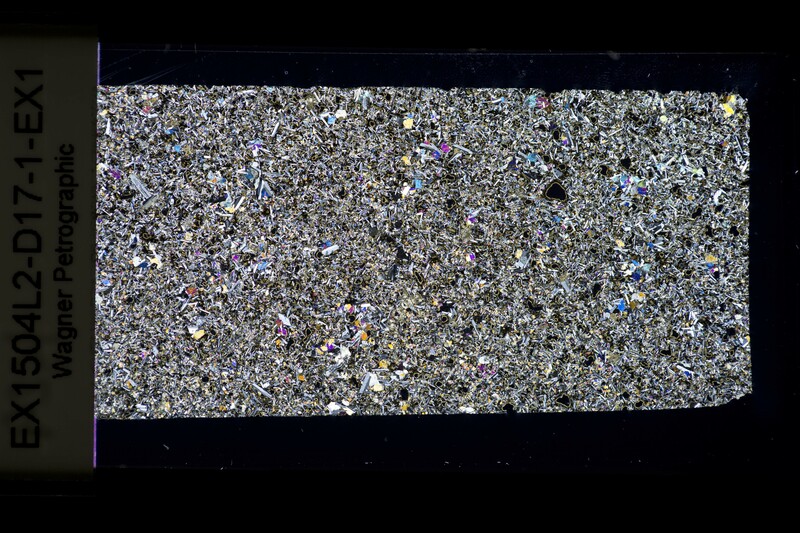 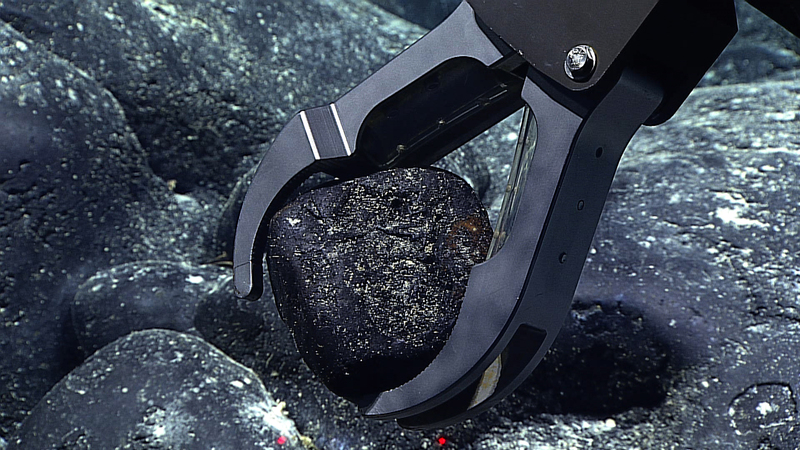 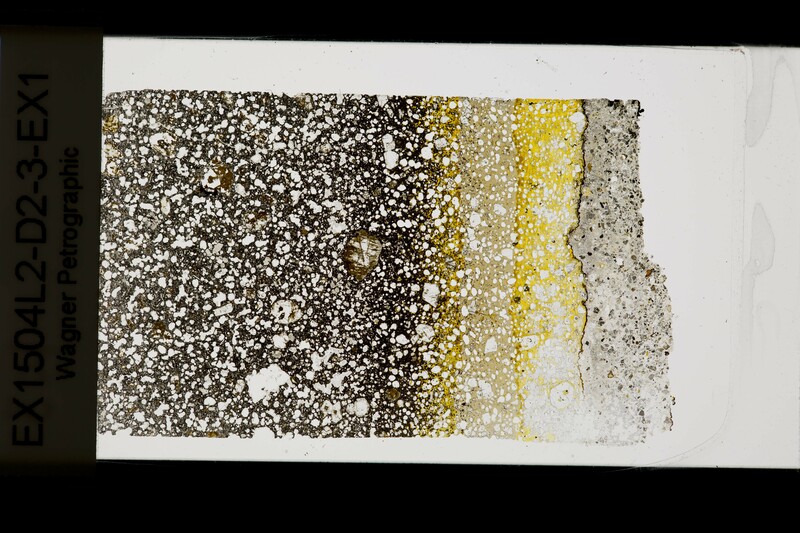 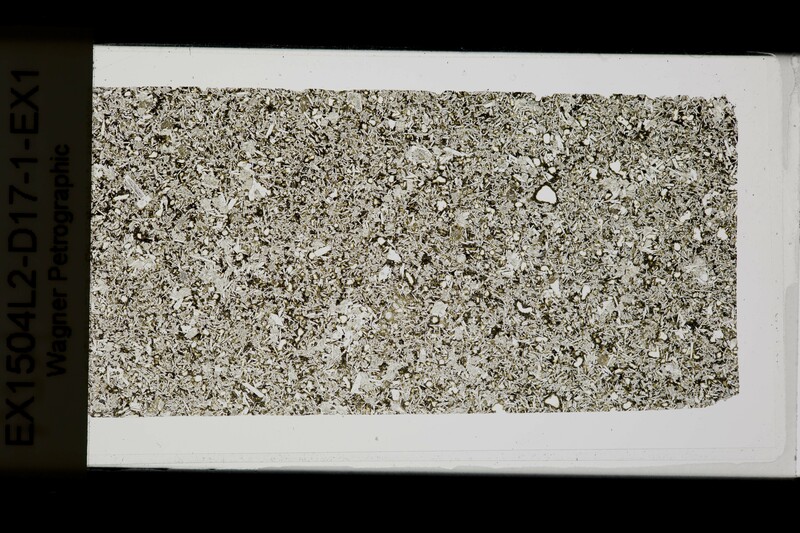 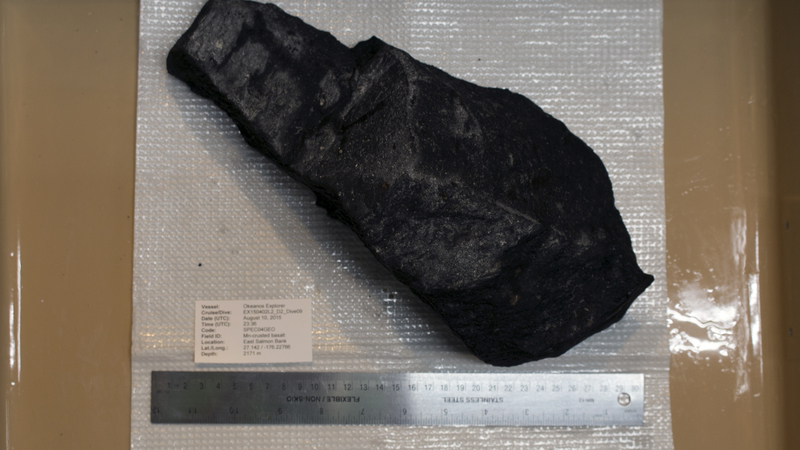 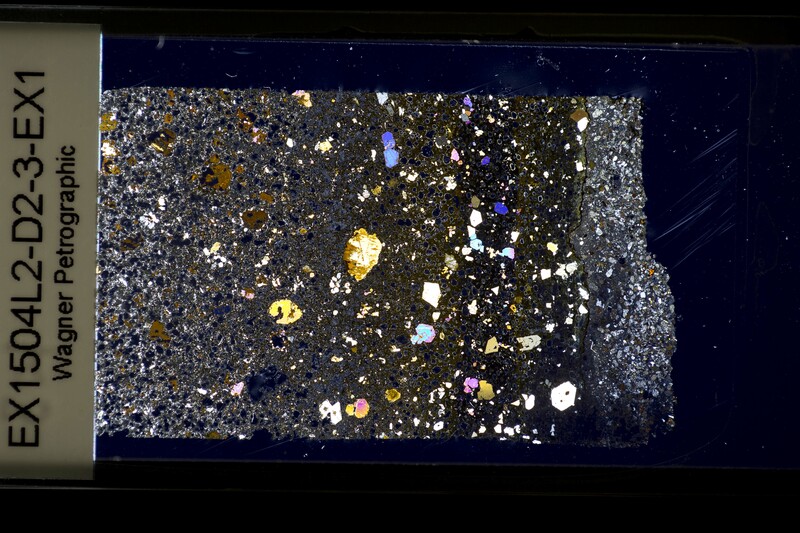 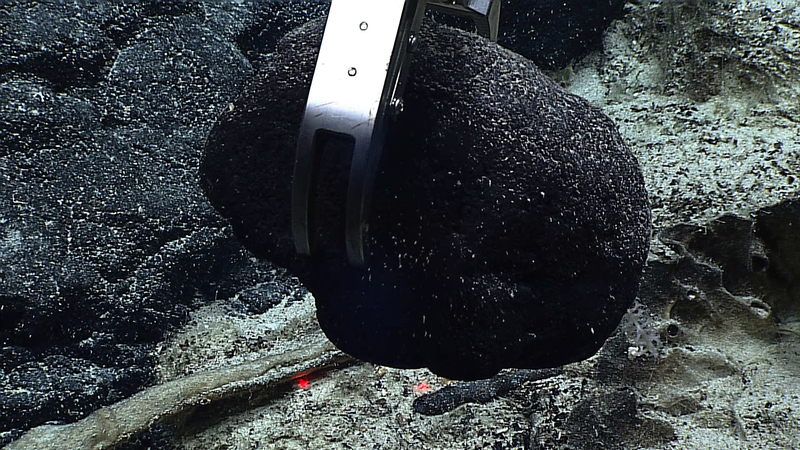 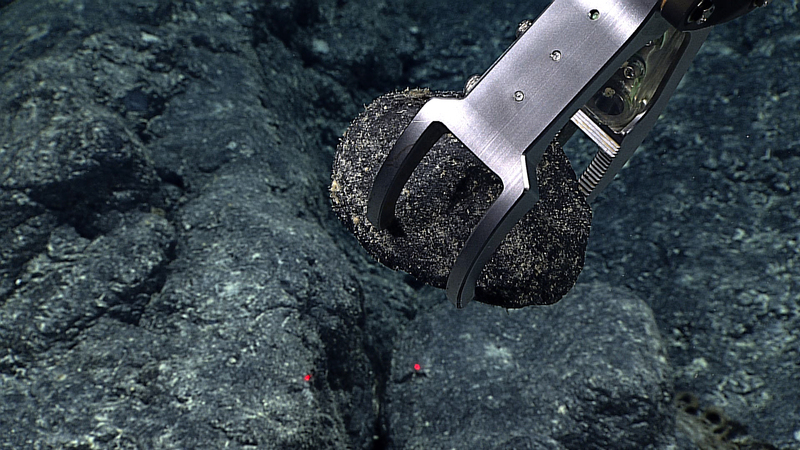 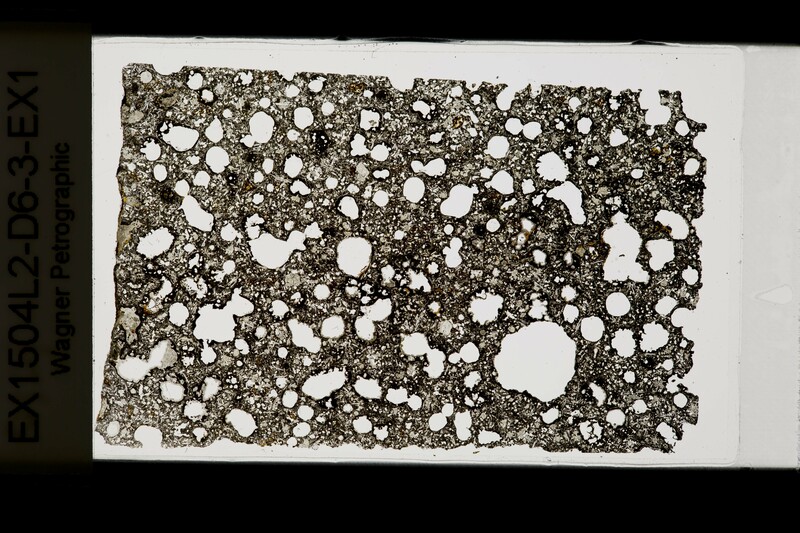 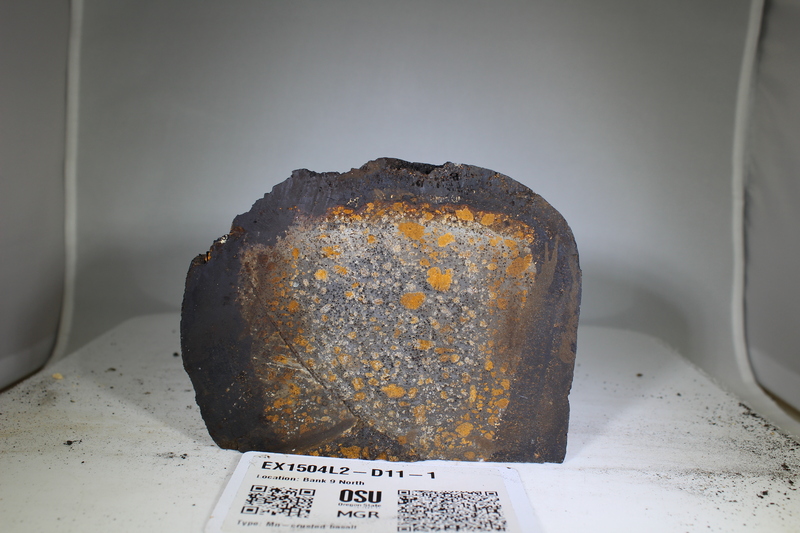 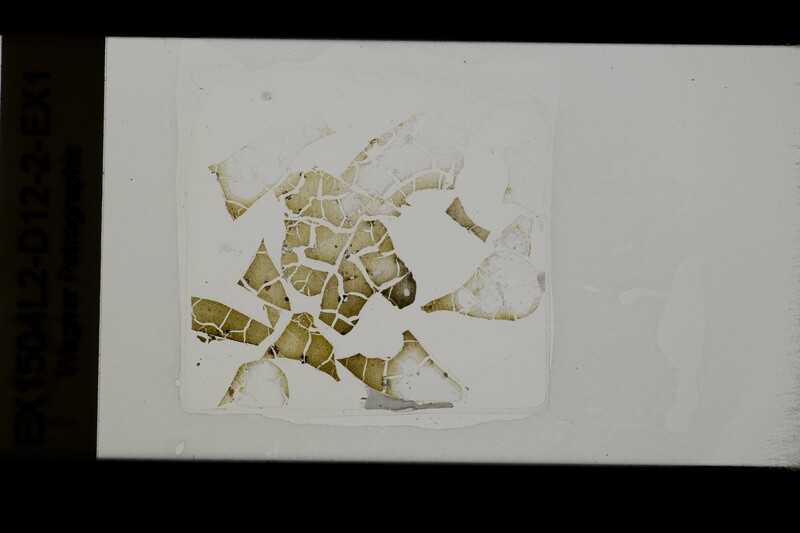 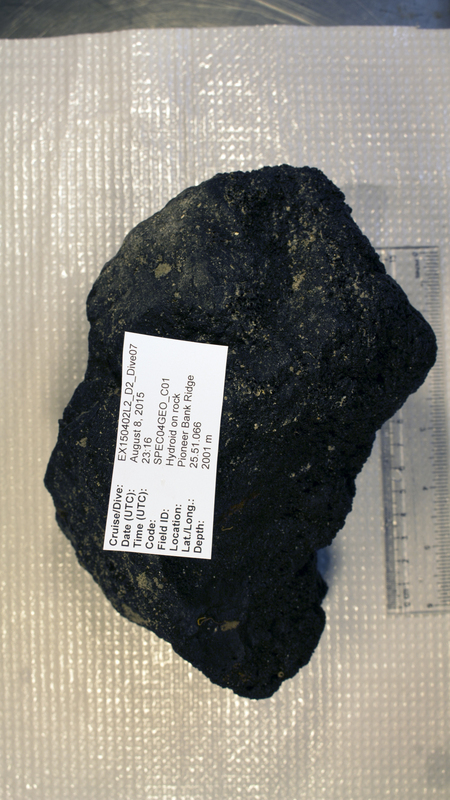 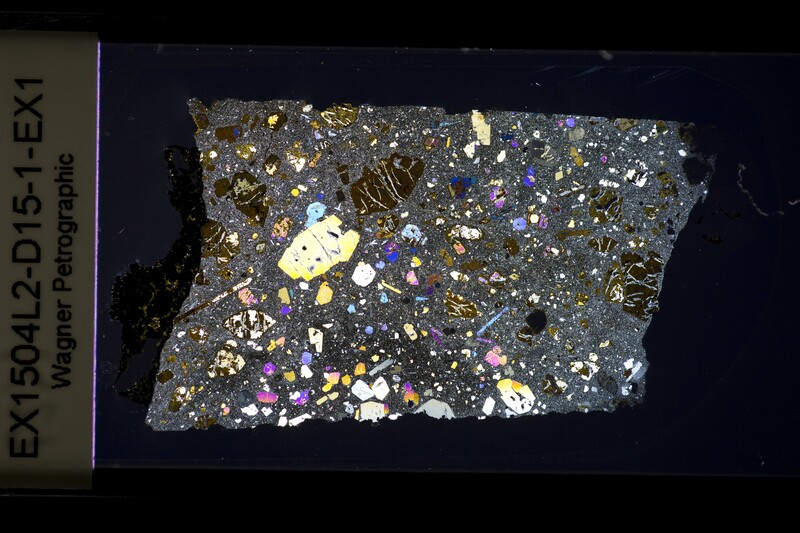 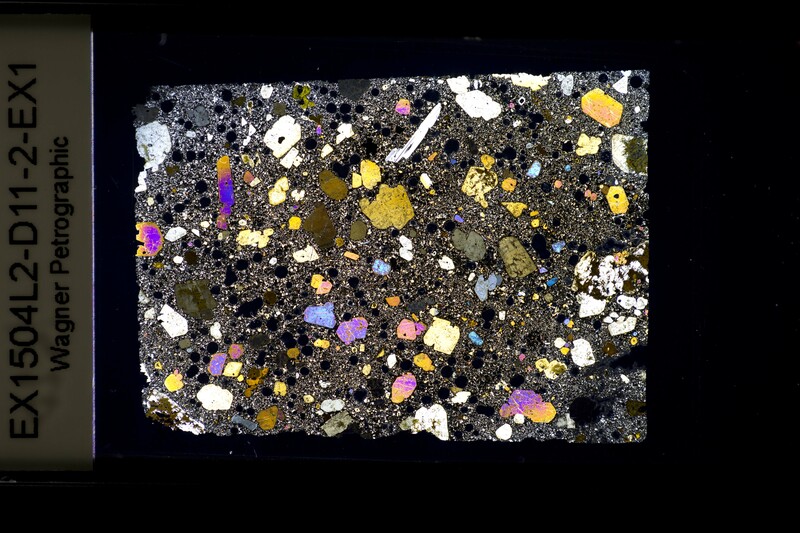 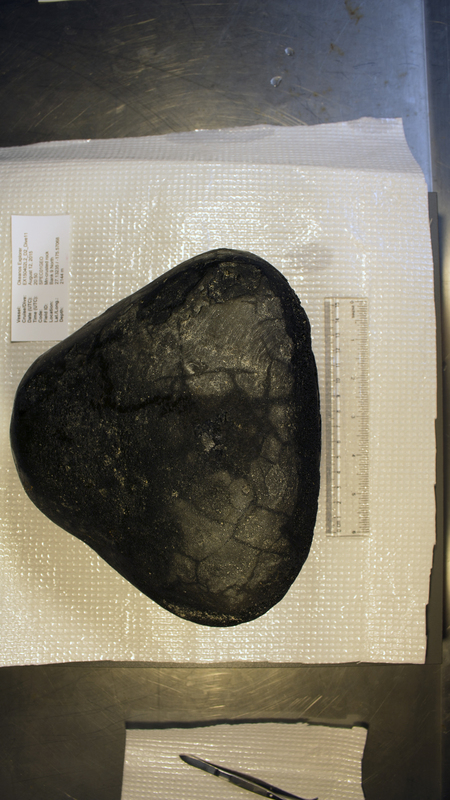 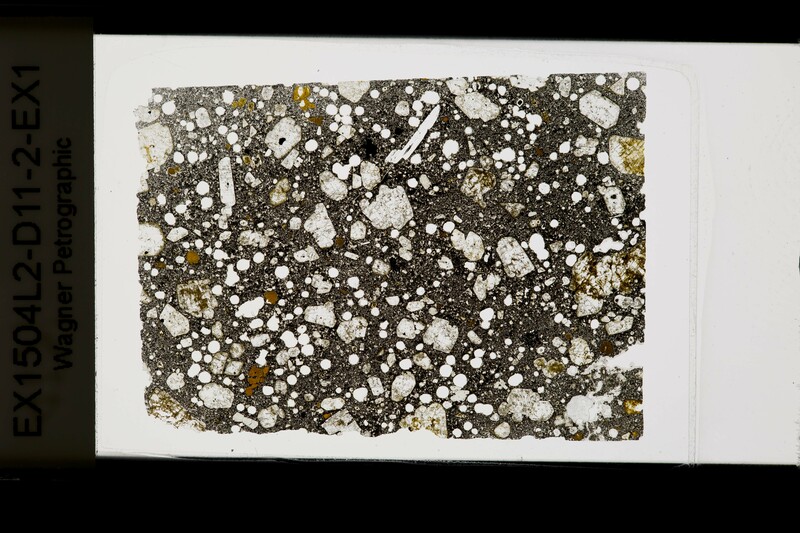 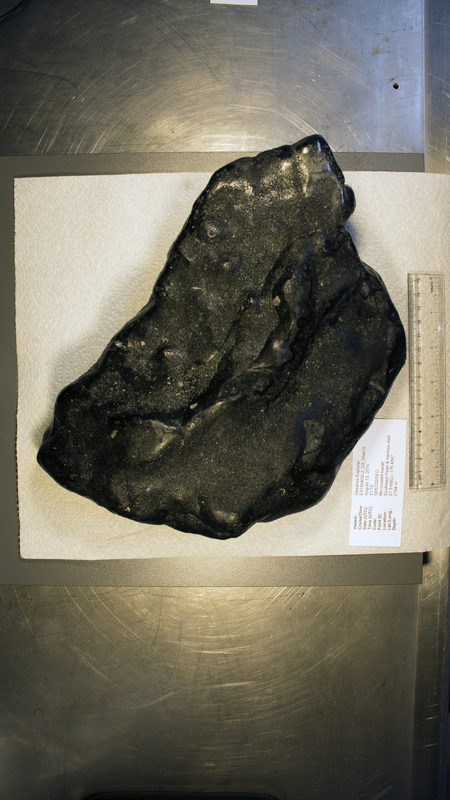 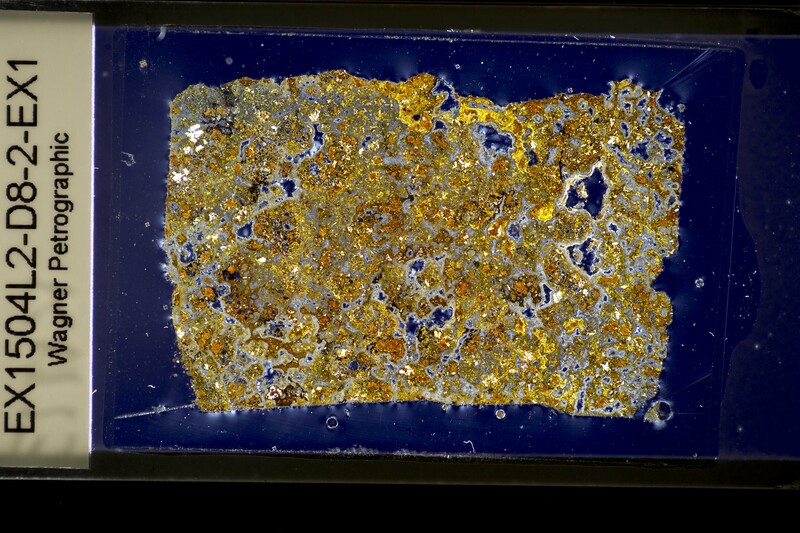 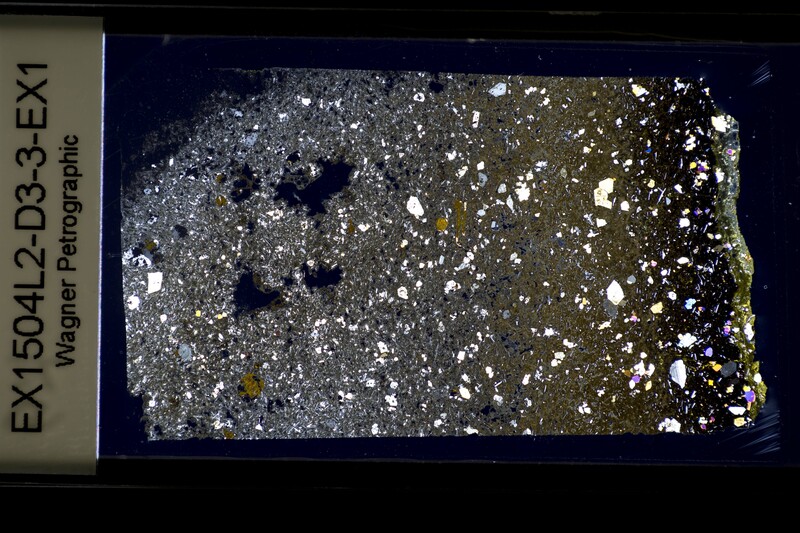 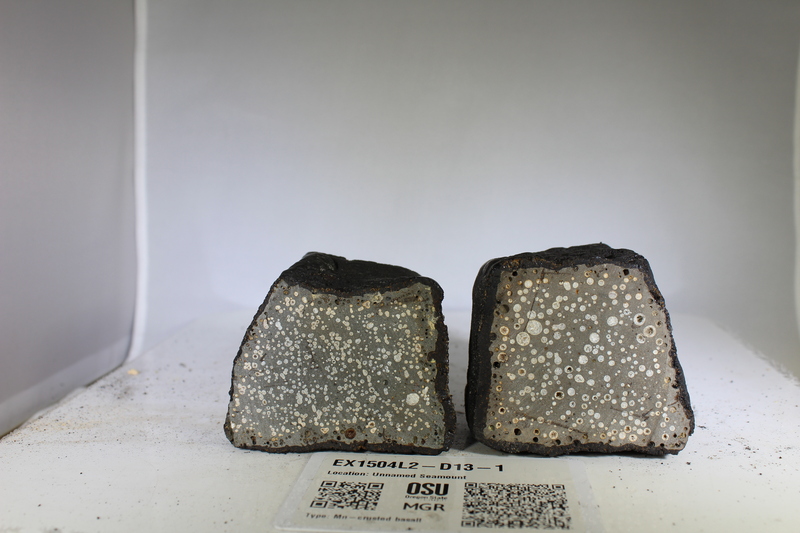 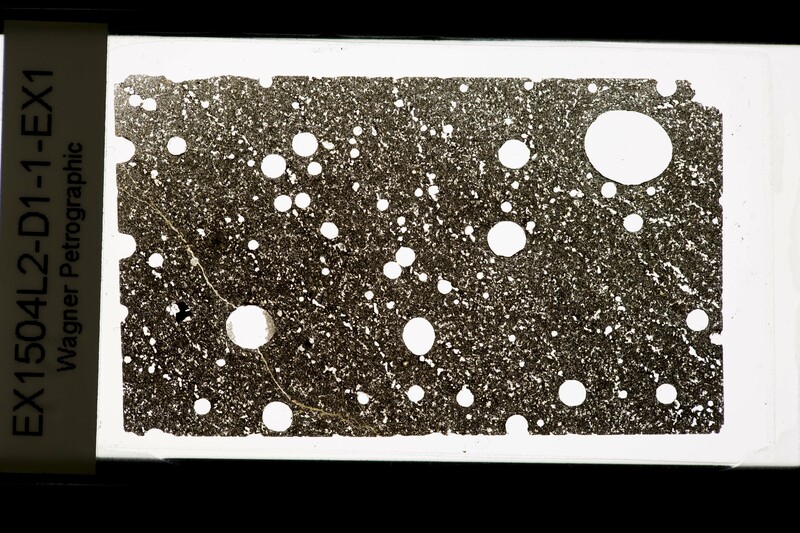 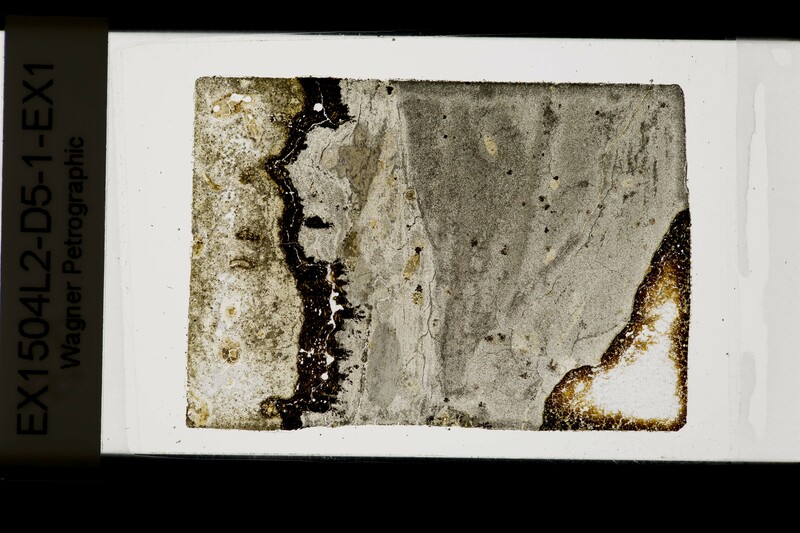 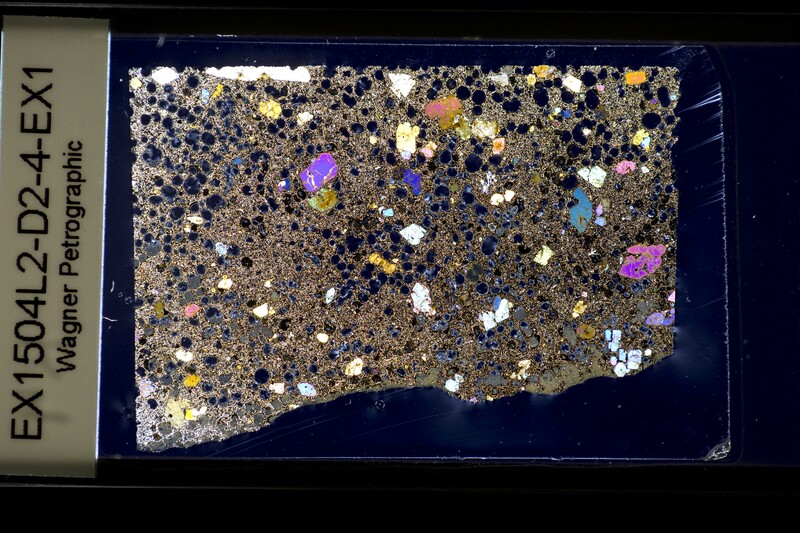 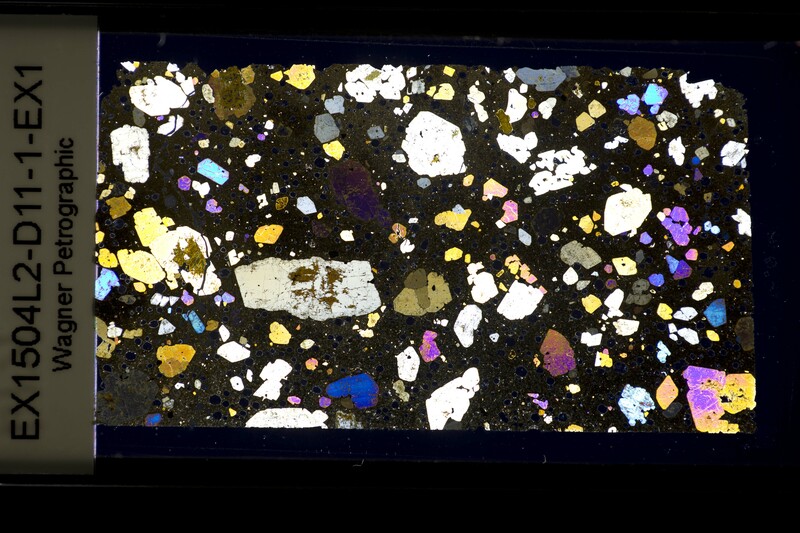 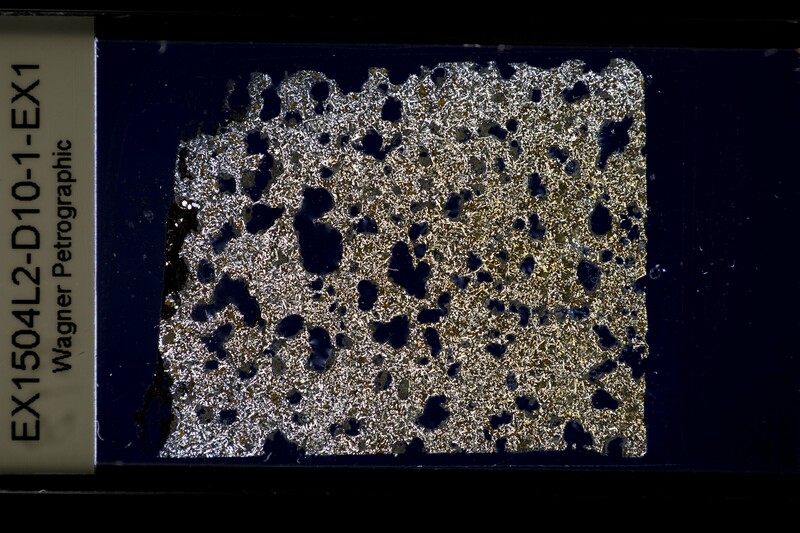 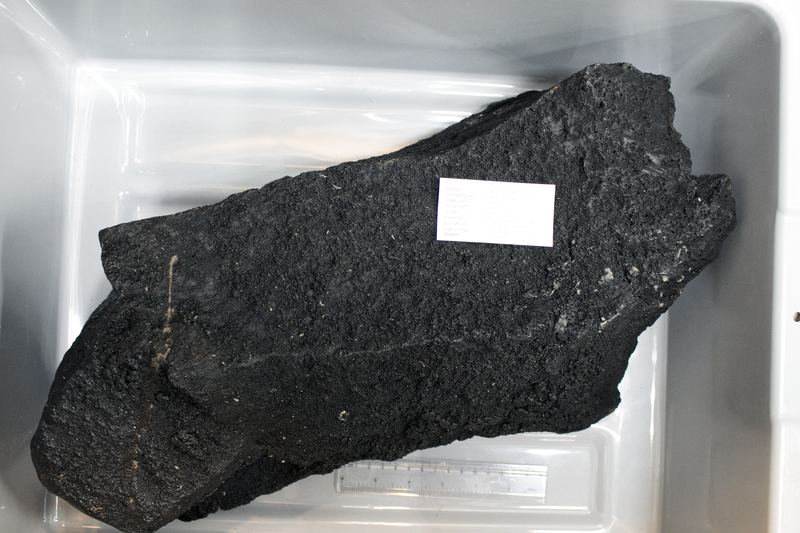 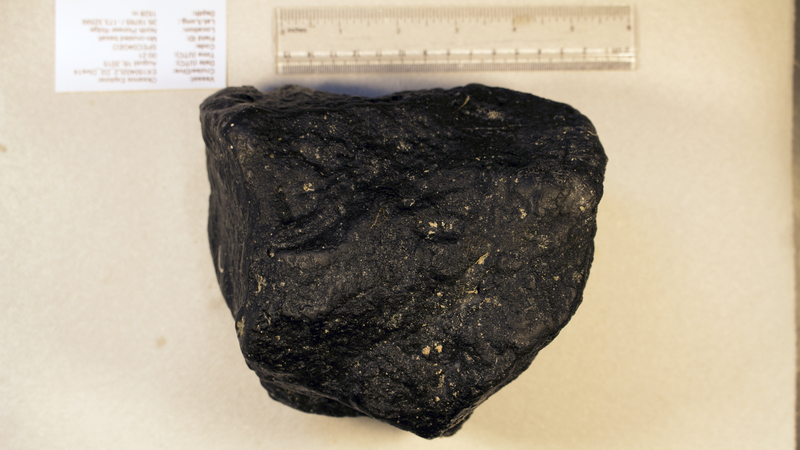 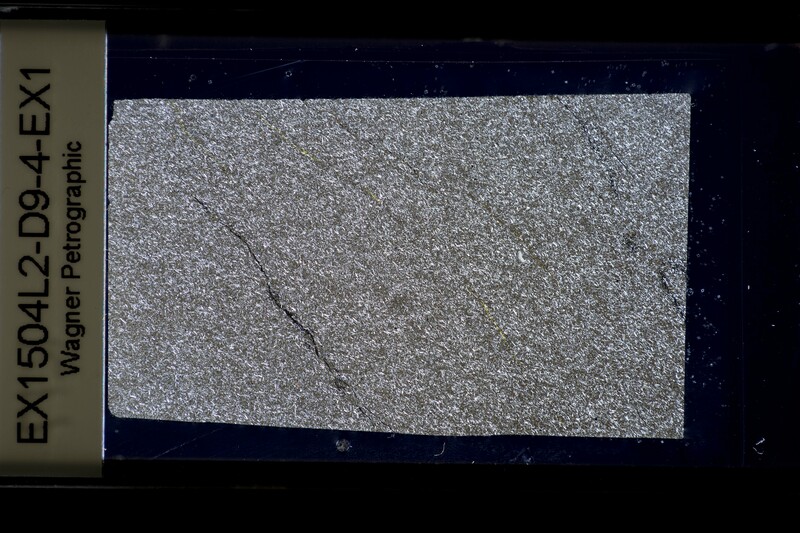 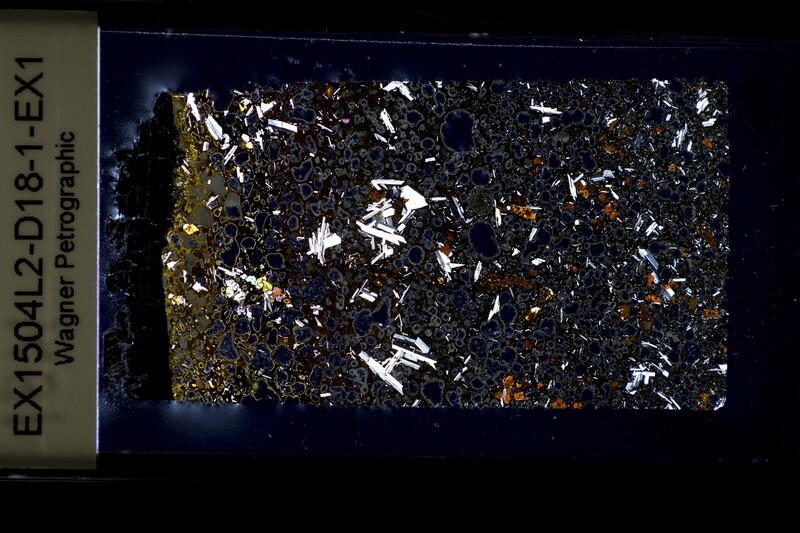 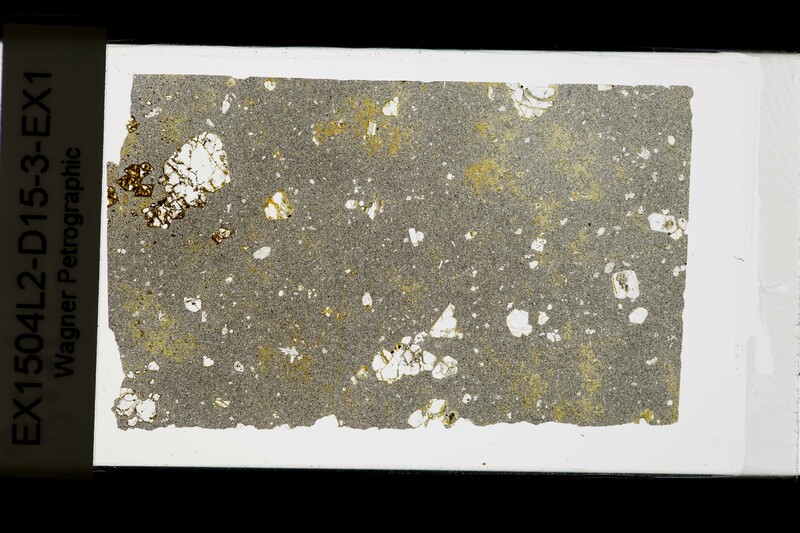 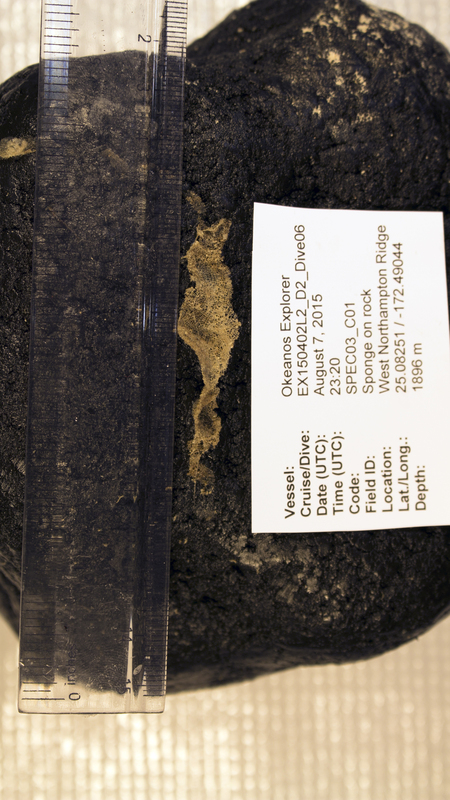 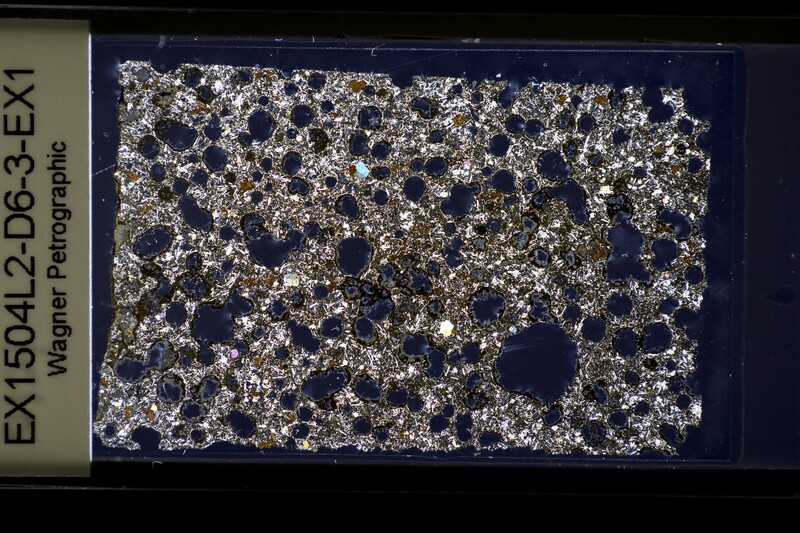 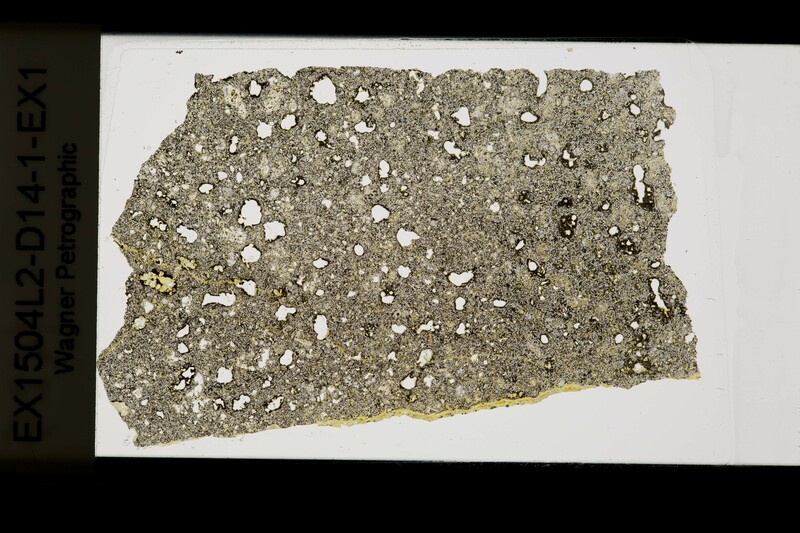 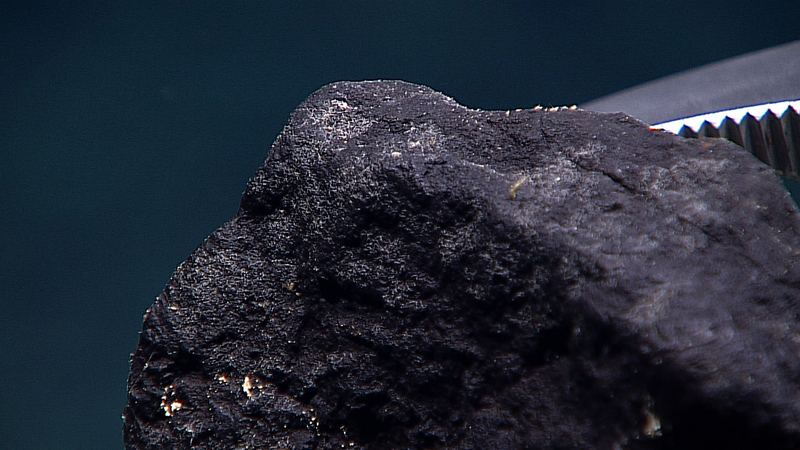 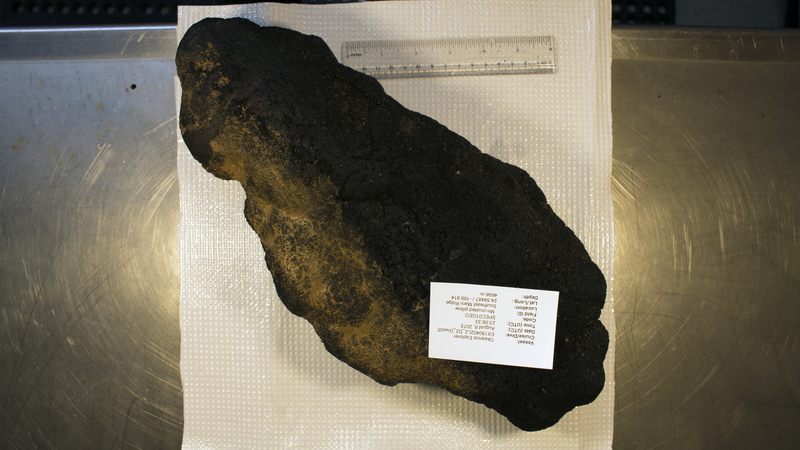 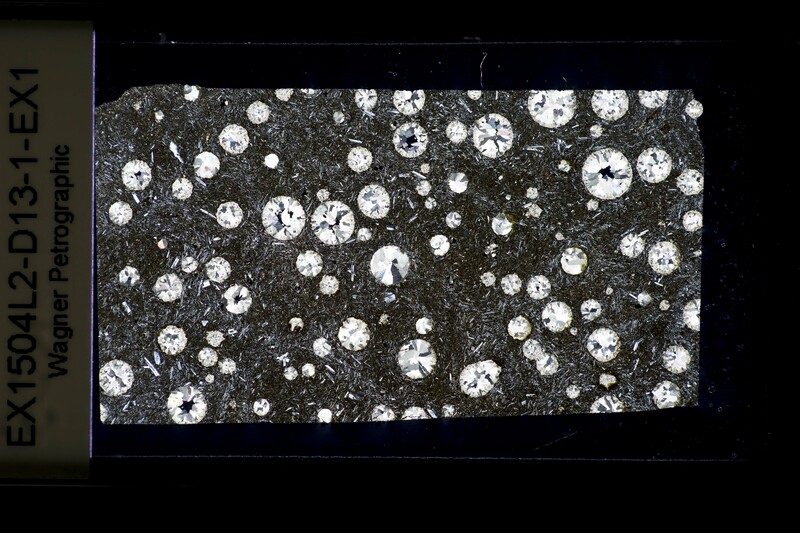 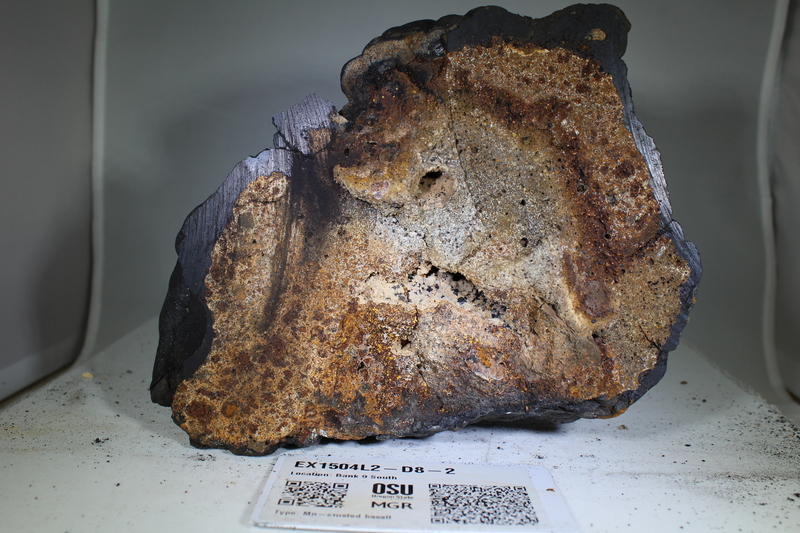 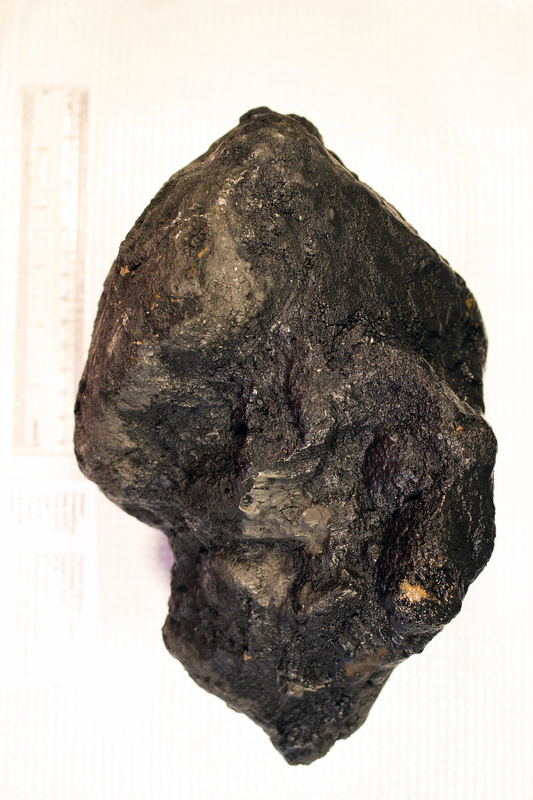 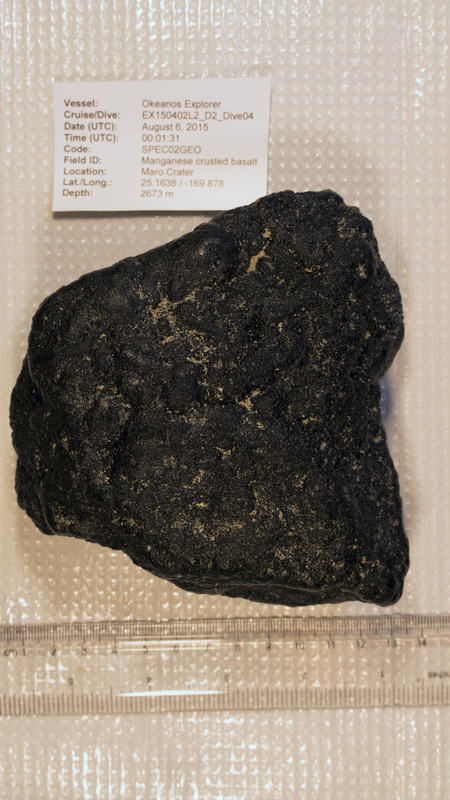 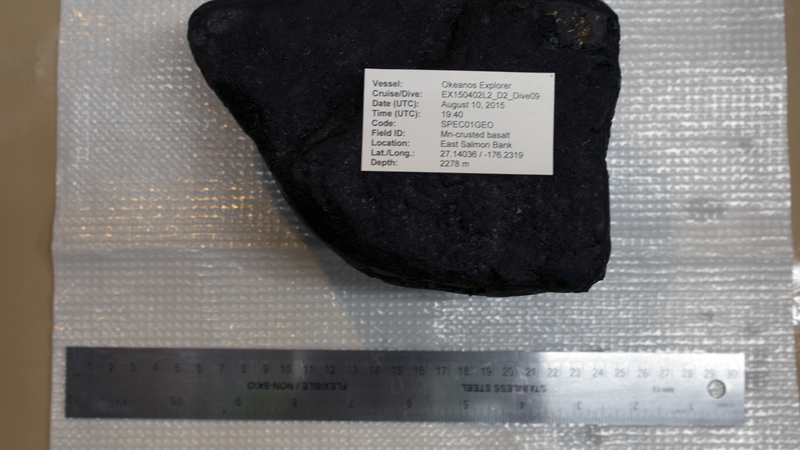 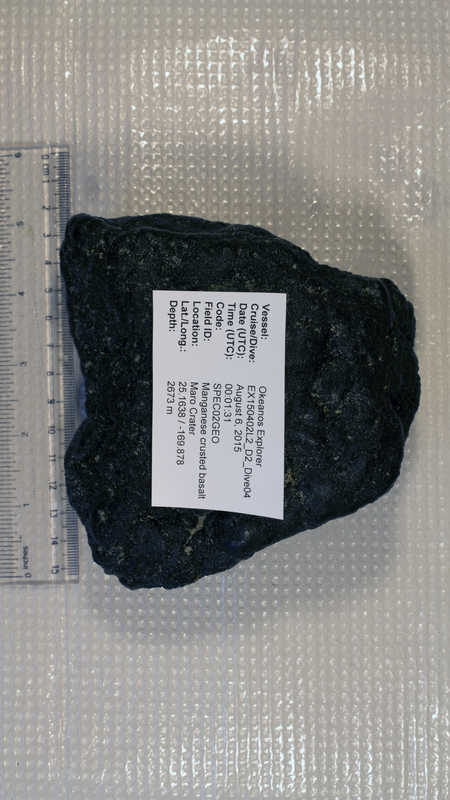 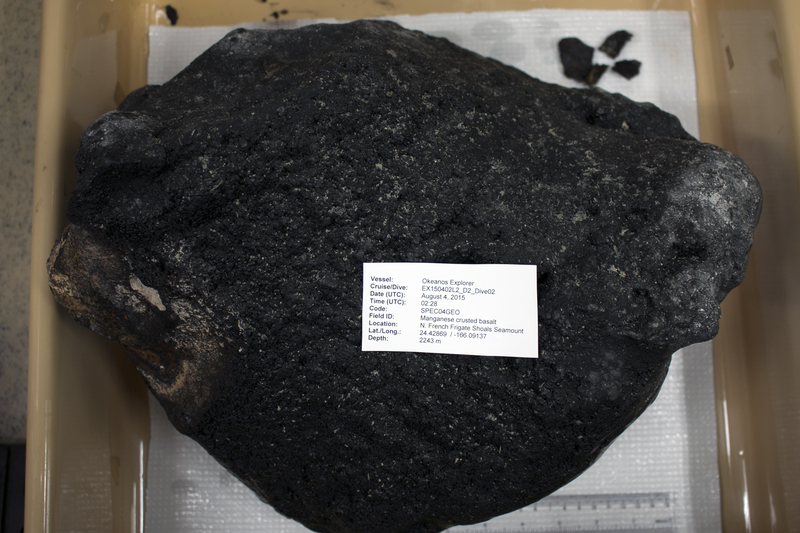 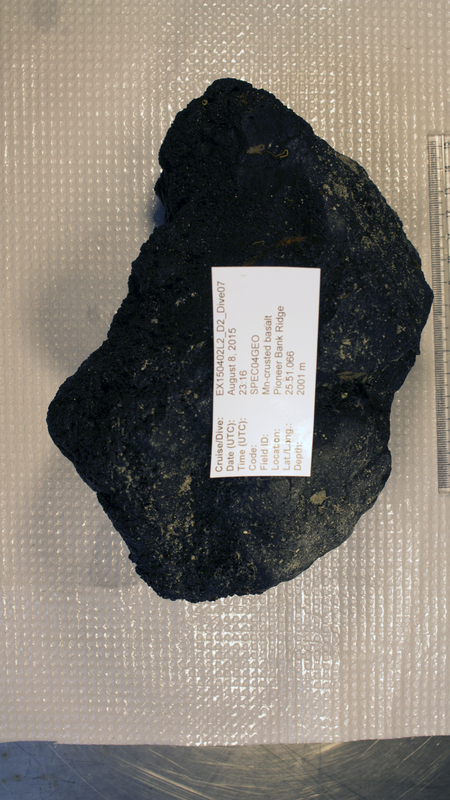 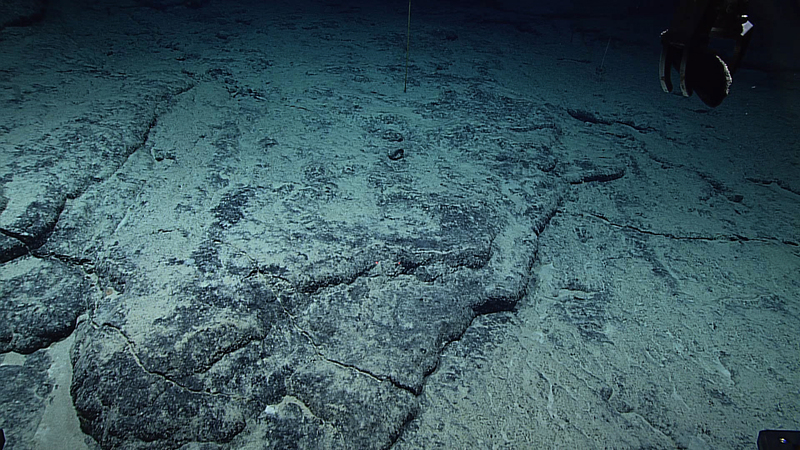 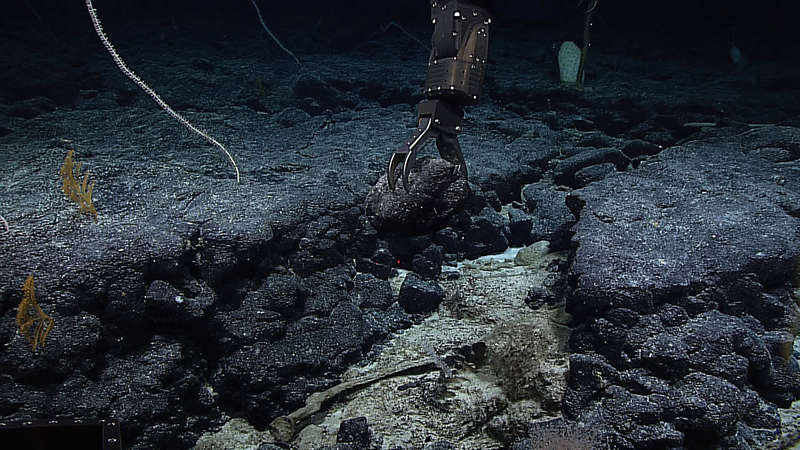 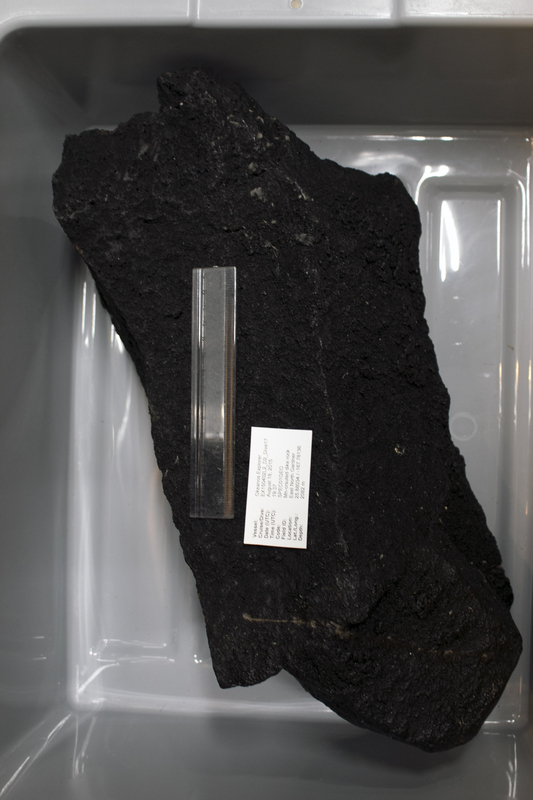 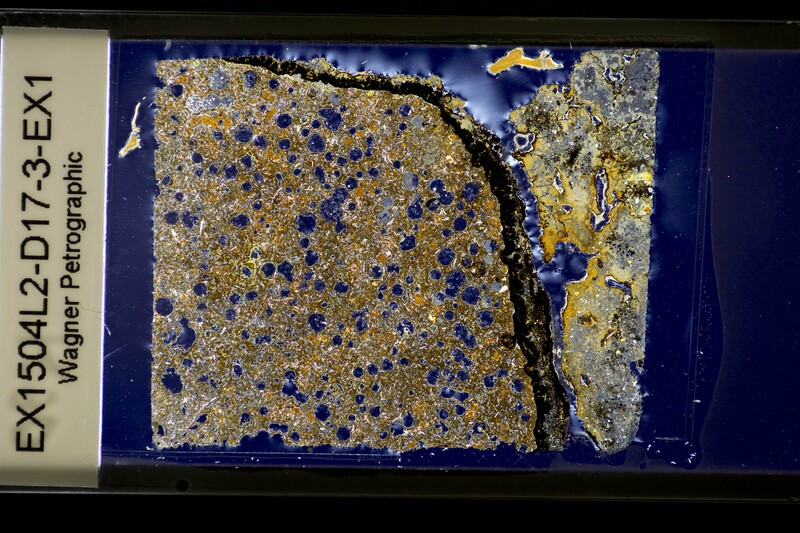 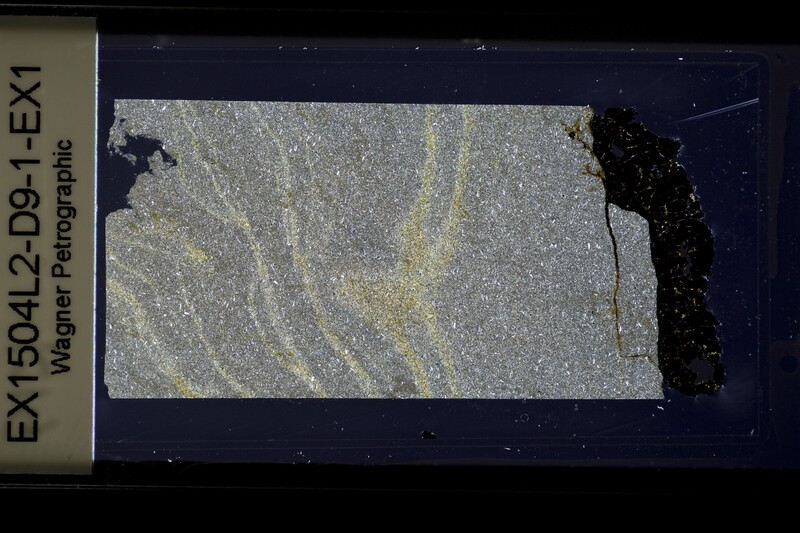 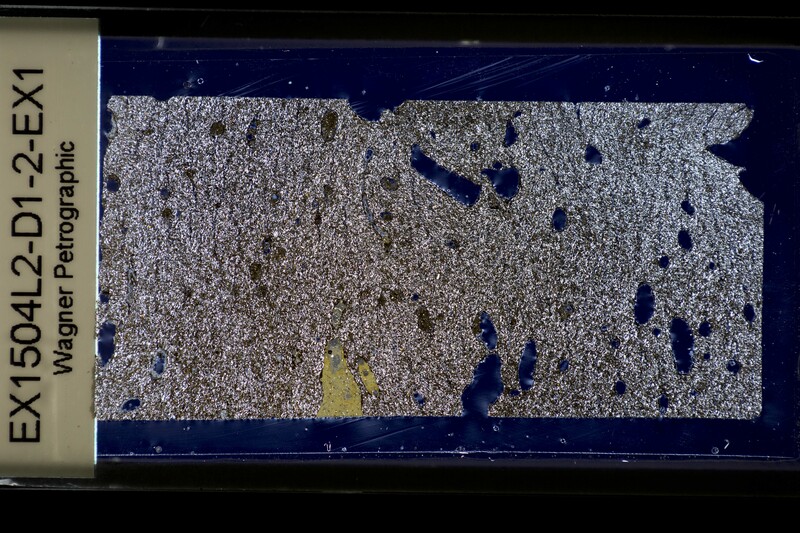 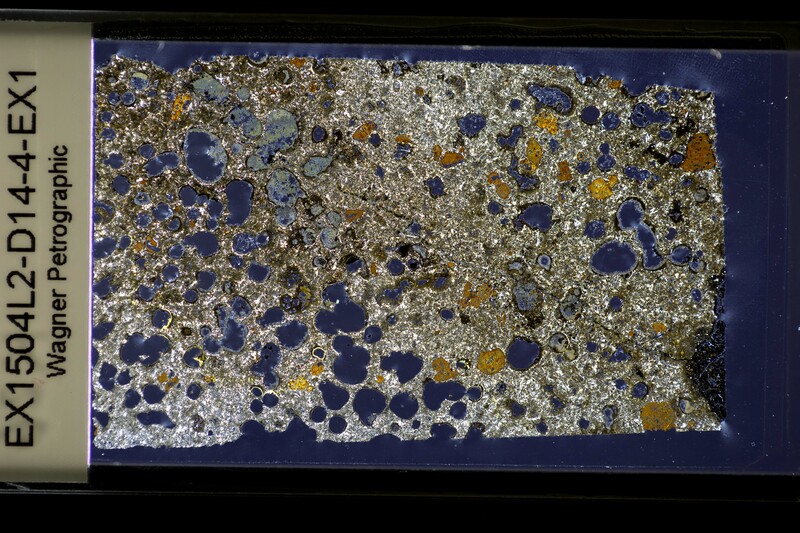 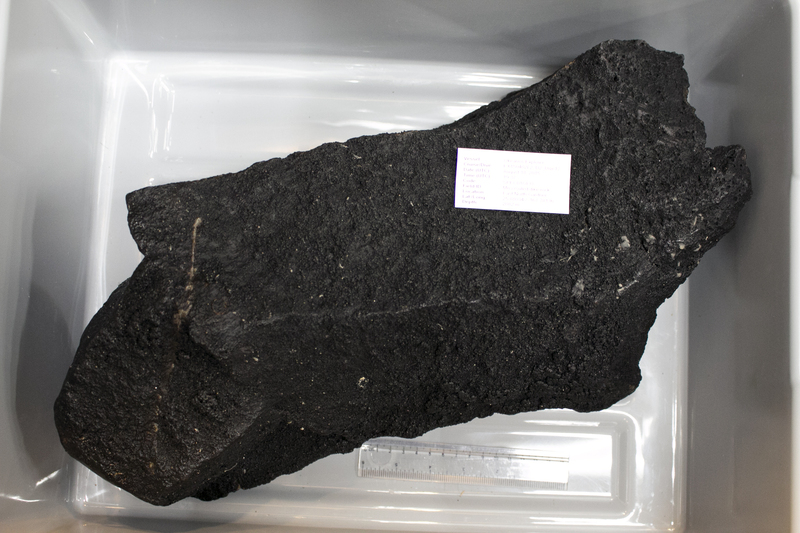 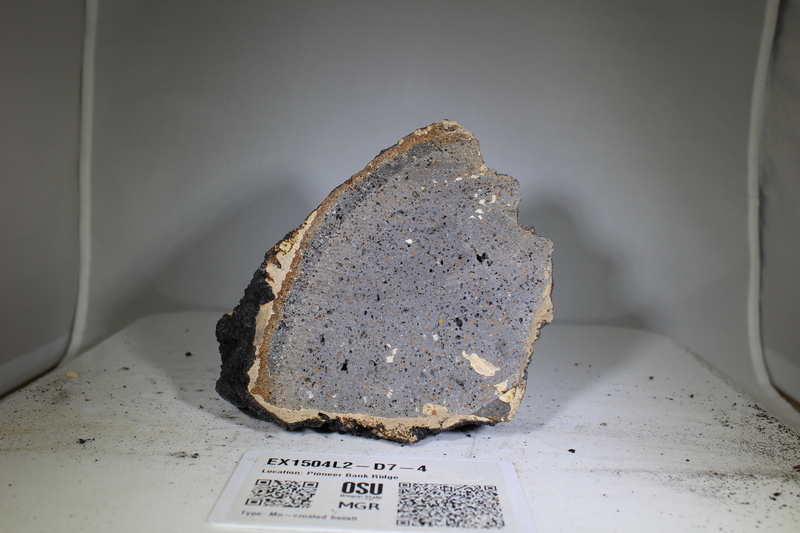 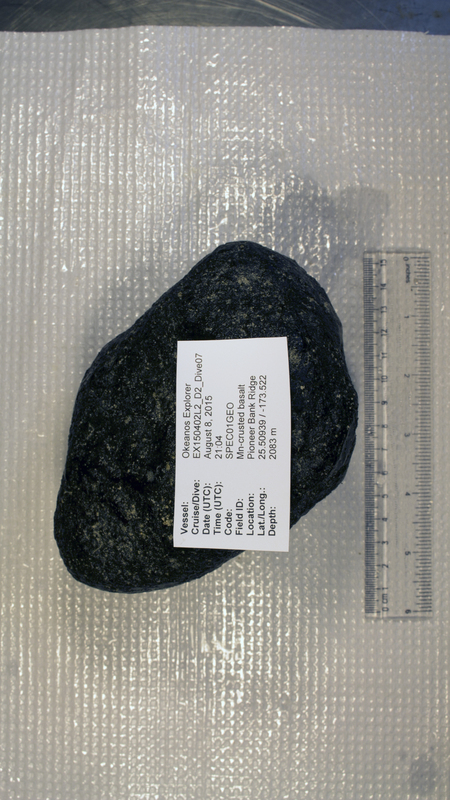 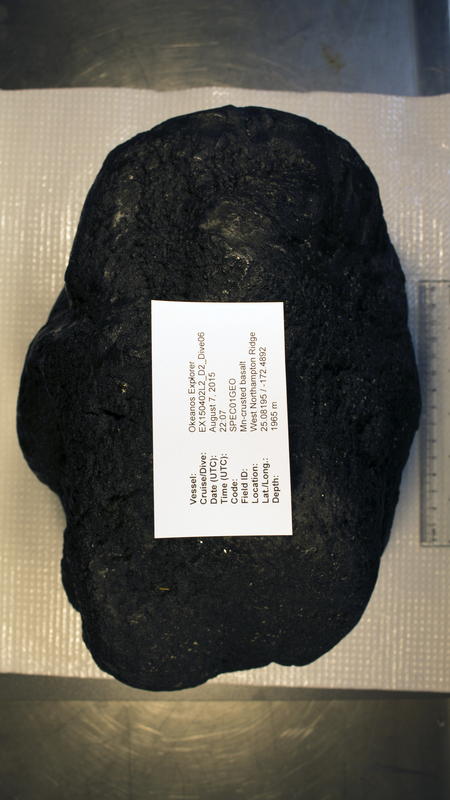 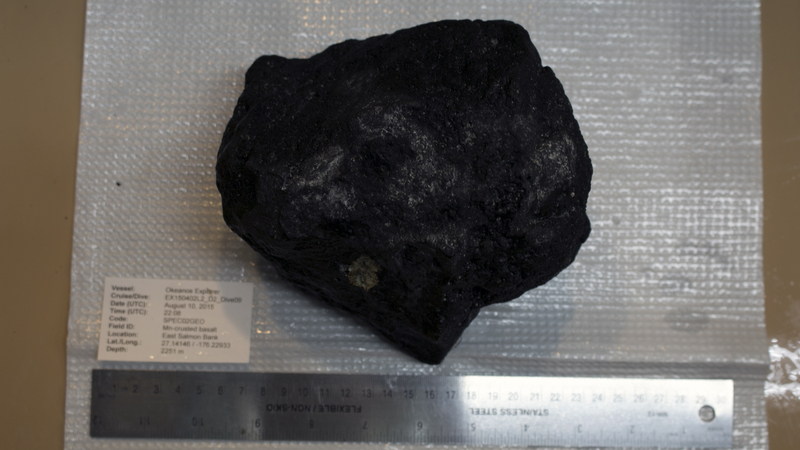 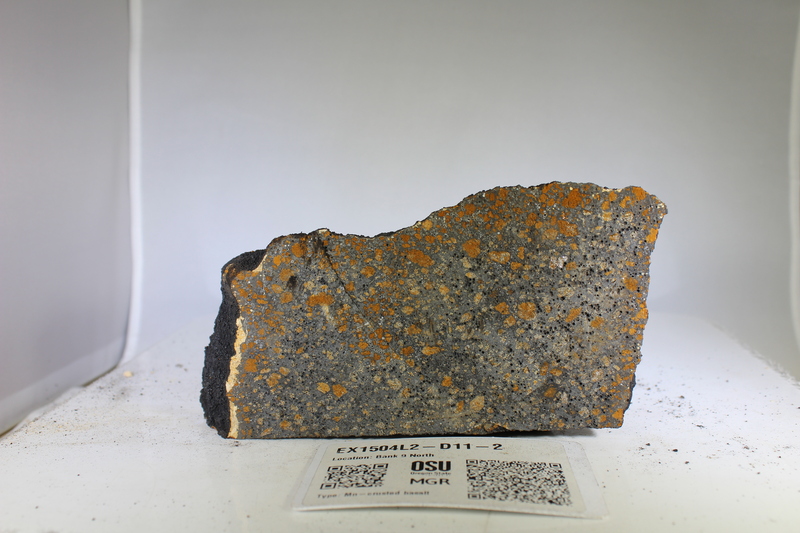 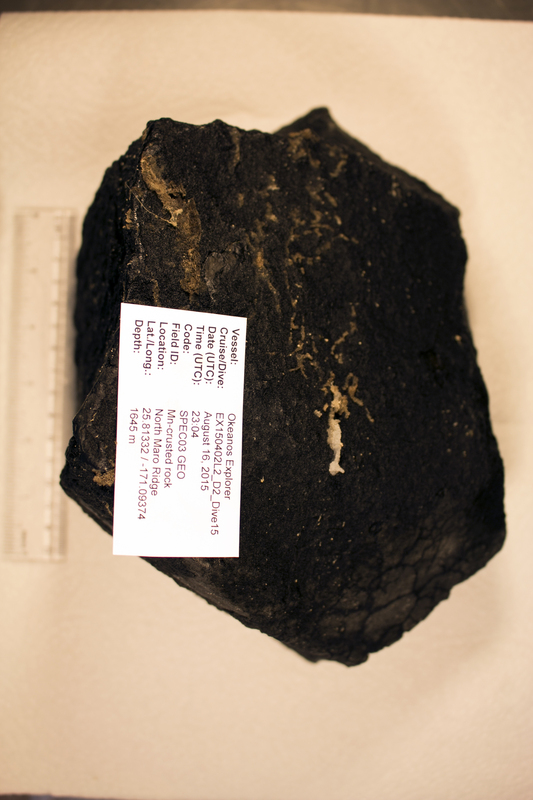 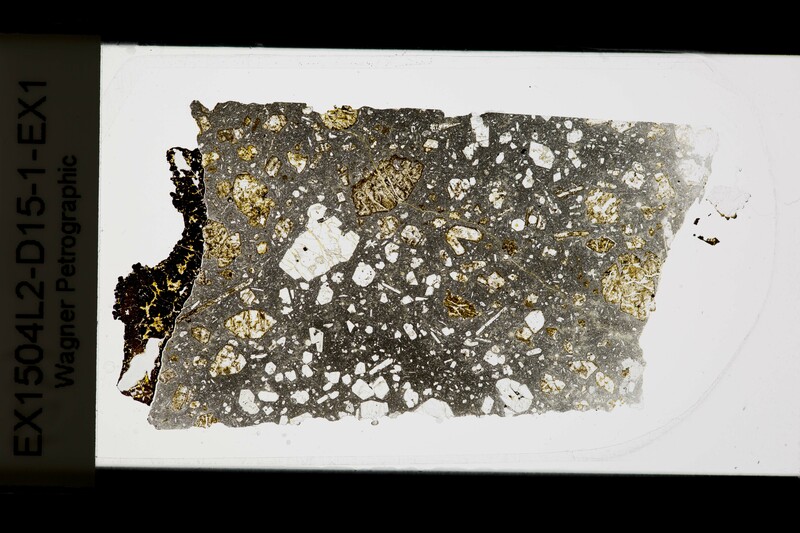 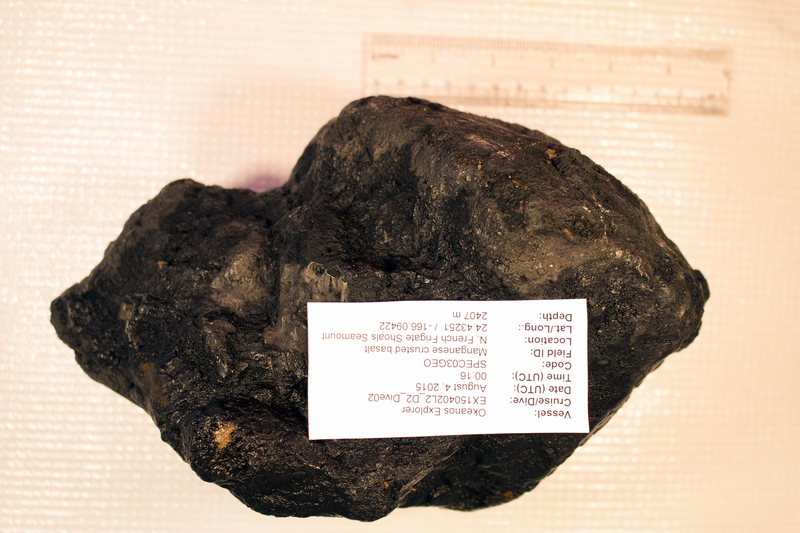 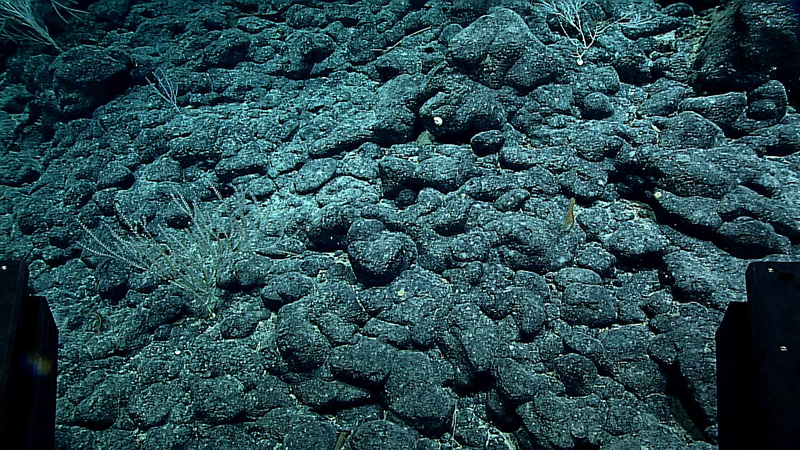 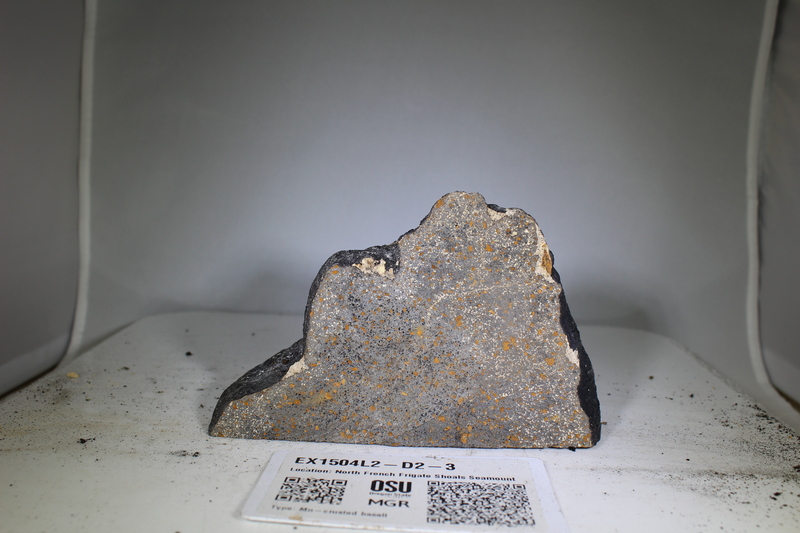 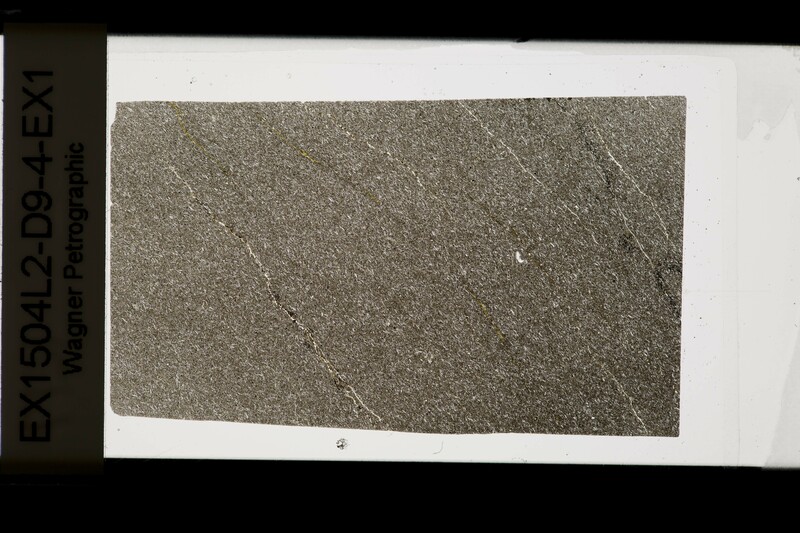 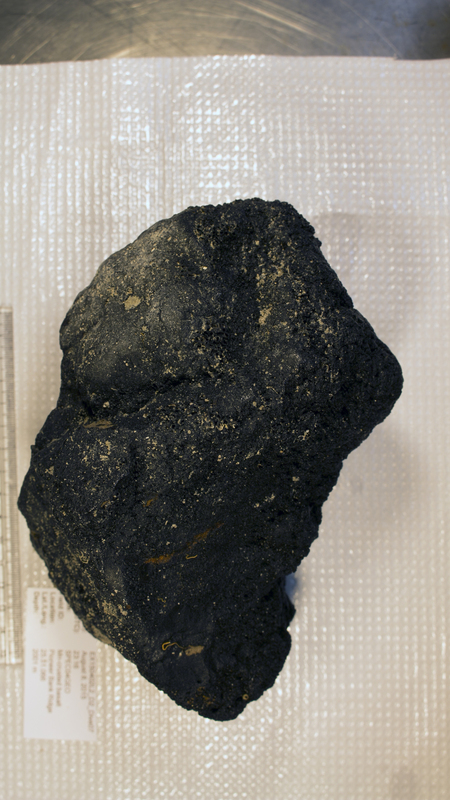 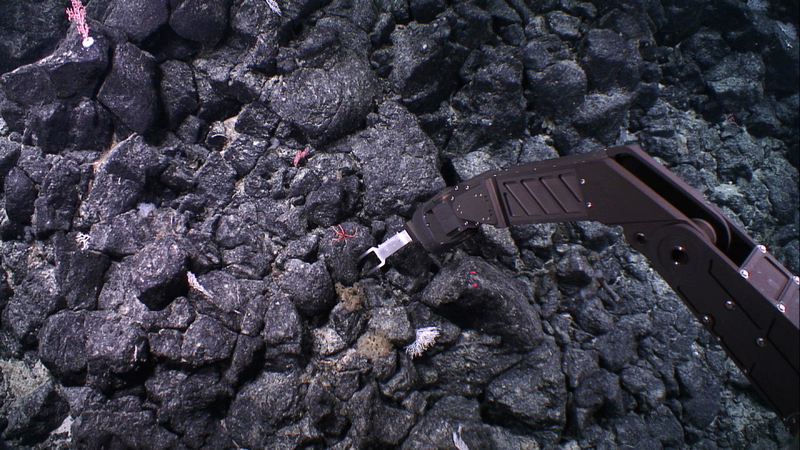 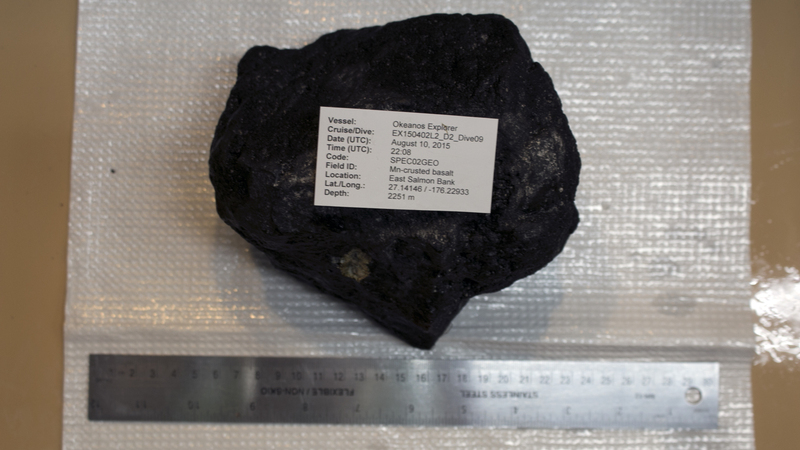 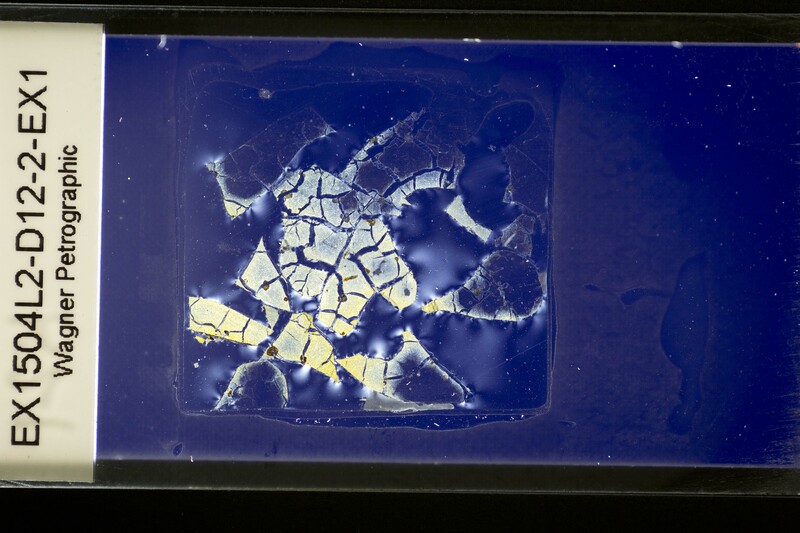 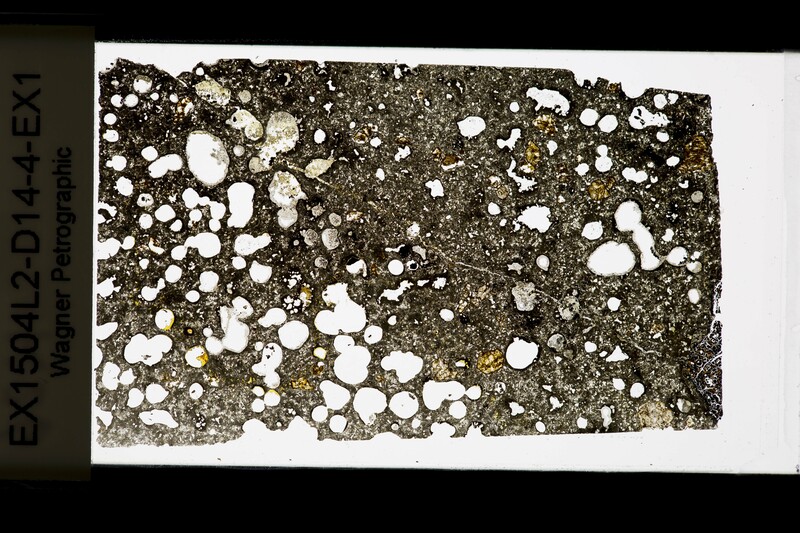 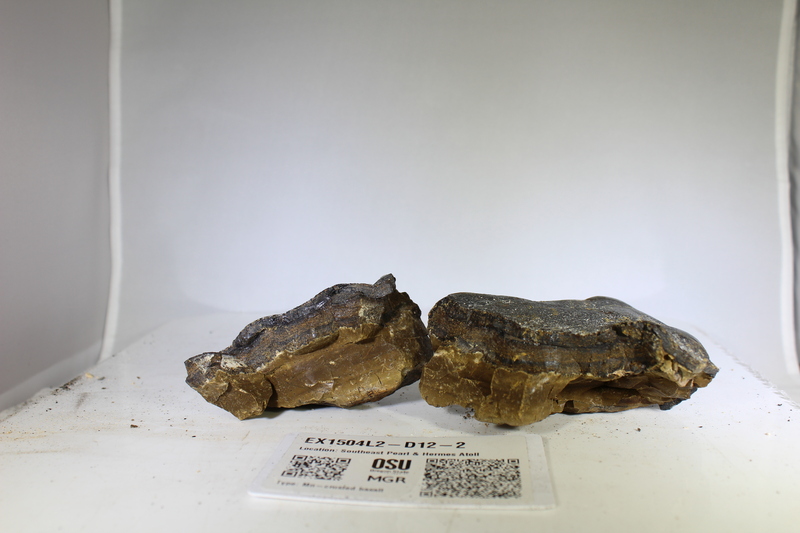 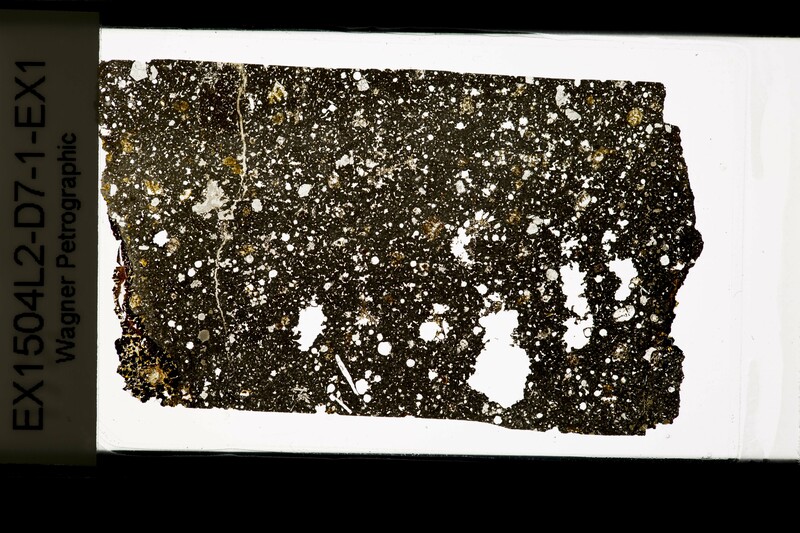 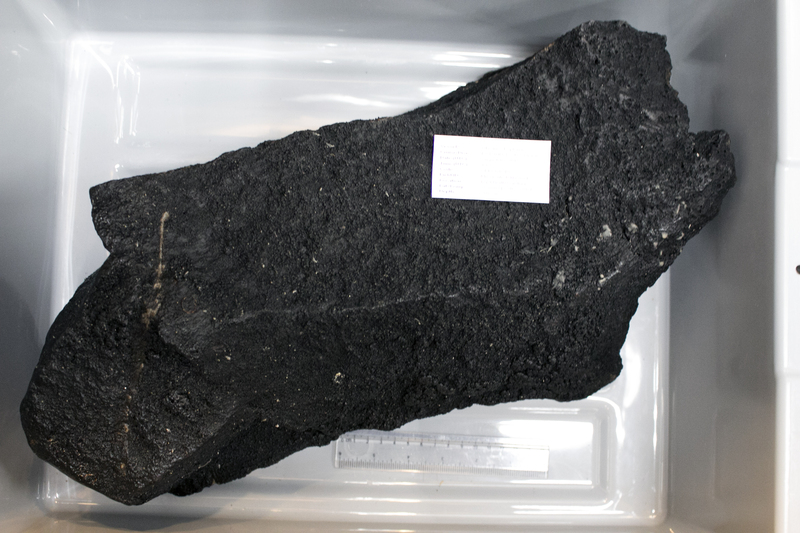 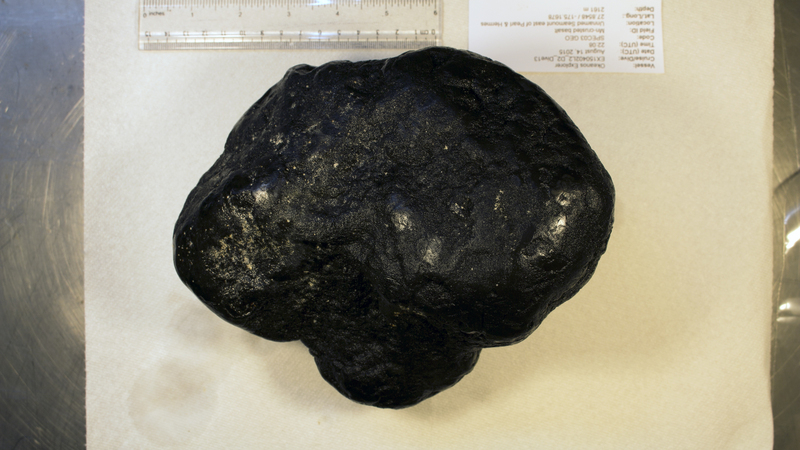 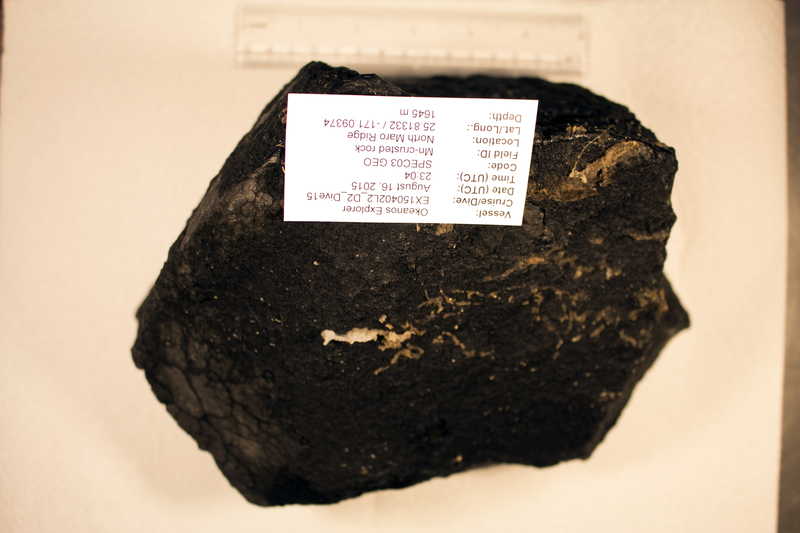 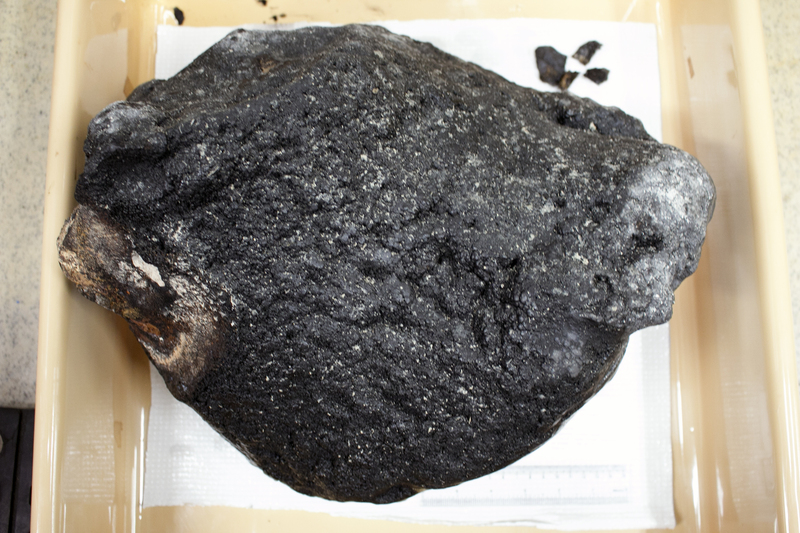 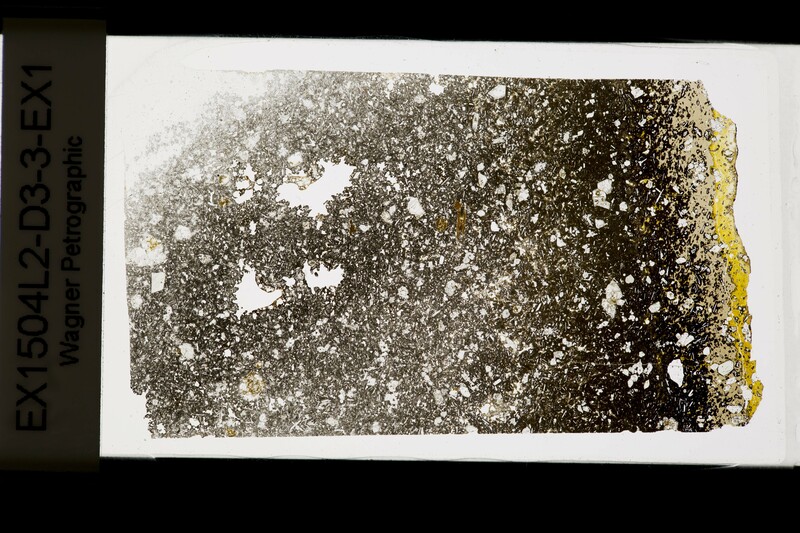 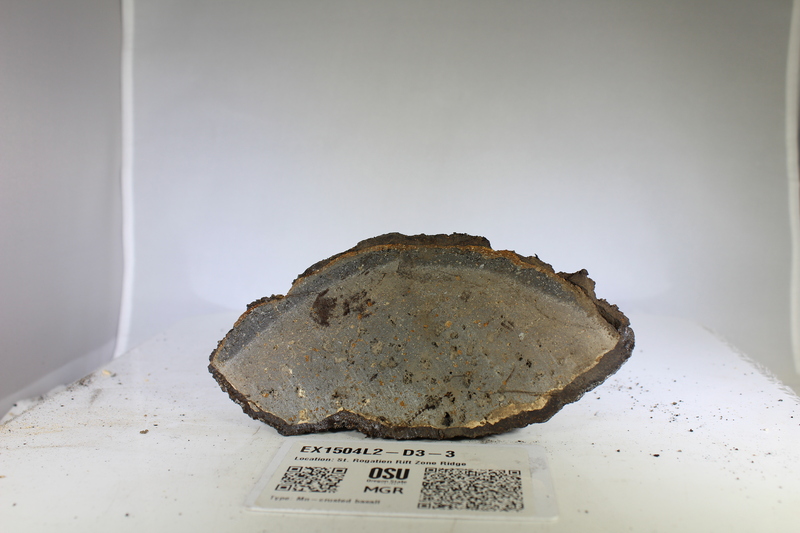 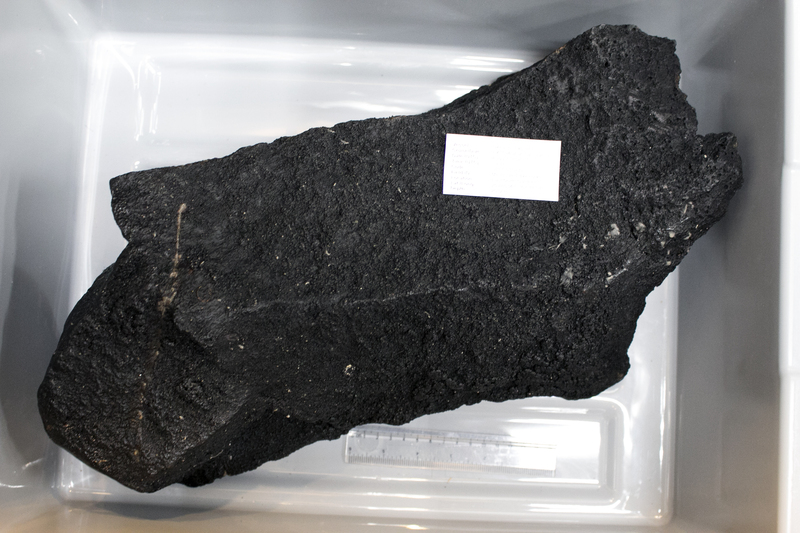 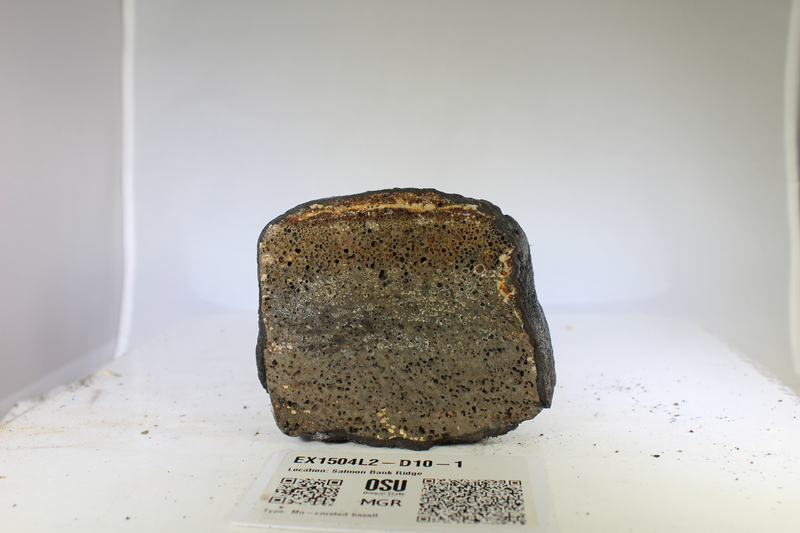 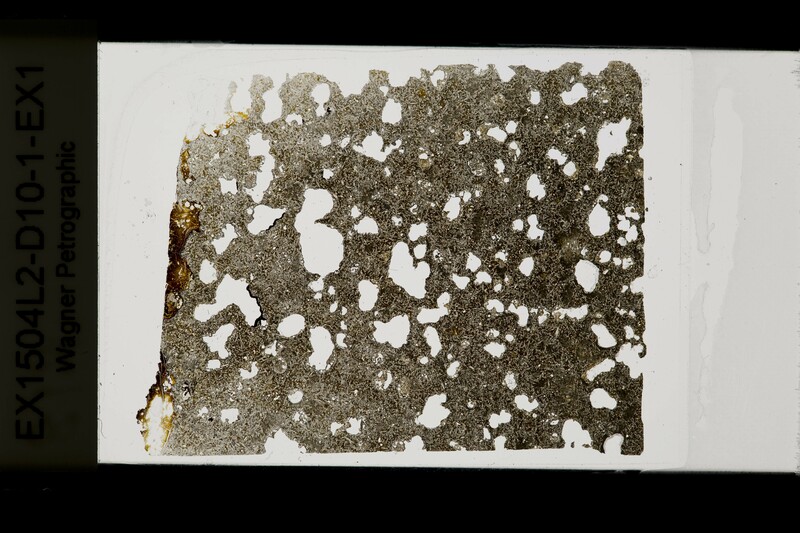 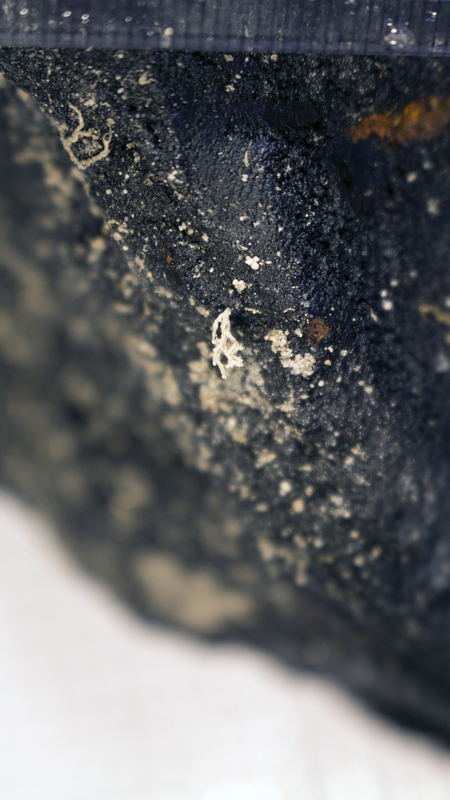 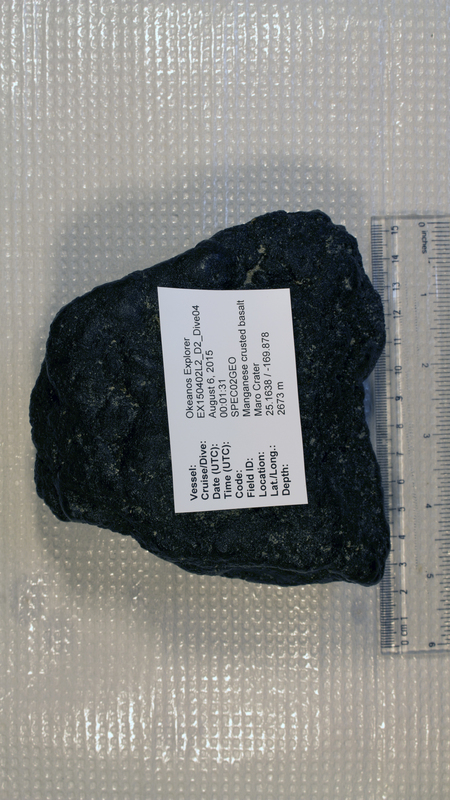 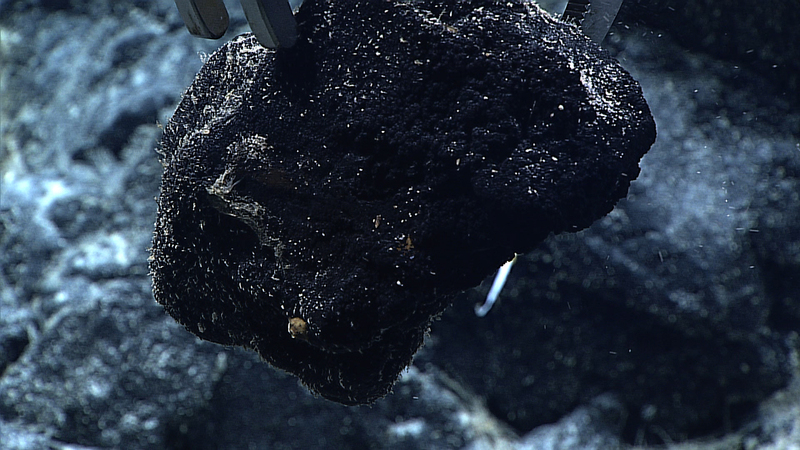 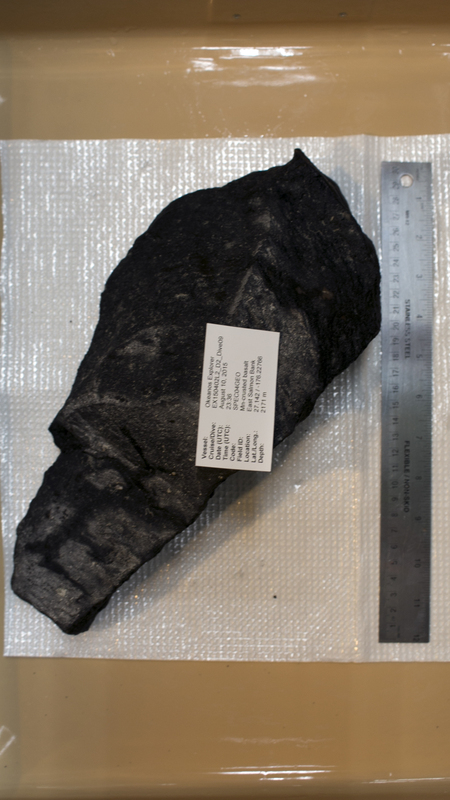 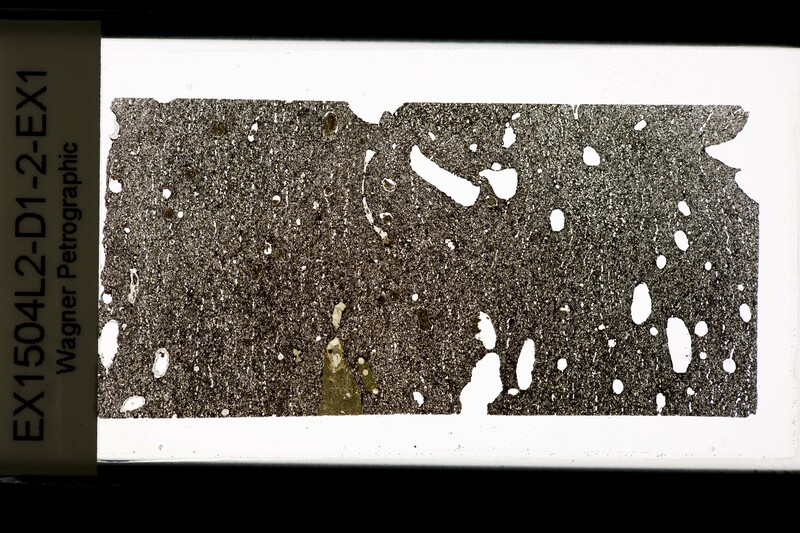 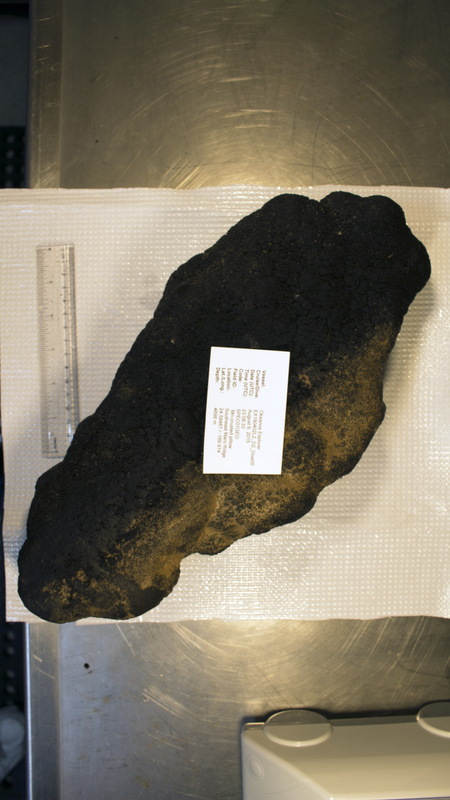 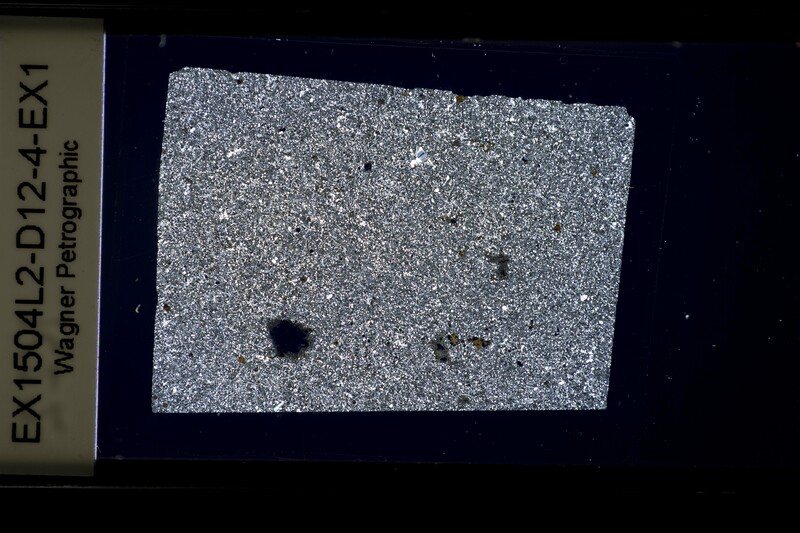 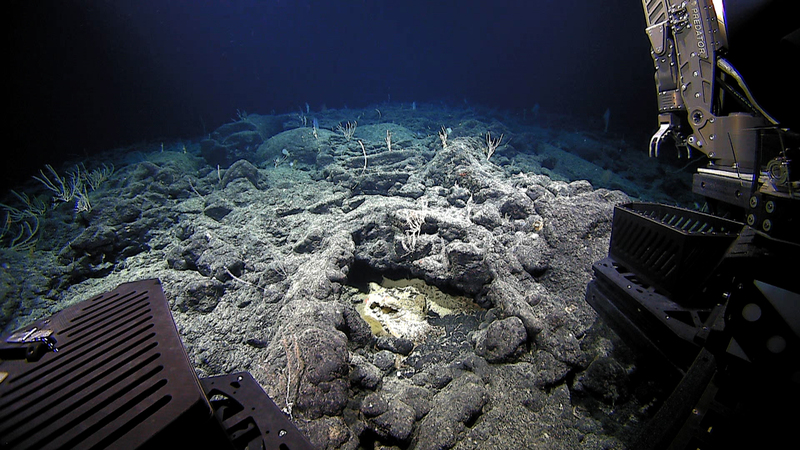 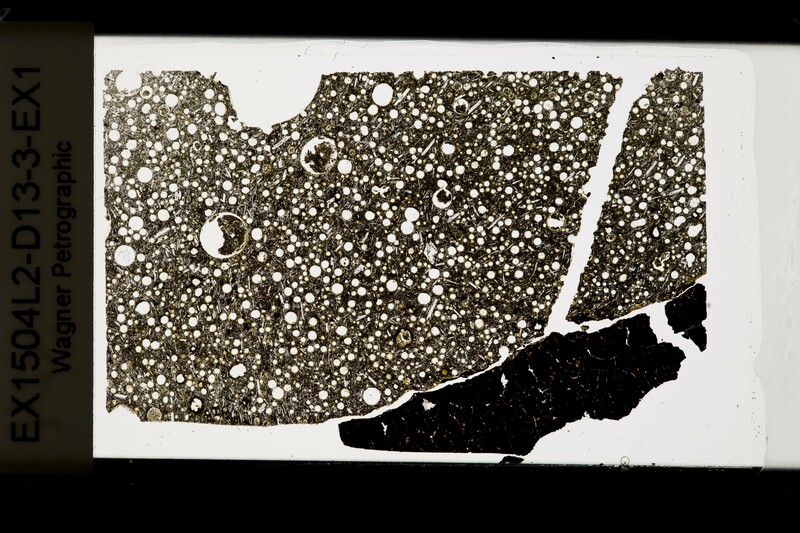 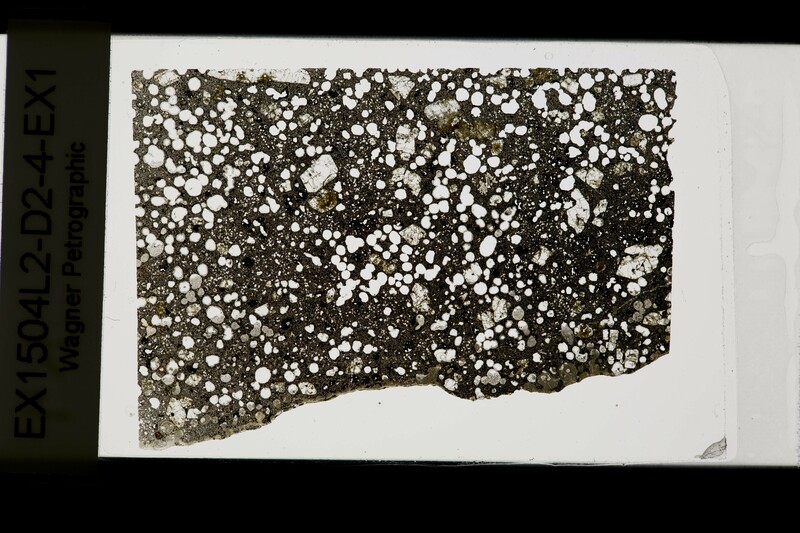 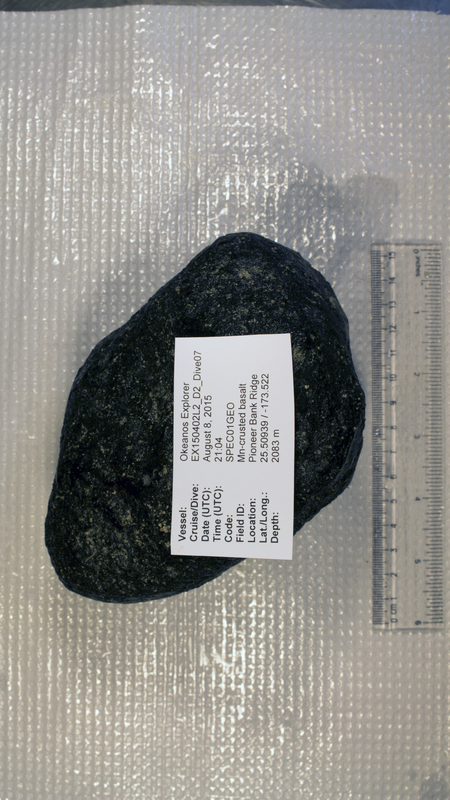 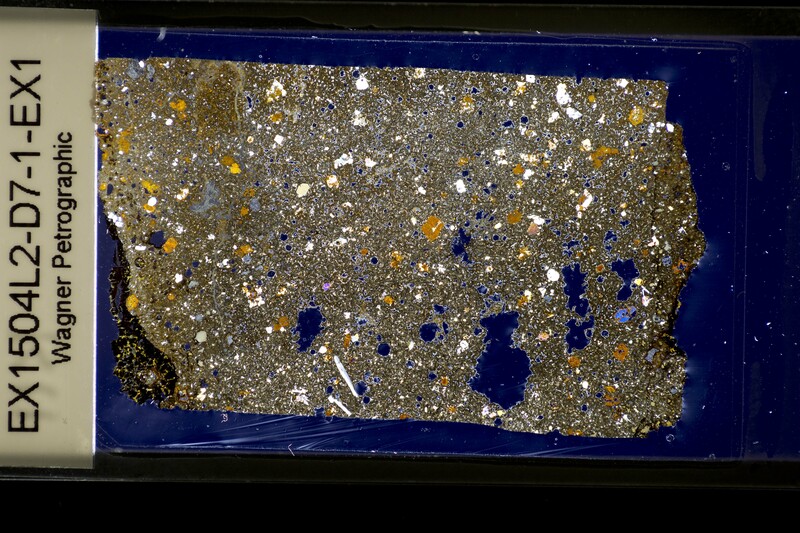 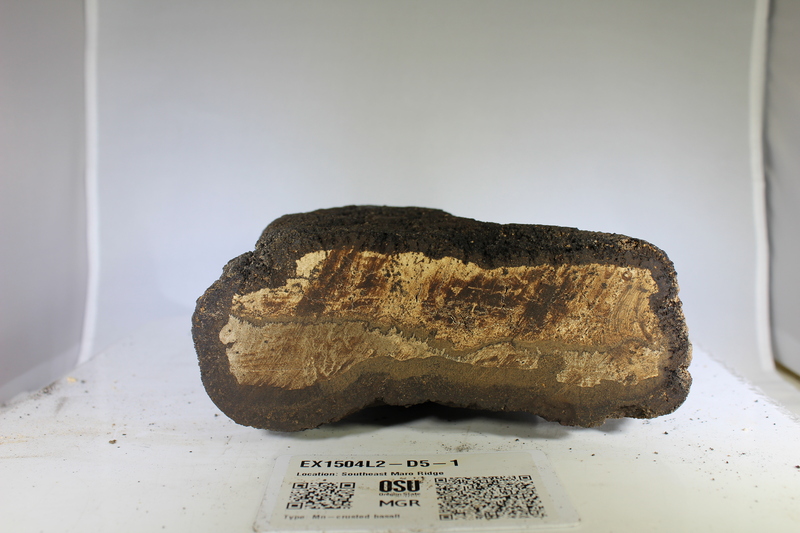 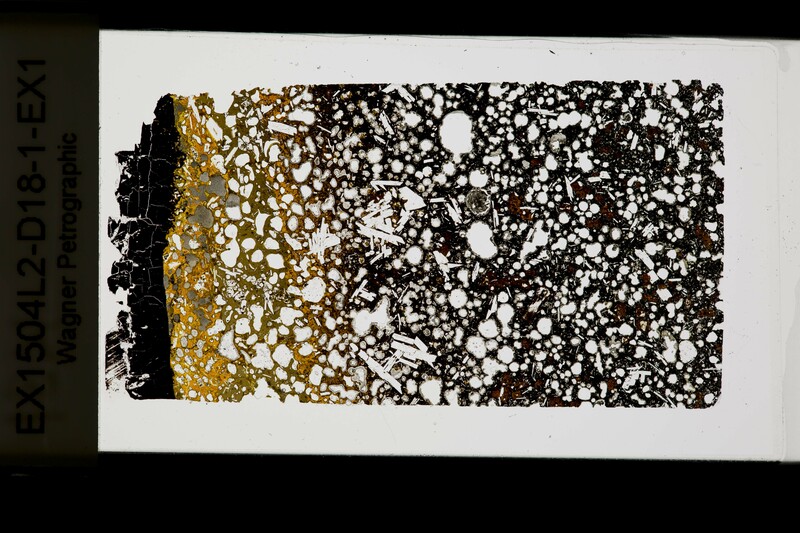 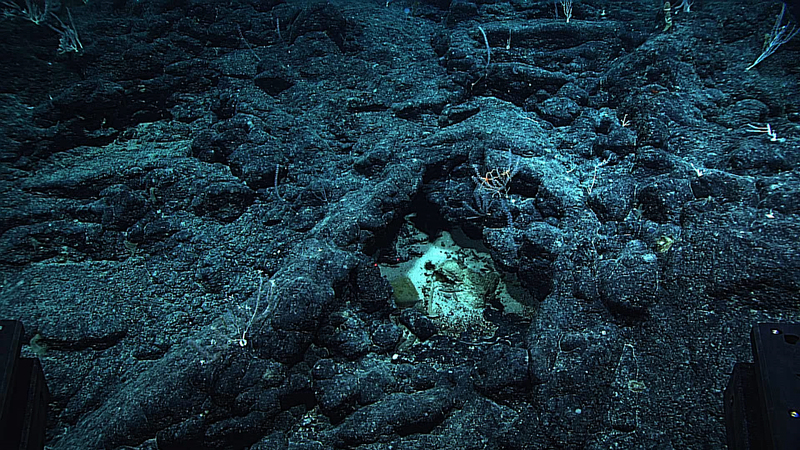 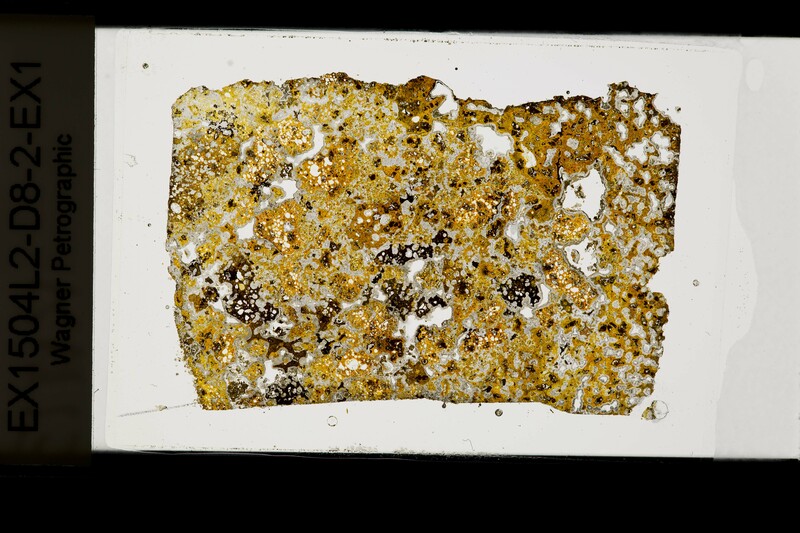 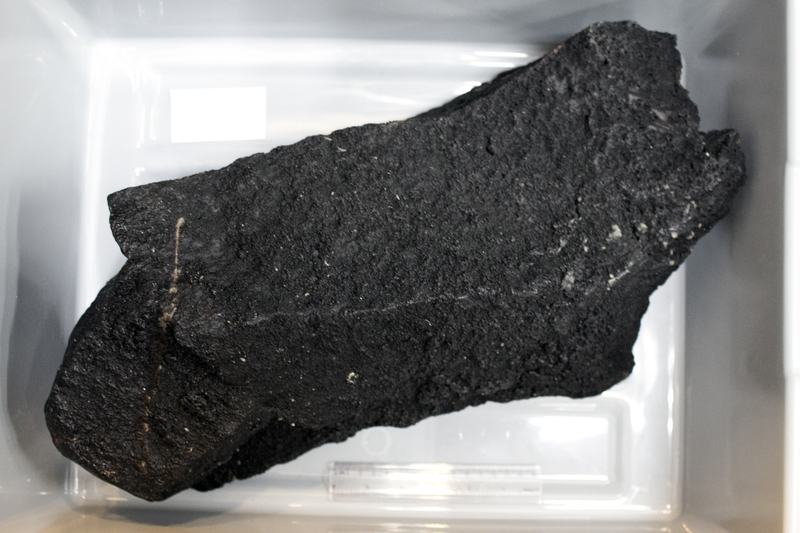 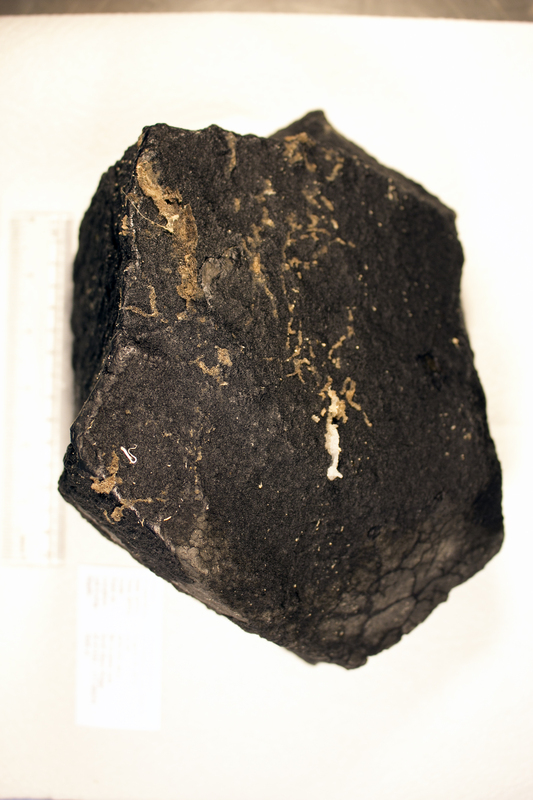 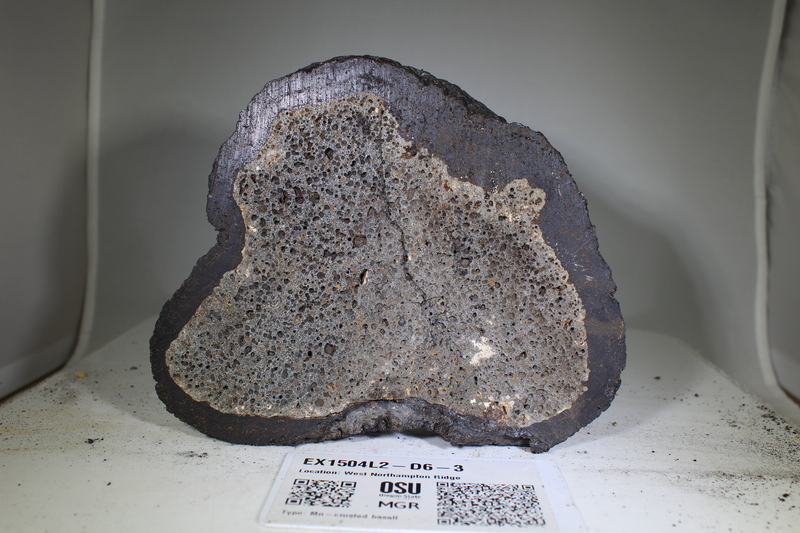 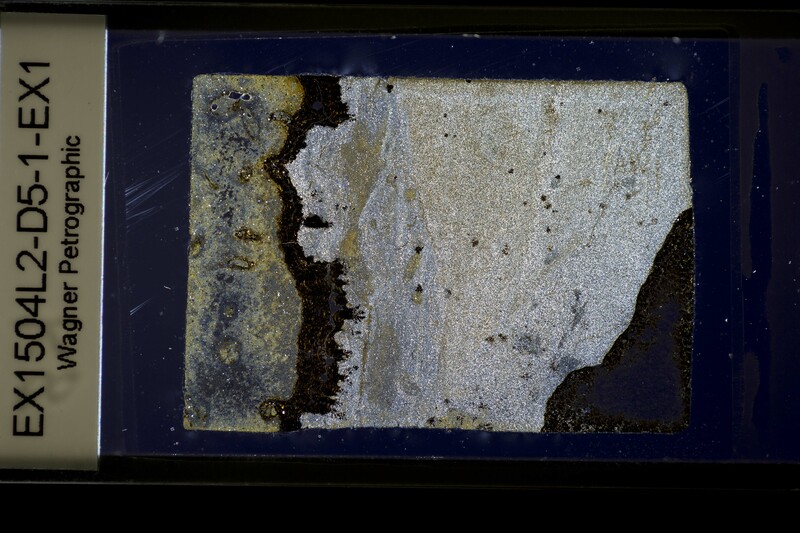 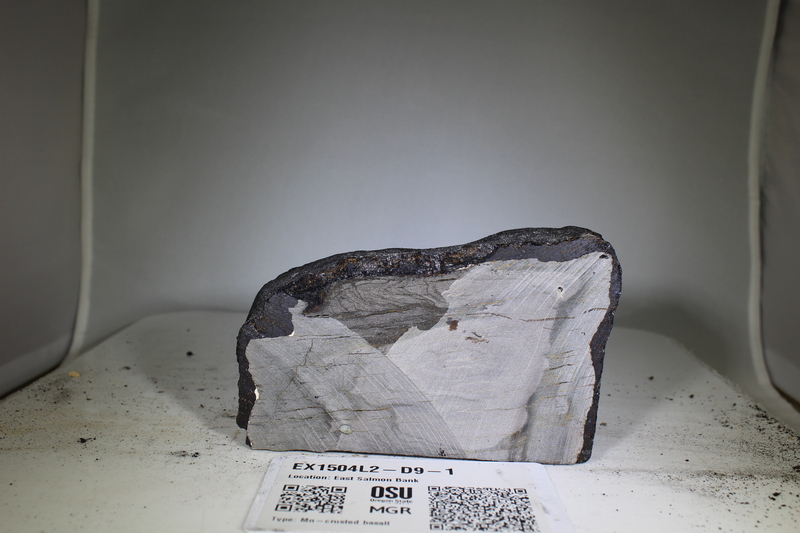 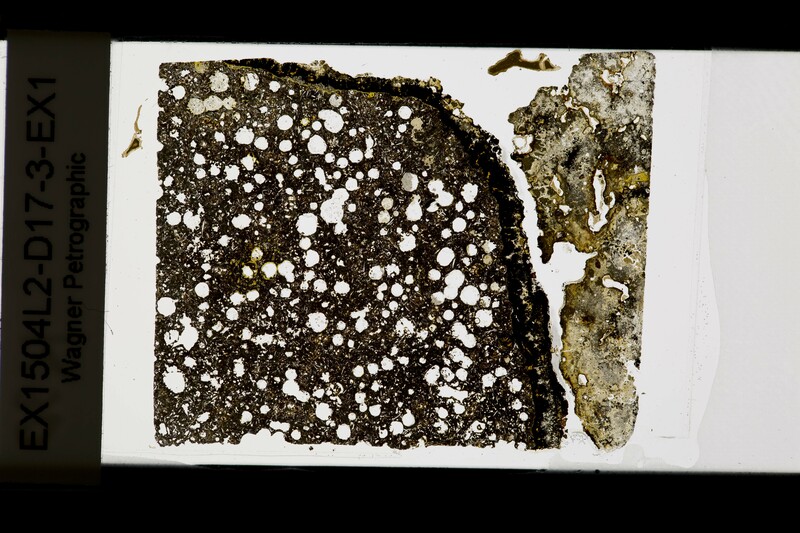 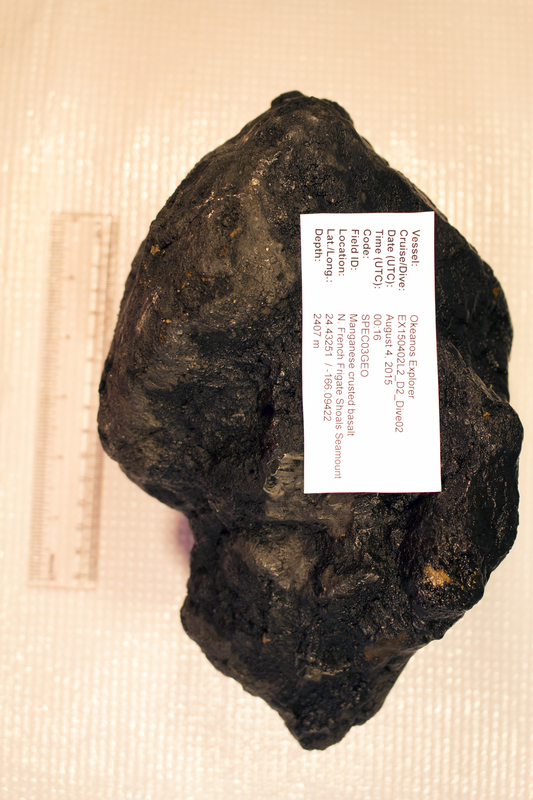 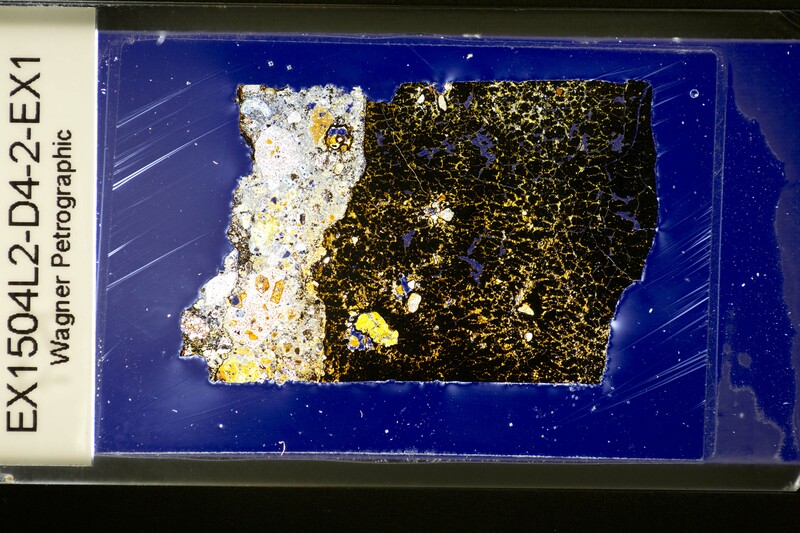 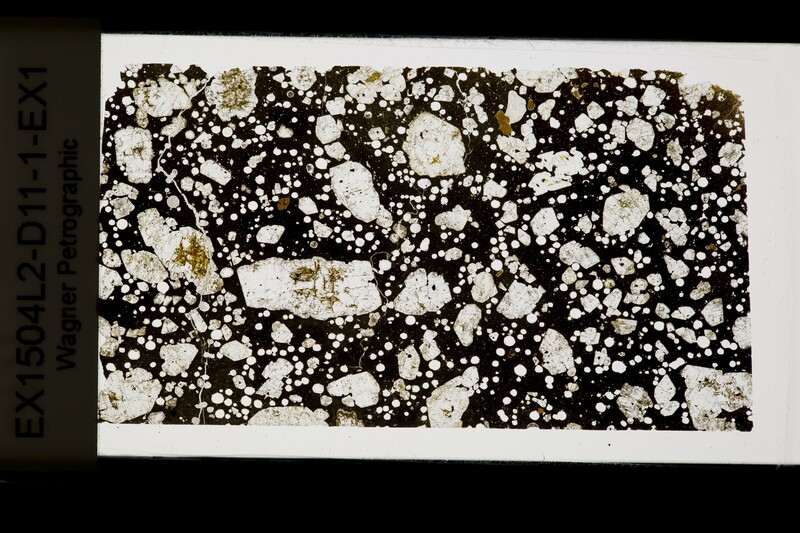 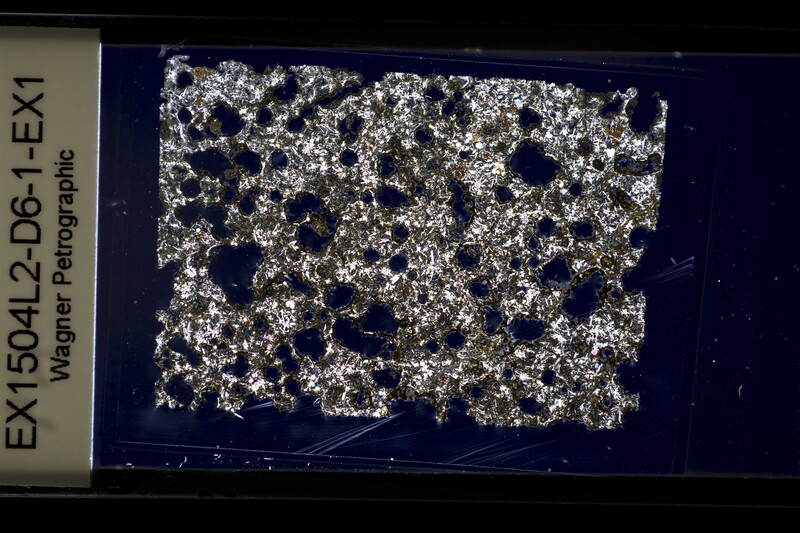 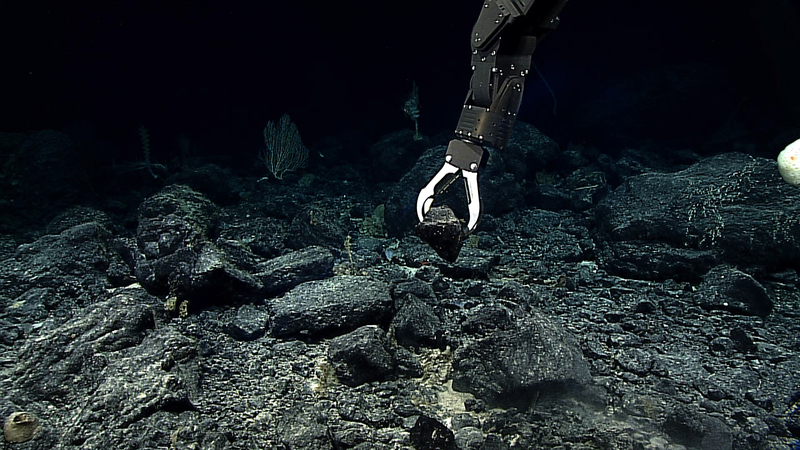 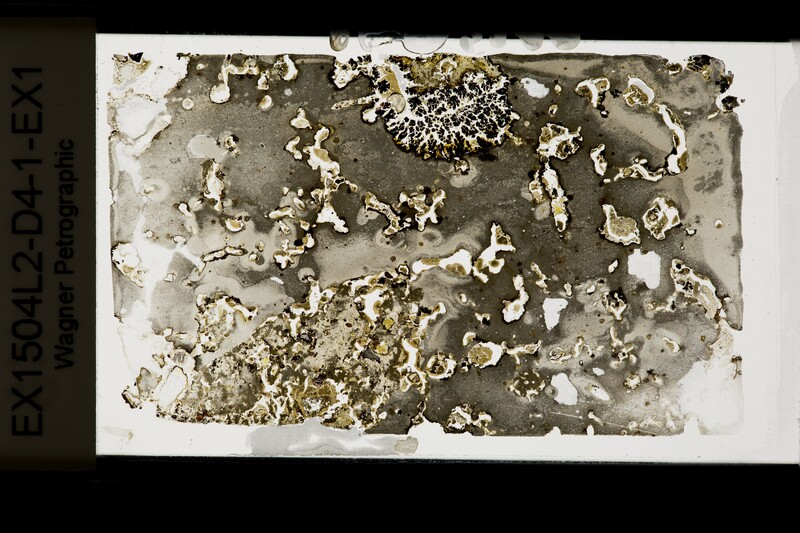 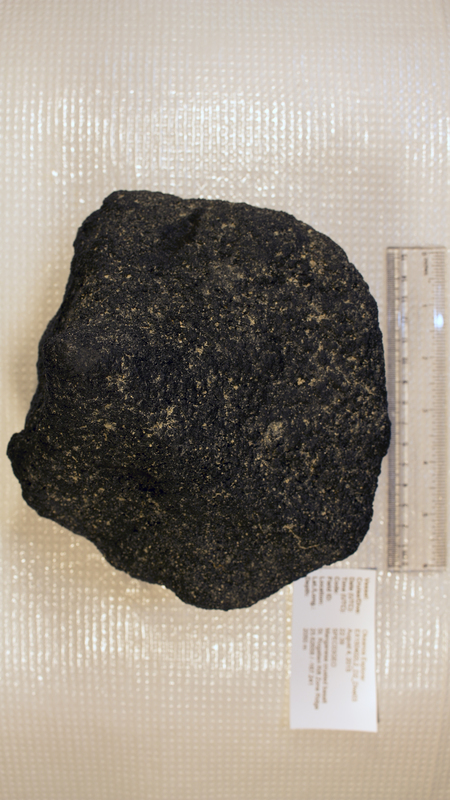 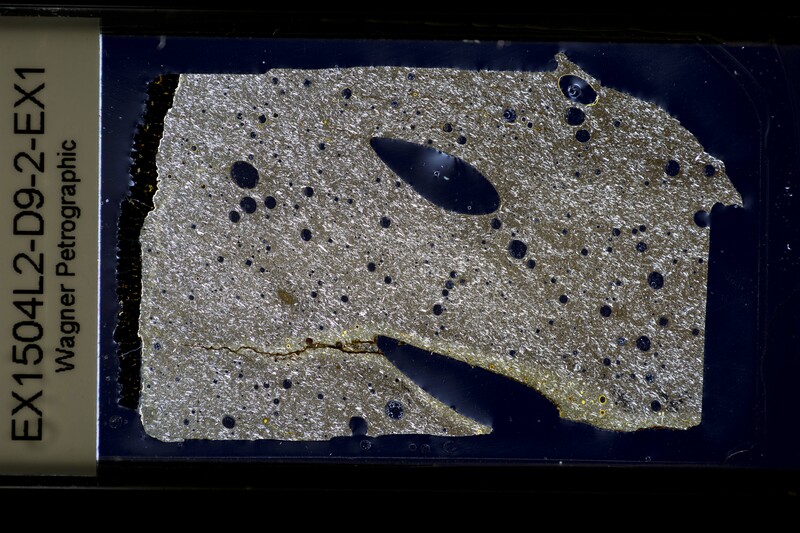 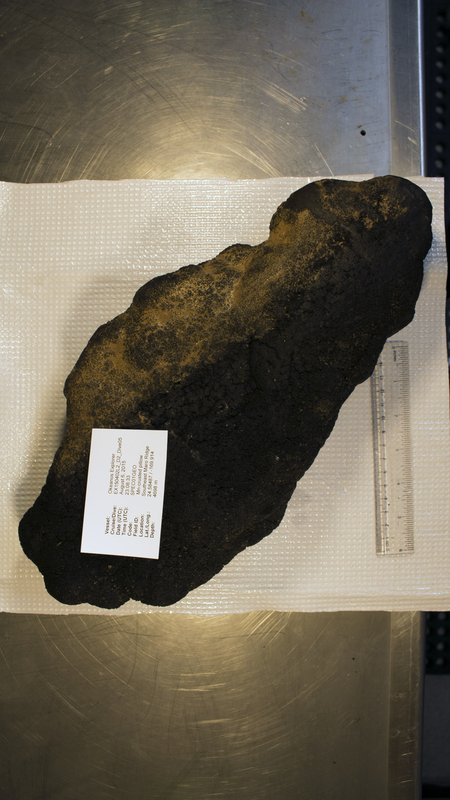 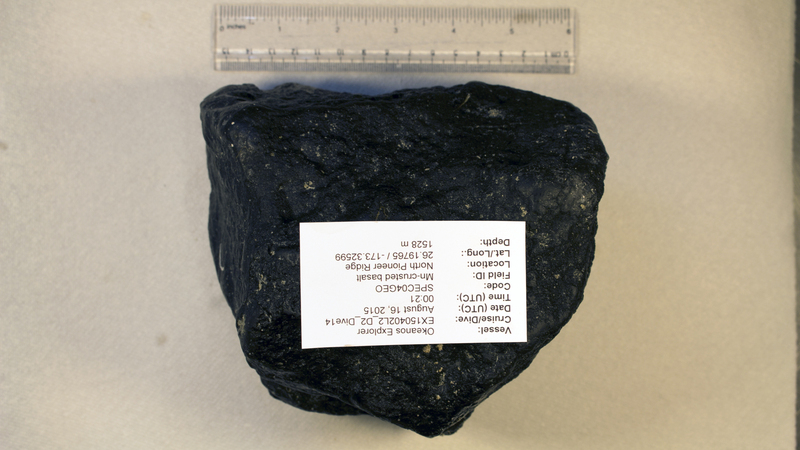 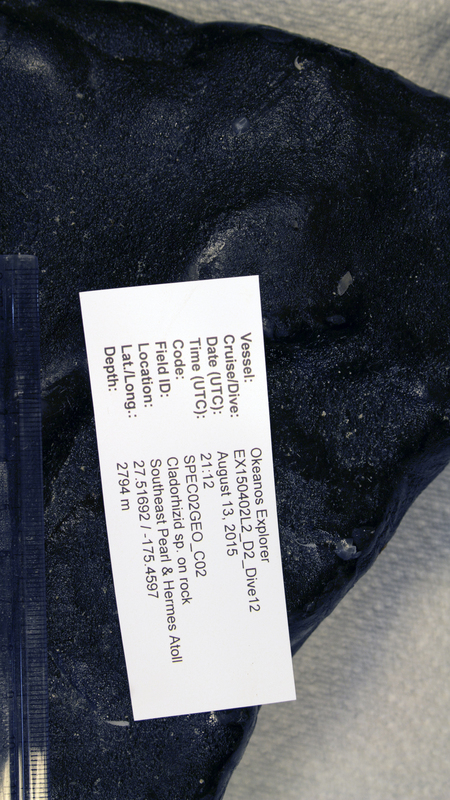 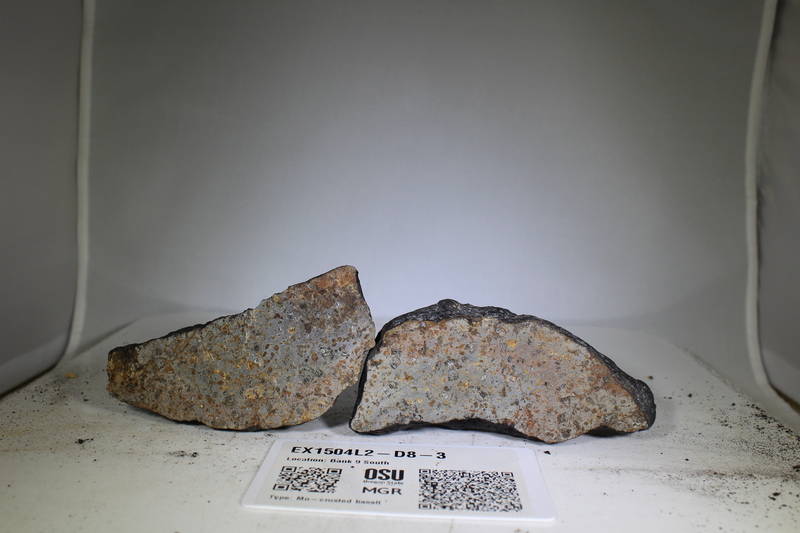 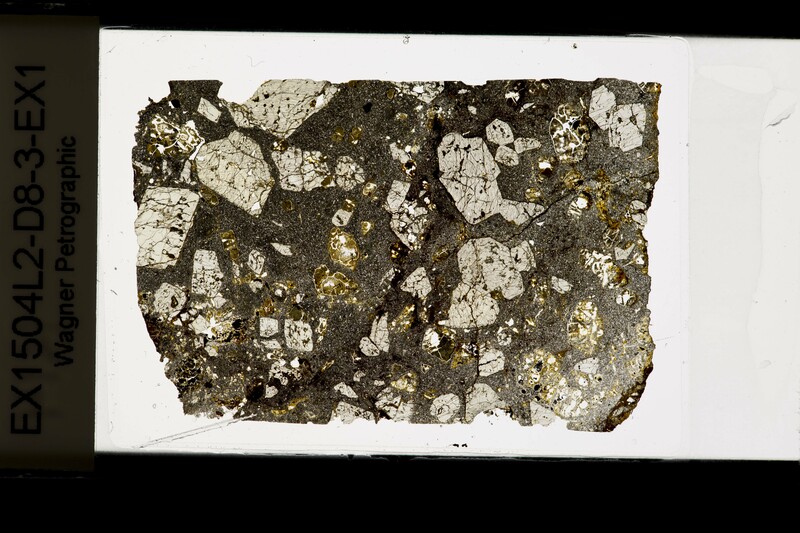 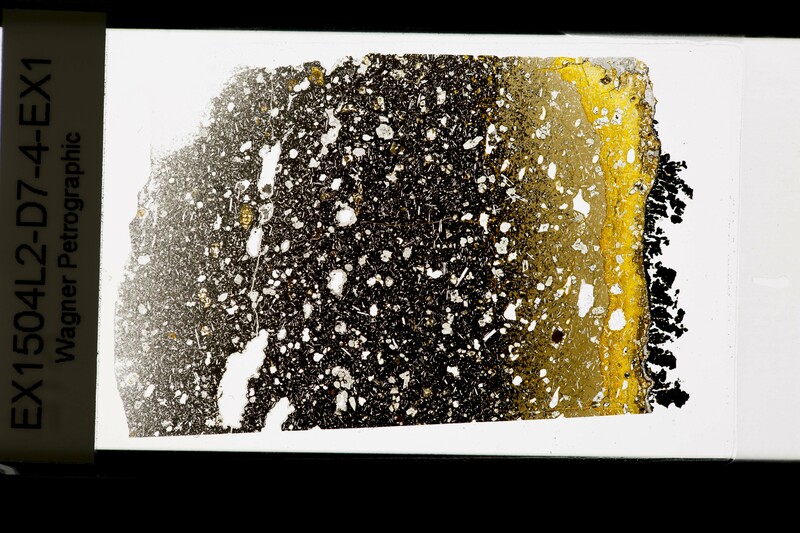 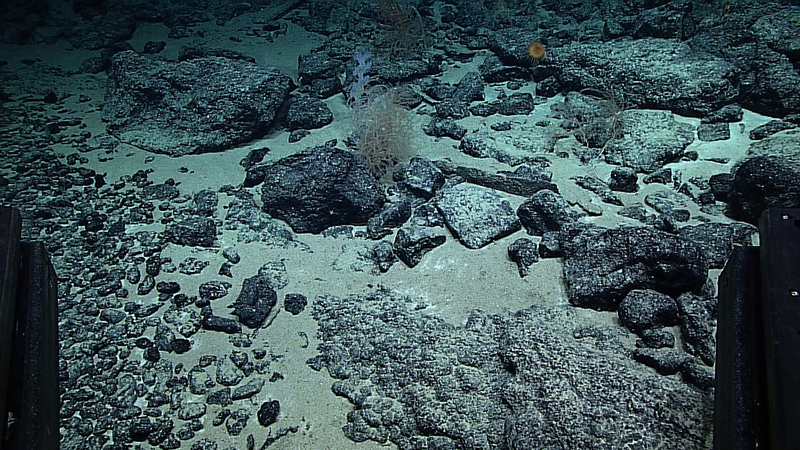 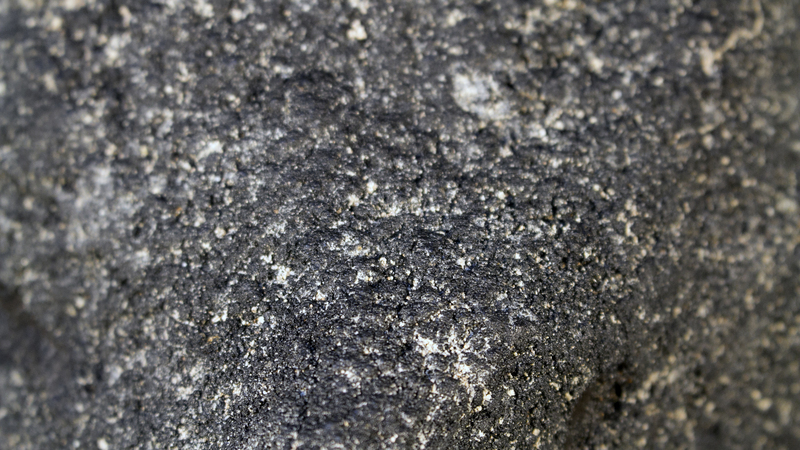 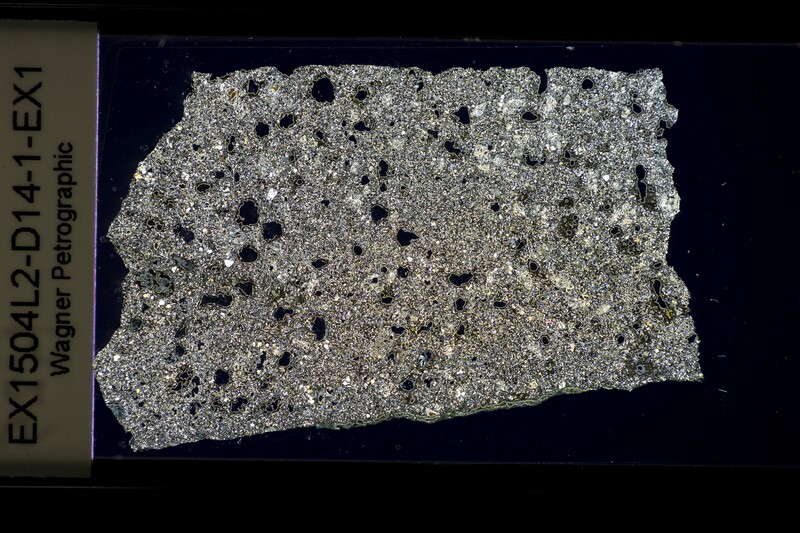 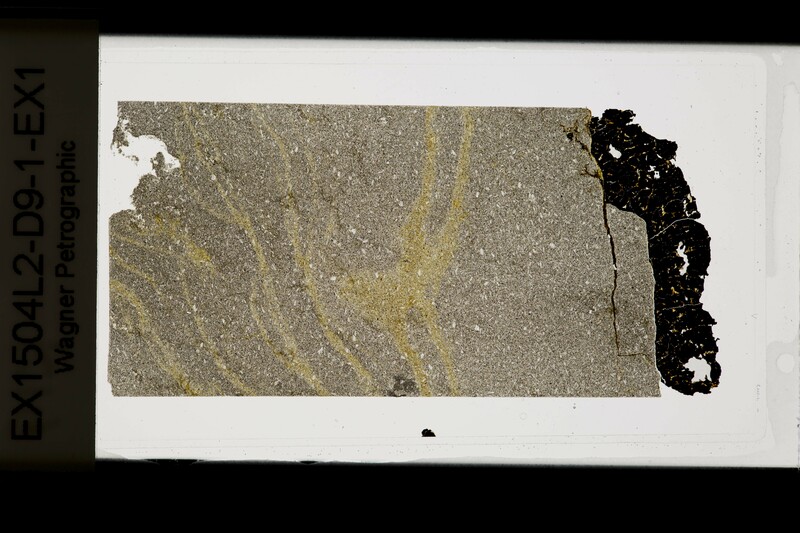 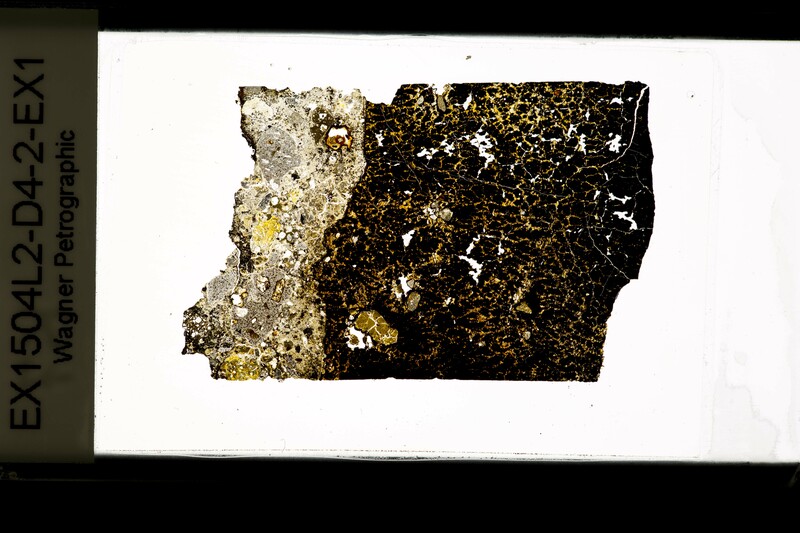 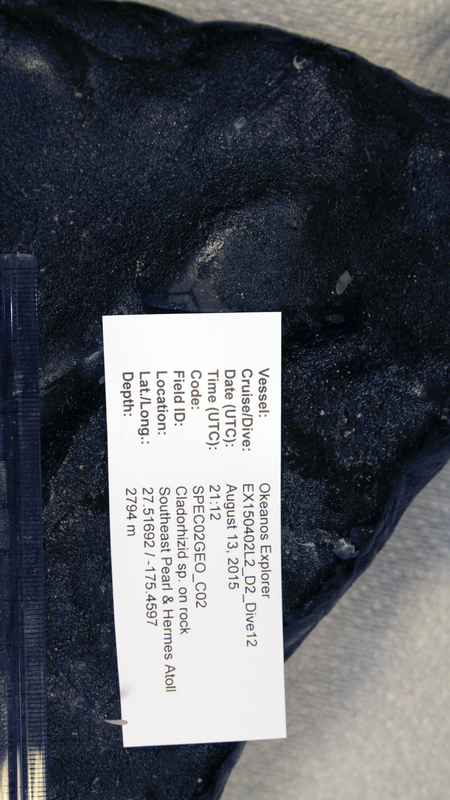 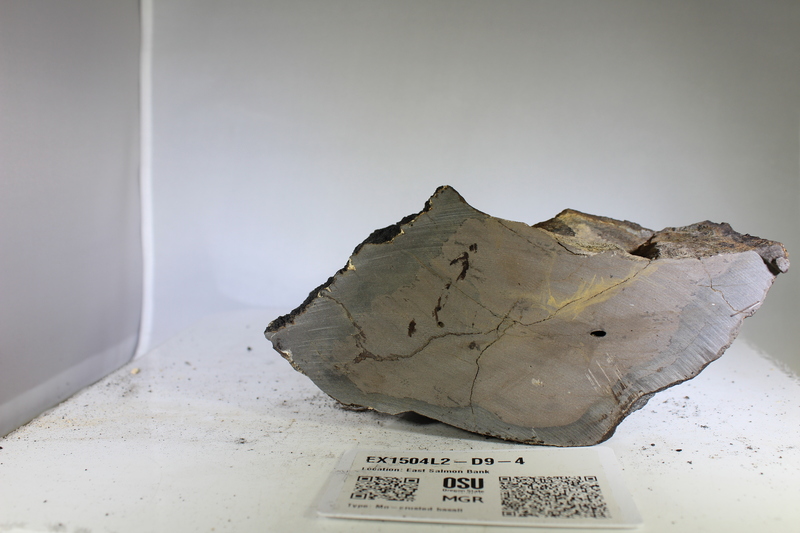 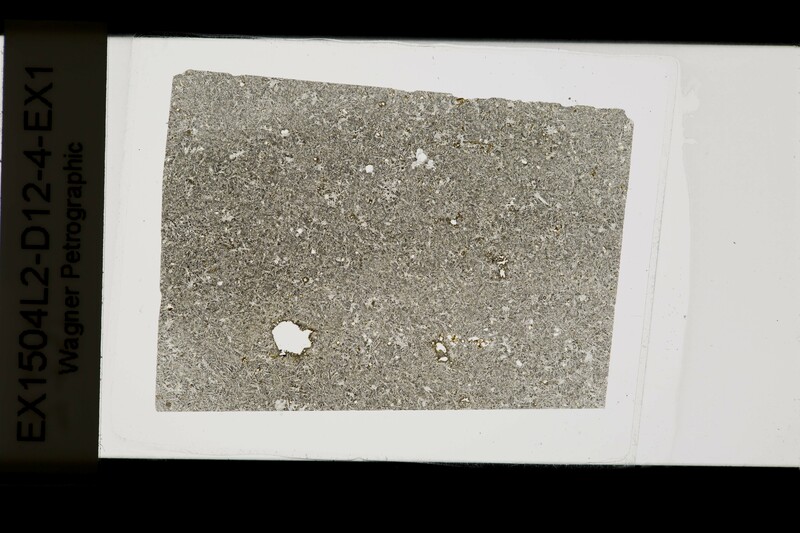 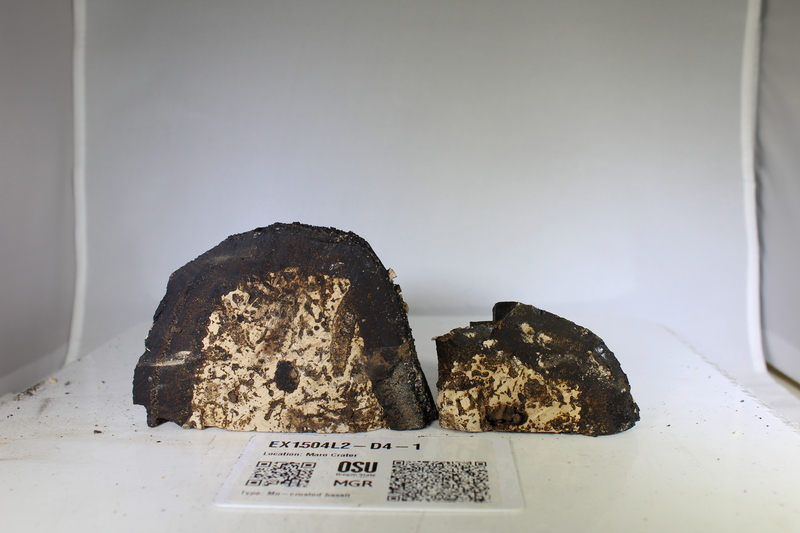 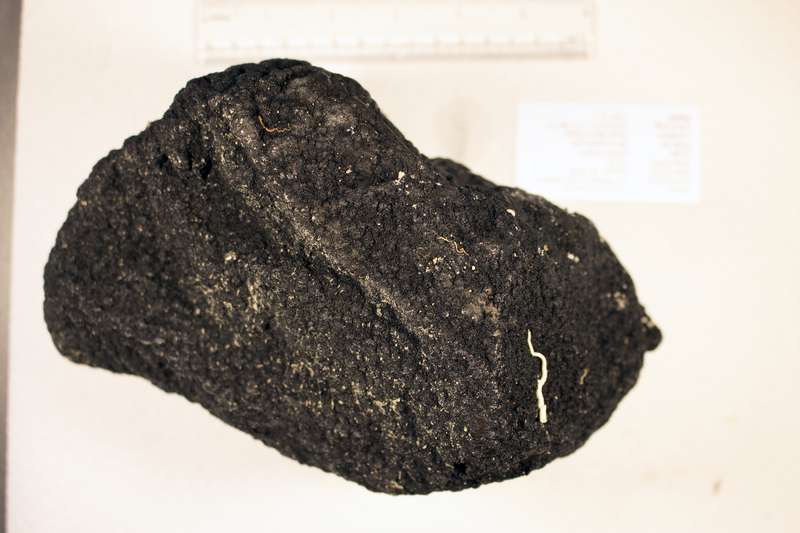 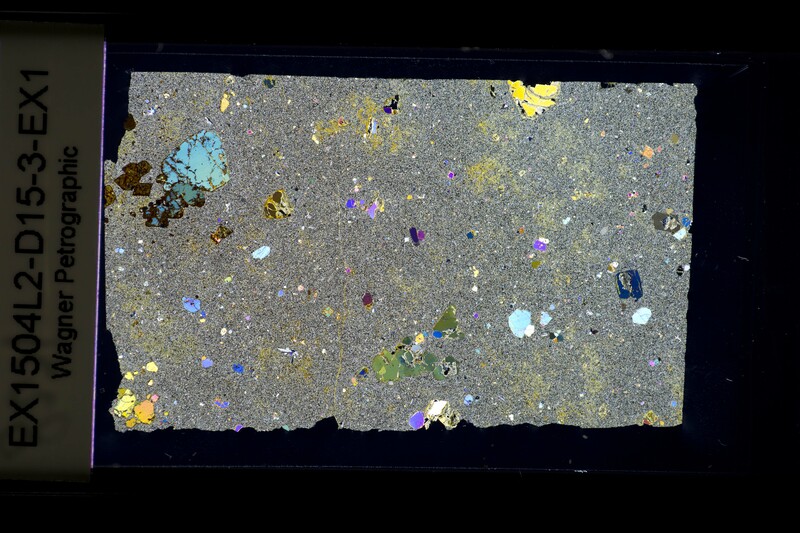 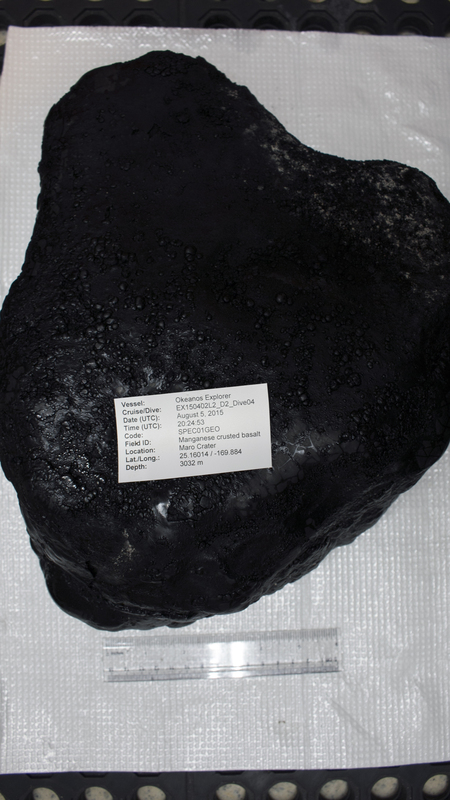 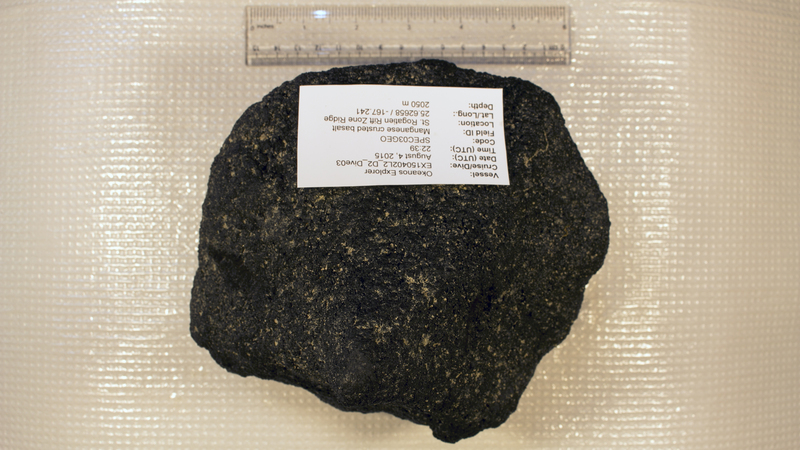 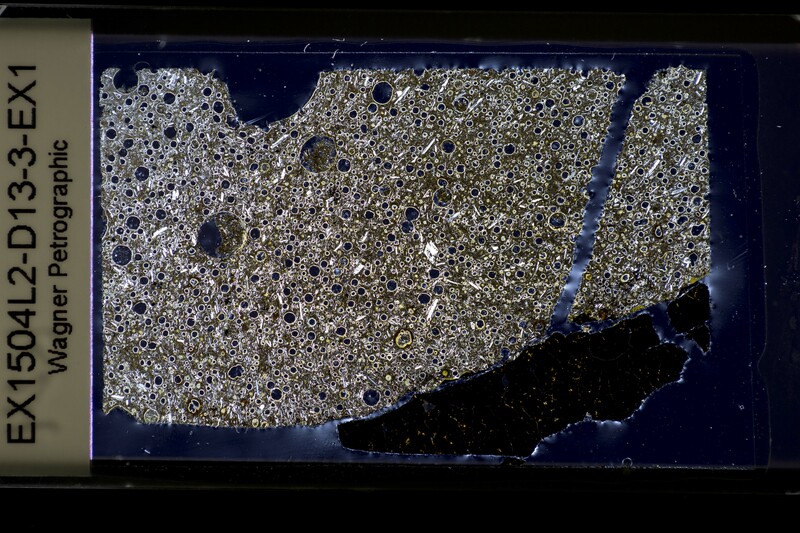 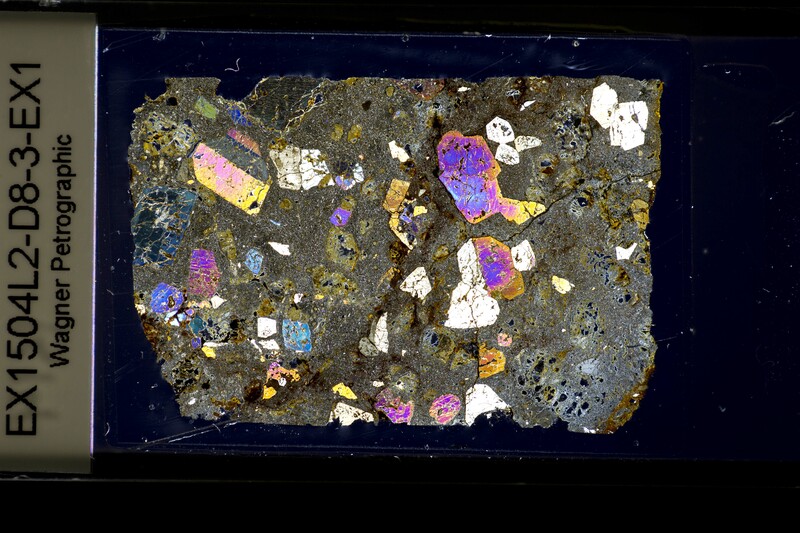 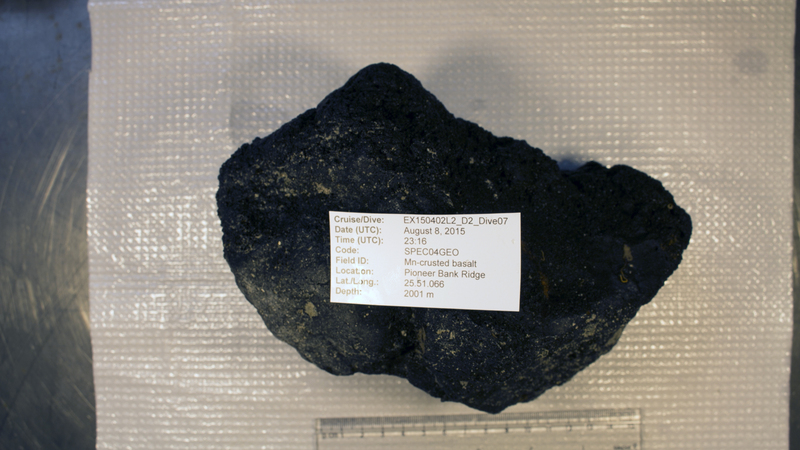 Archived samples include basalts, fossil corals, phosphorites and more. 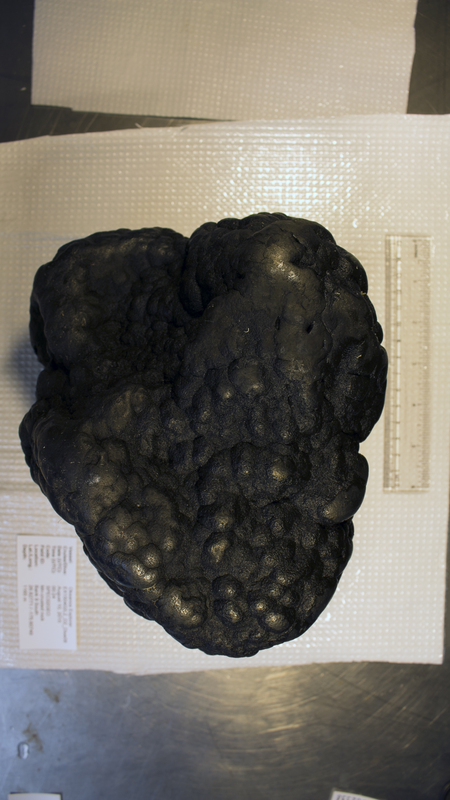 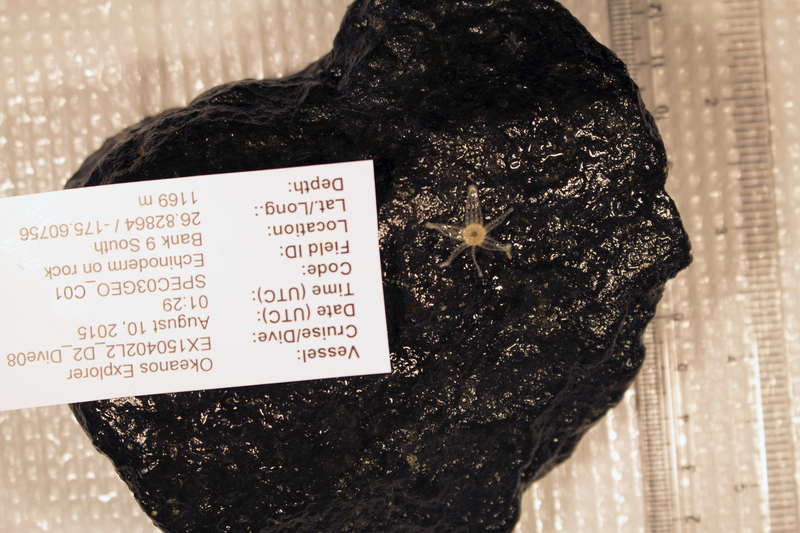 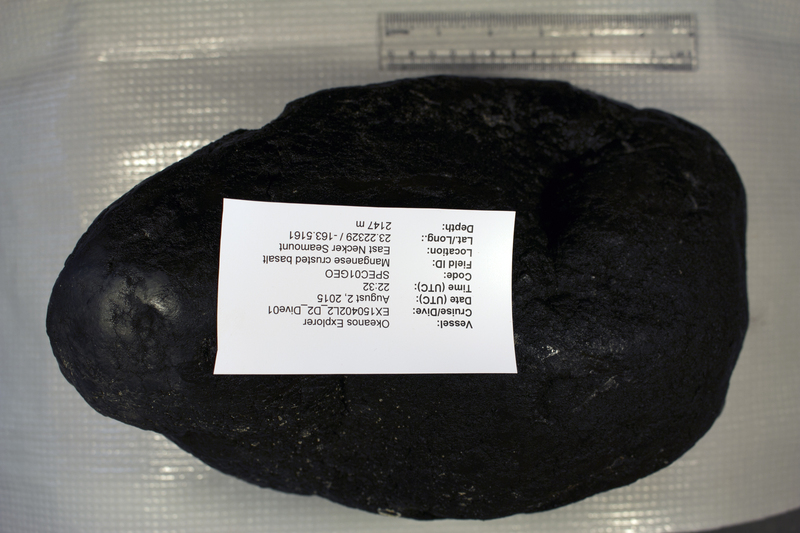 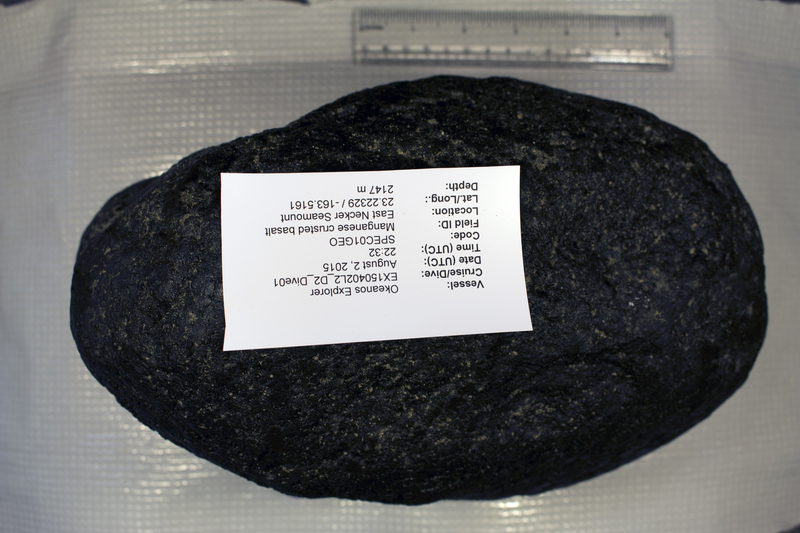 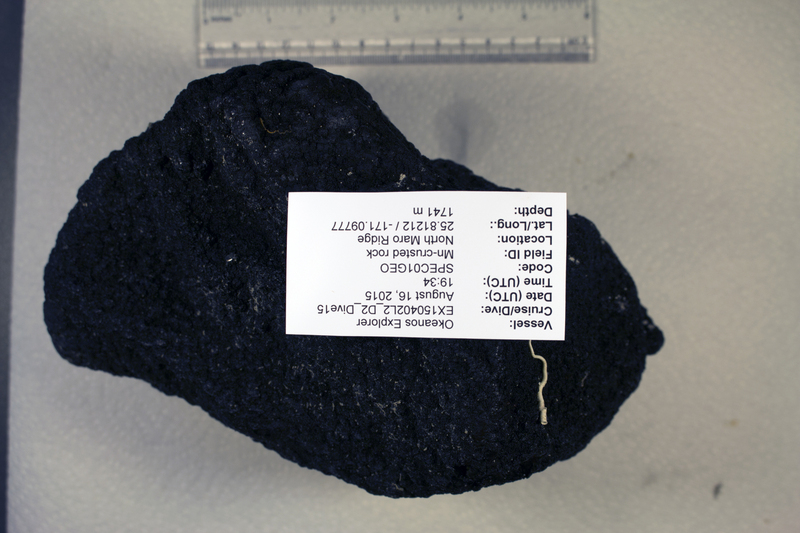 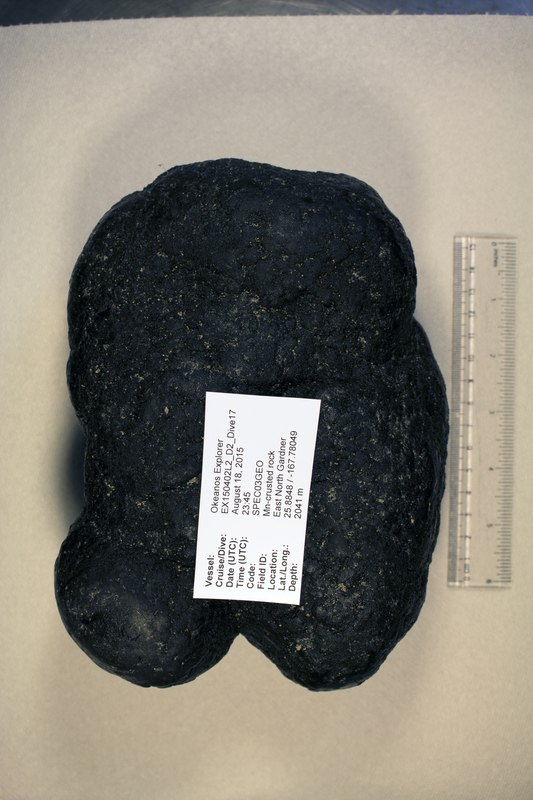 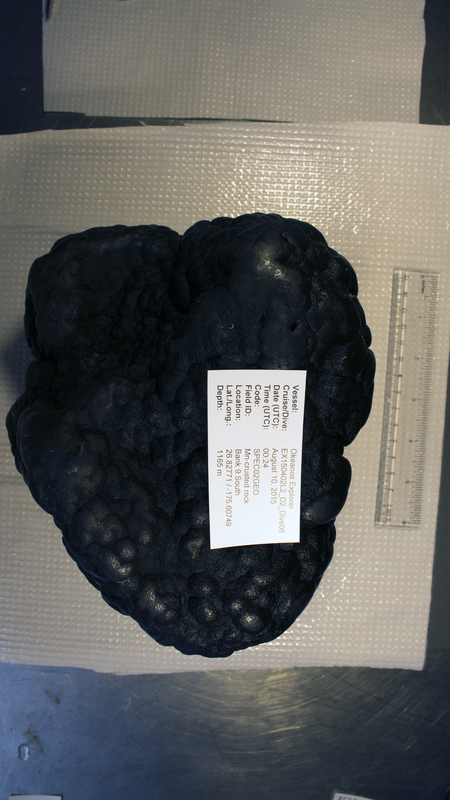 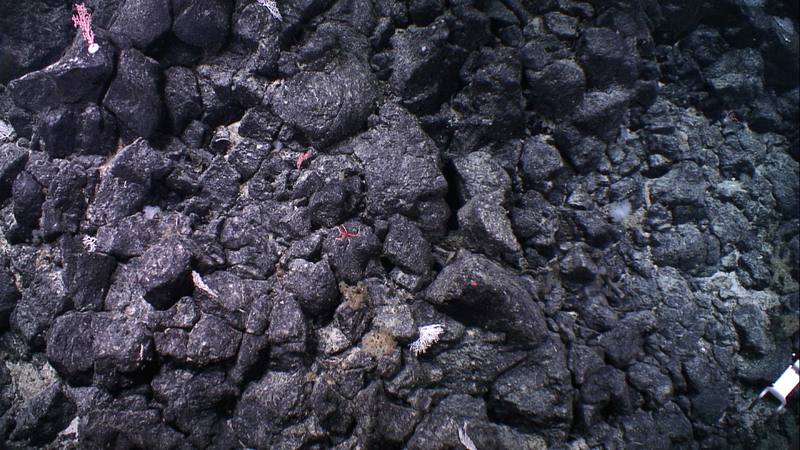 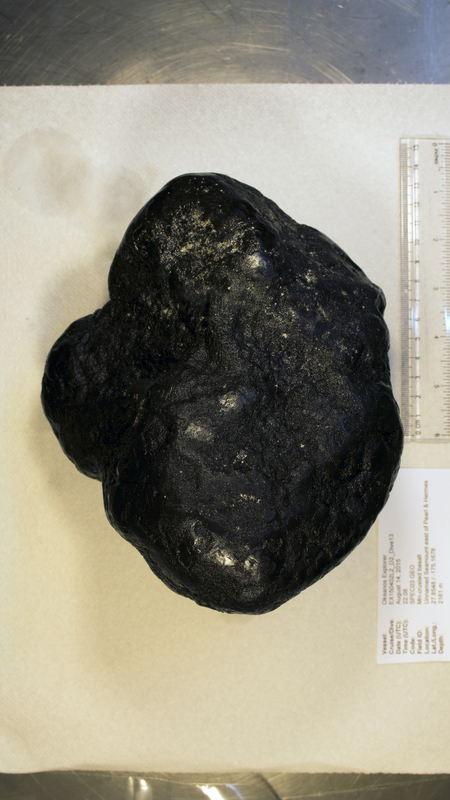 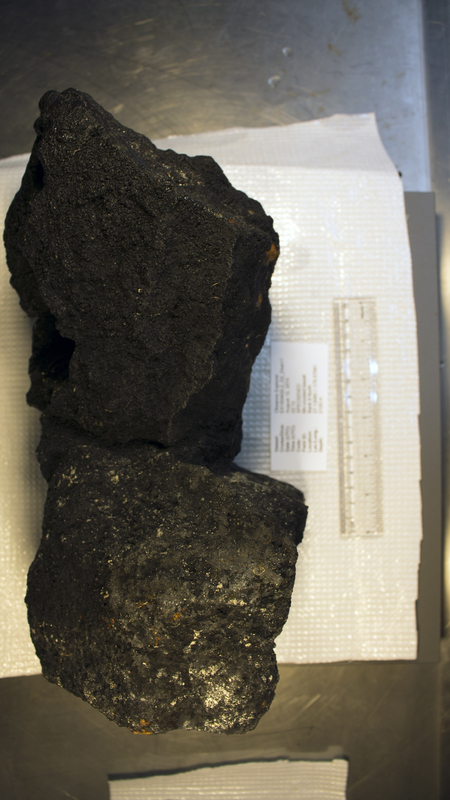 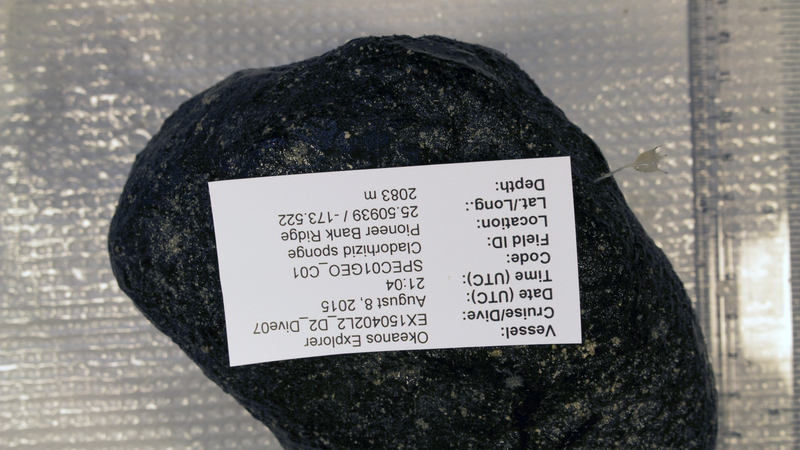 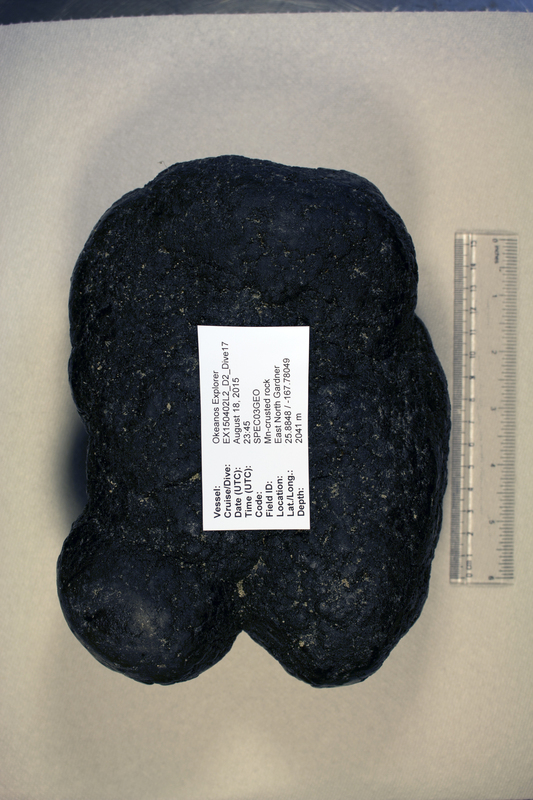 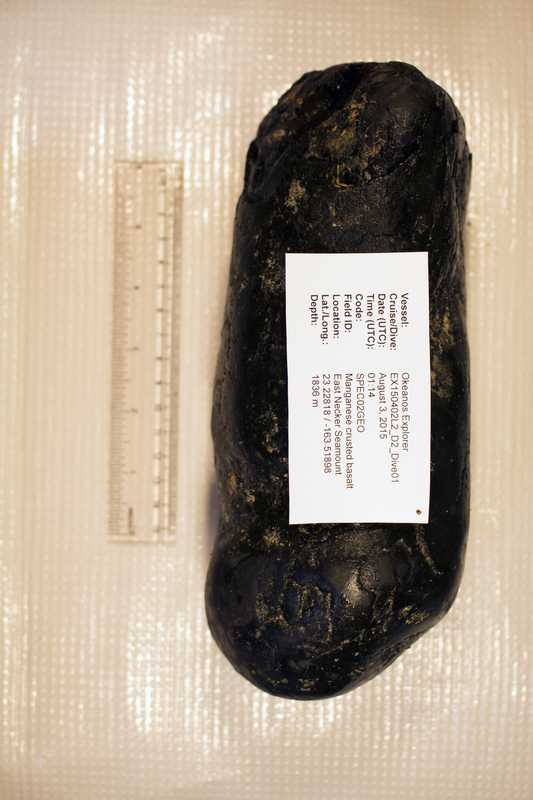 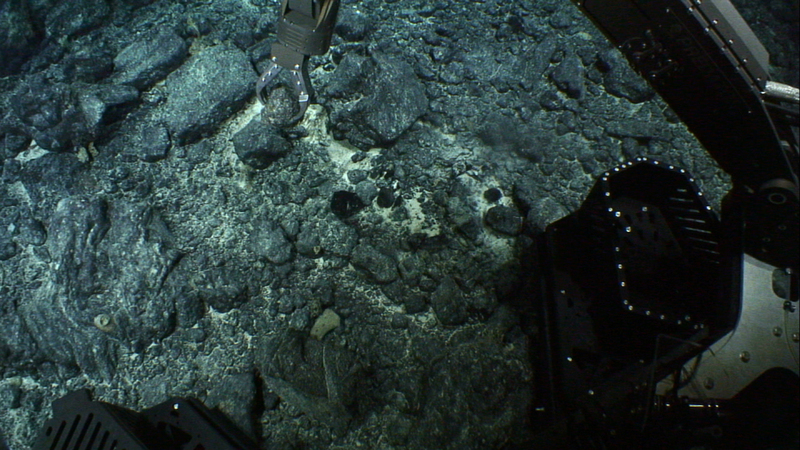 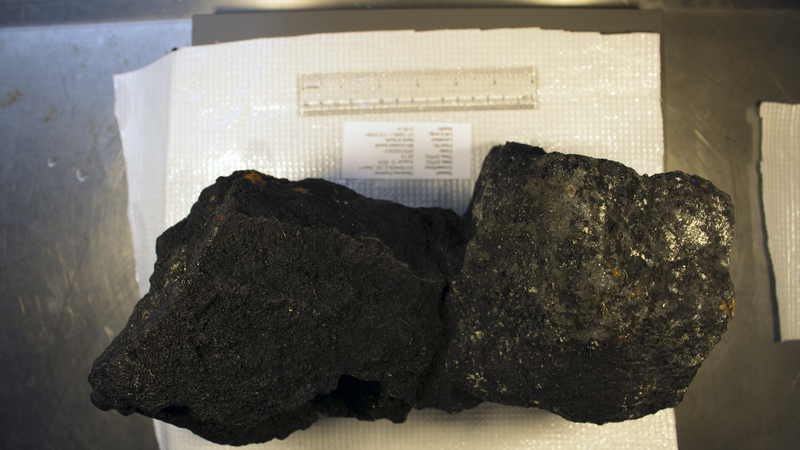 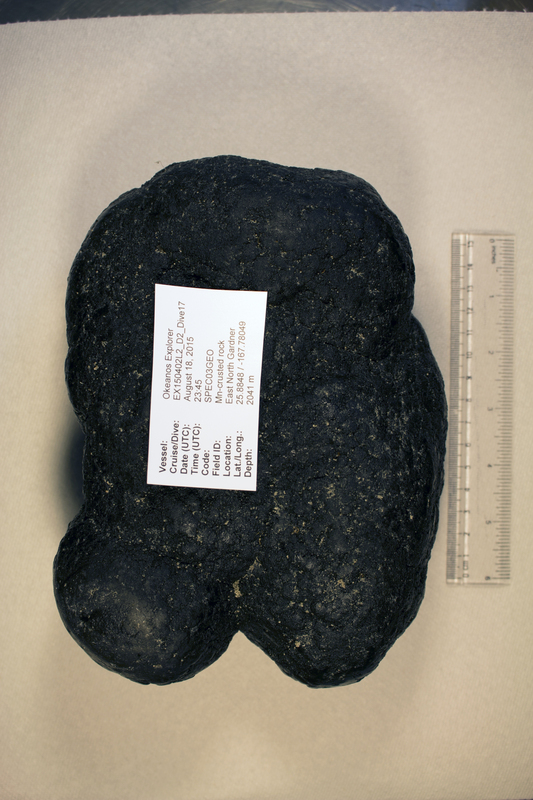 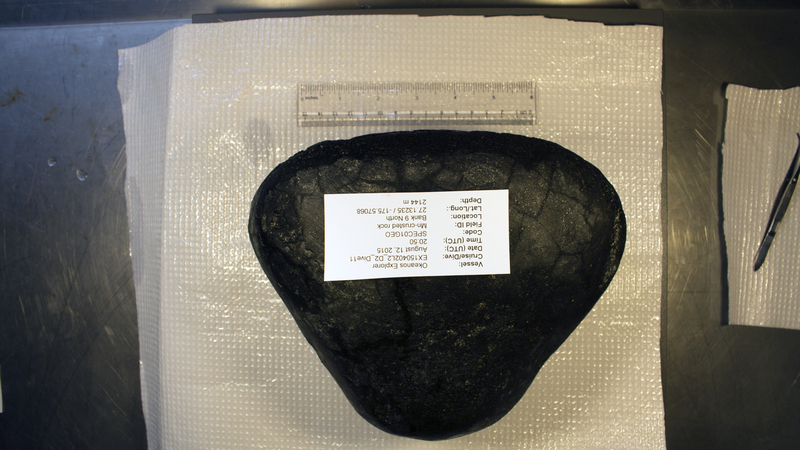 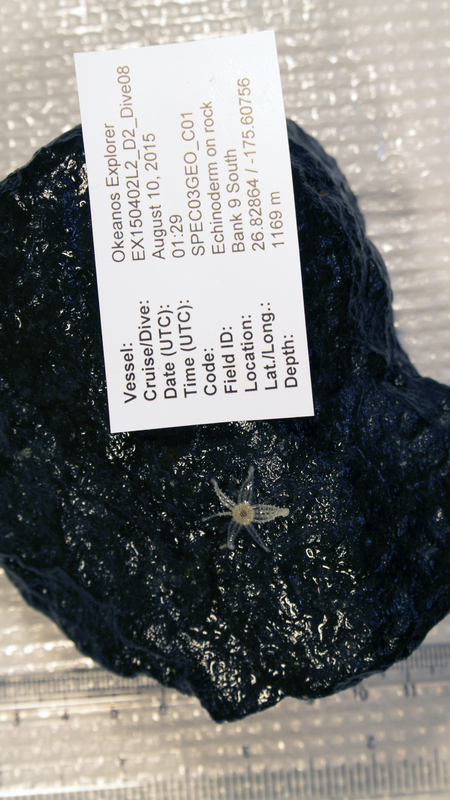 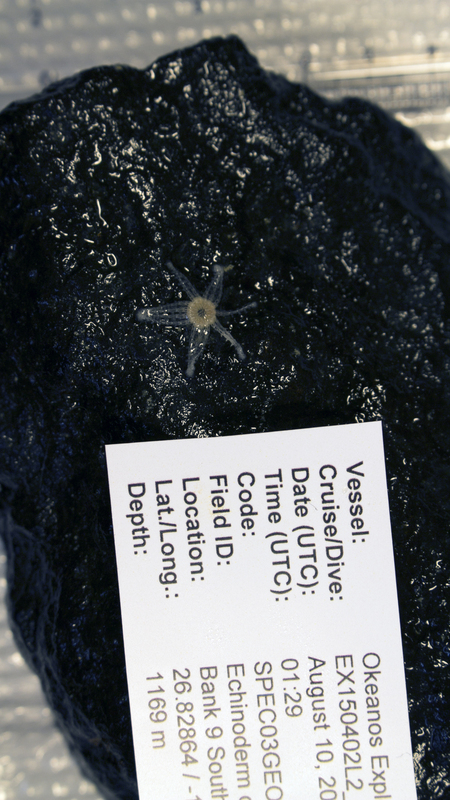 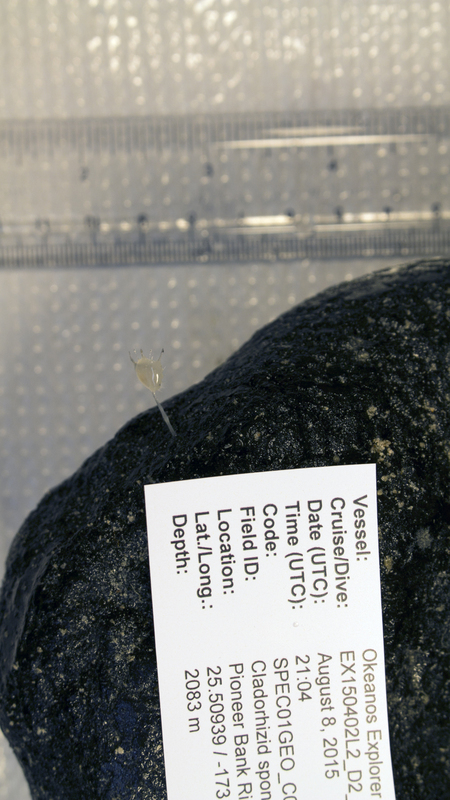 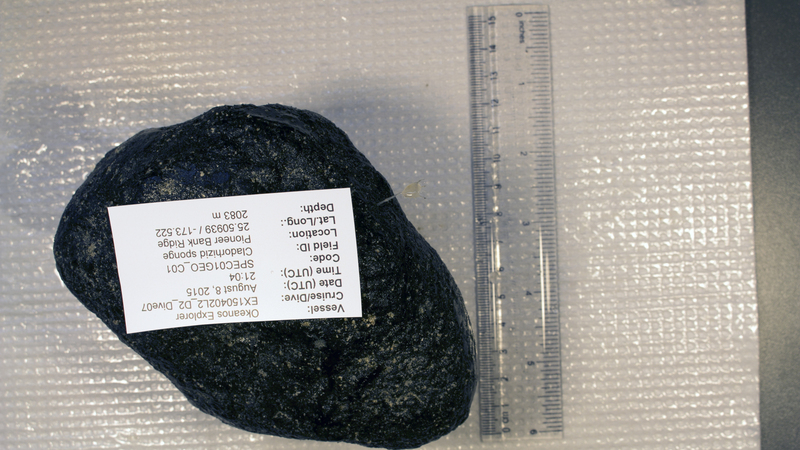 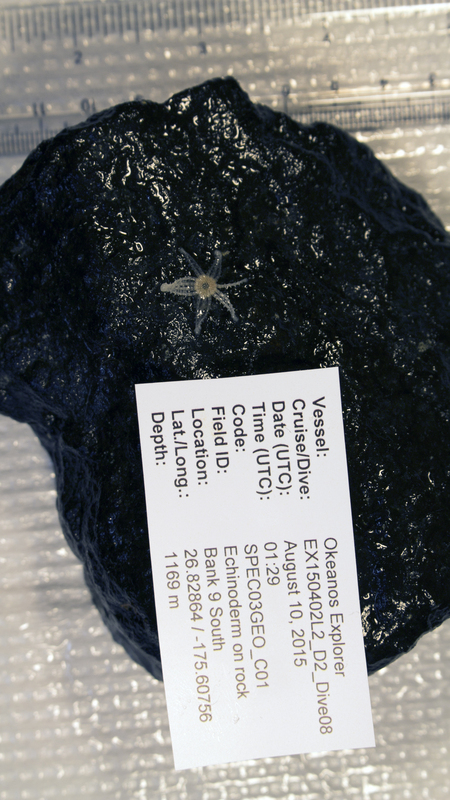 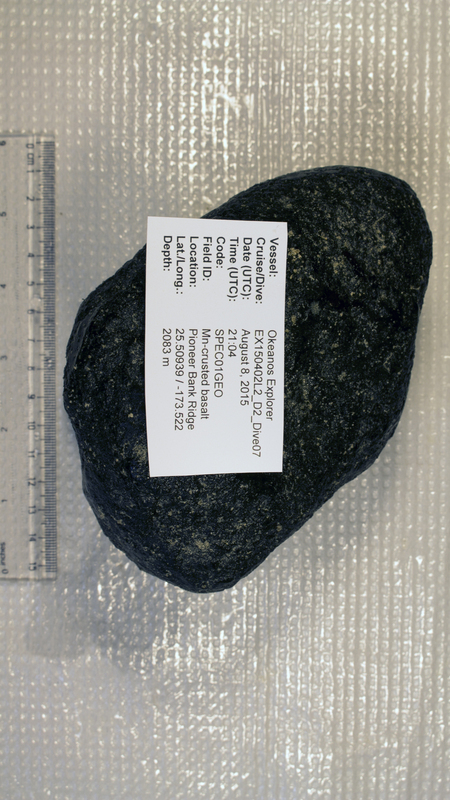 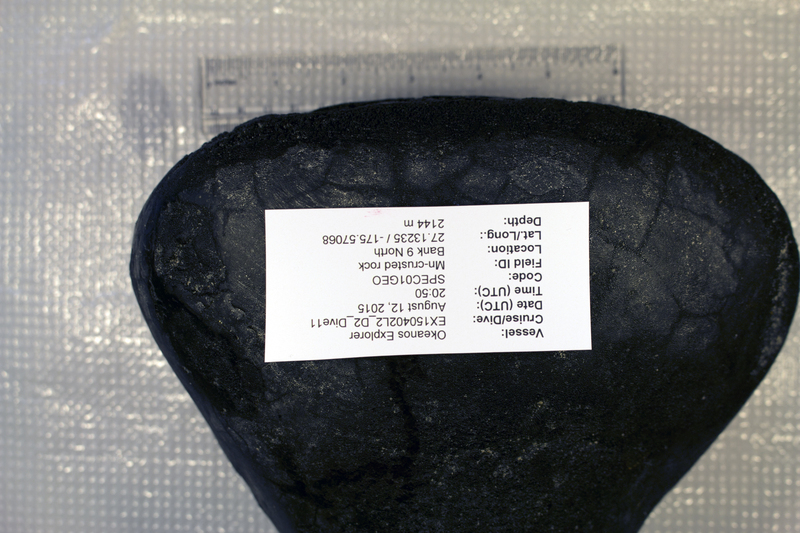 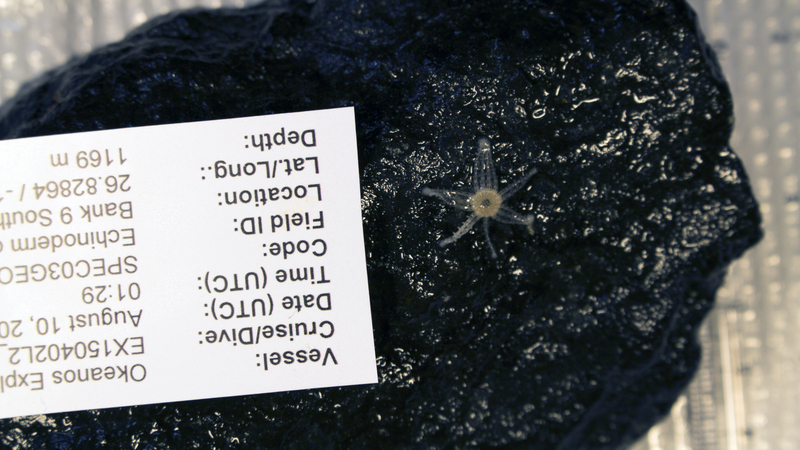 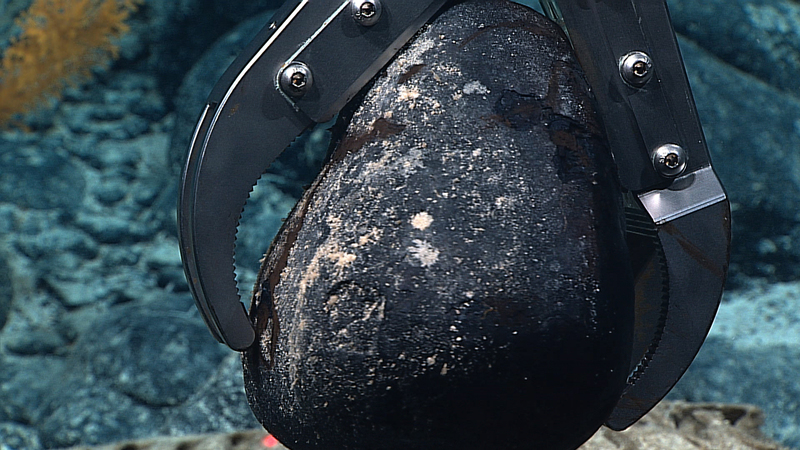 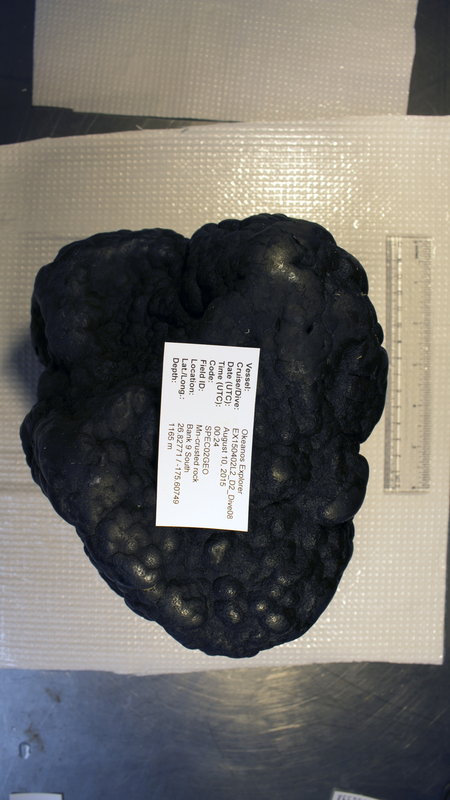 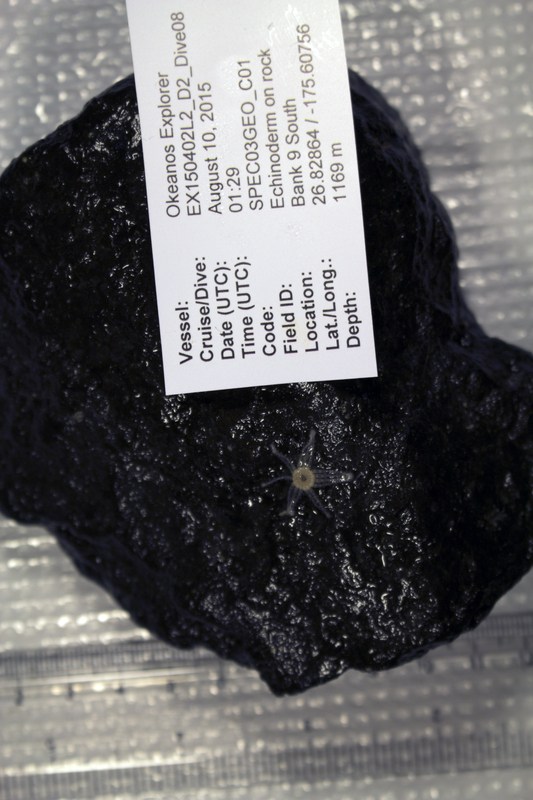 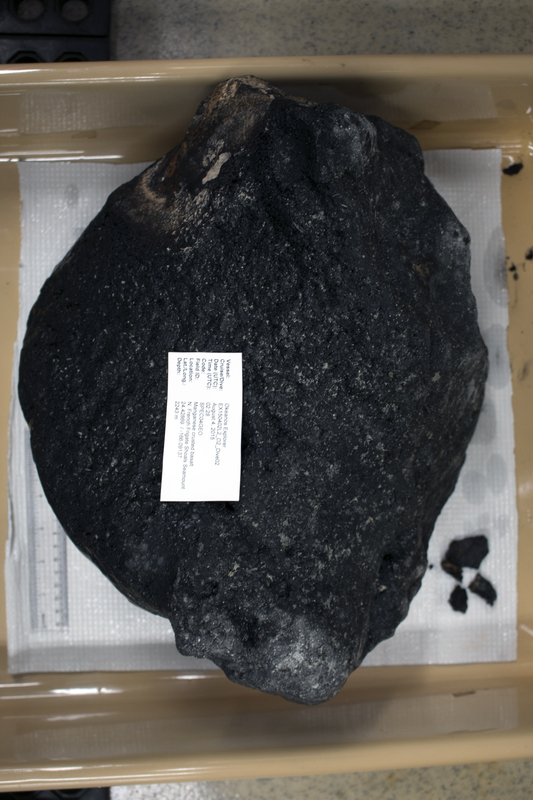 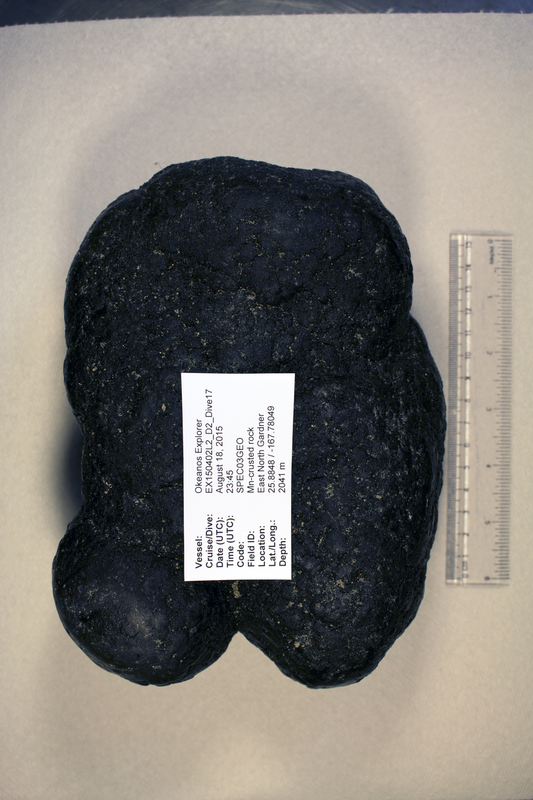 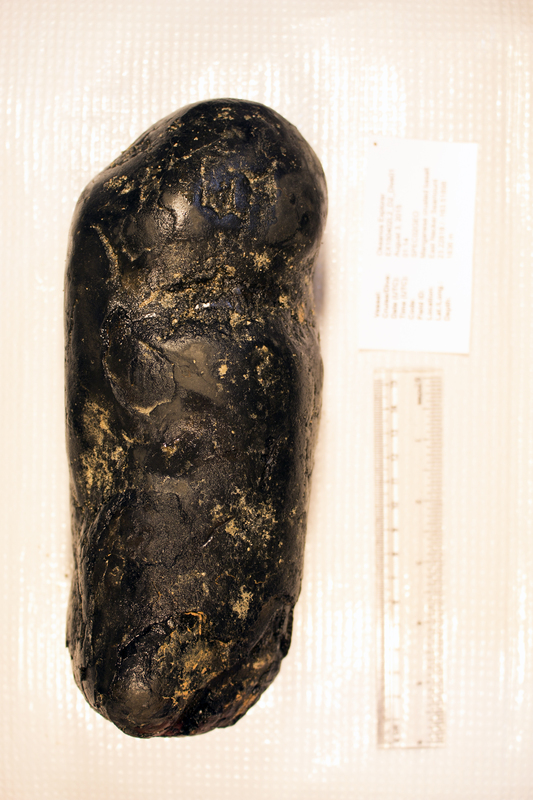 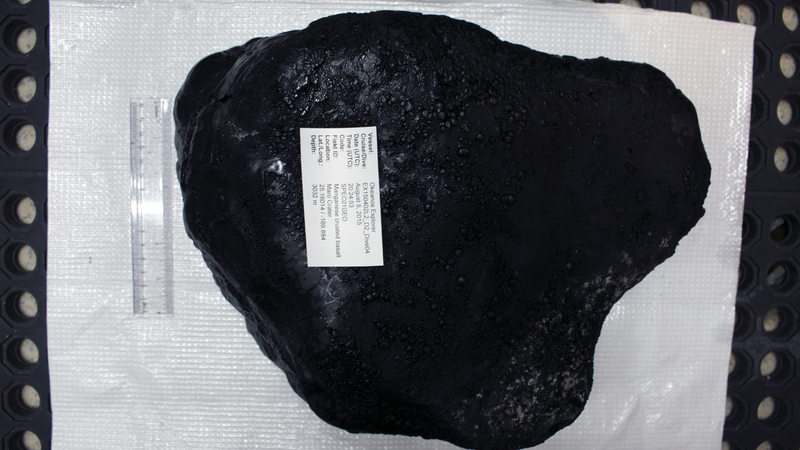 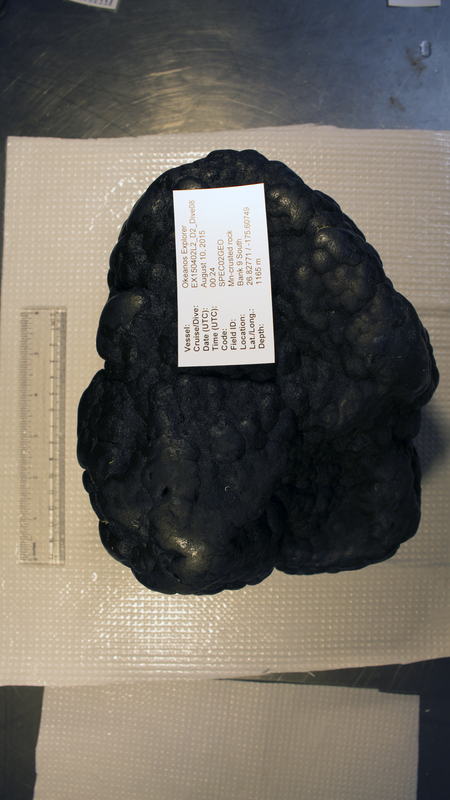 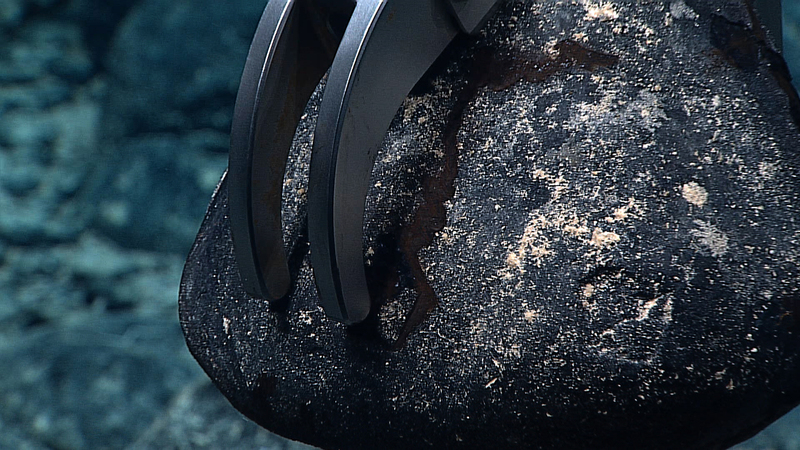 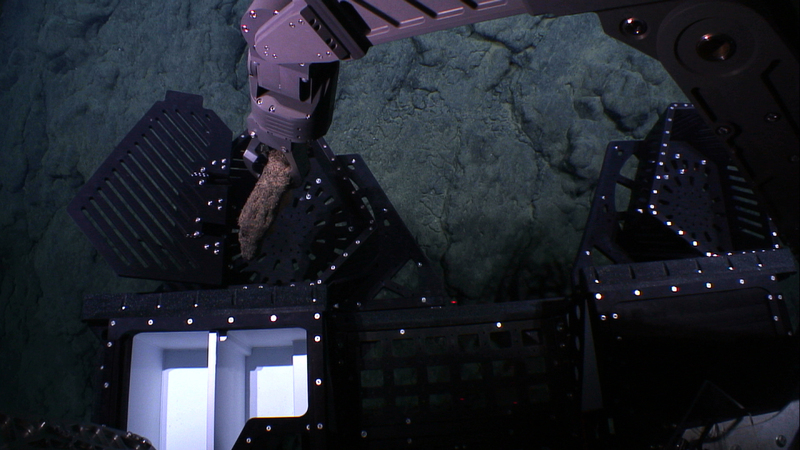 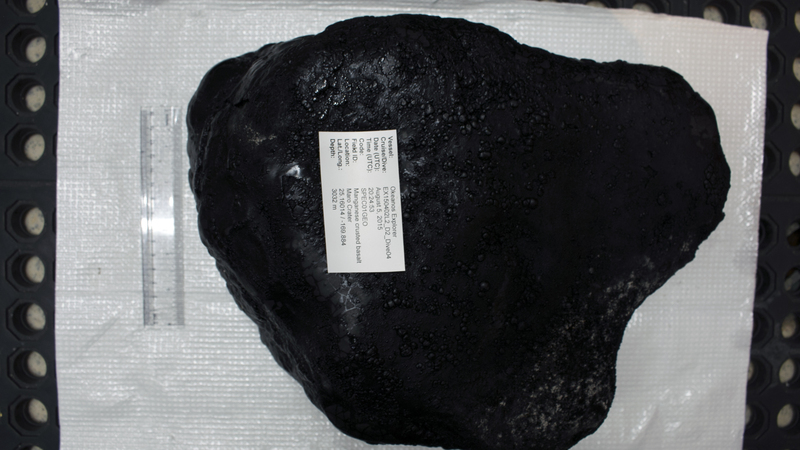 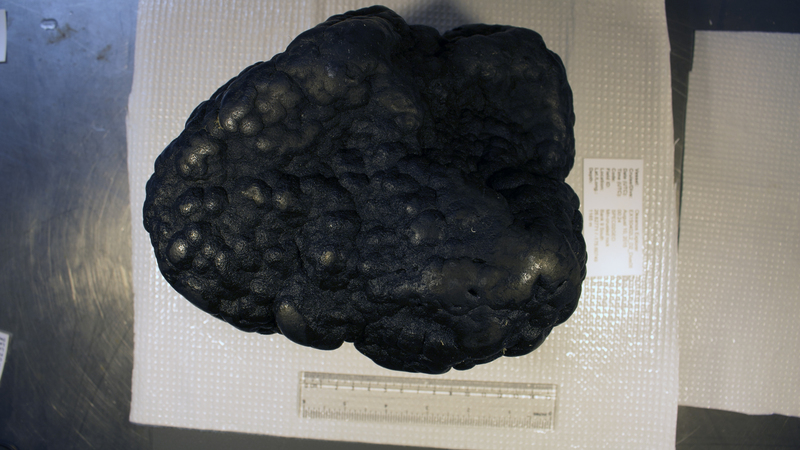 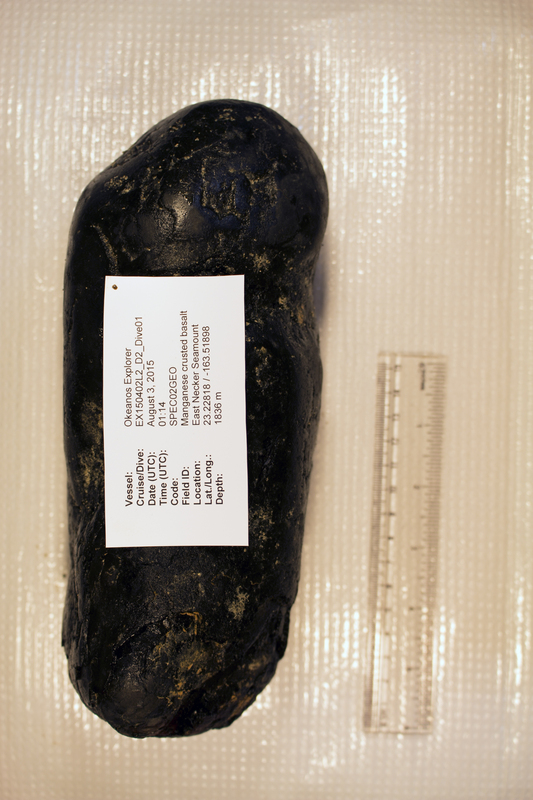 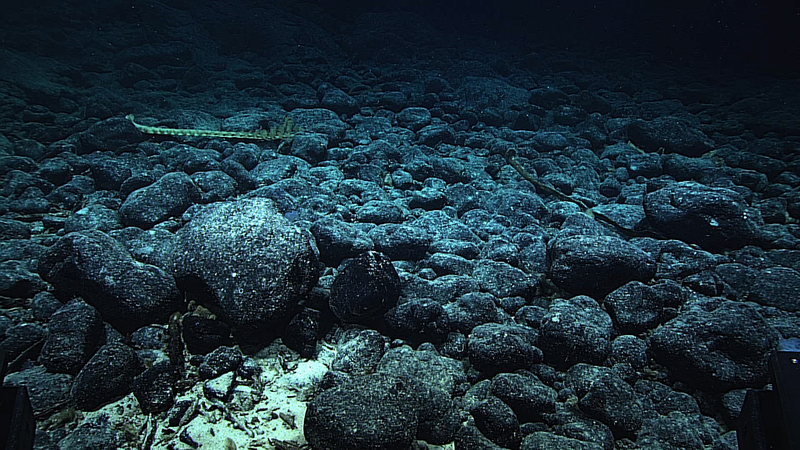 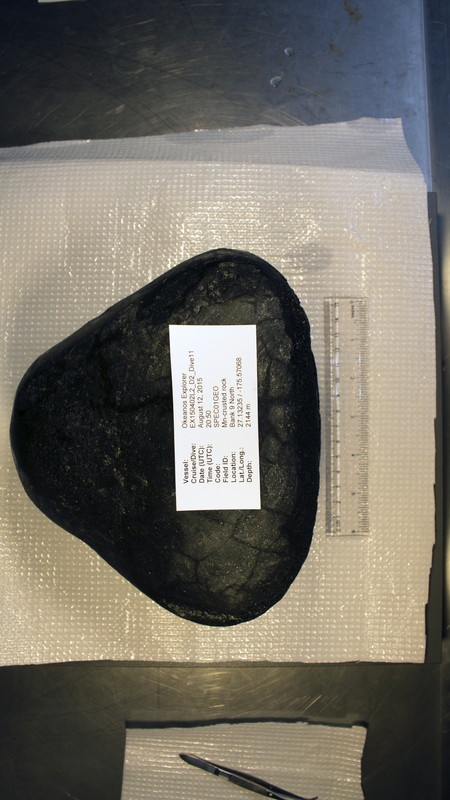 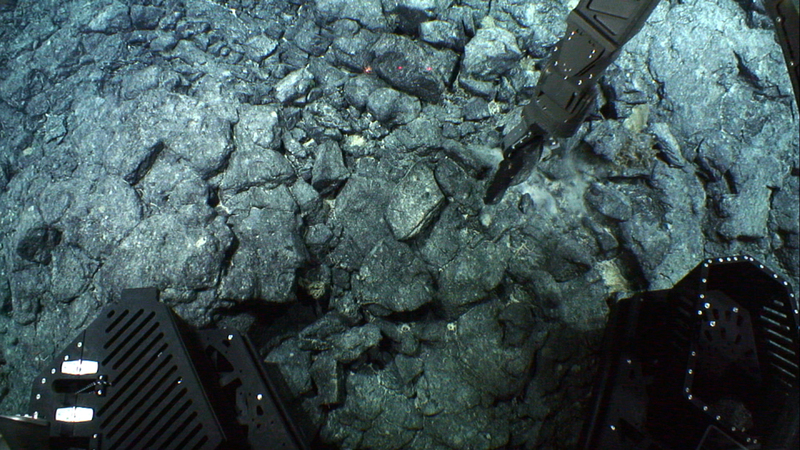 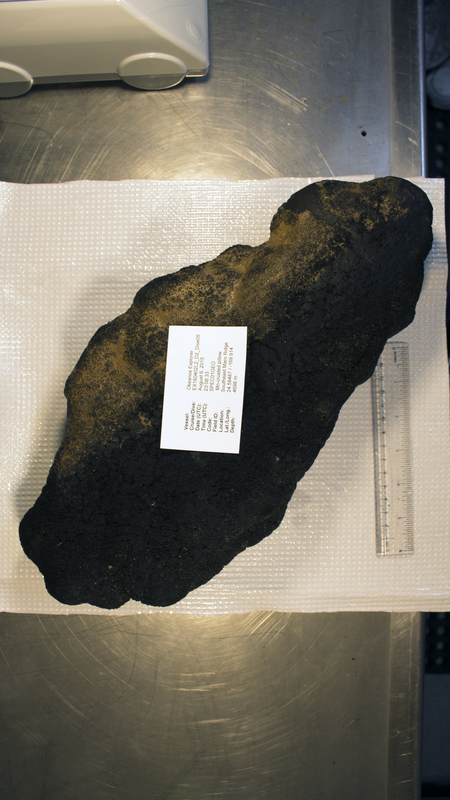 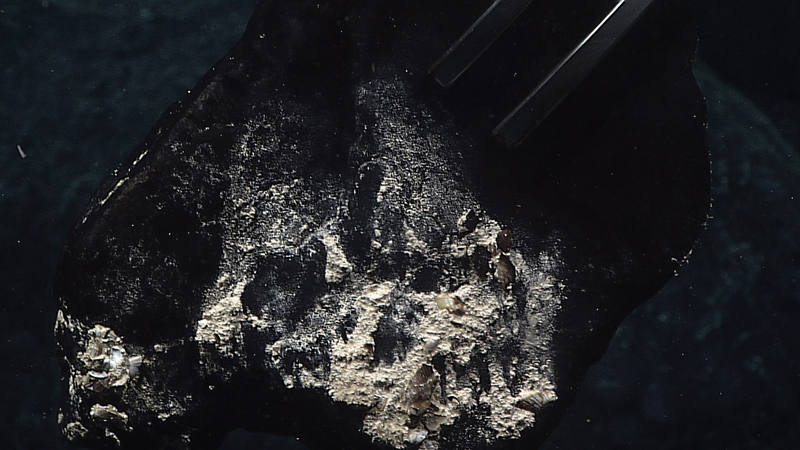 Below are the samples recovered from each dive. 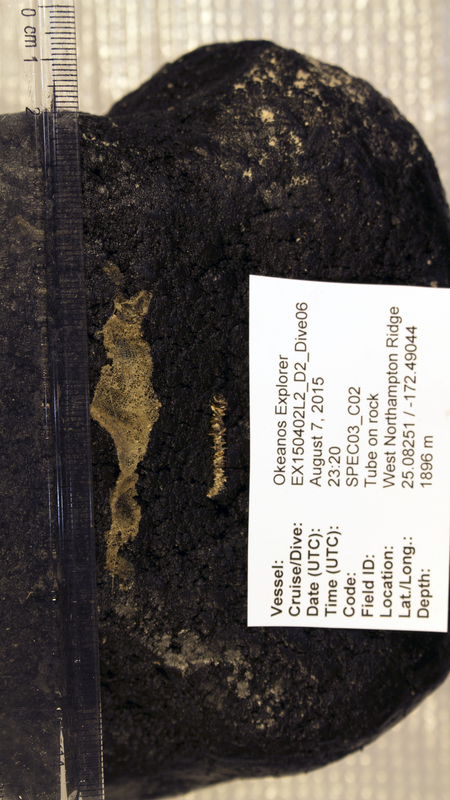 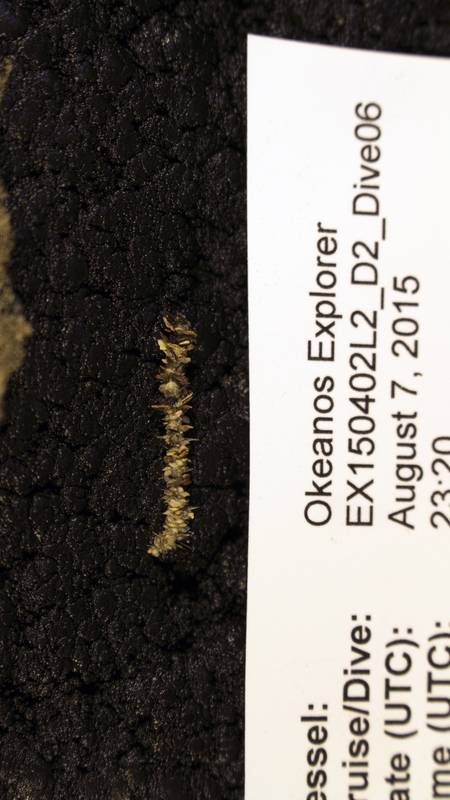 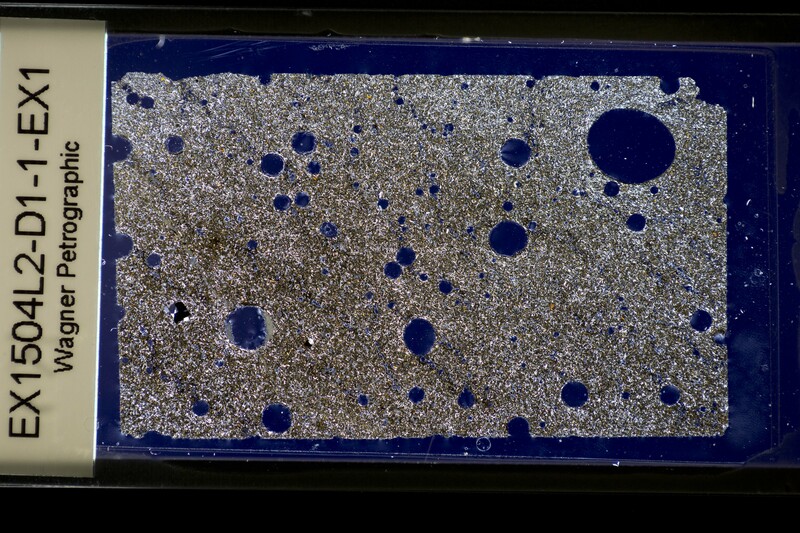 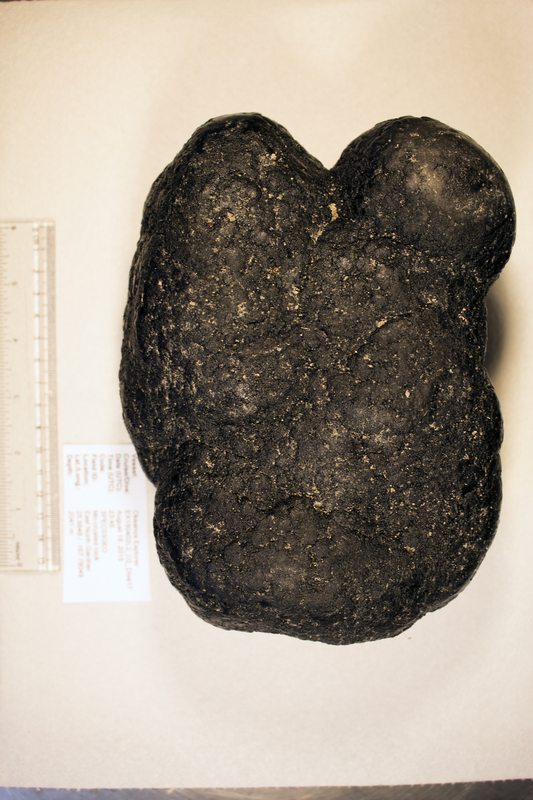 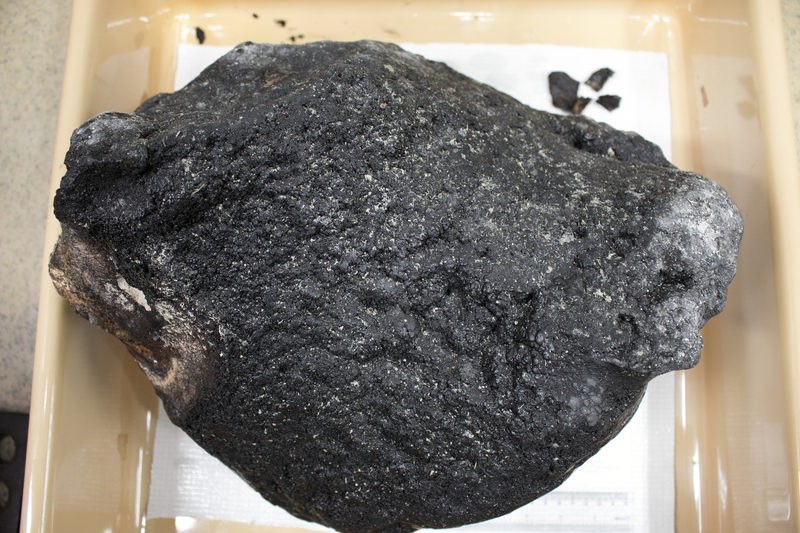 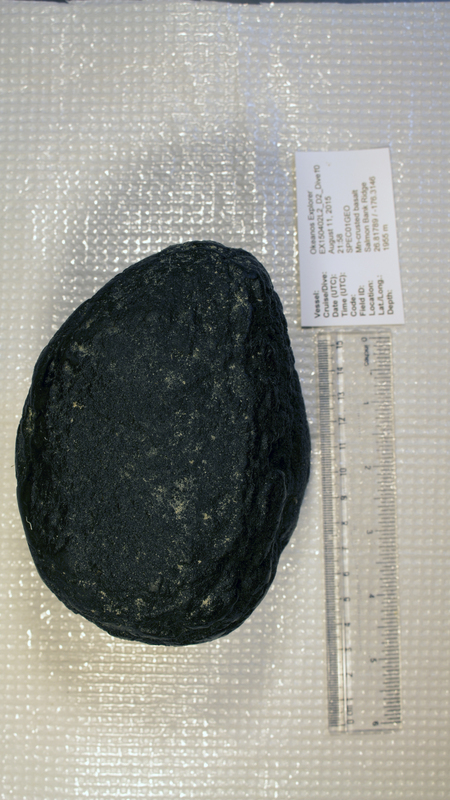 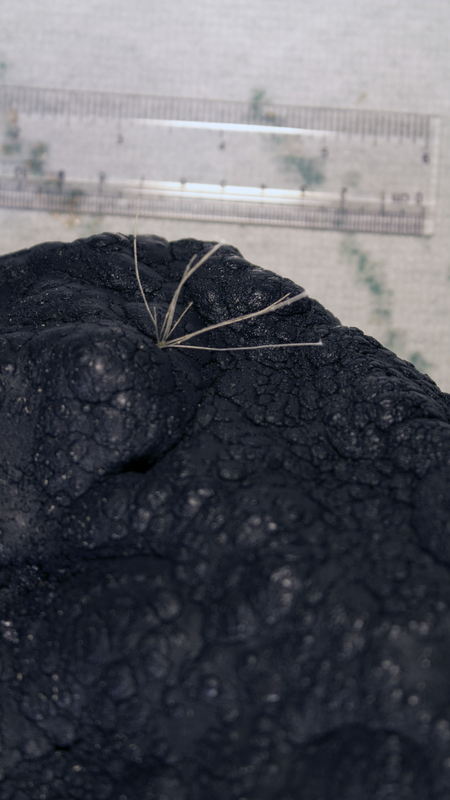 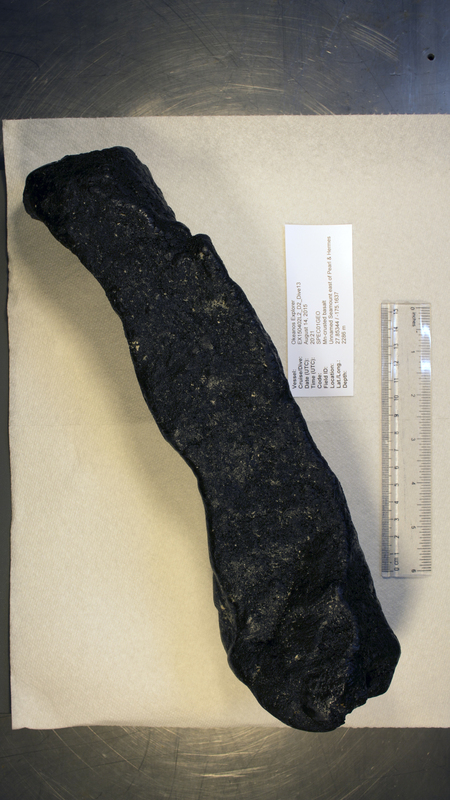 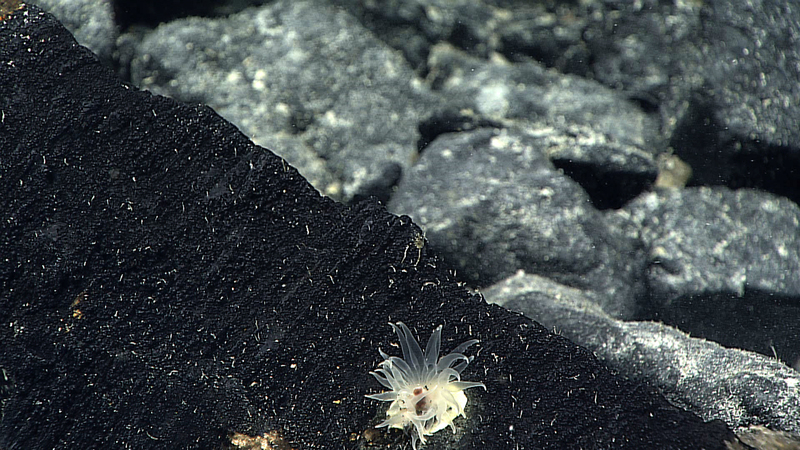 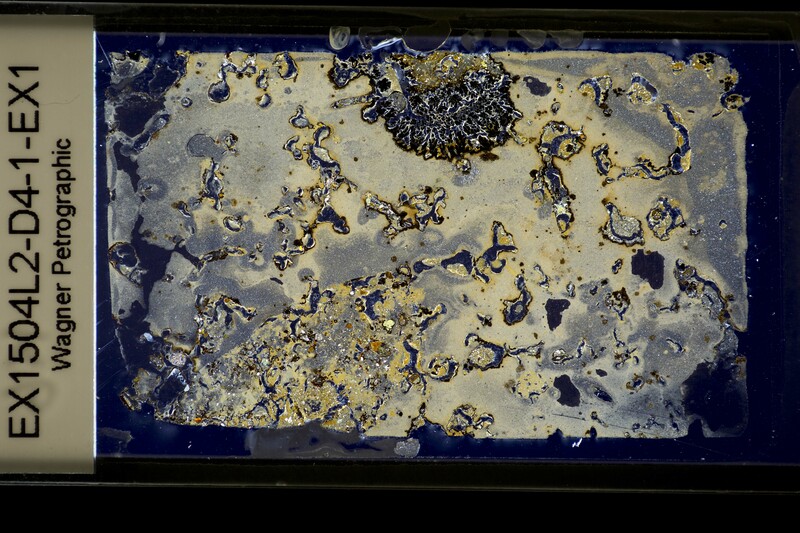 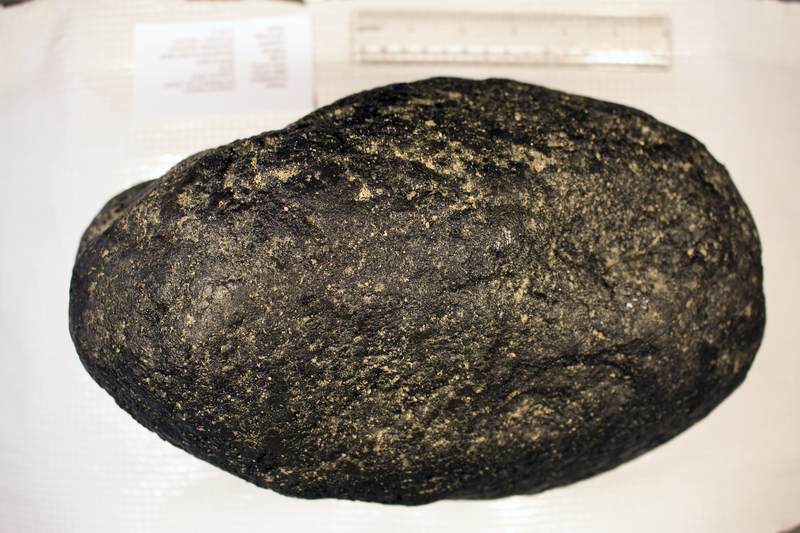 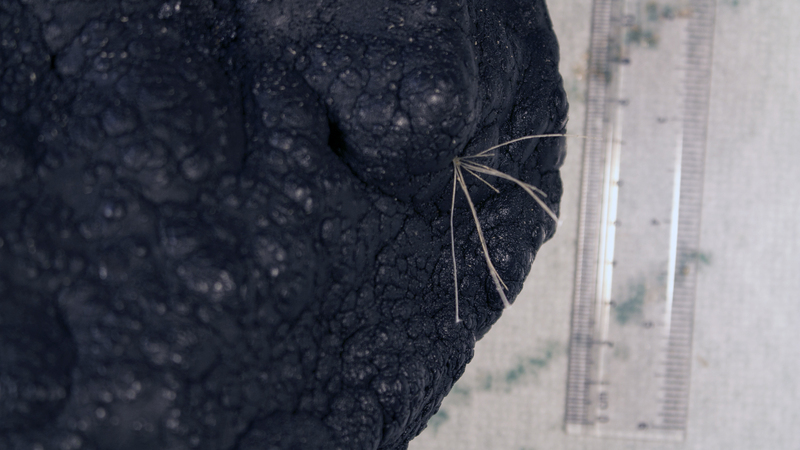 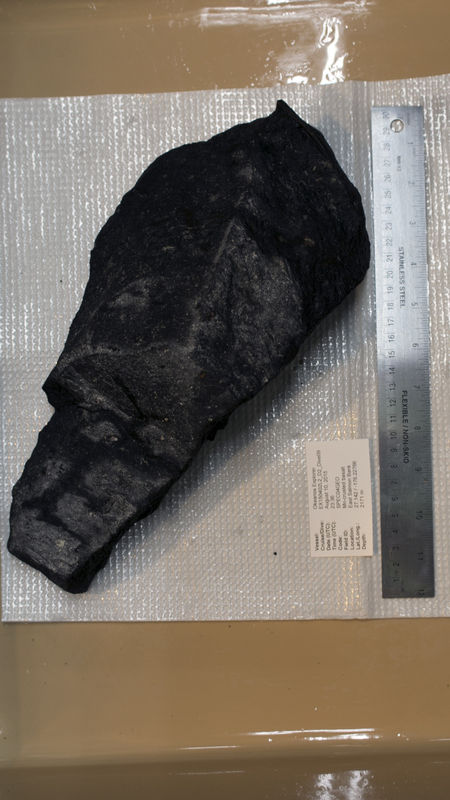 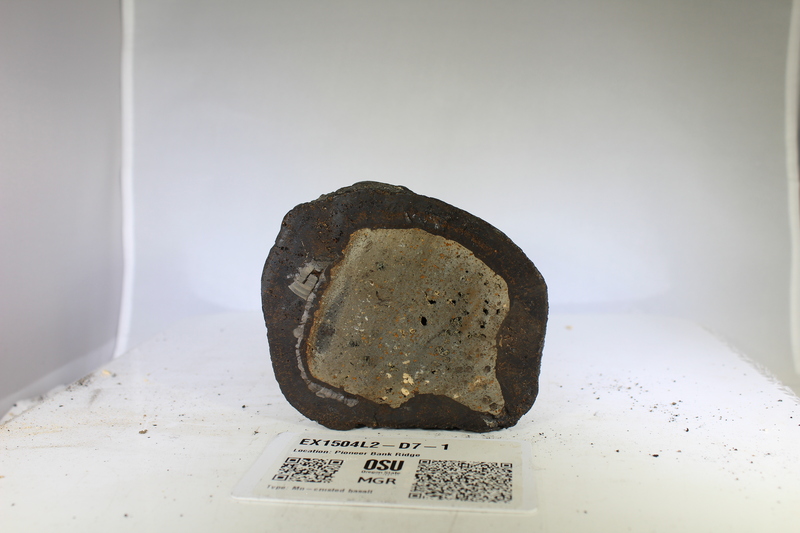 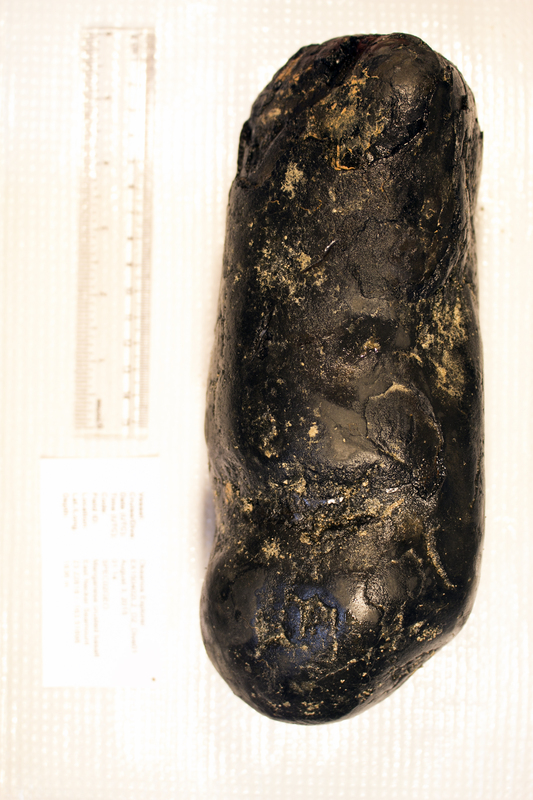 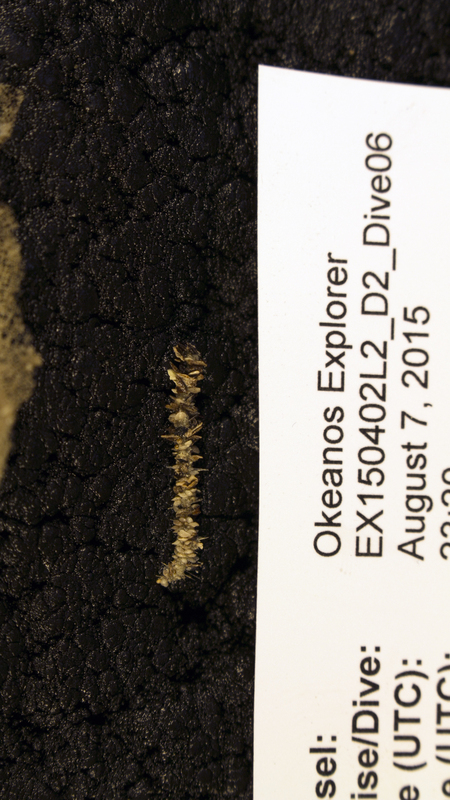 For additional samples from this region see NOAA collection EX1603 page.